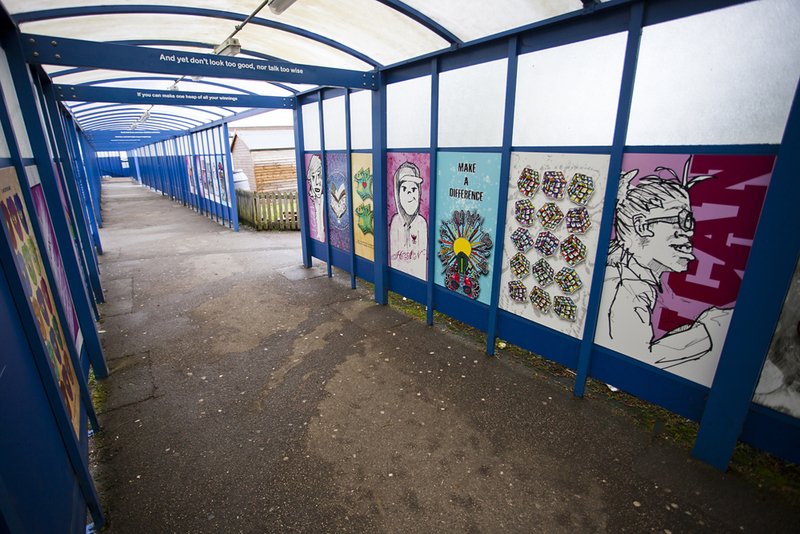 This was a lovely project at Rowley Lane. 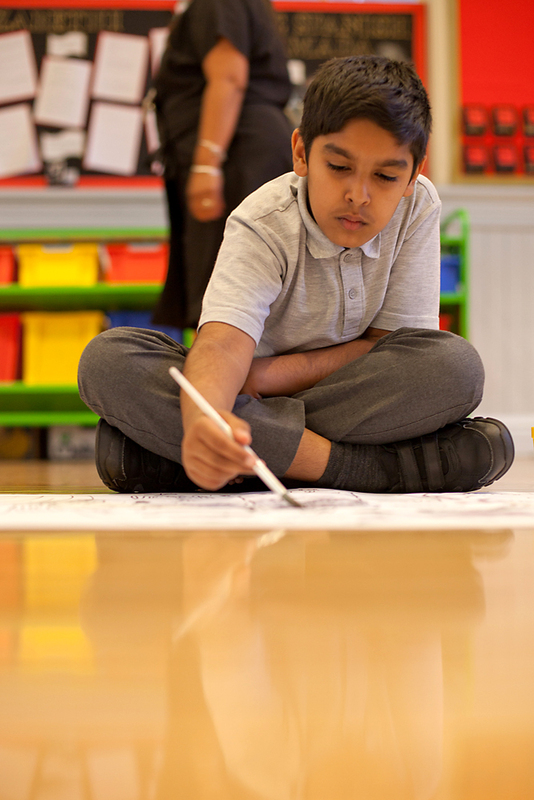 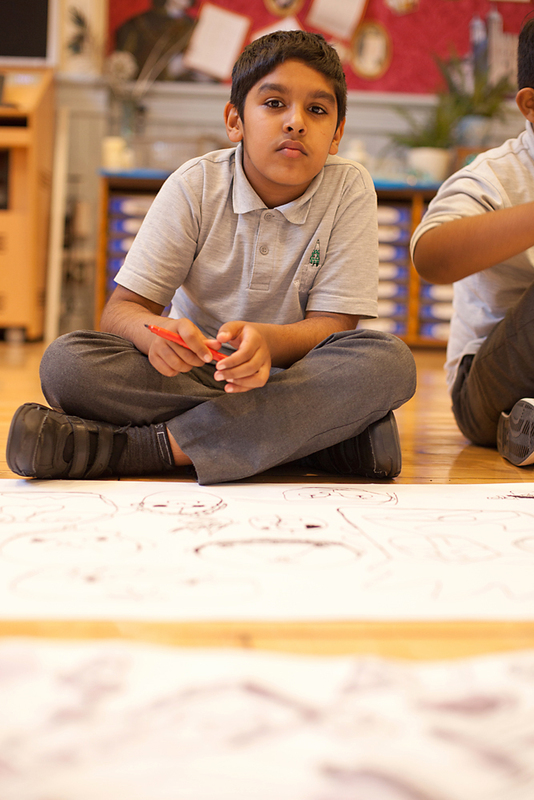 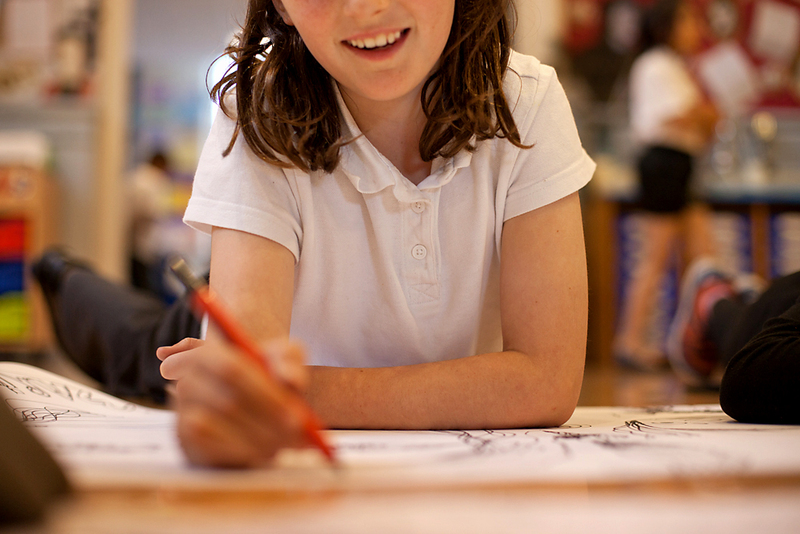 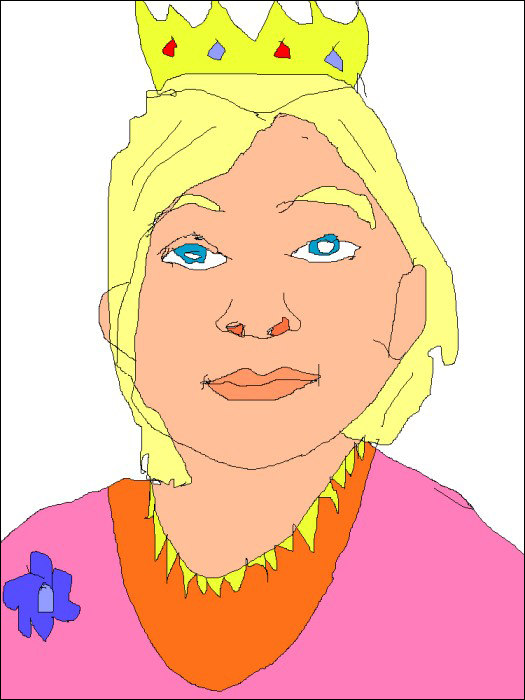 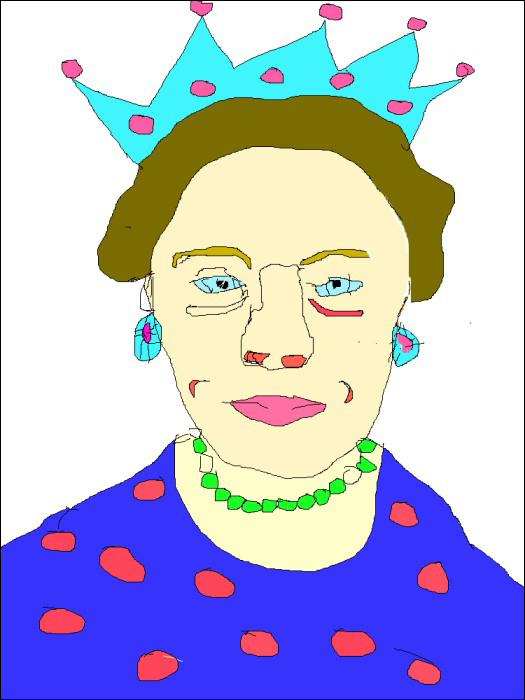 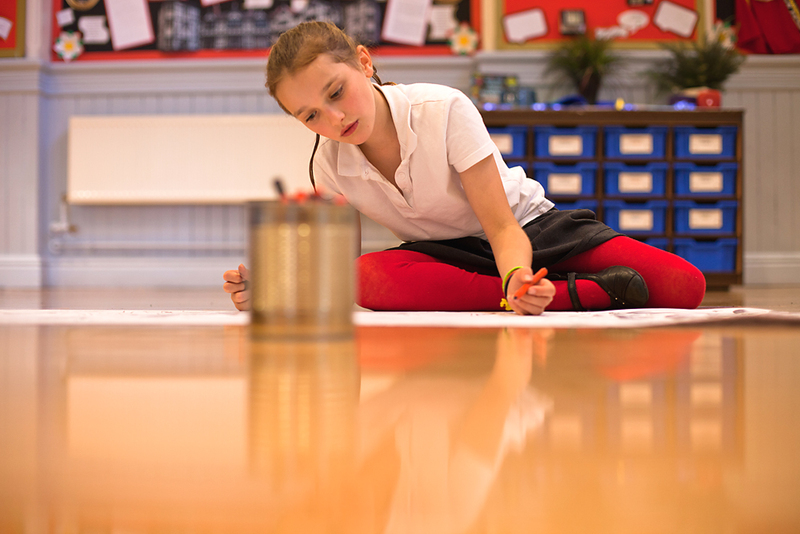 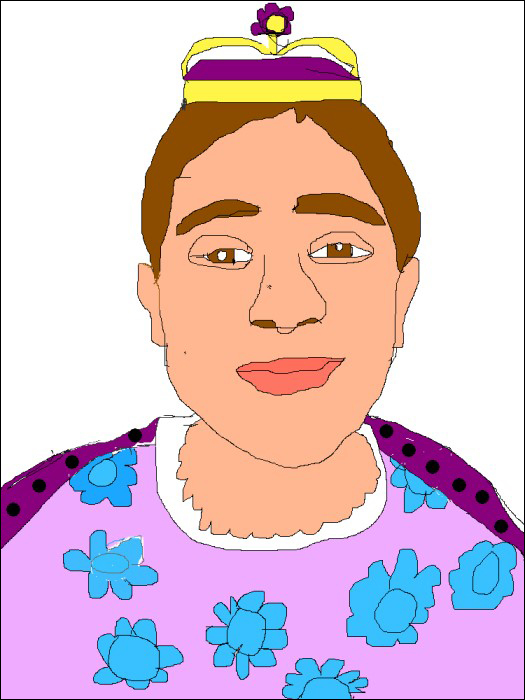 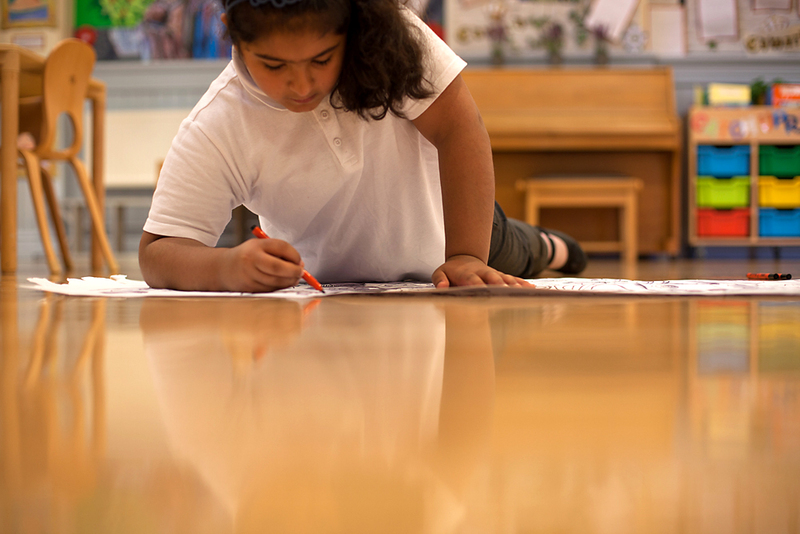 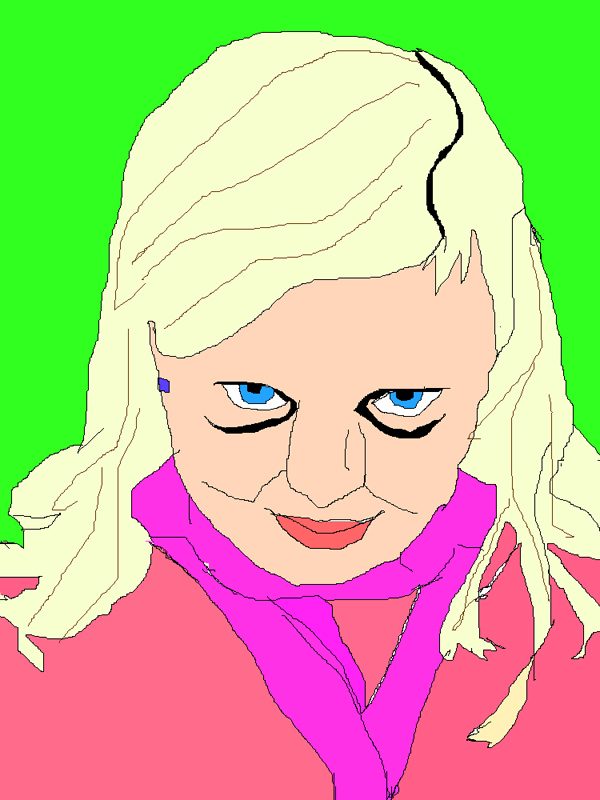 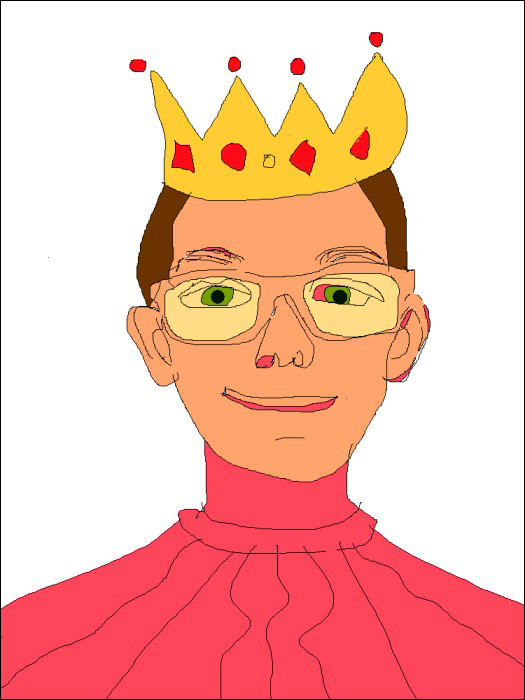 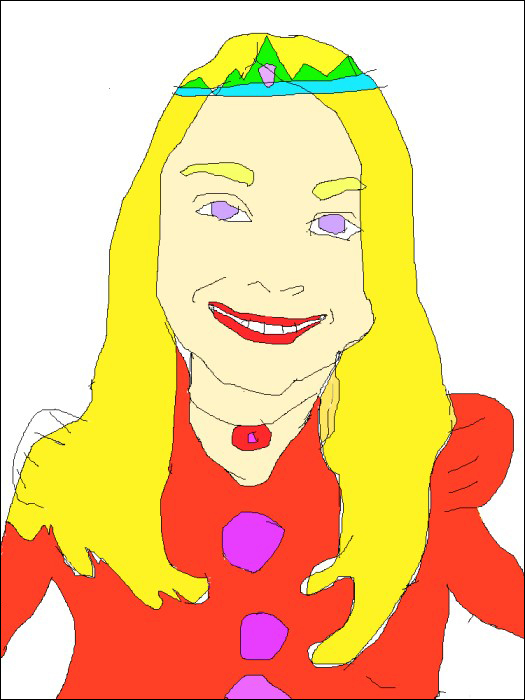 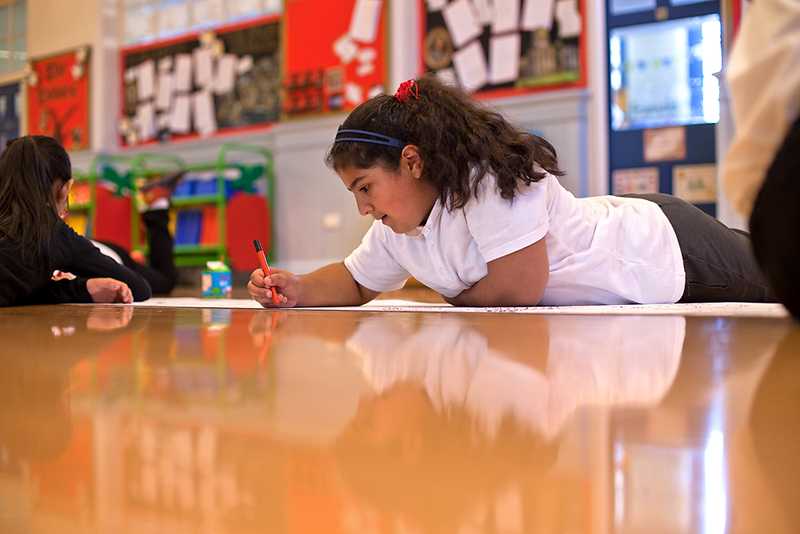 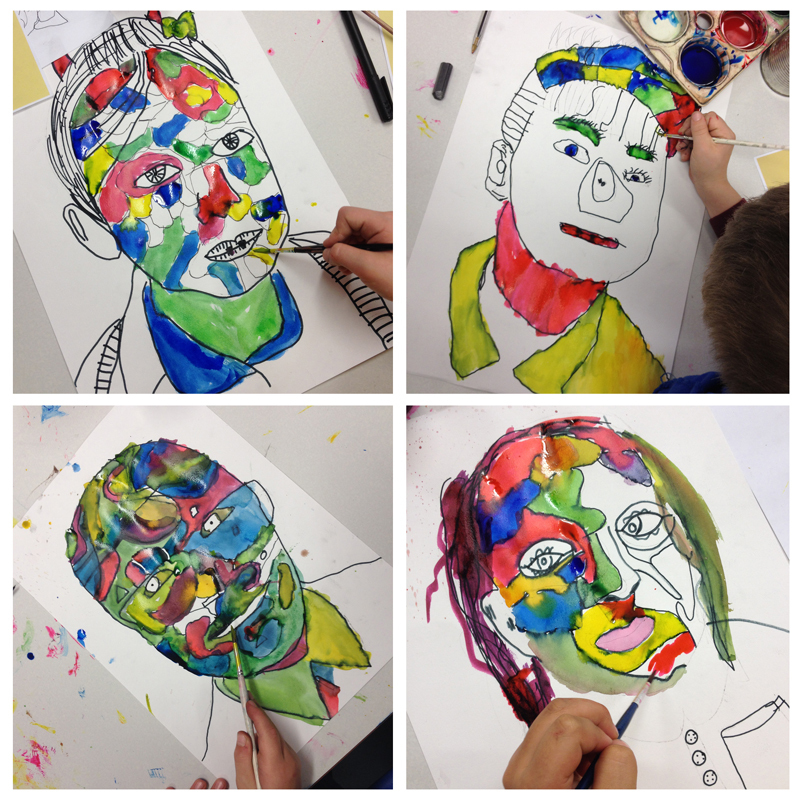 The children got to create lots of different illustrations using portrait photography as their starting point. 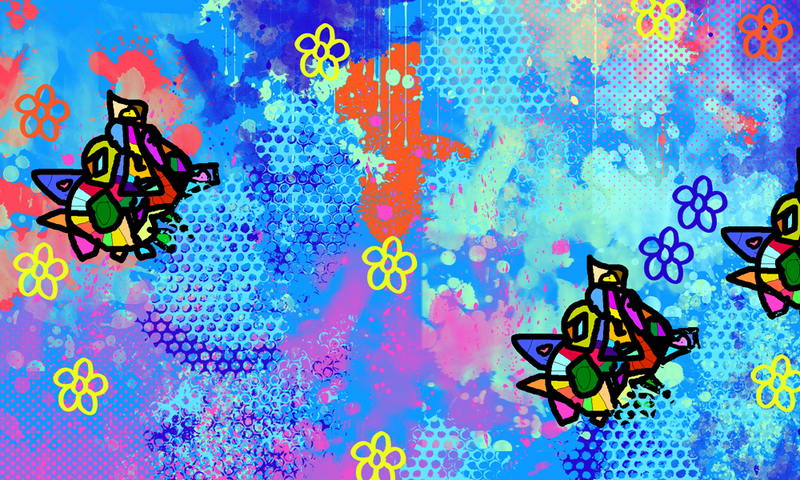 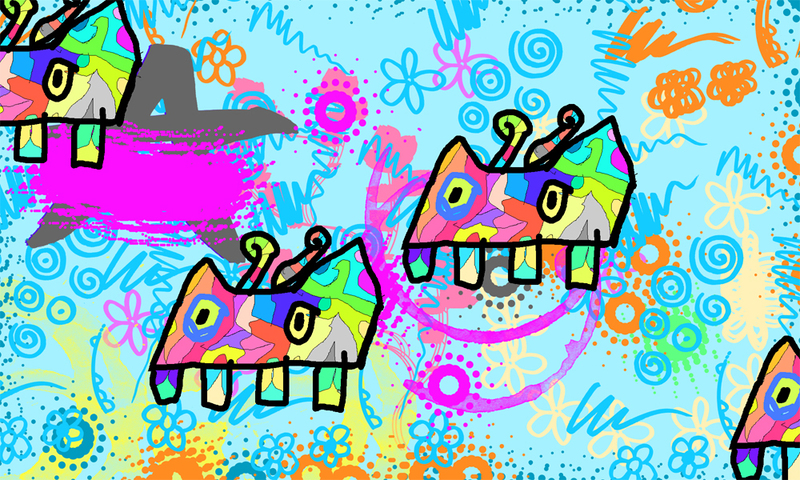 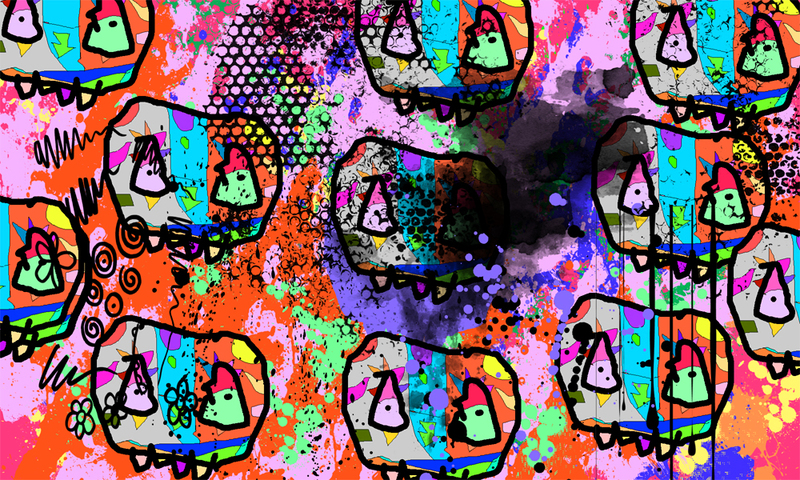 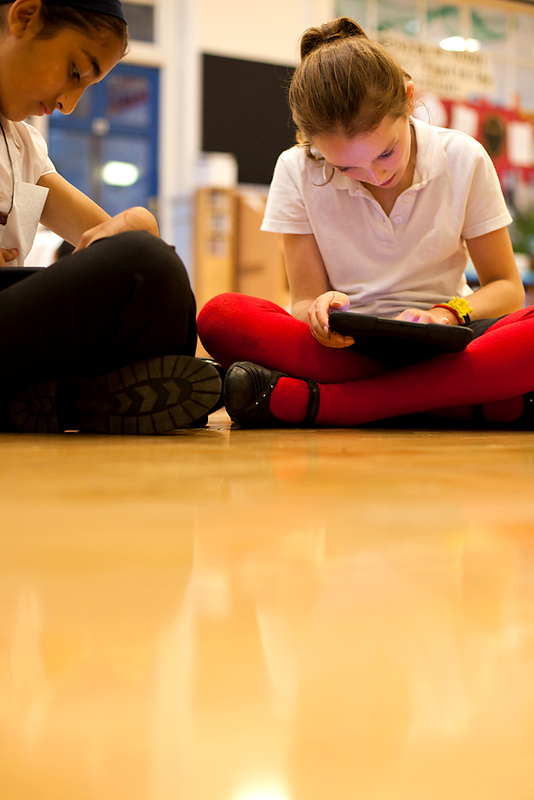 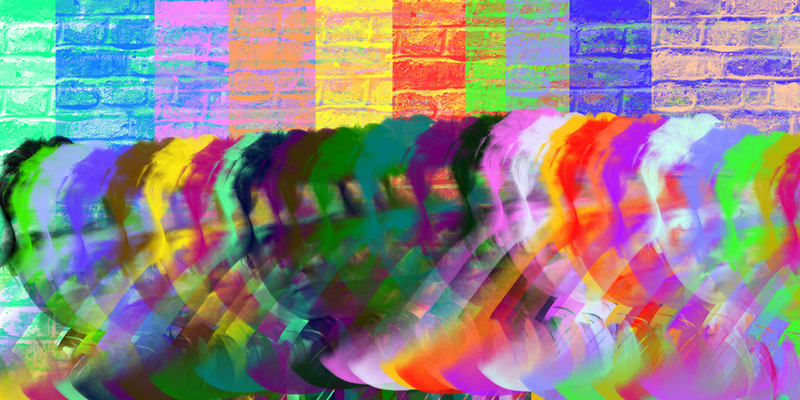 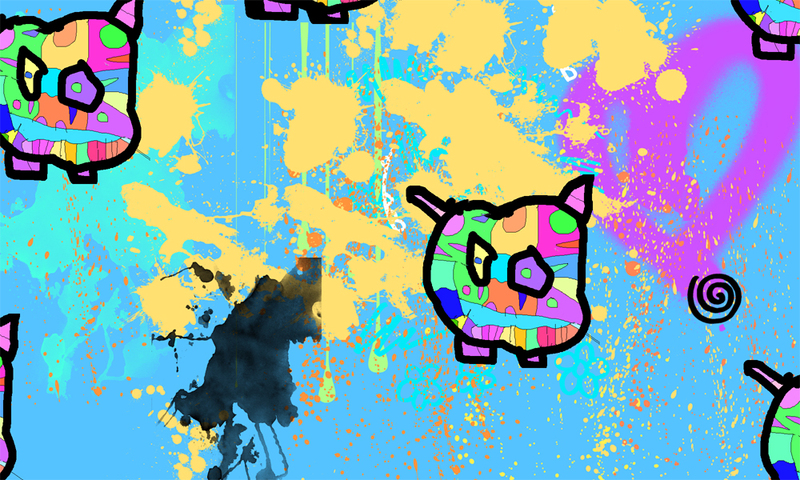 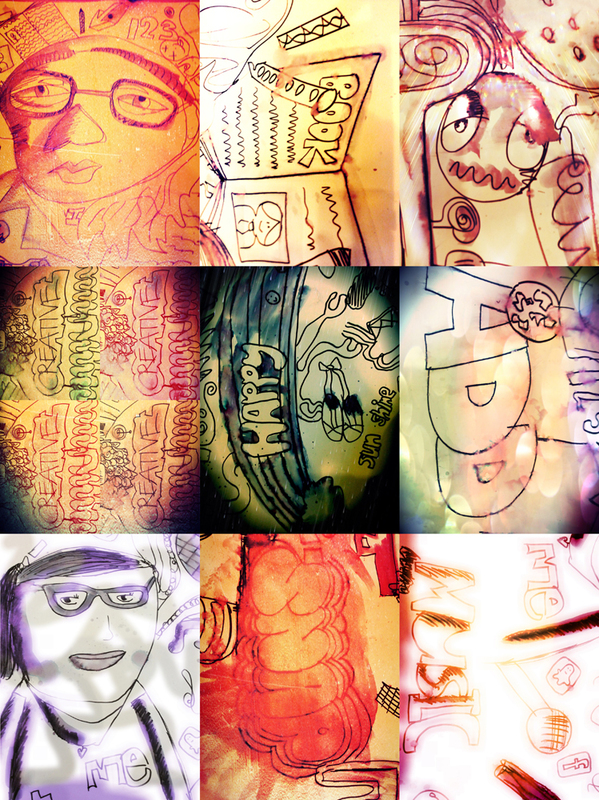 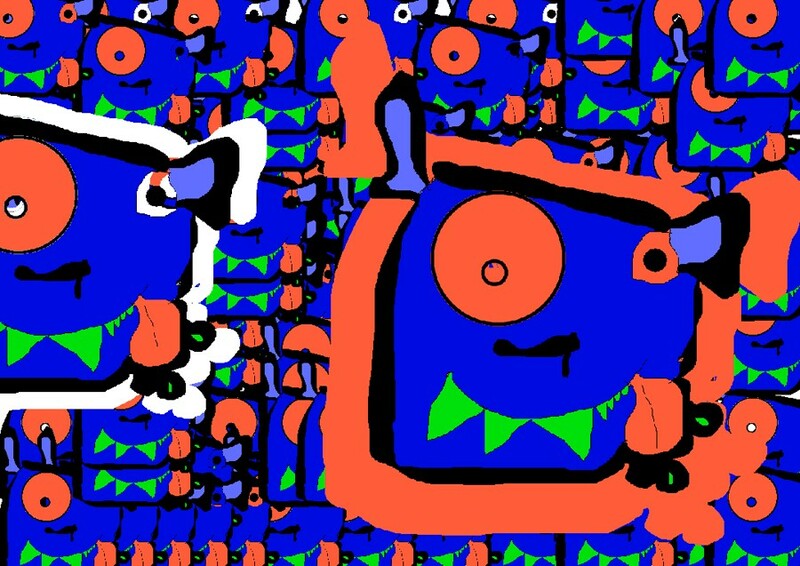 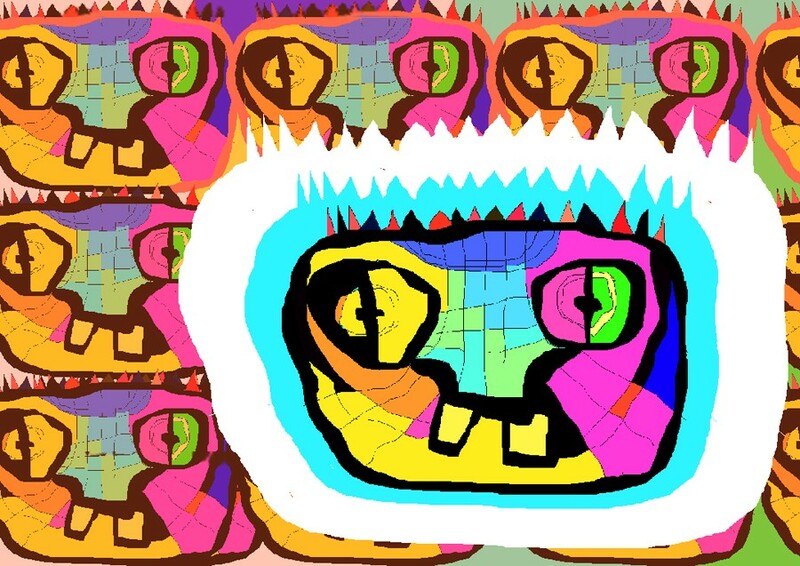 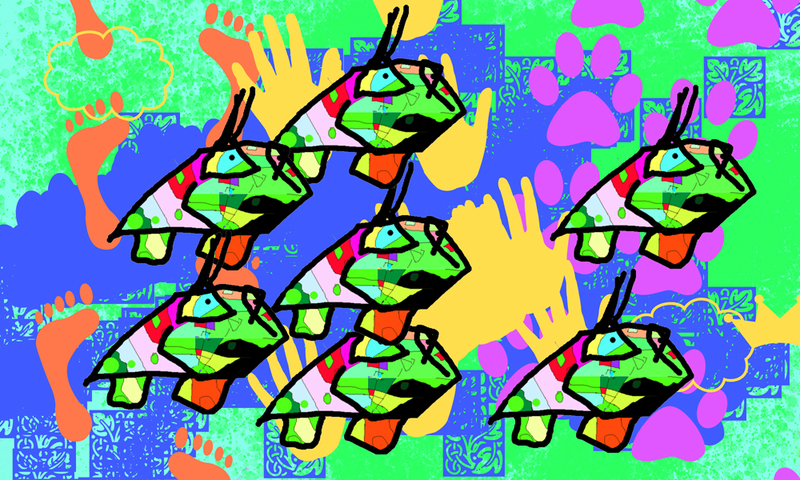 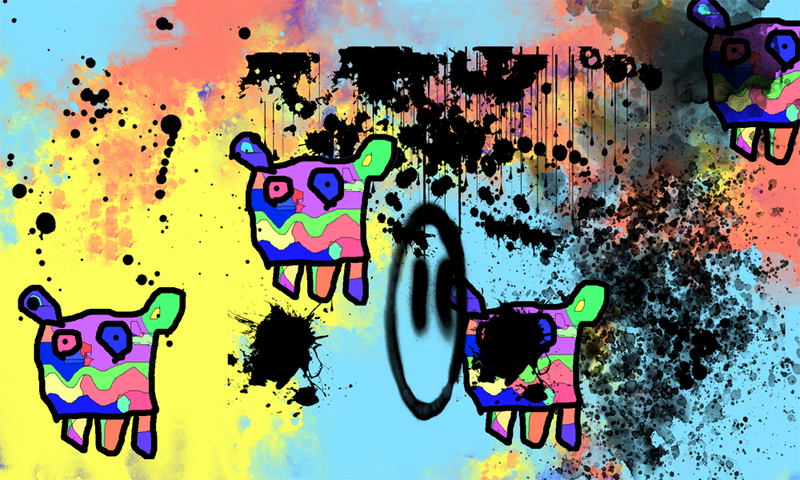 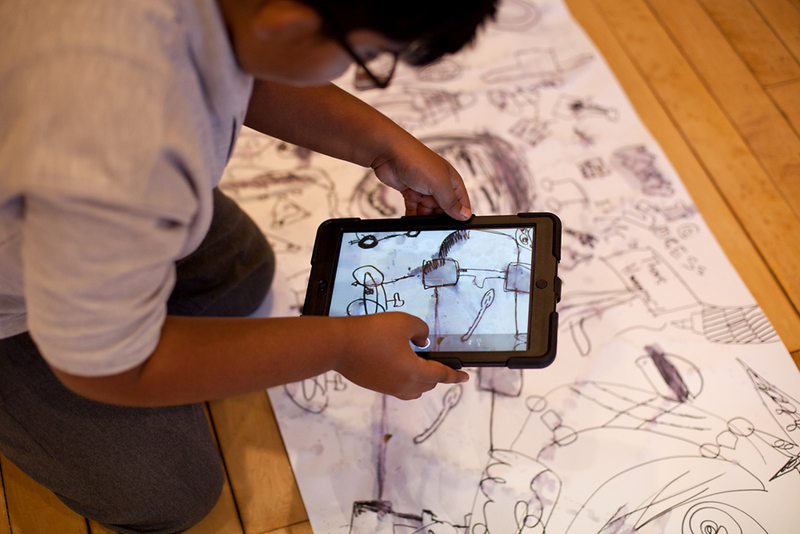 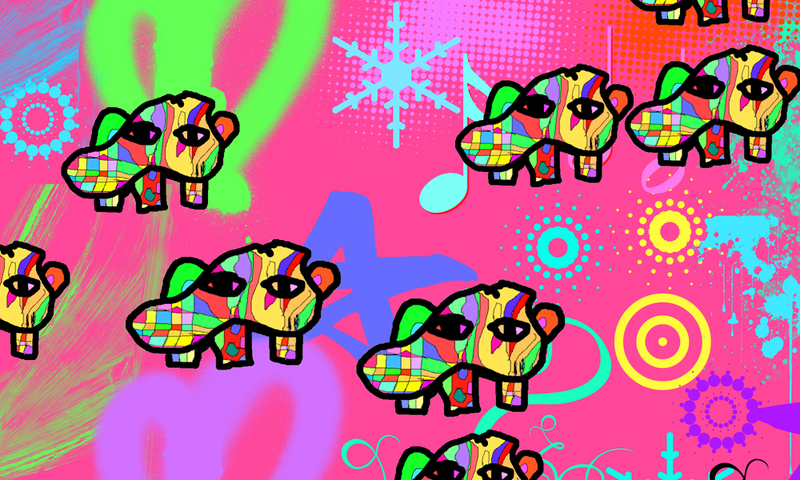 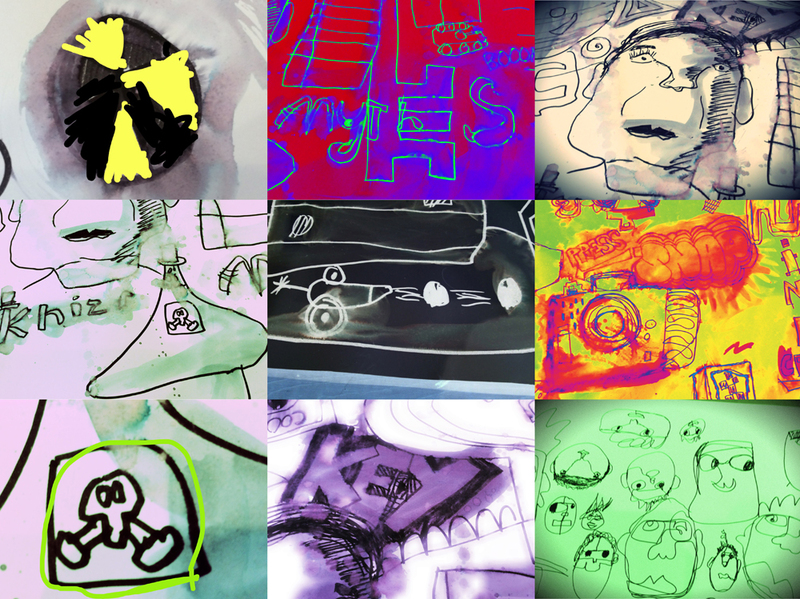 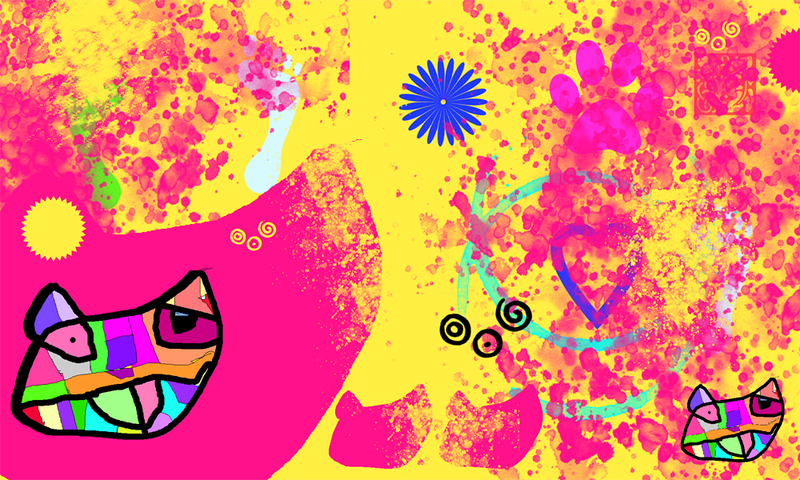 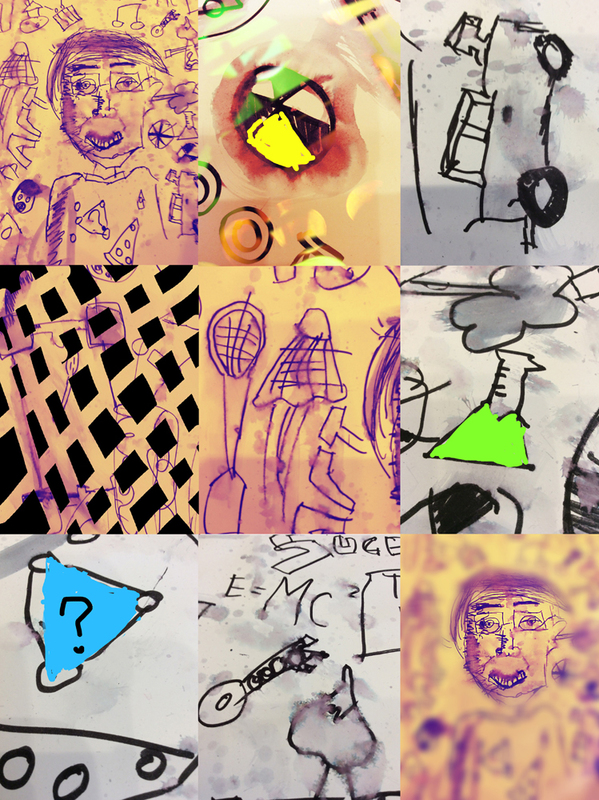 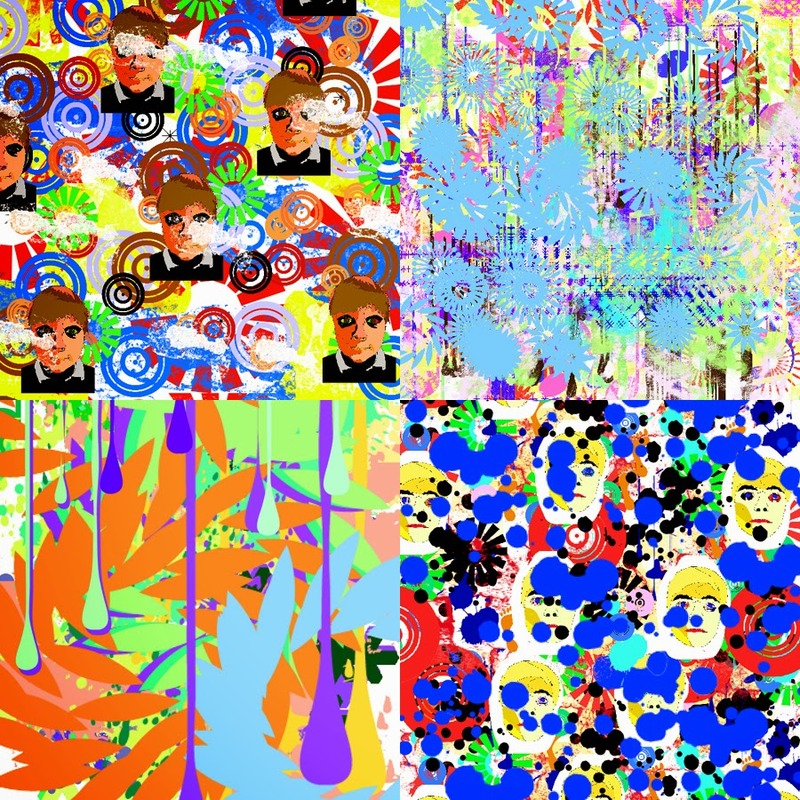 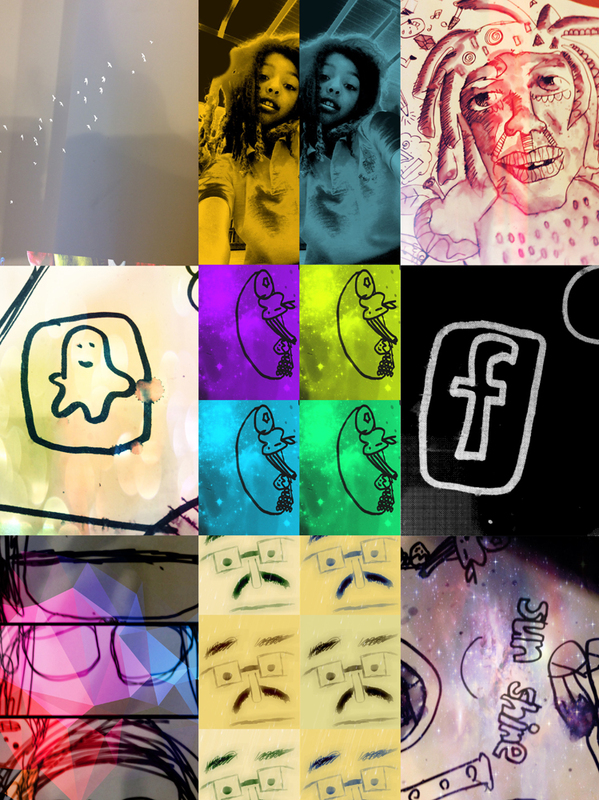 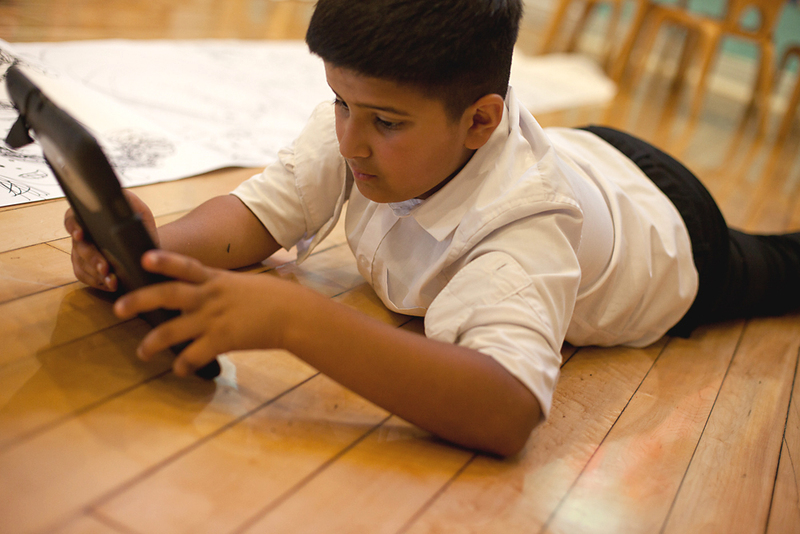 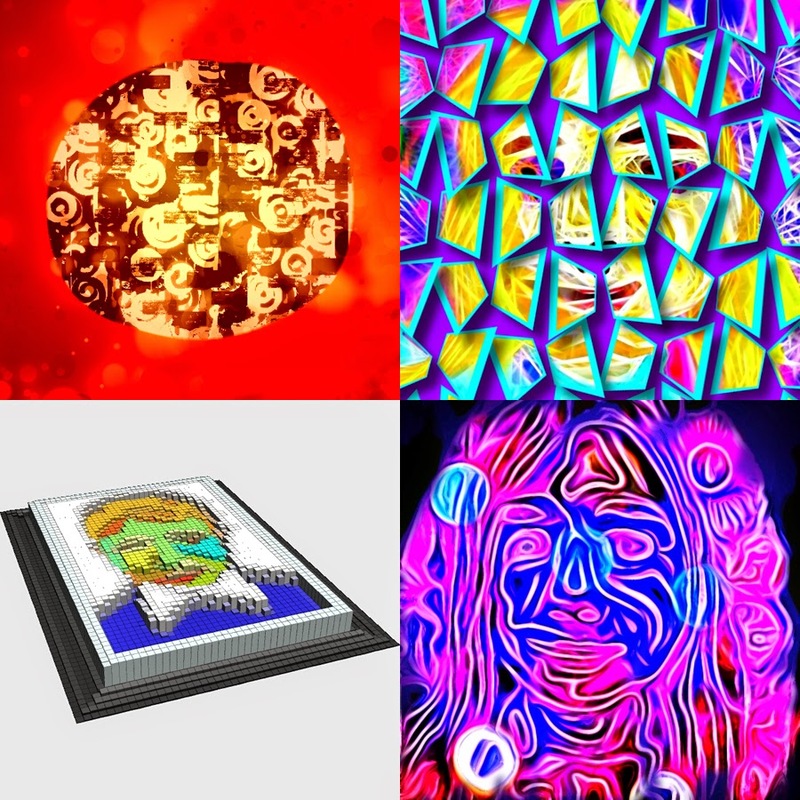 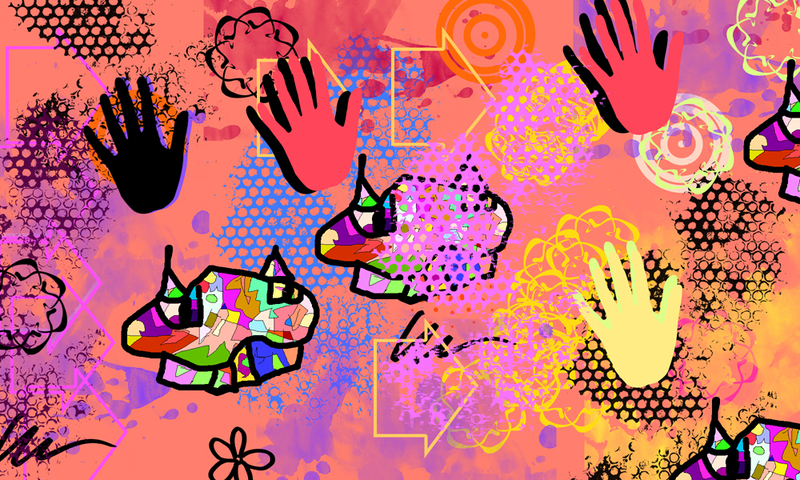 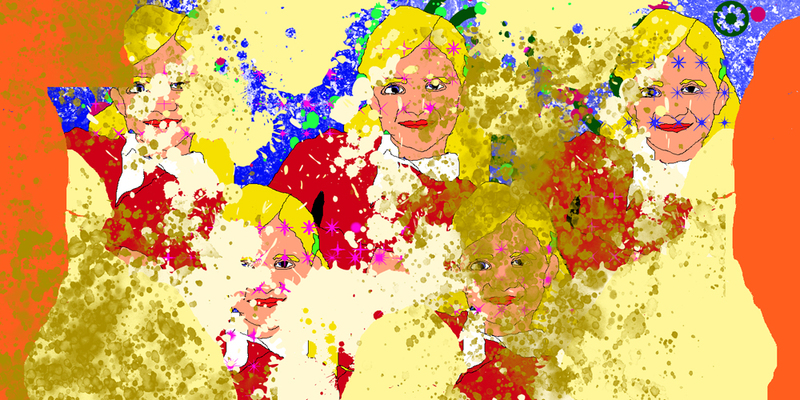 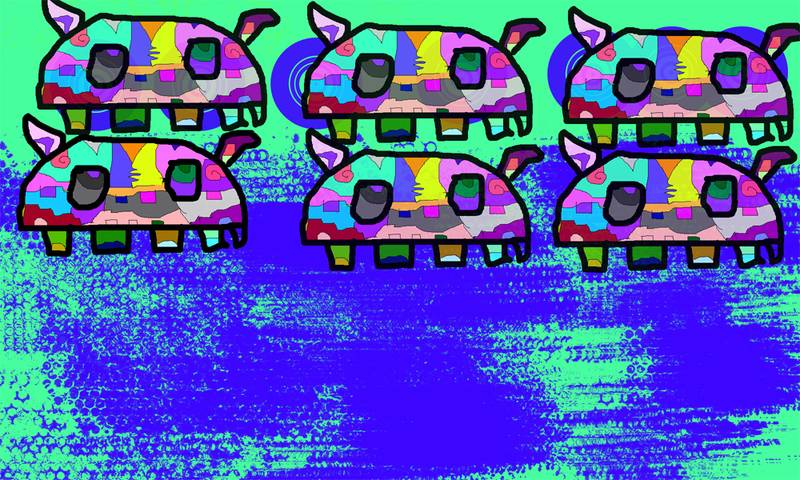 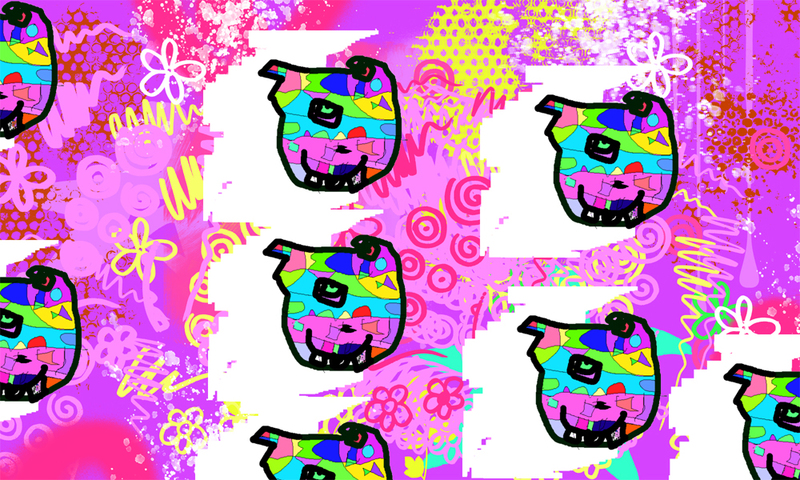 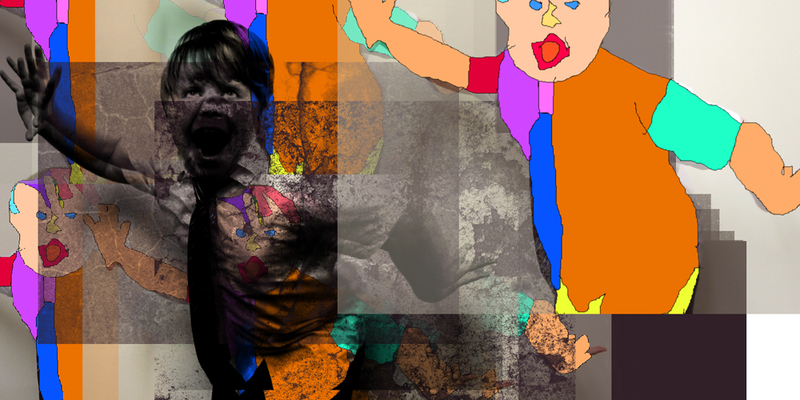 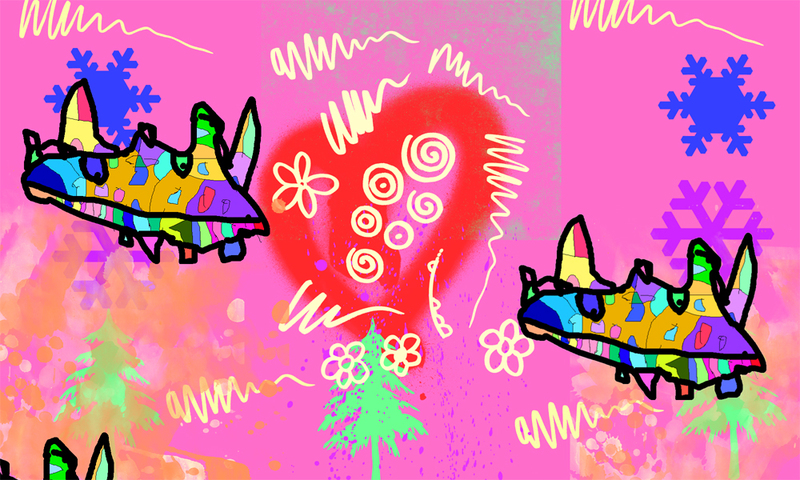 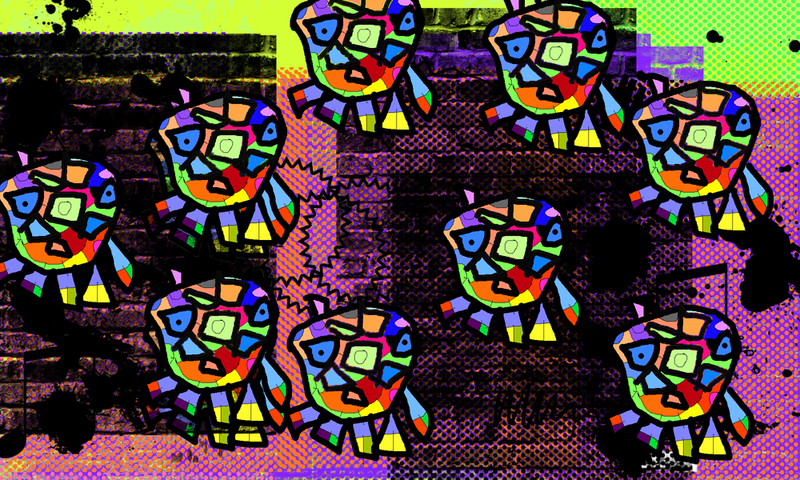 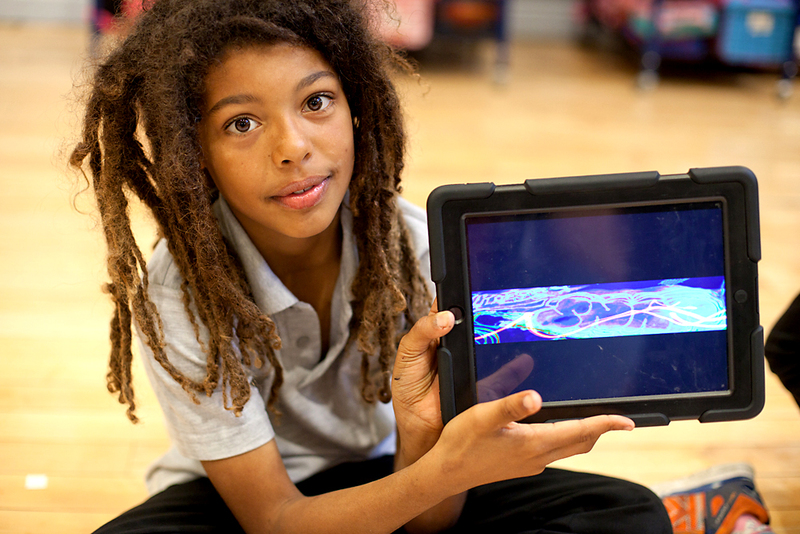 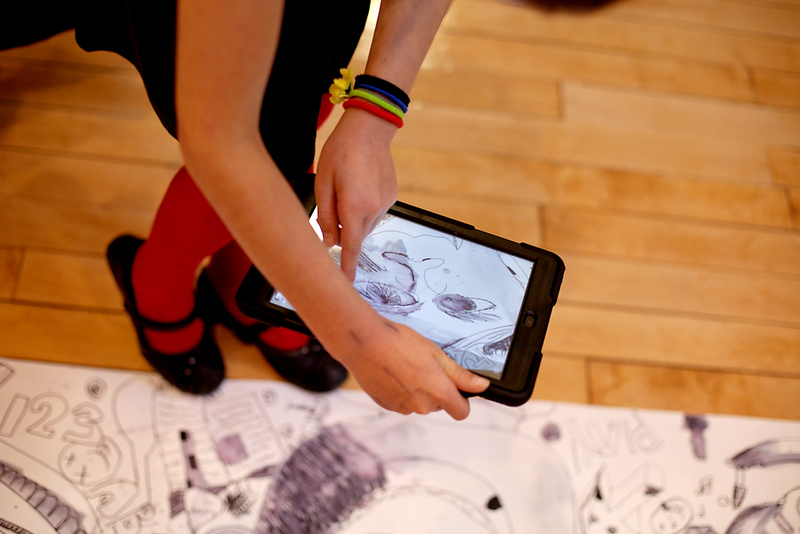 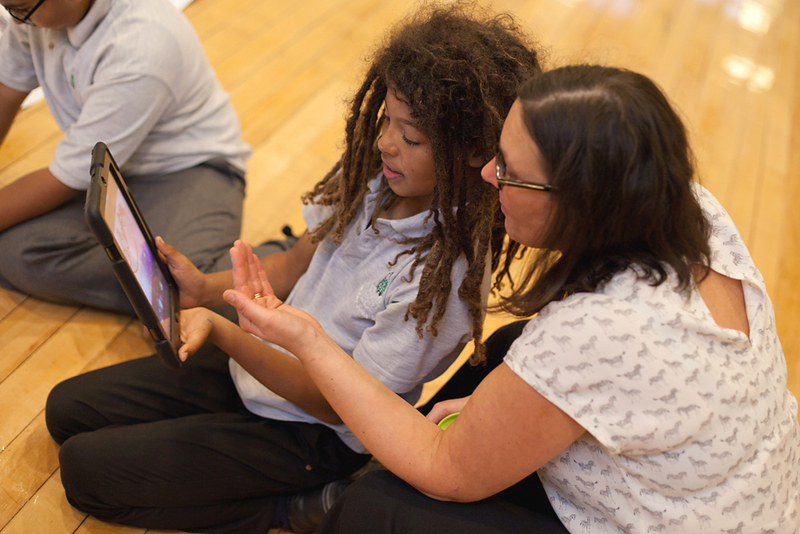 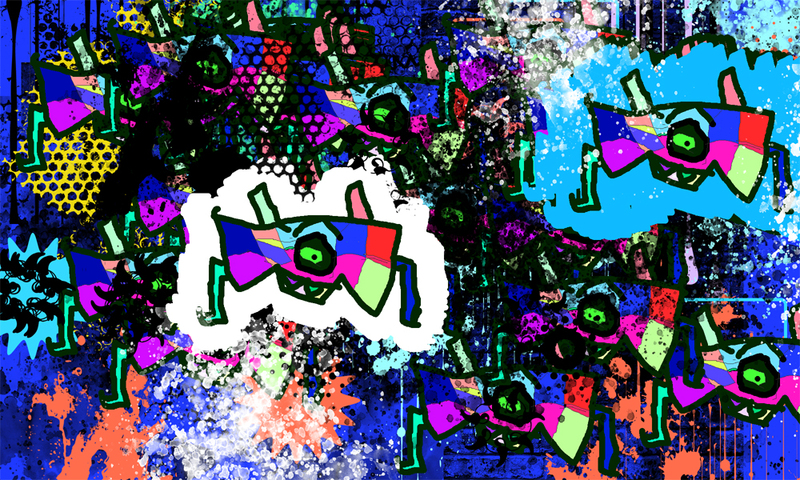 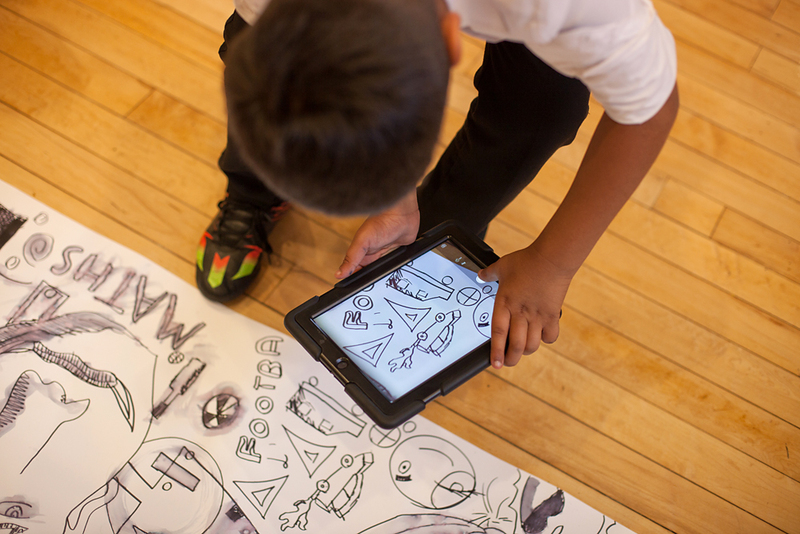 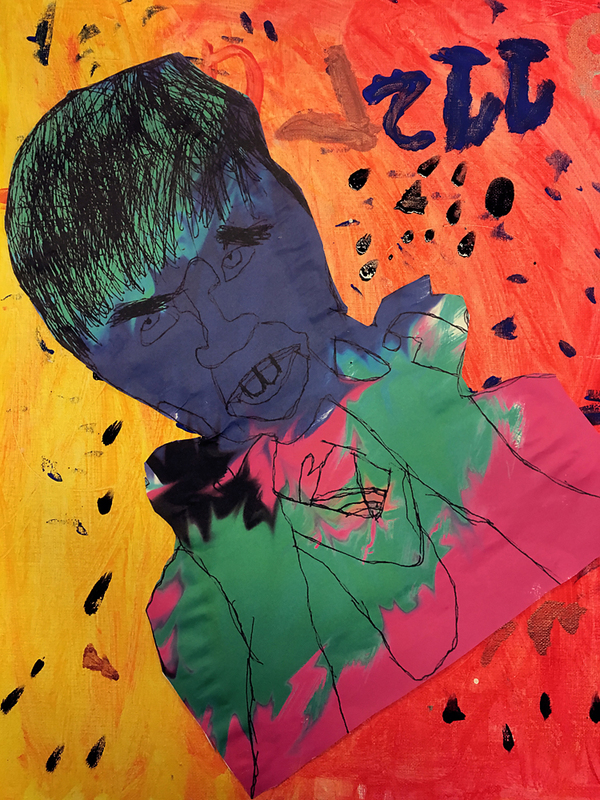 Using textures, graphics and creative tablet apps to further manipulate the images, the year 2 – 6 children had some really brilliant ideas and moved between the creative platforms as if it were second nature. 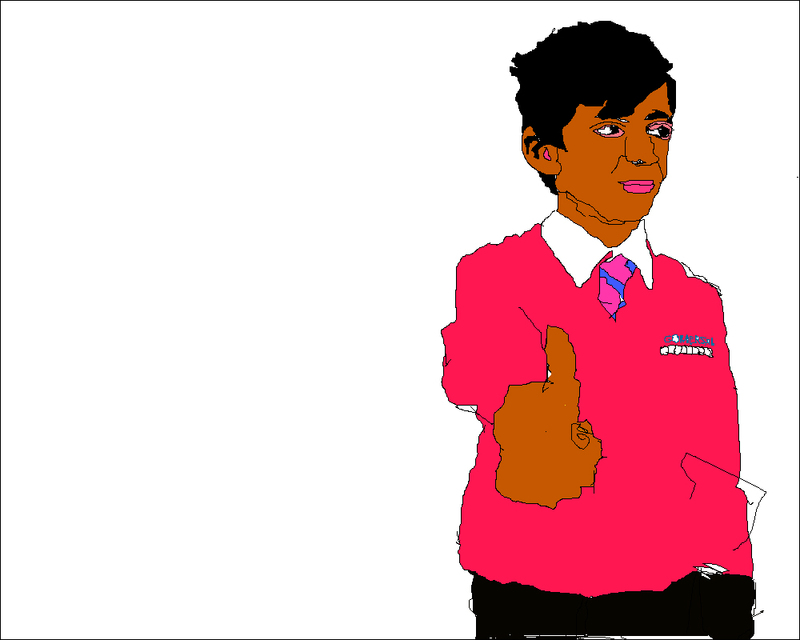 The staff were really friendly and helpful too. 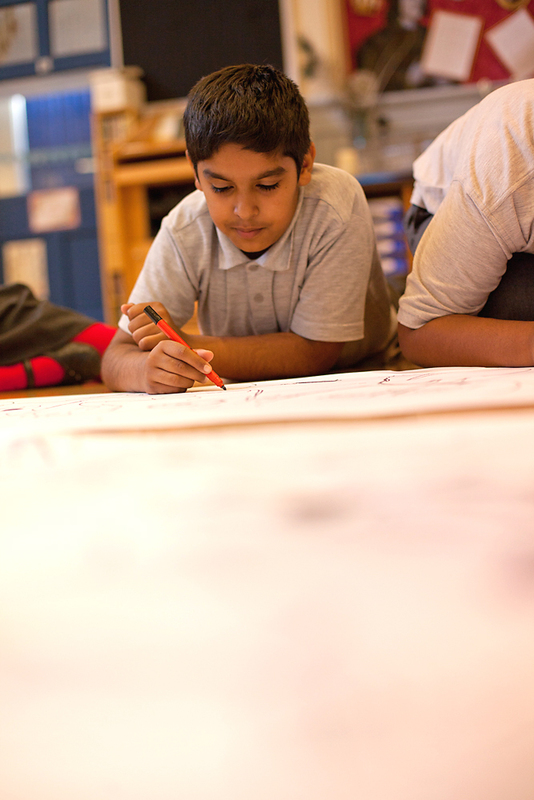 I have always enjoyed working with this school. 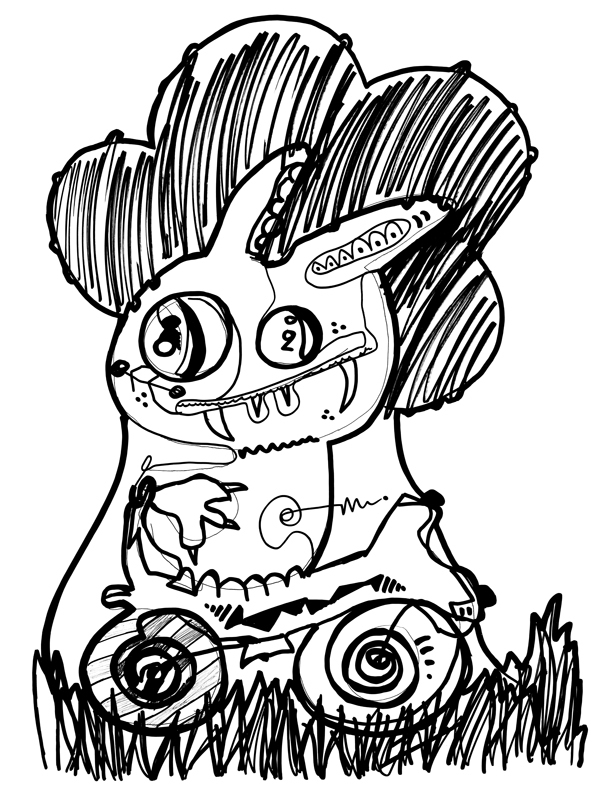 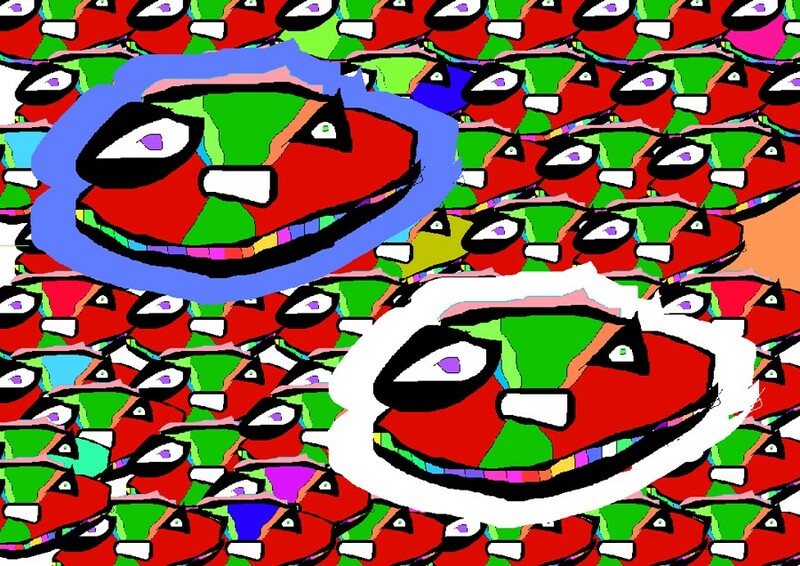 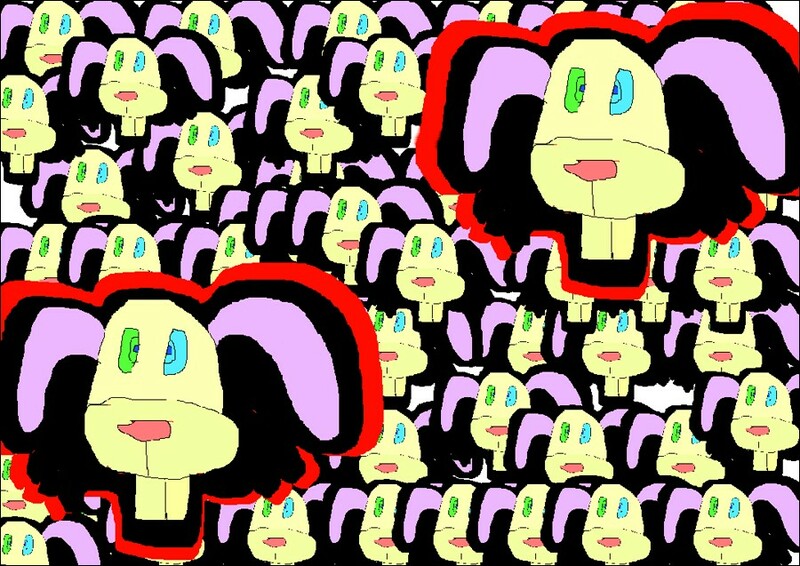 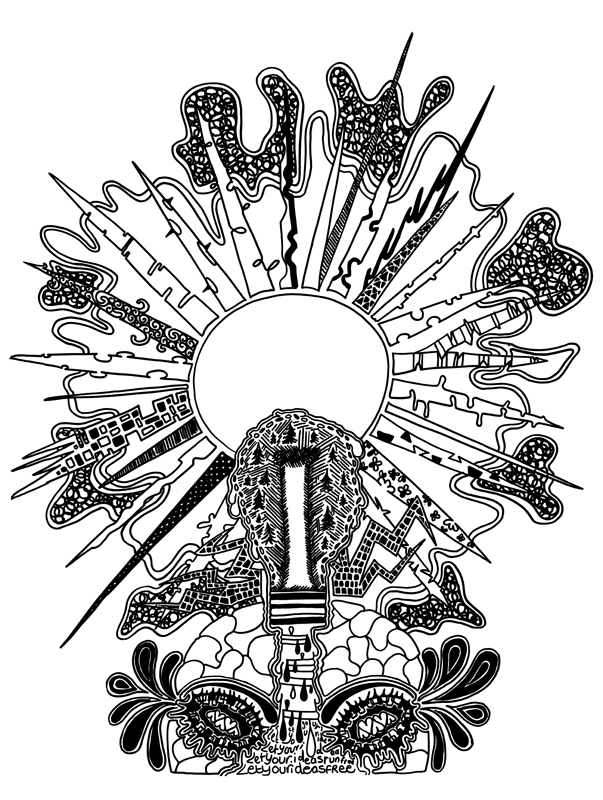 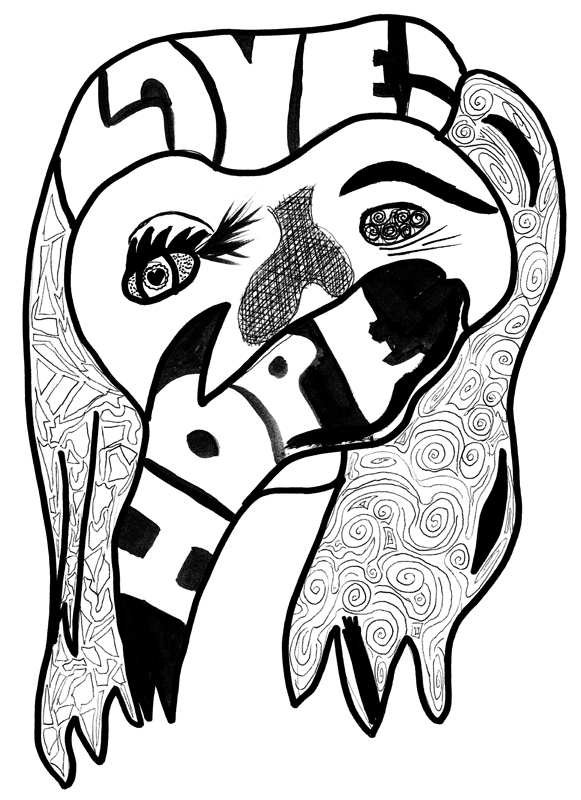 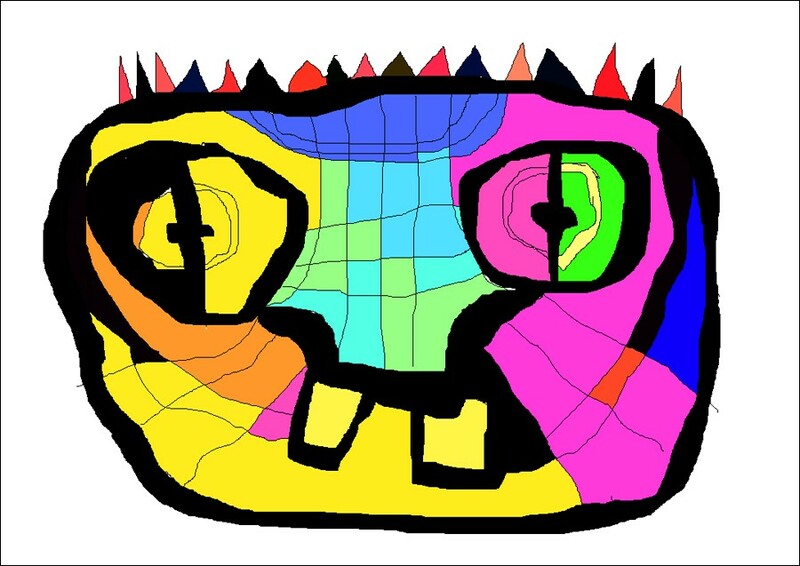 Check out some of their artwork below. 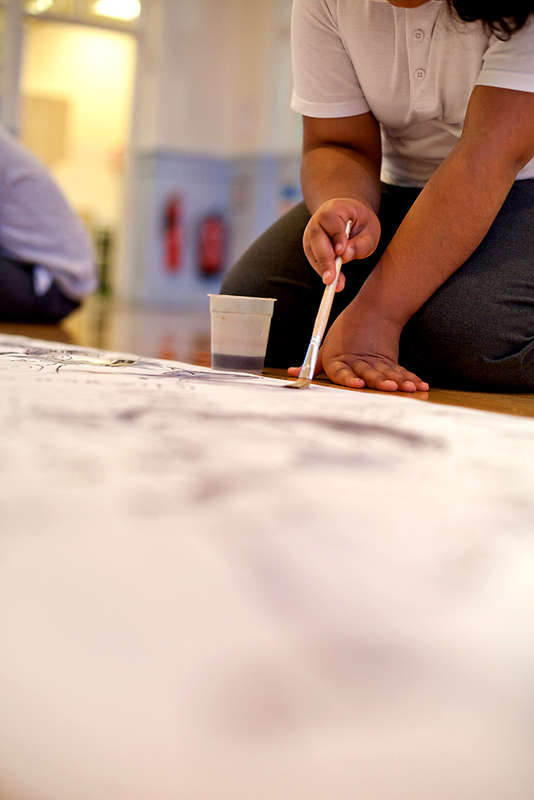 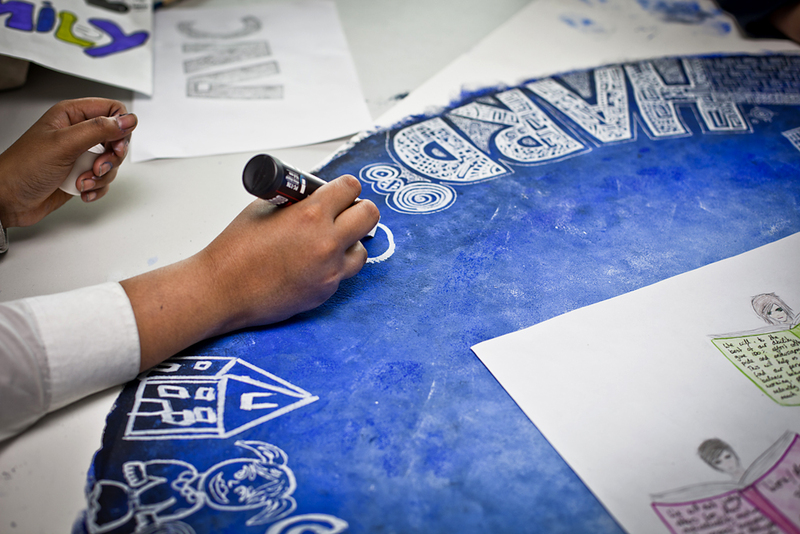 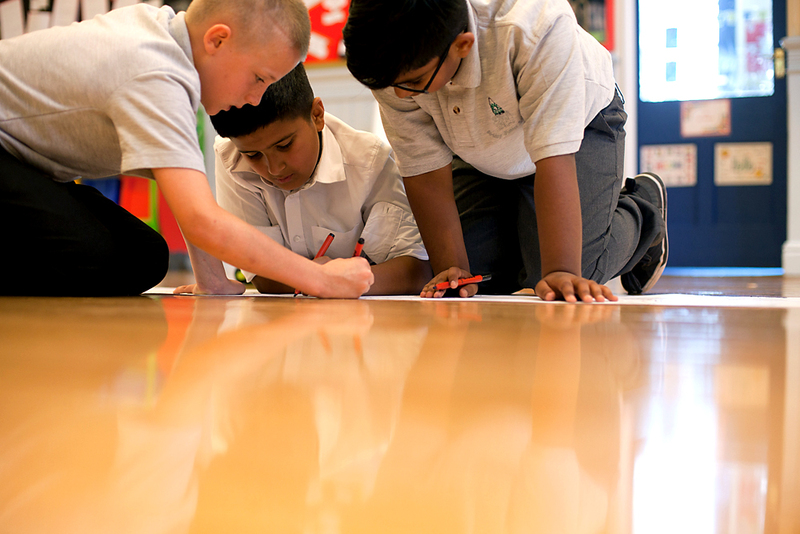 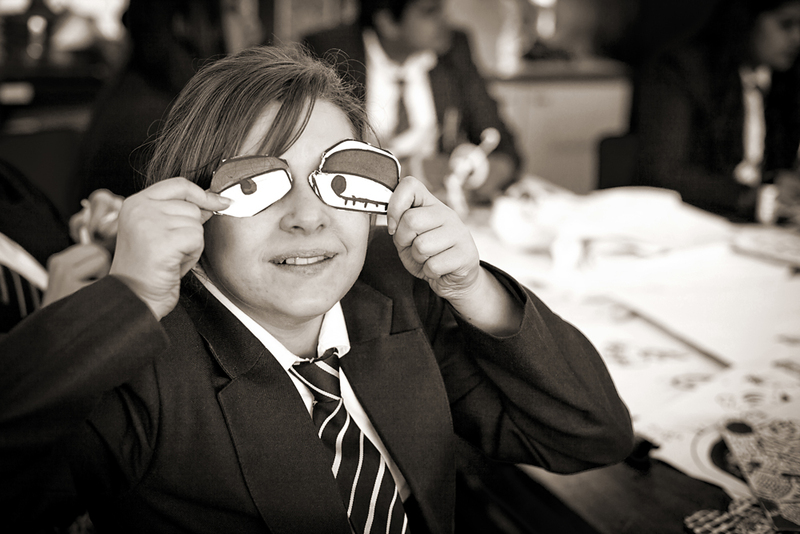 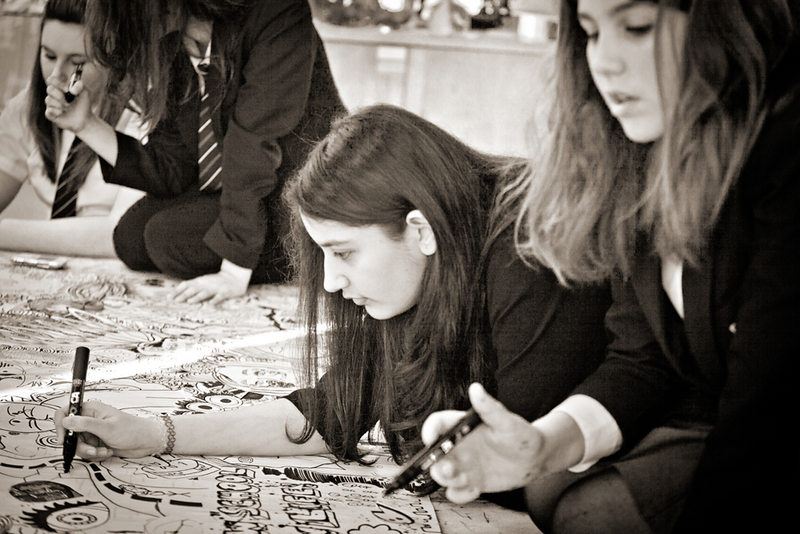 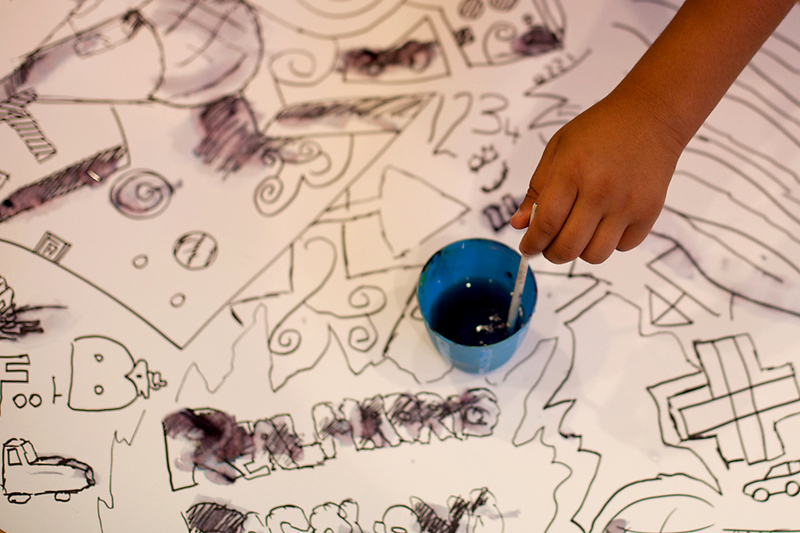 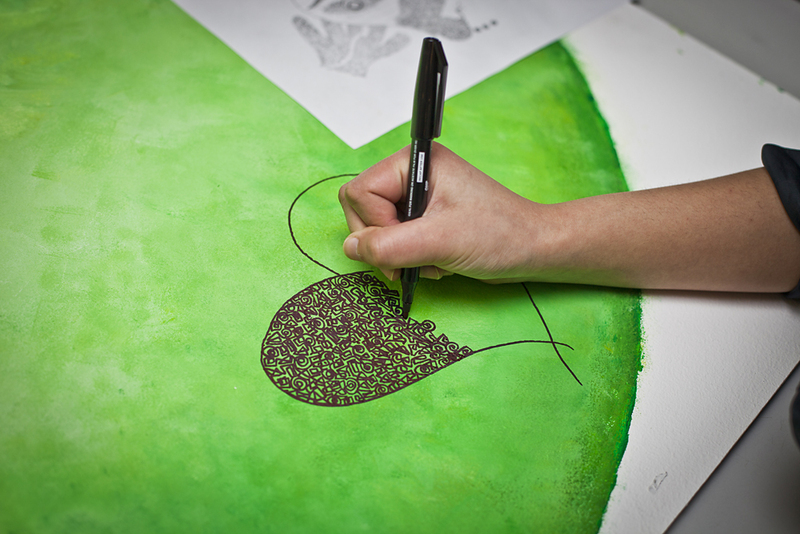 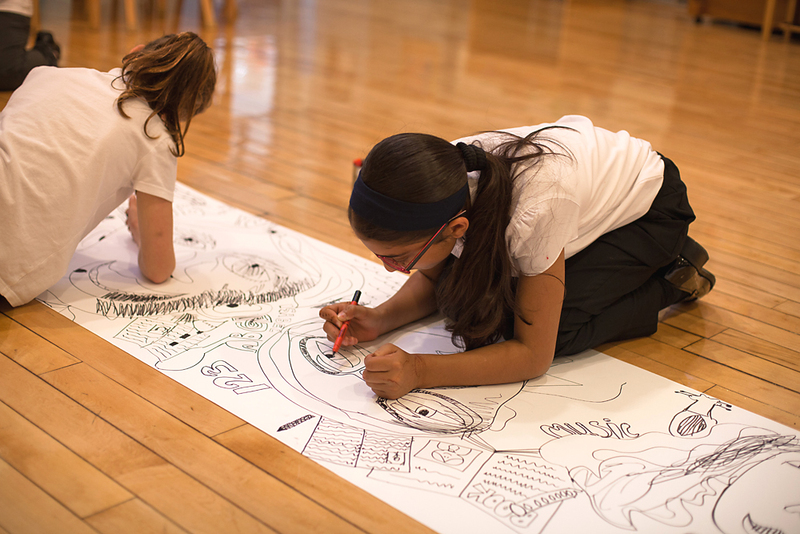 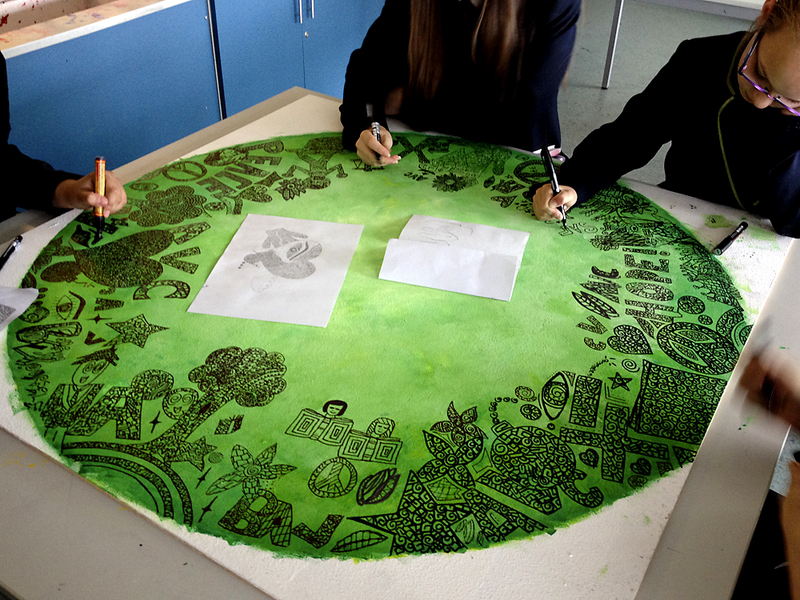 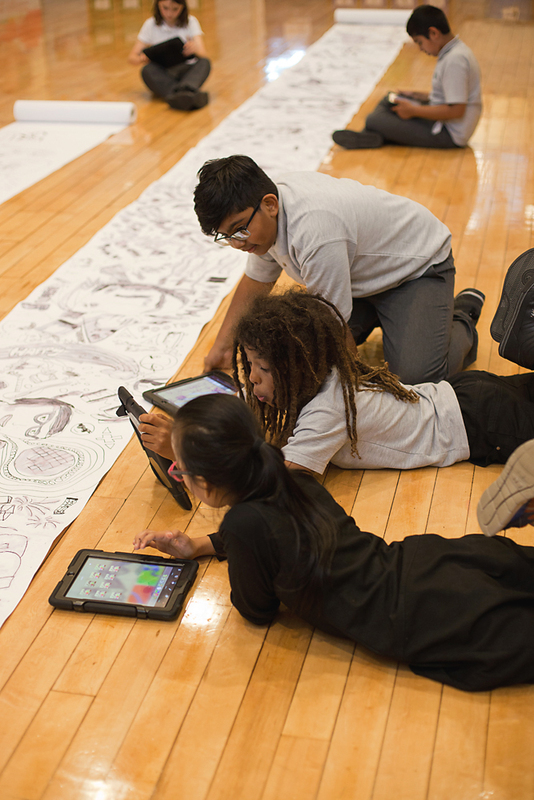 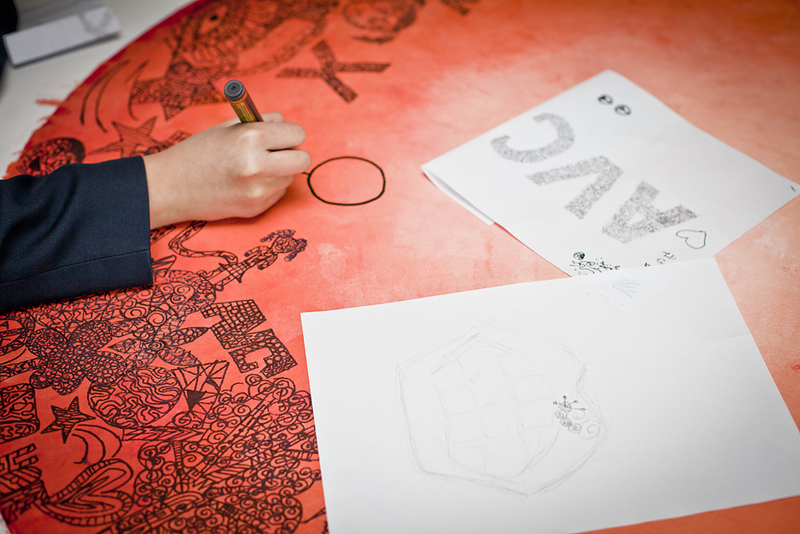 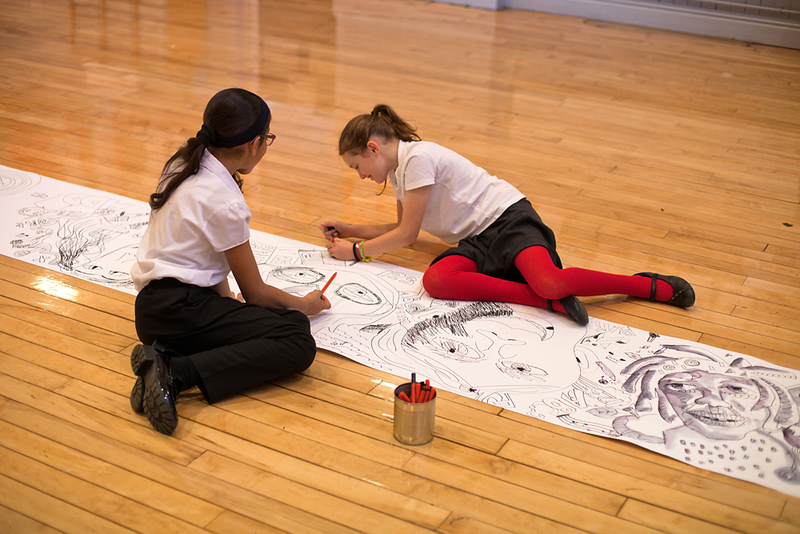 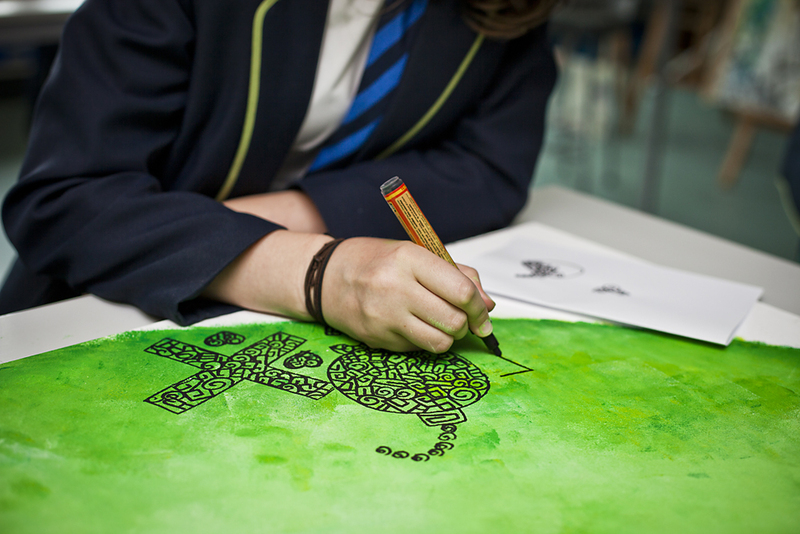 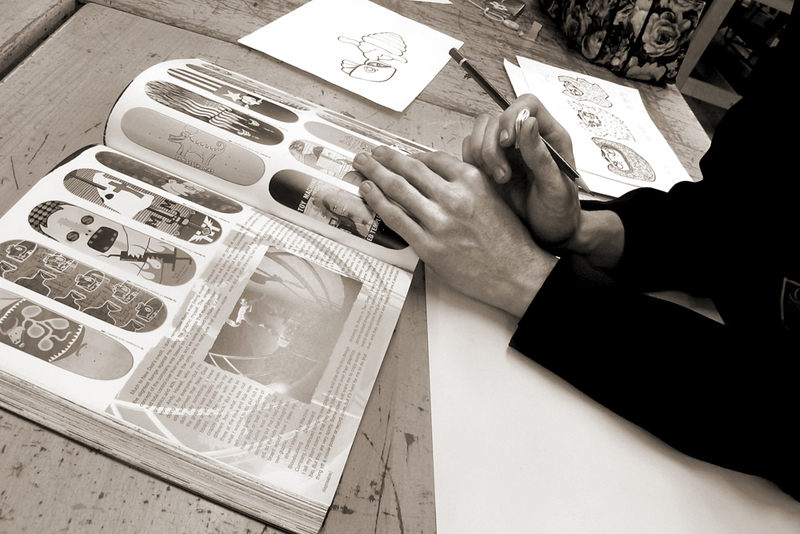 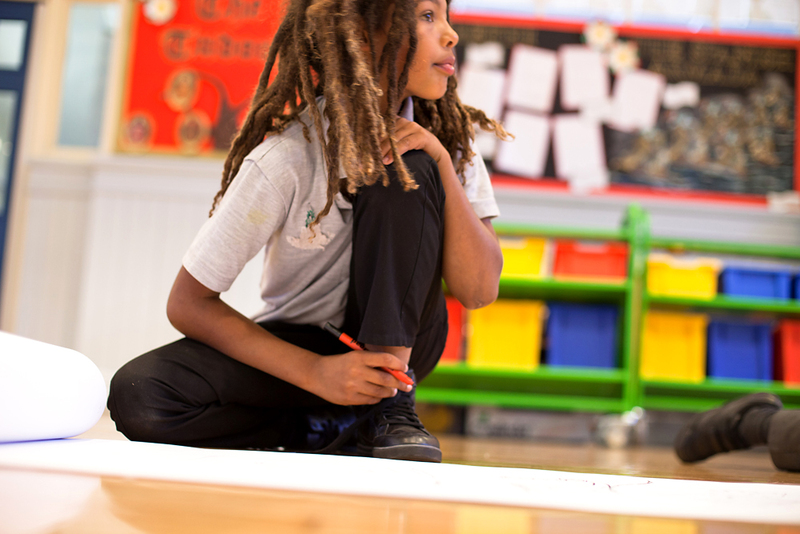 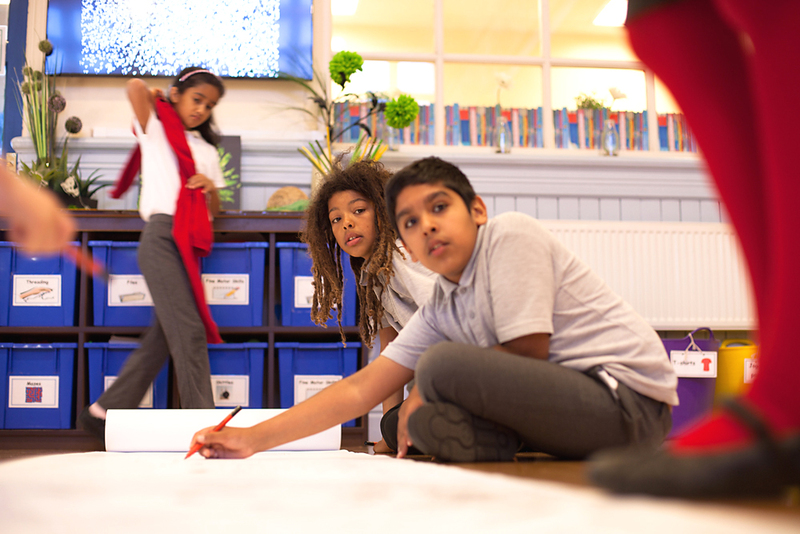 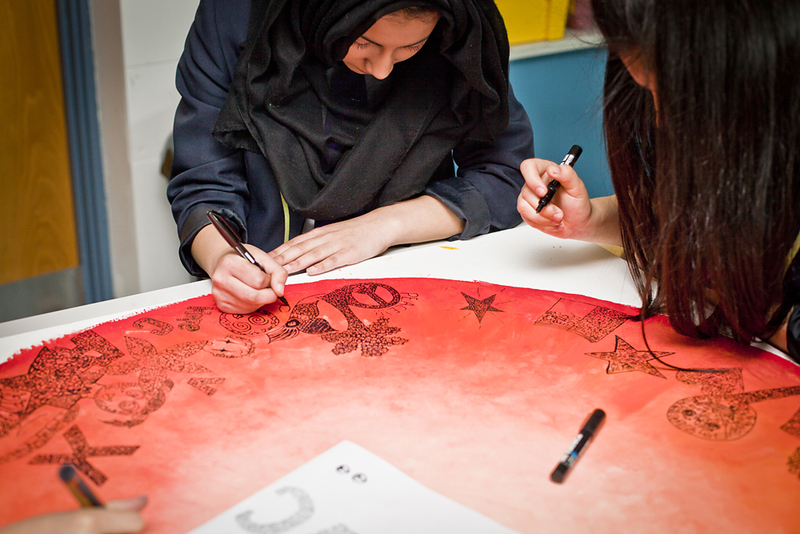 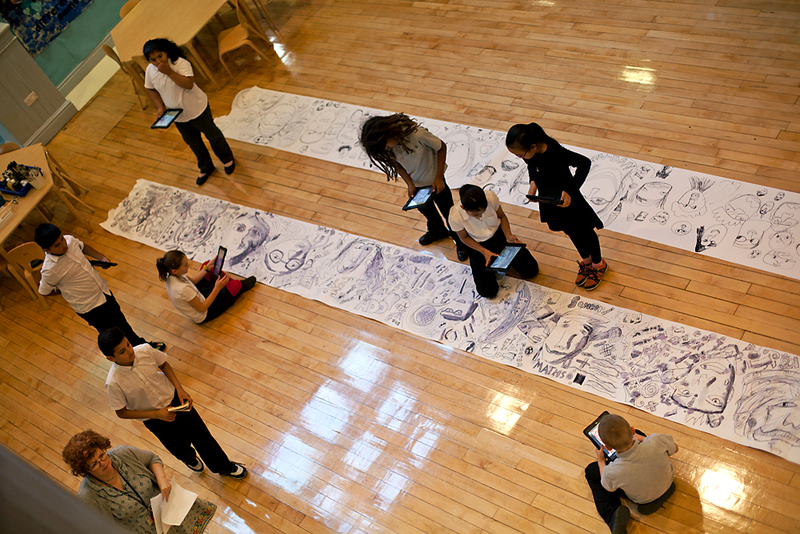 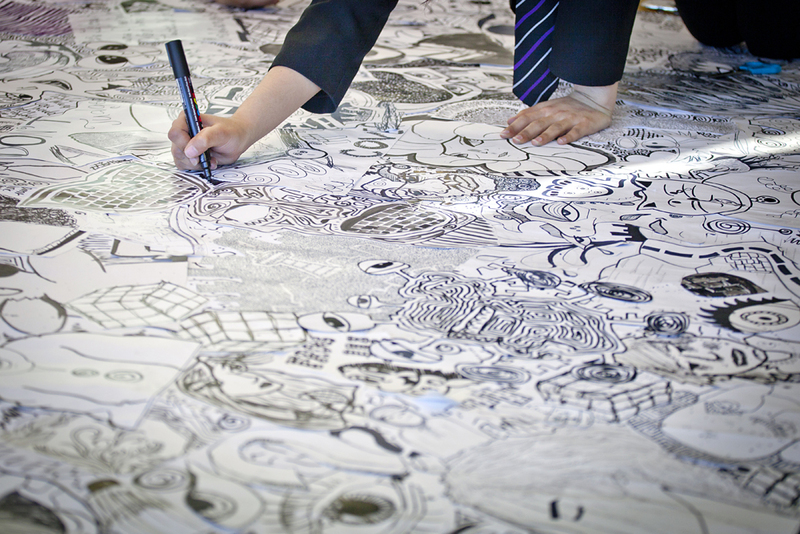 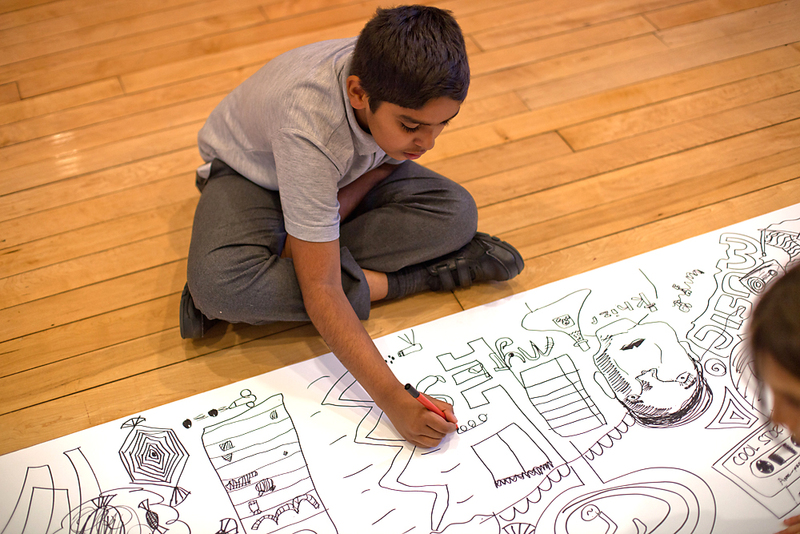 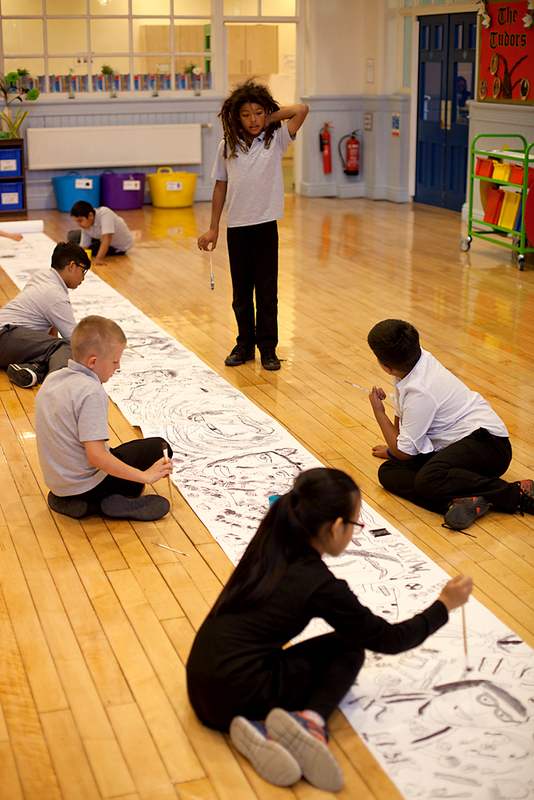 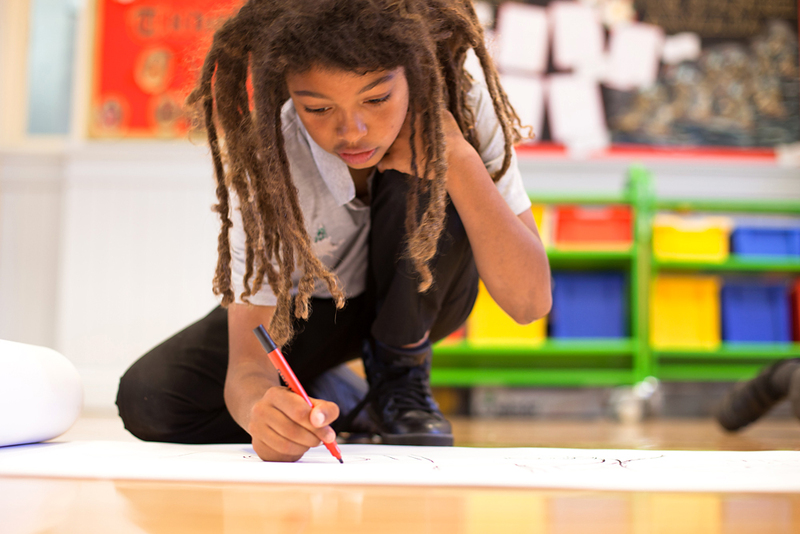 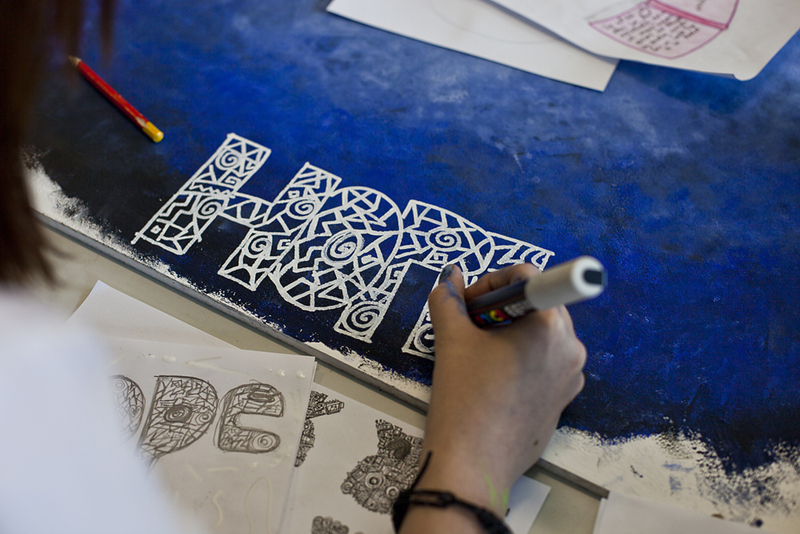 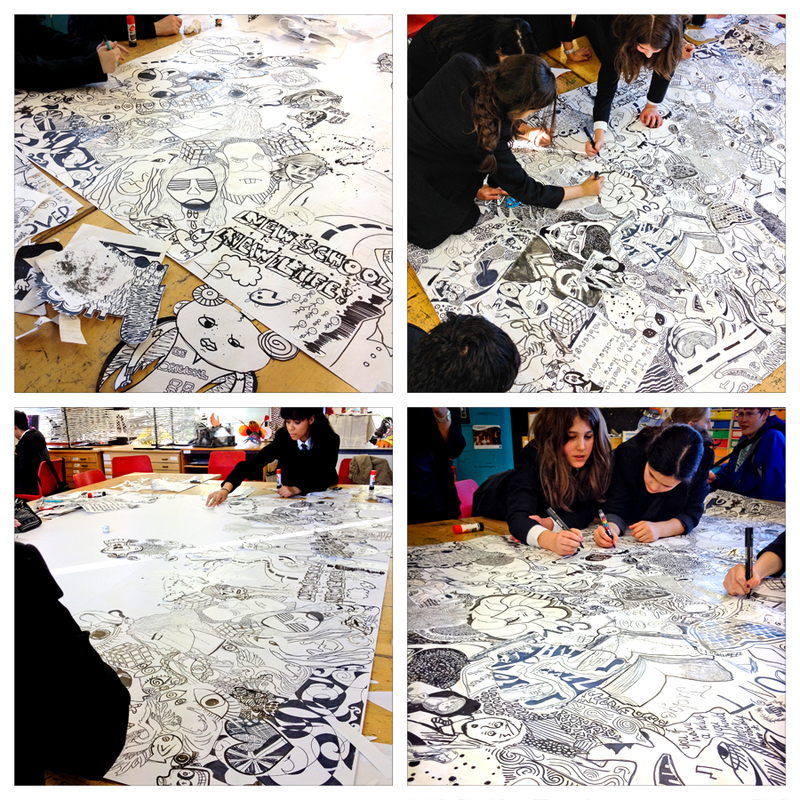 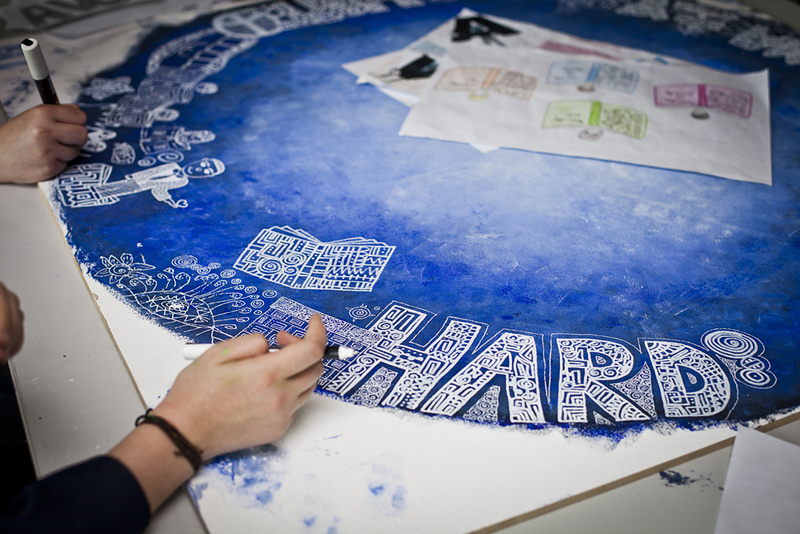 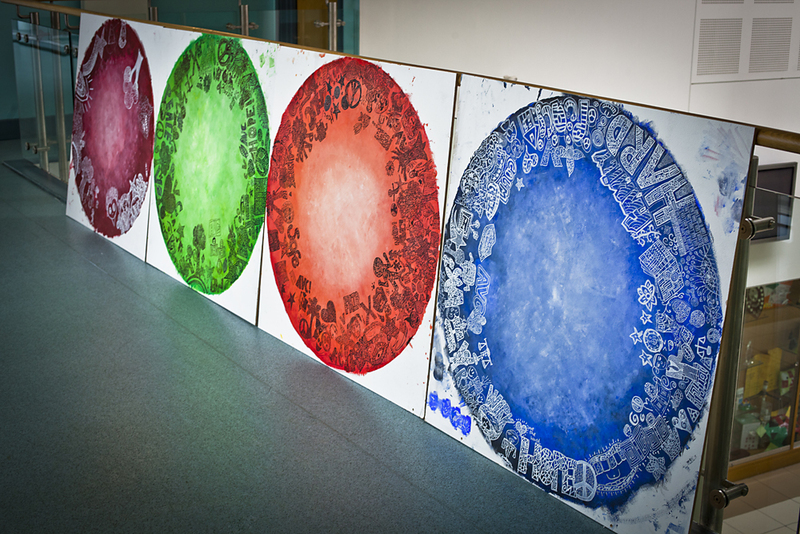 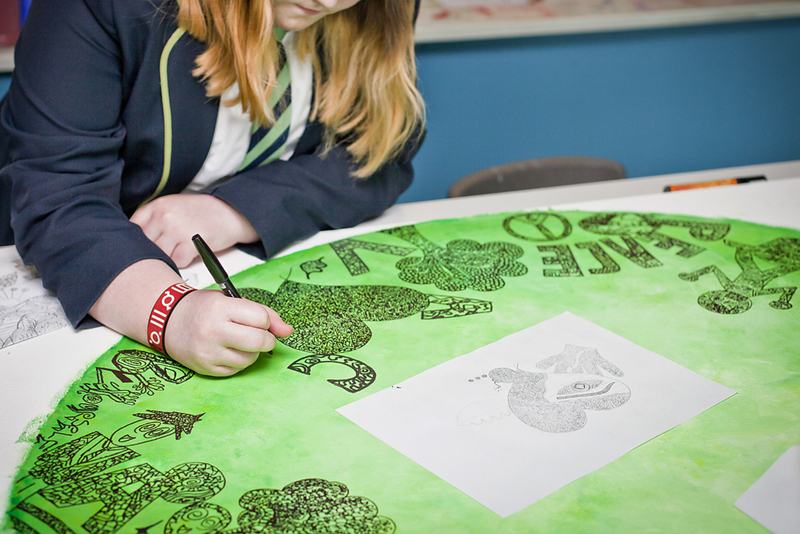 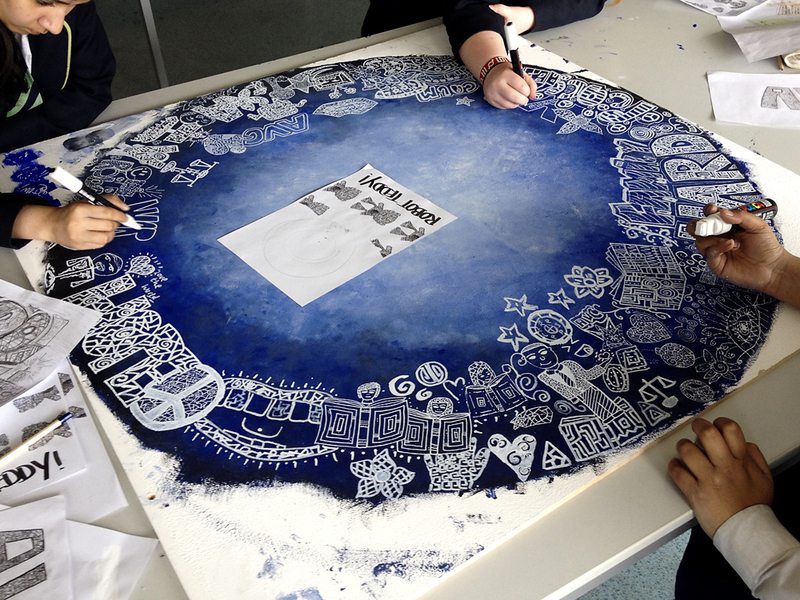 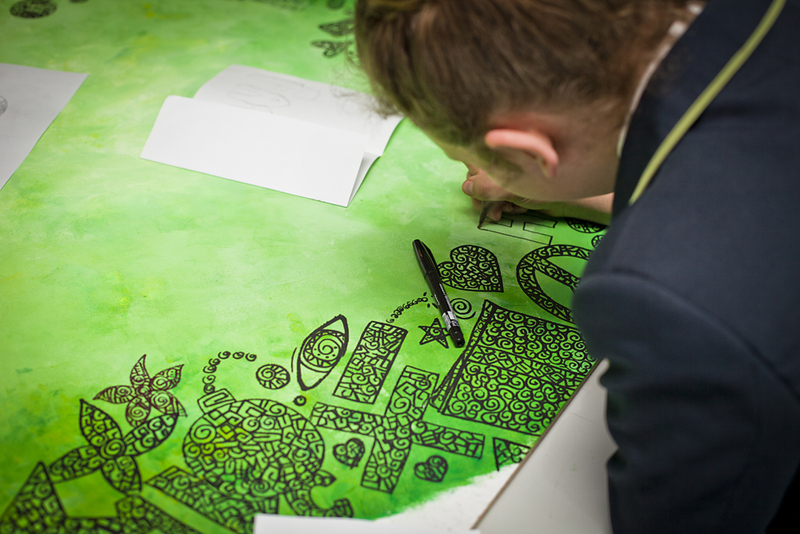 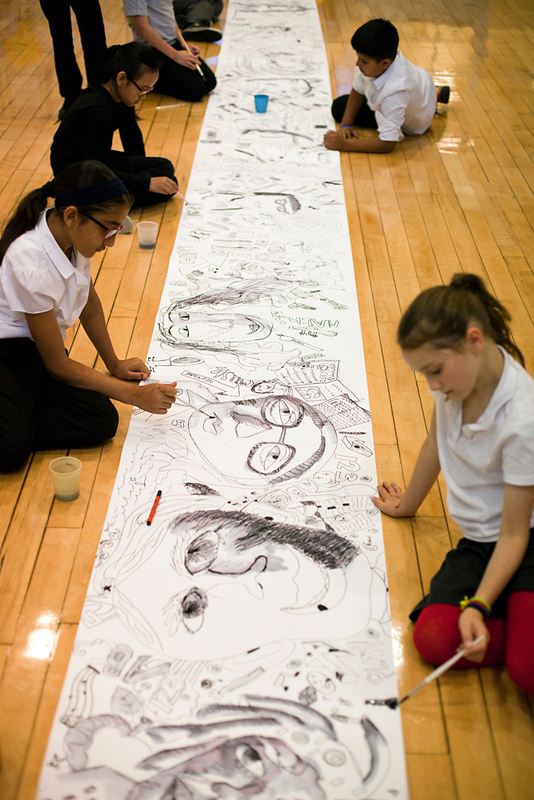 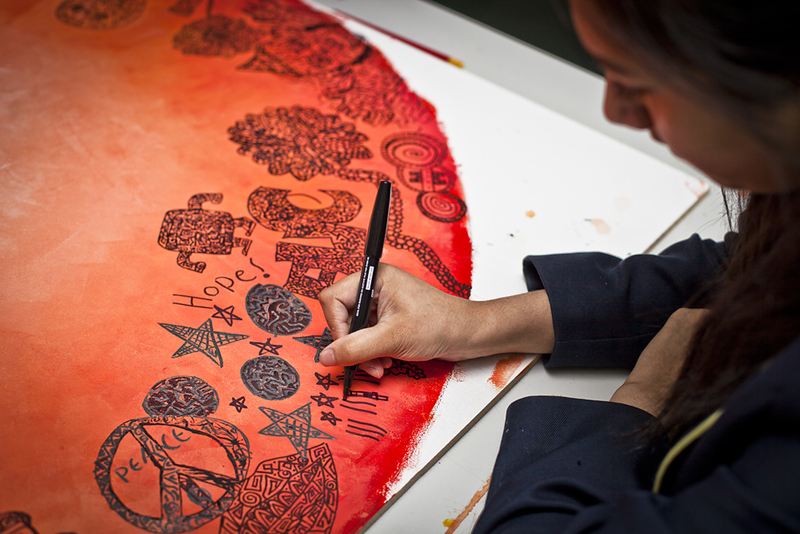 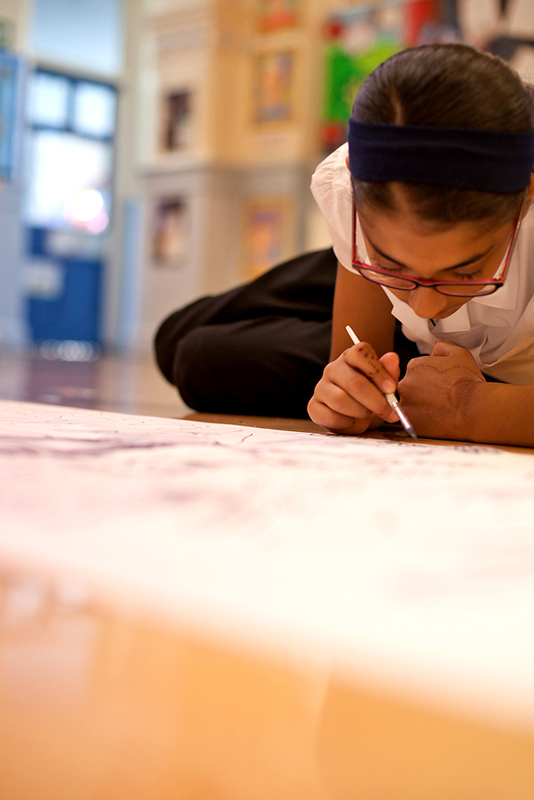 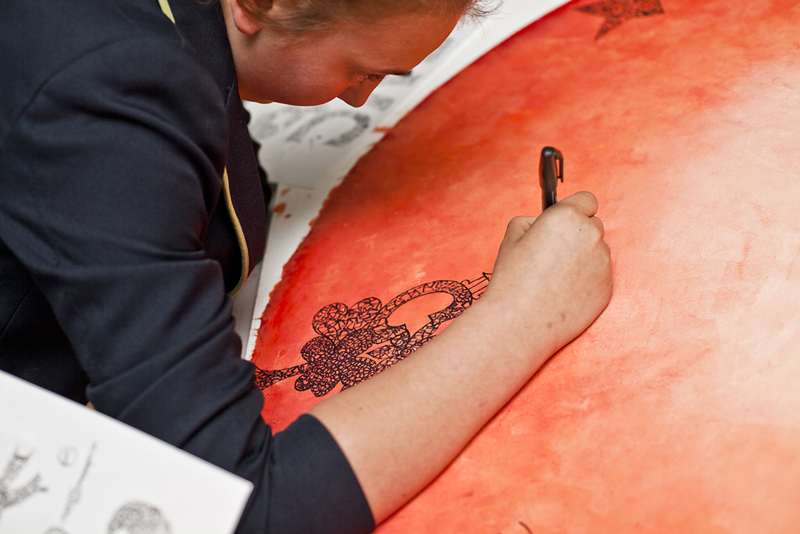 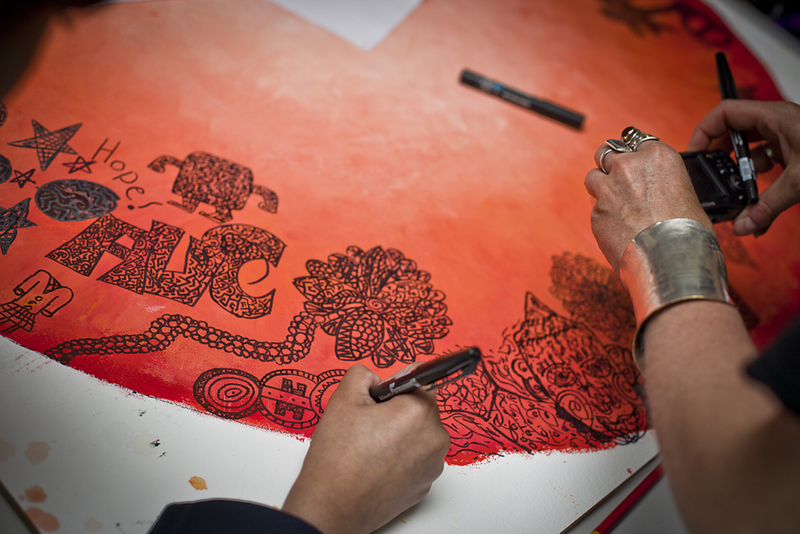 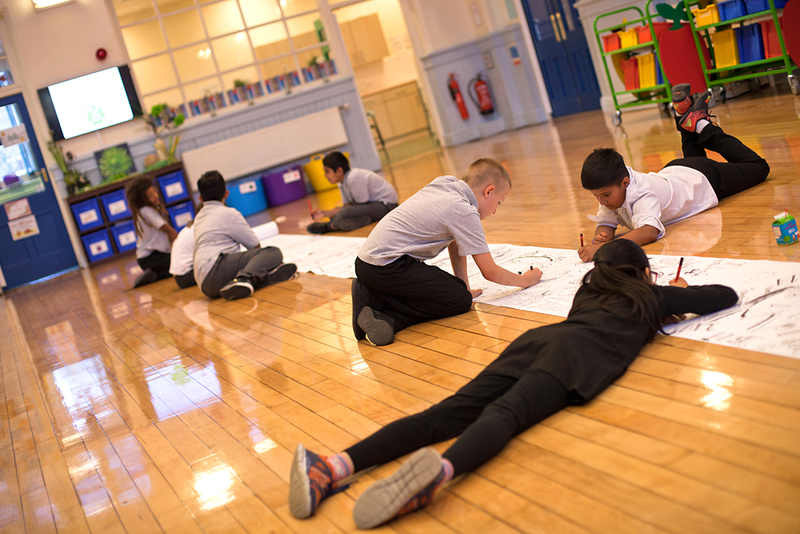 Working as Artist in Residence with young people at Bradford Academy recently in the production of funky graphics across four large circular boards. 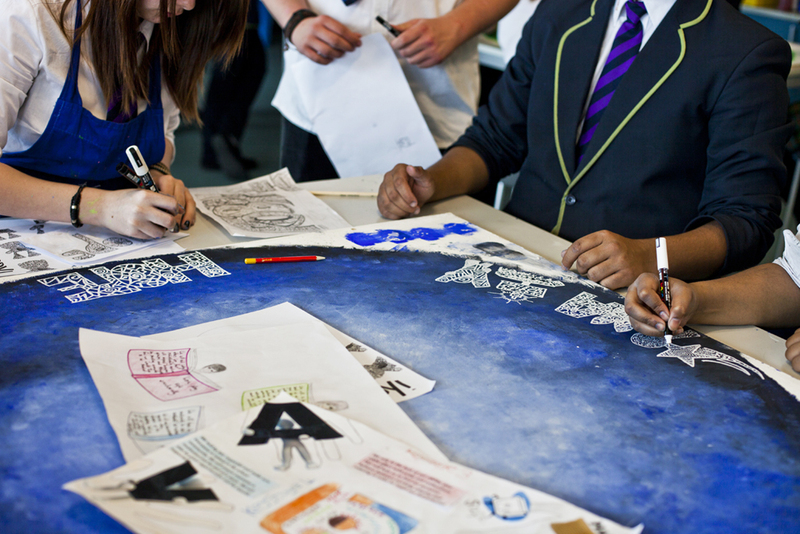 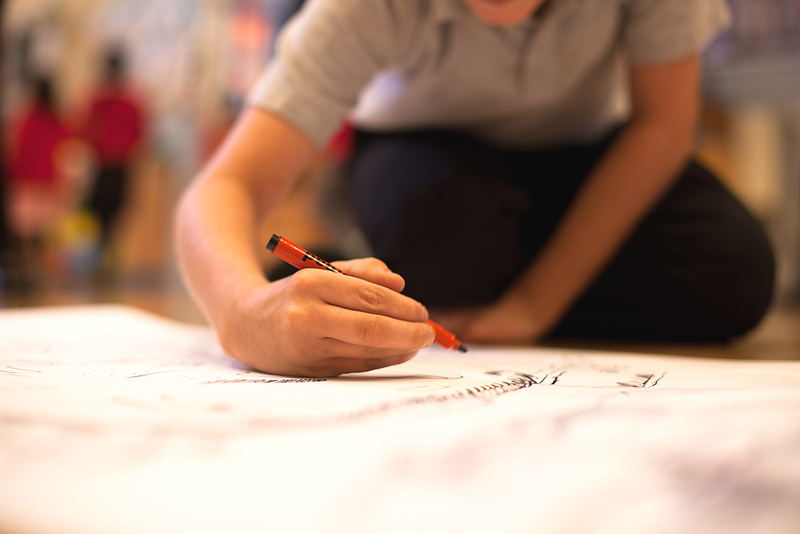 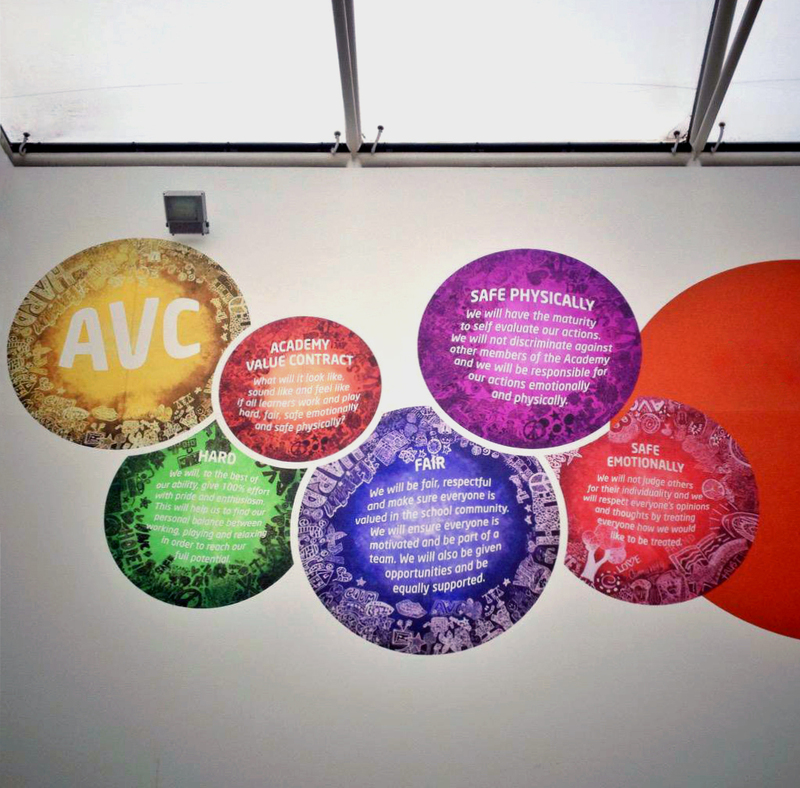 The design challenge was based on the Academy Value Contract (AVC) that students agree to adhere to. 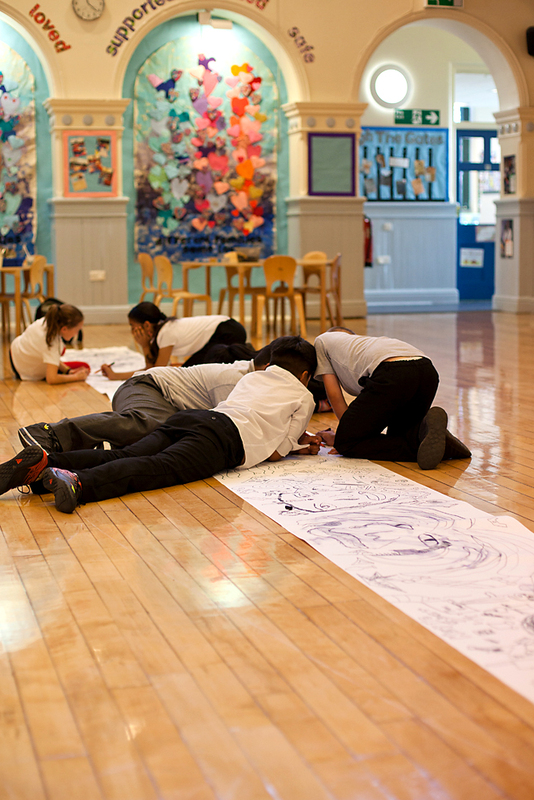 It is always great fun working at this school. 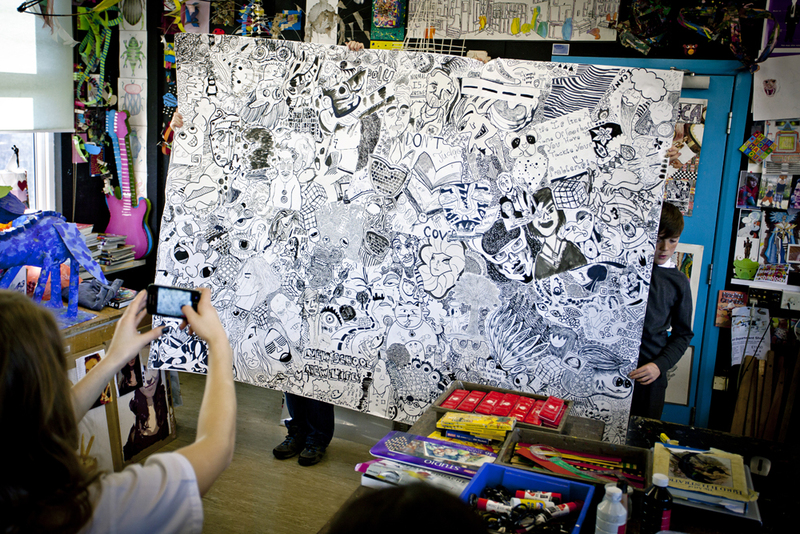 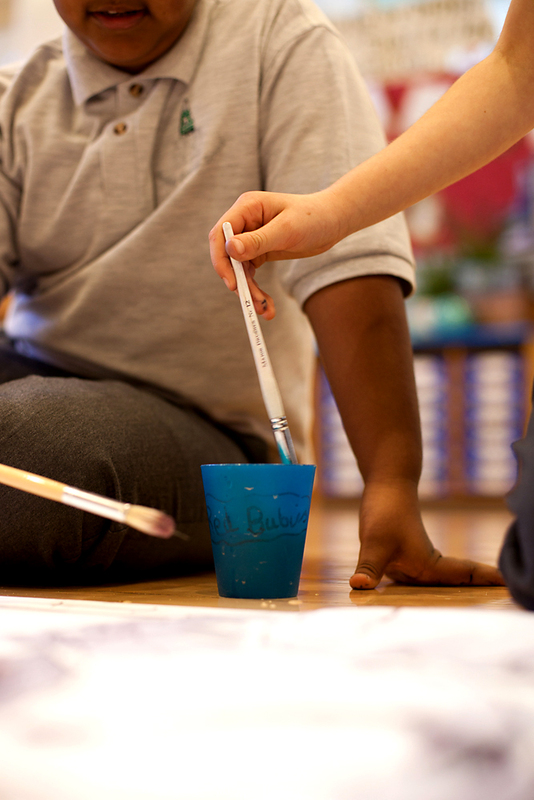 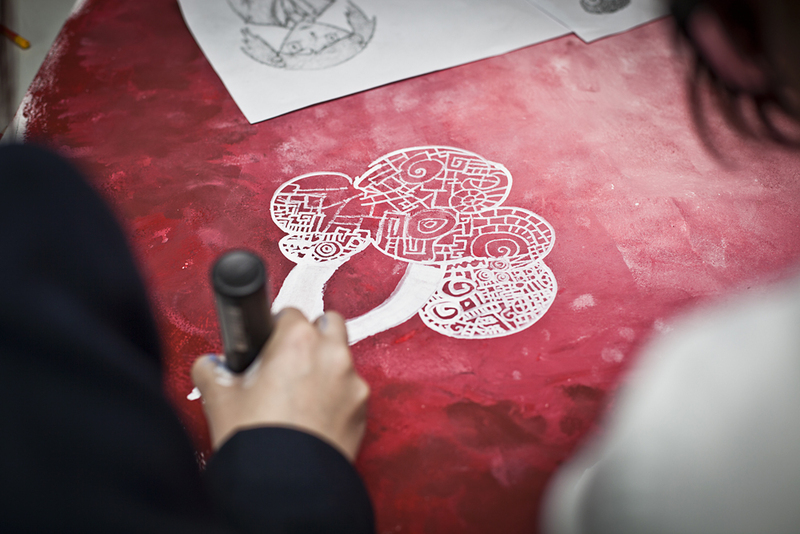 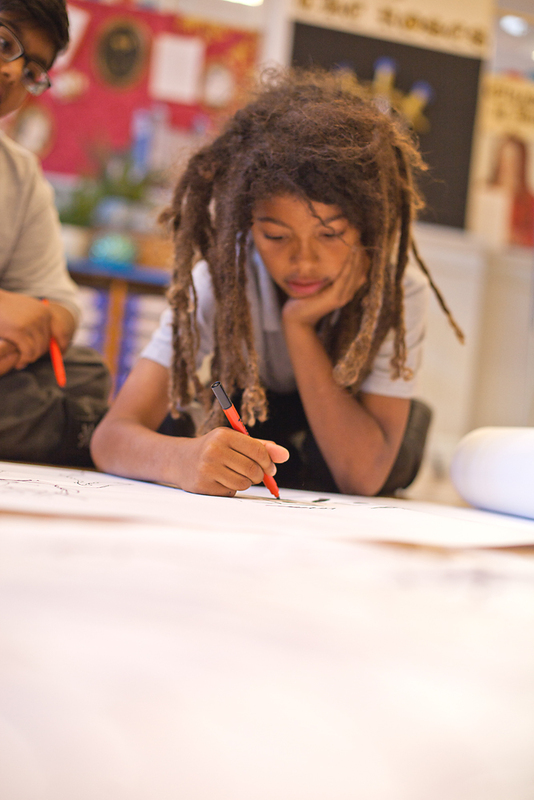 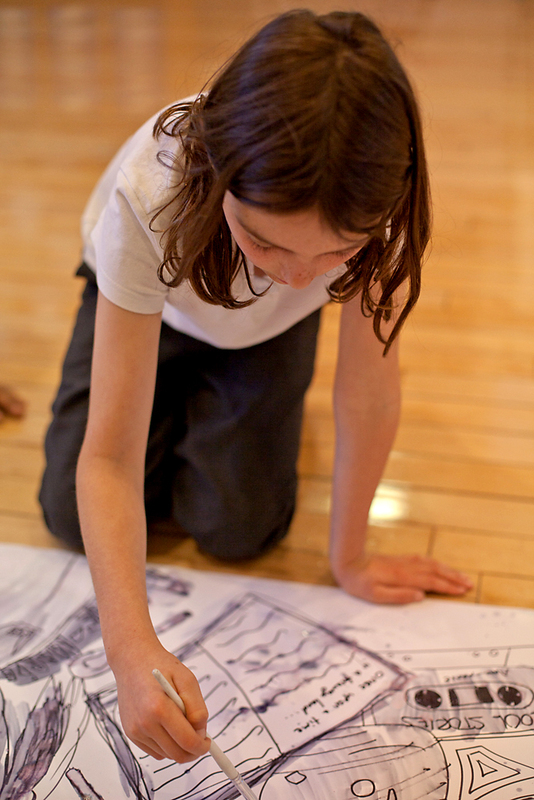 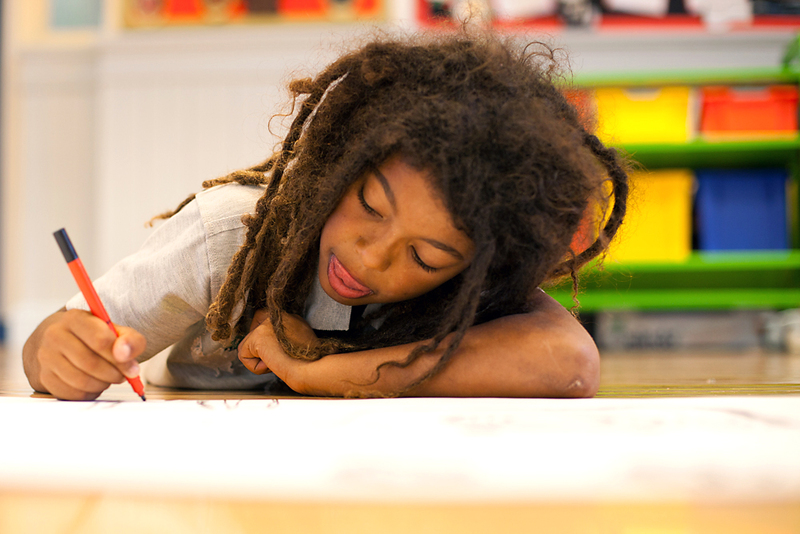 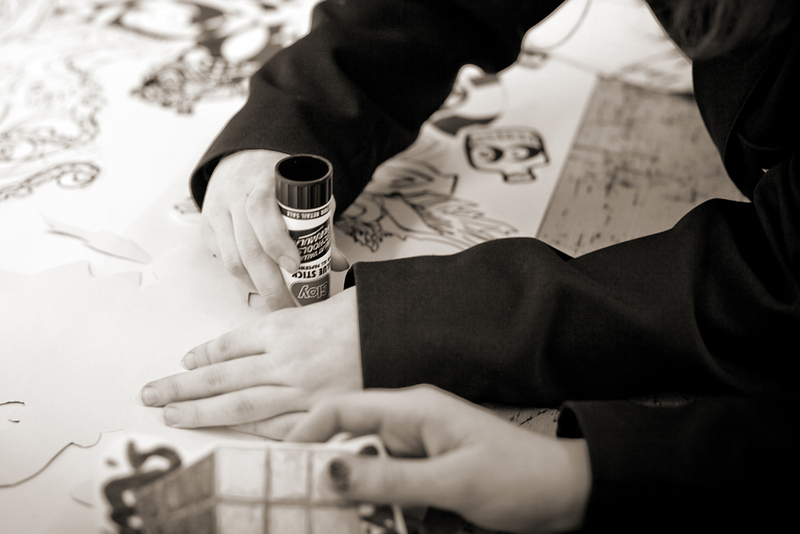 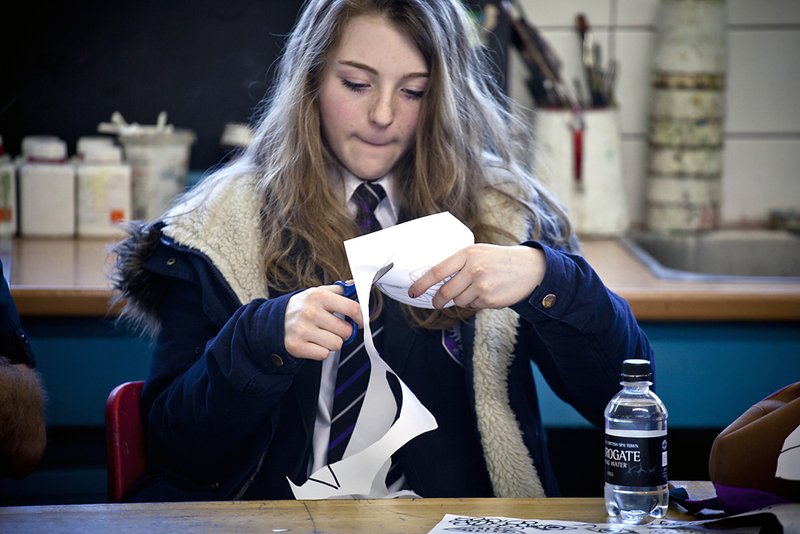 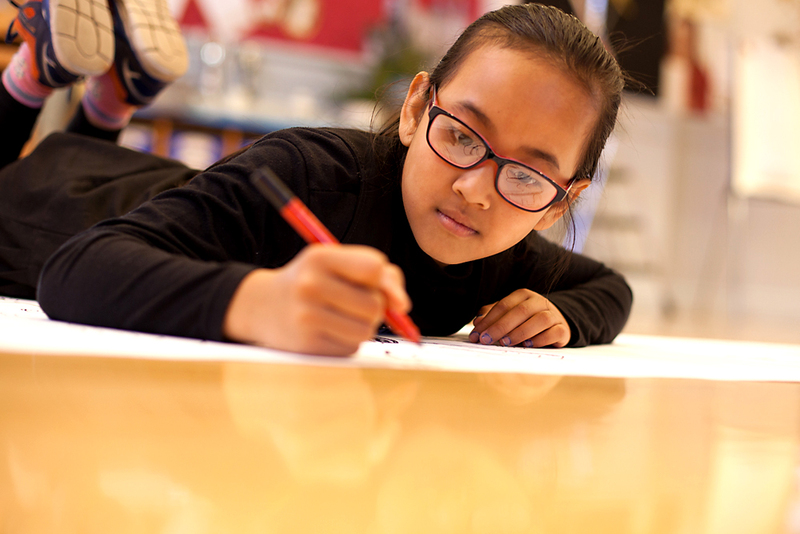 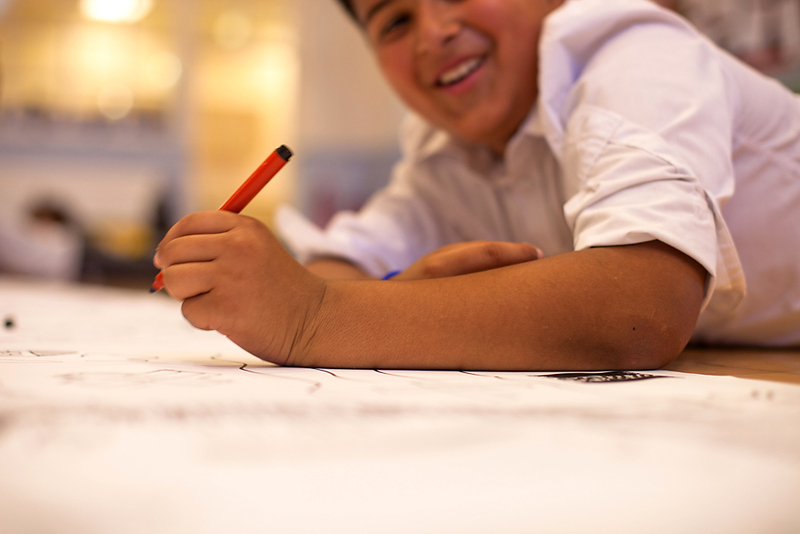 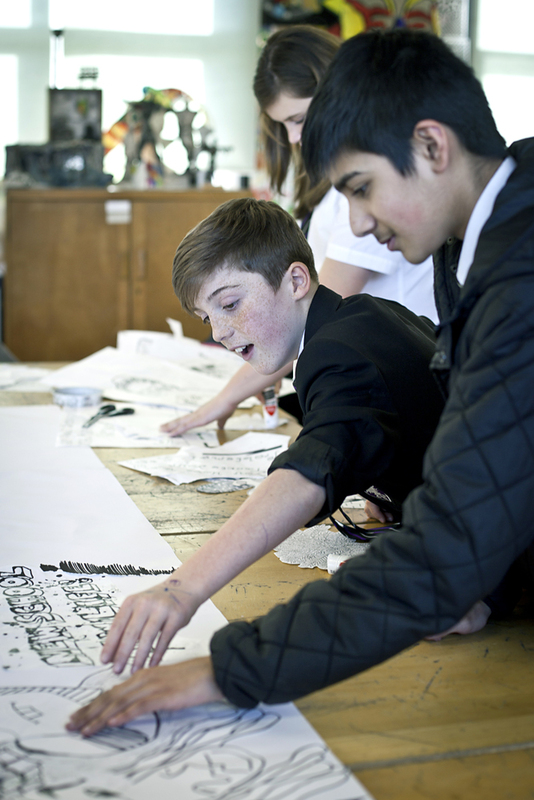 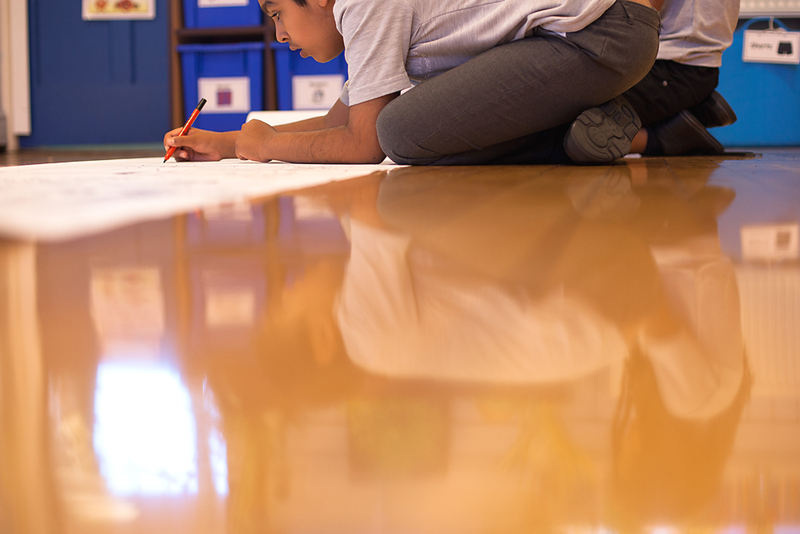 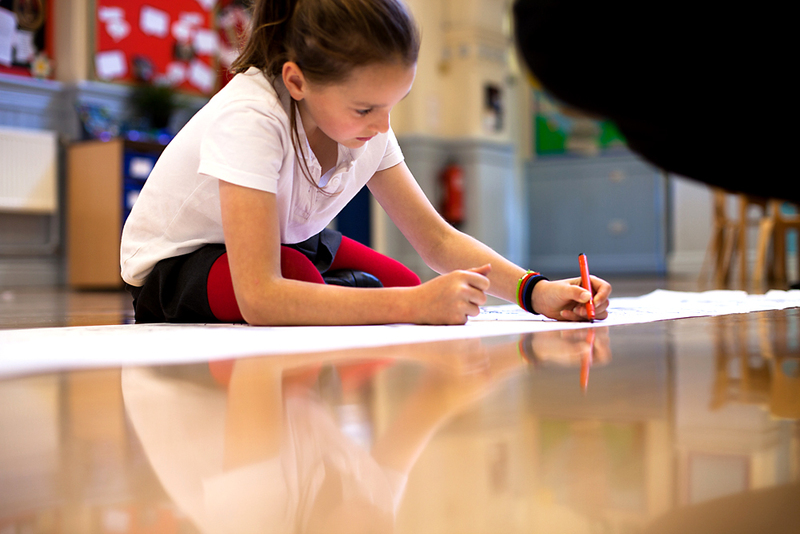 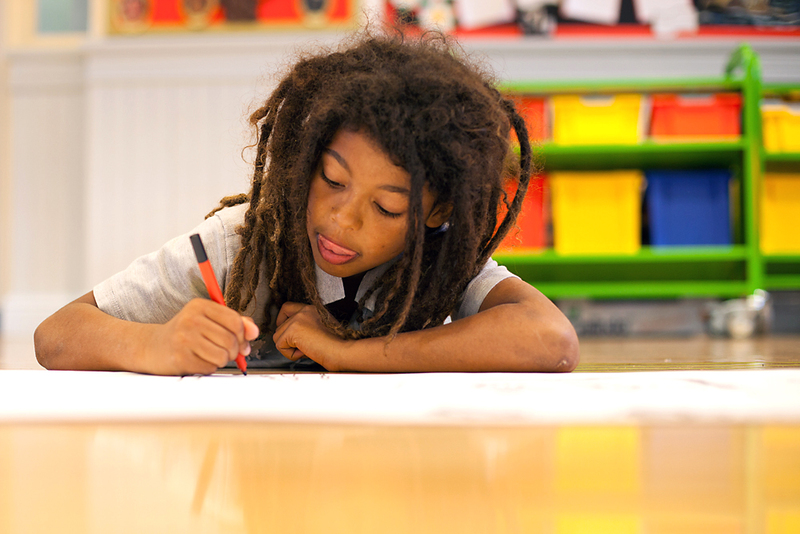 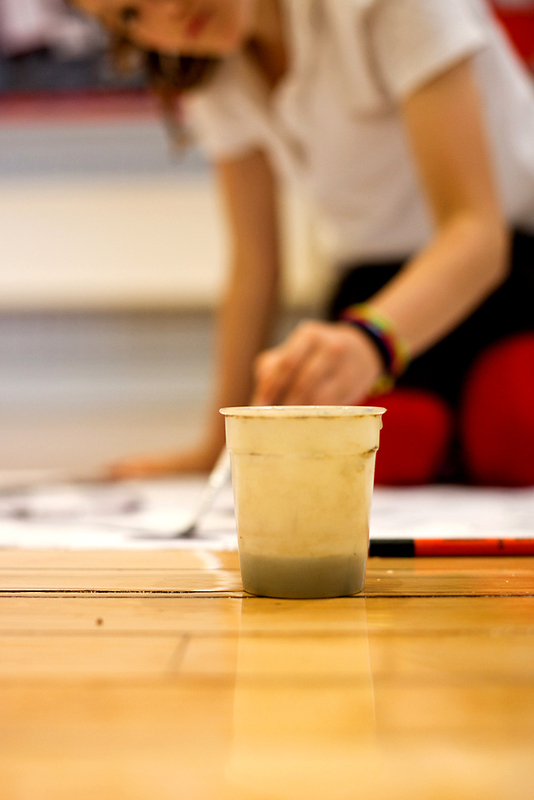 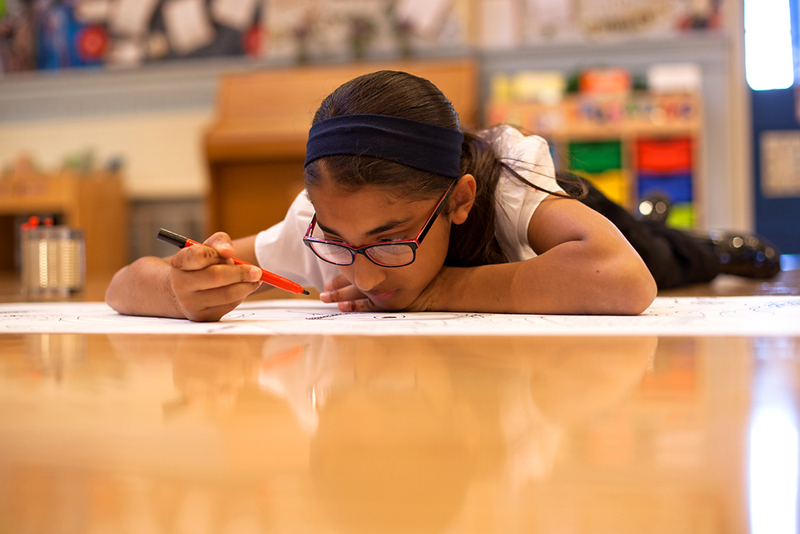 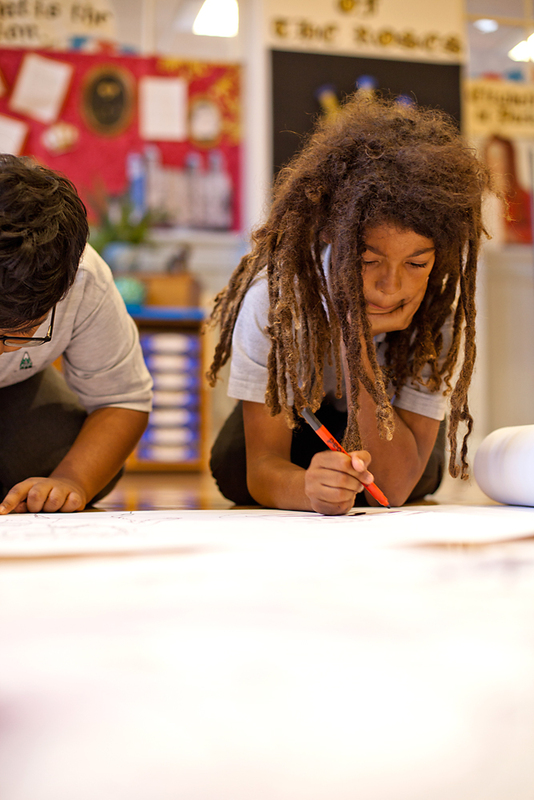 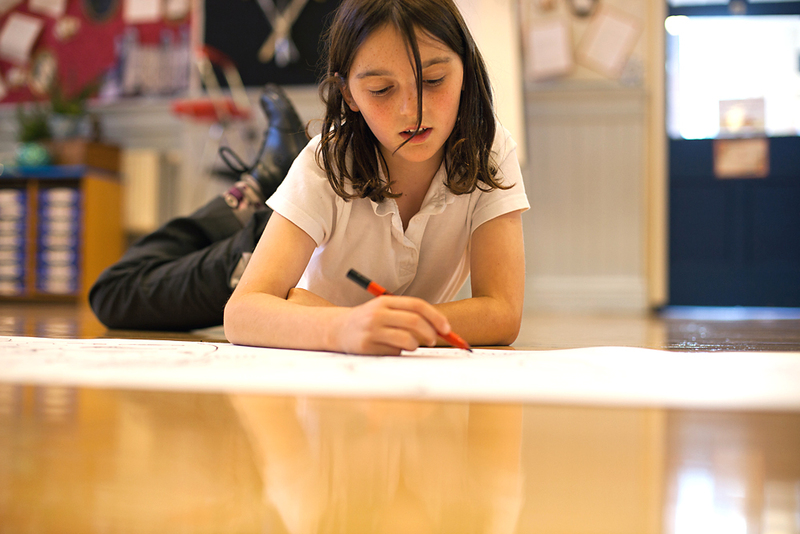 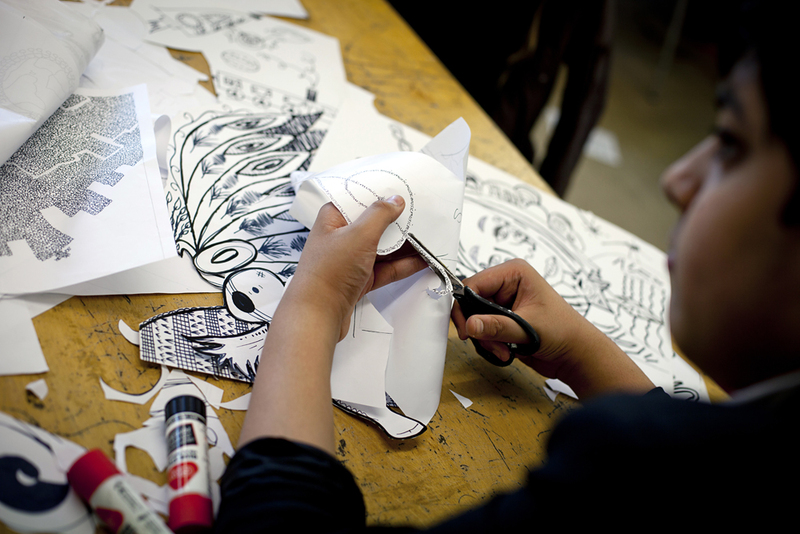 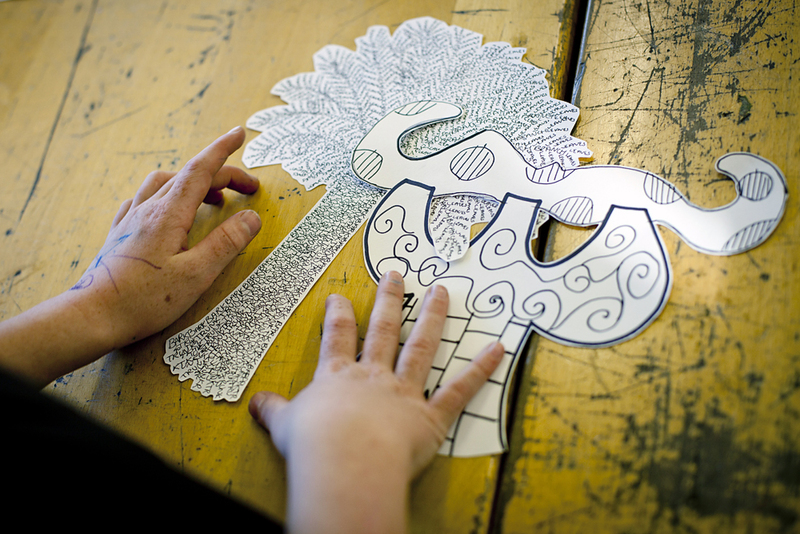 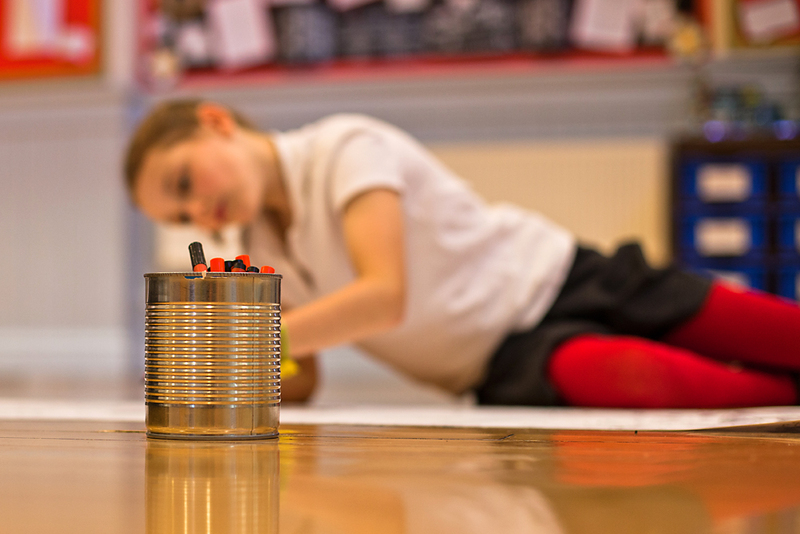 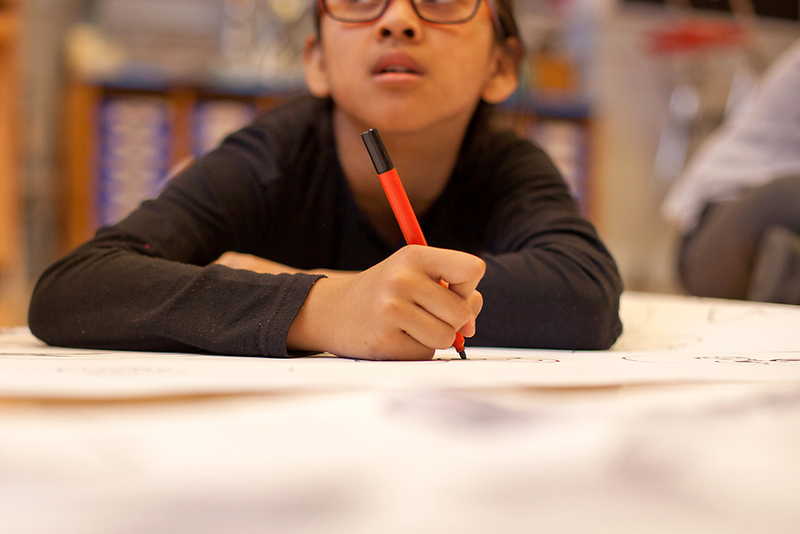 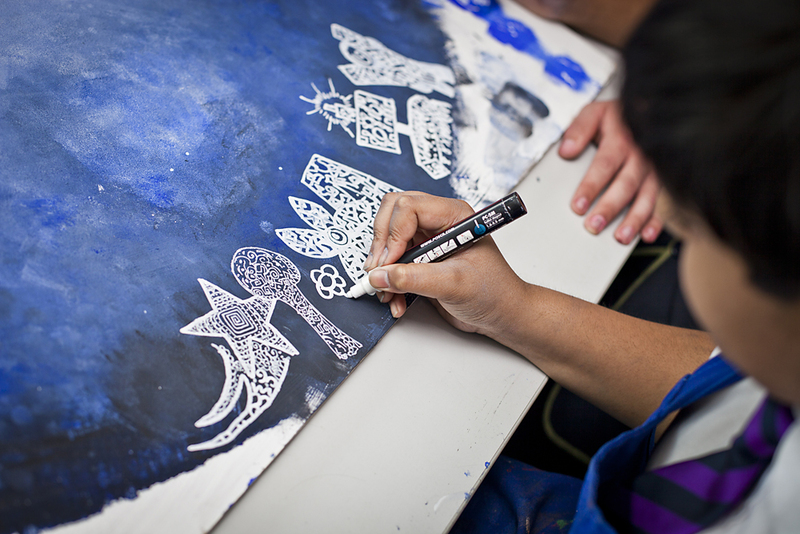 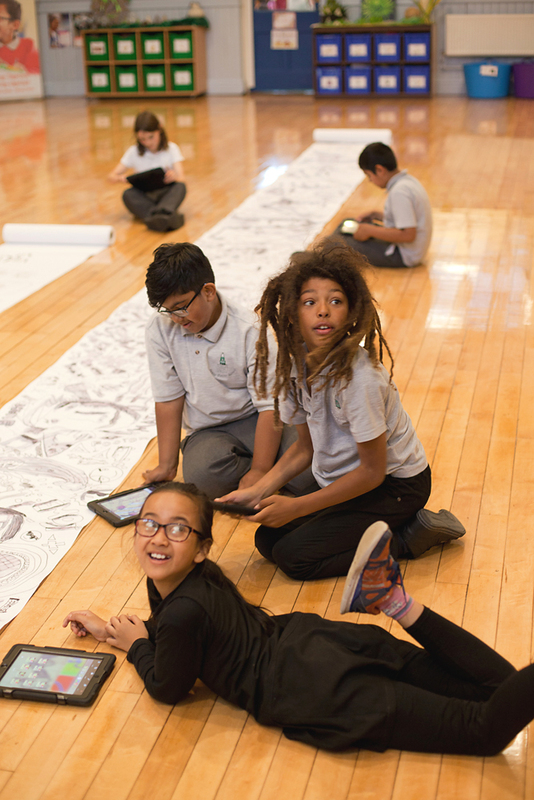 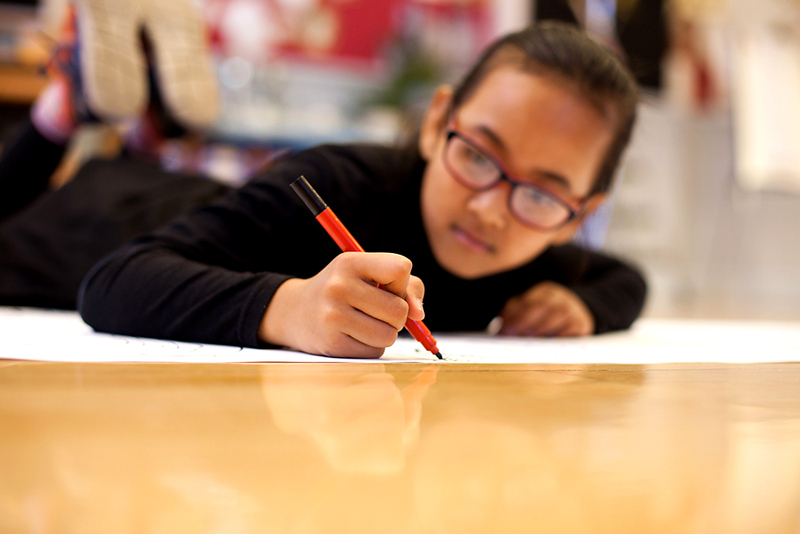 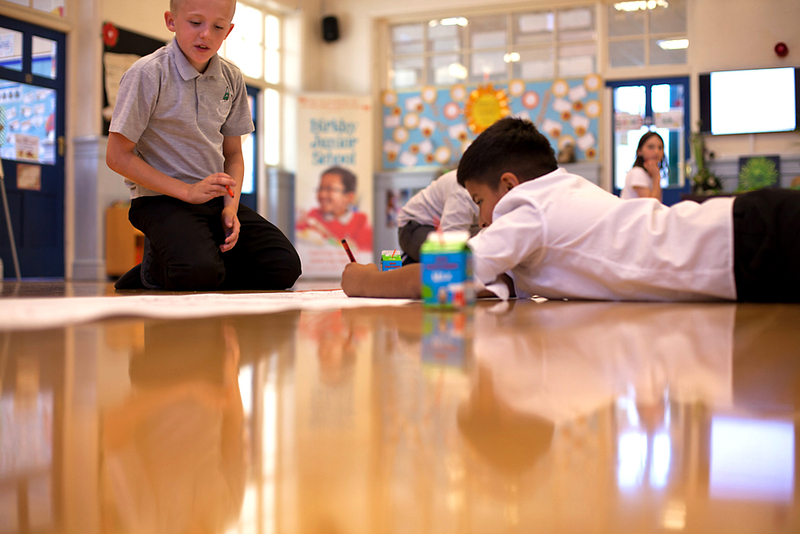 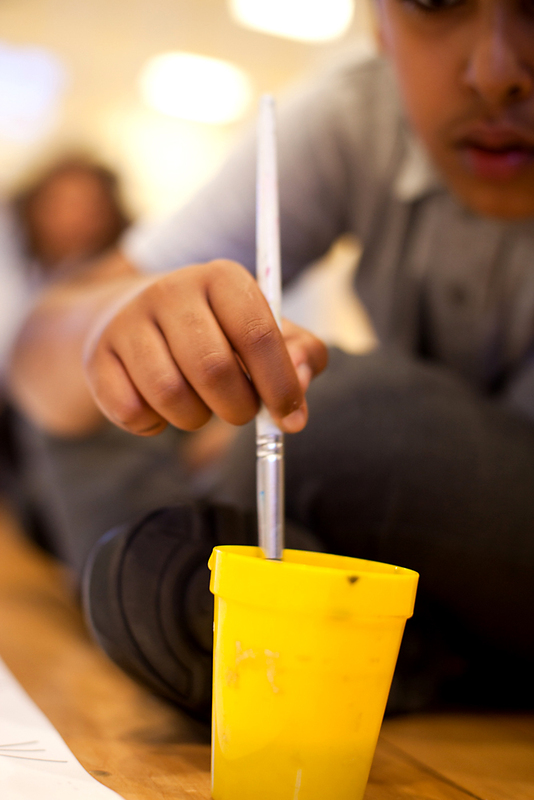 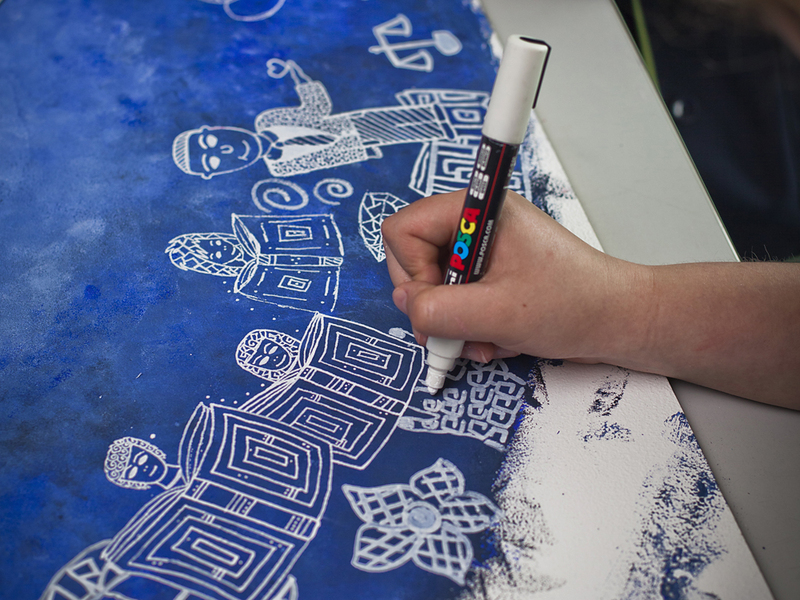 Both staff and Students are equally enthusiastic for the creative process. 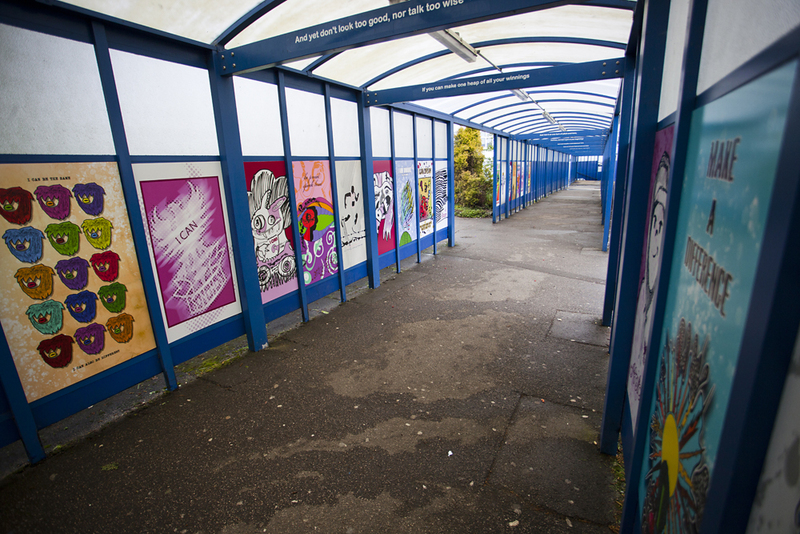 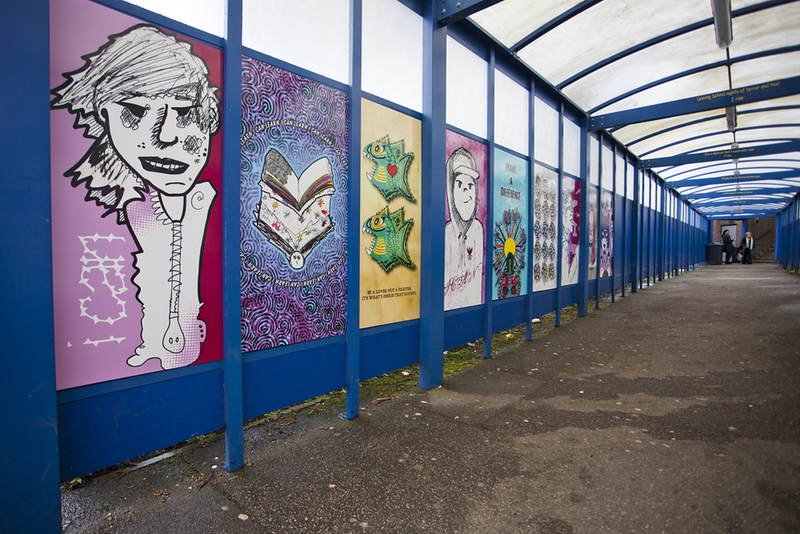 All artwork has been digitally reproduced and is now displayed in the school. 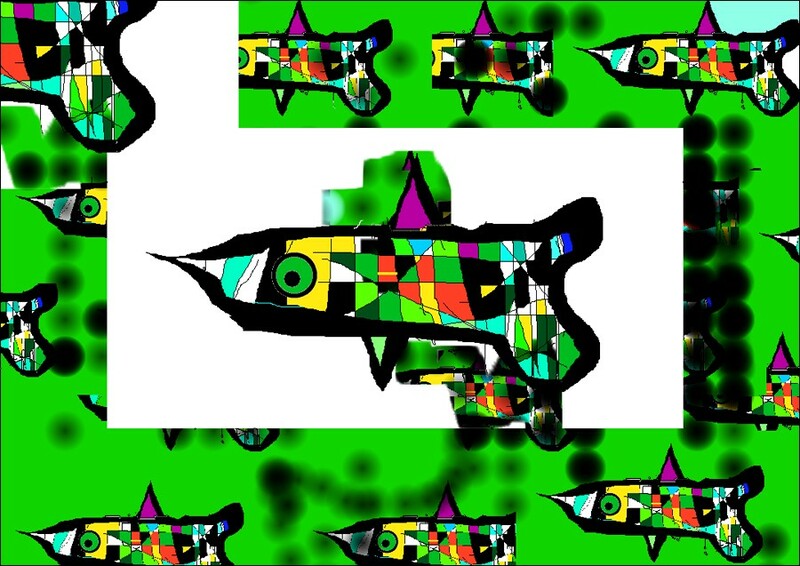 Here’s a shore time laps film from the day. 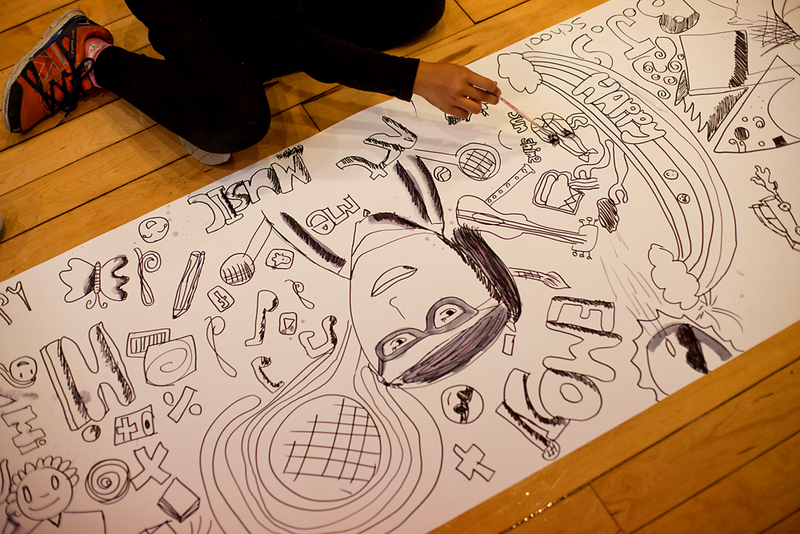 What will it look like, sound like and feel like if all learners from BA work/play safe physically? 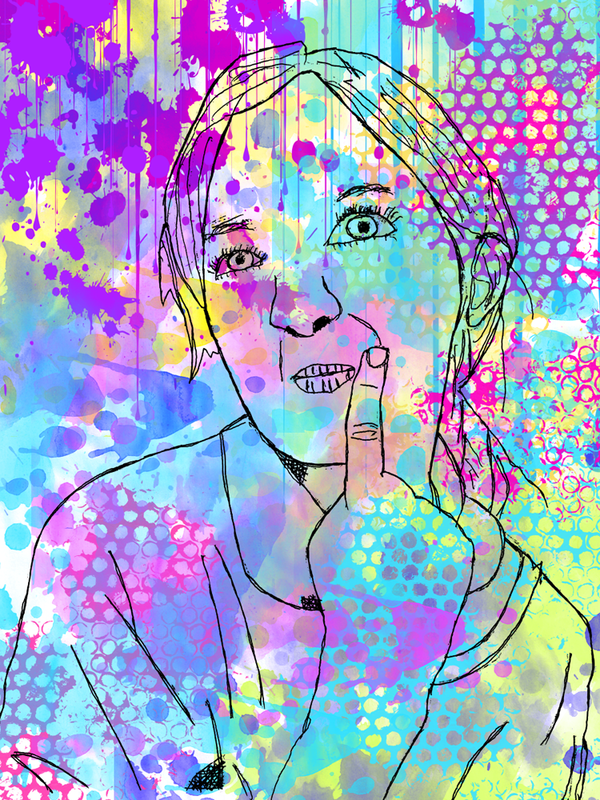 We will have the maturity to self evaluate our actions. 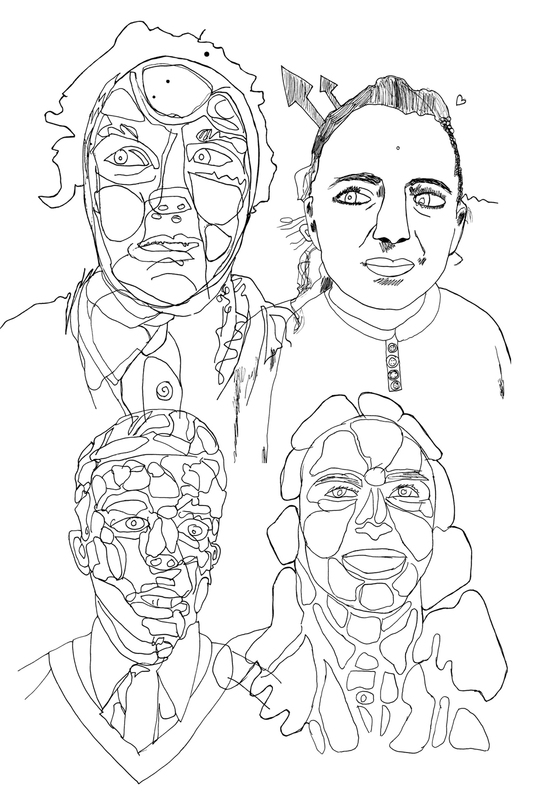 We will not discriminate against other members of the Academy and we will be responsible for our actions emotionally and physically. 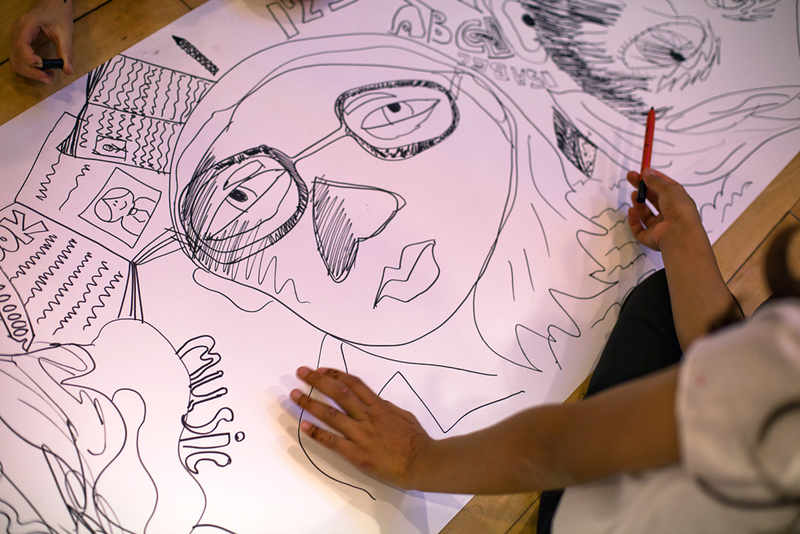 What will it look like, sound like and feel like if all learners from BA work/play fair? 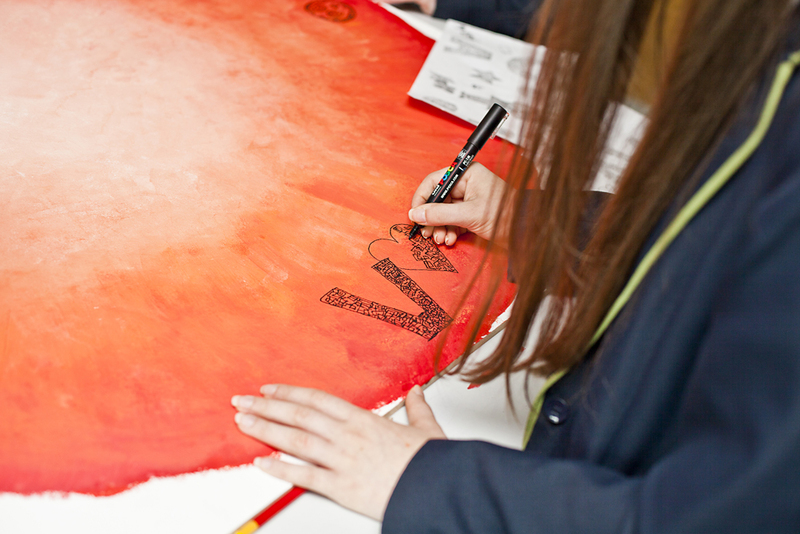 We will be fair, respectful and make sure everyone is valued in the school community. 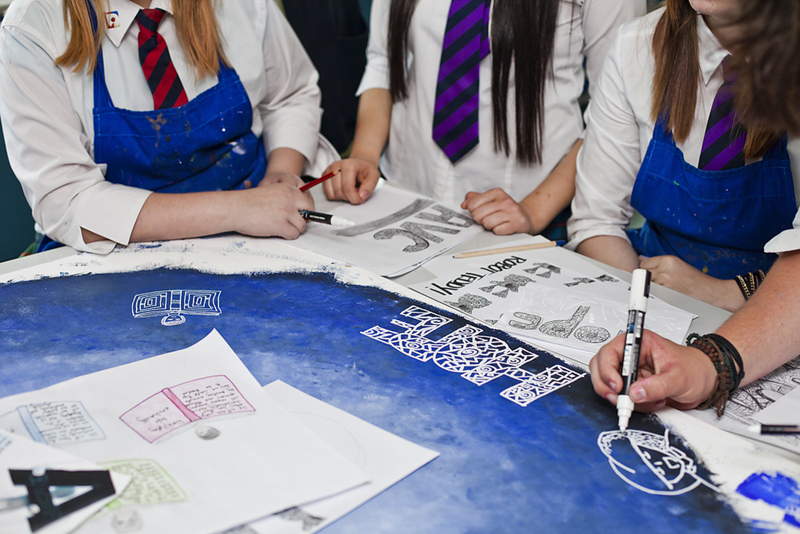 We will ensure everyone is motivated and be part of a team. 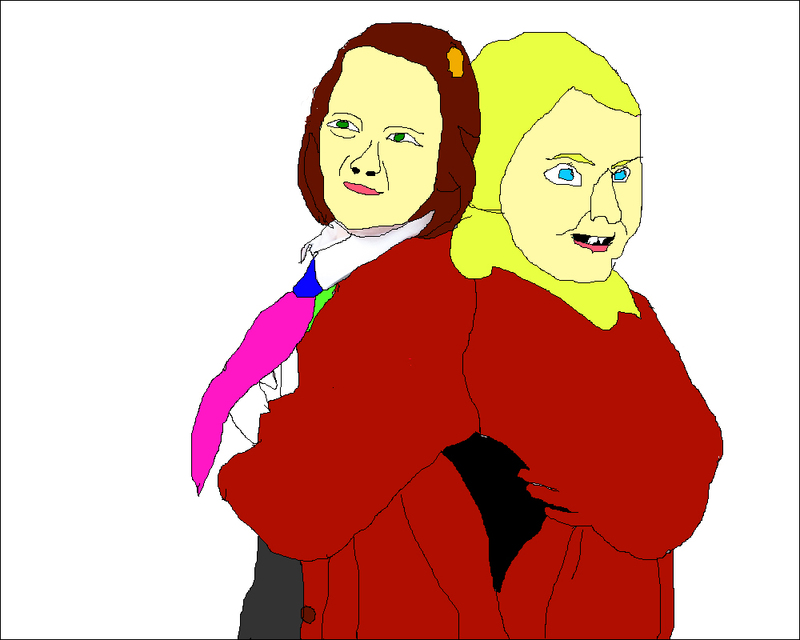 We will also be given opportunities and be equally supported. 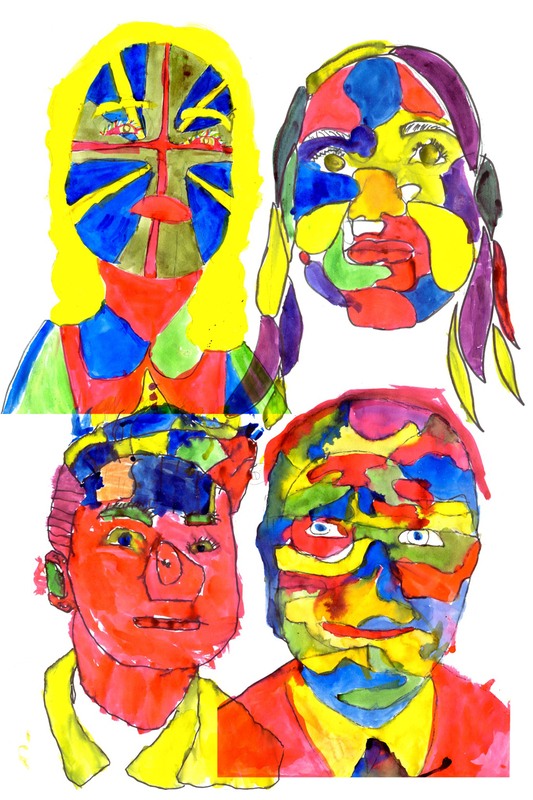 What will it look like, sound like and feel like if all learners from BA work/play safe emotionally? 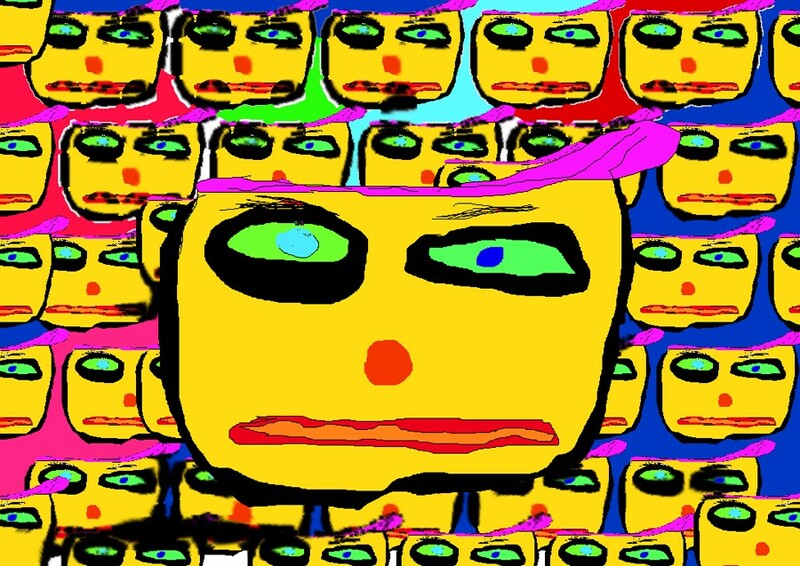 We will not judge others for their individuality and we will respect everyone’s opinions and thoughts by treating everyone how we would like to be treated. 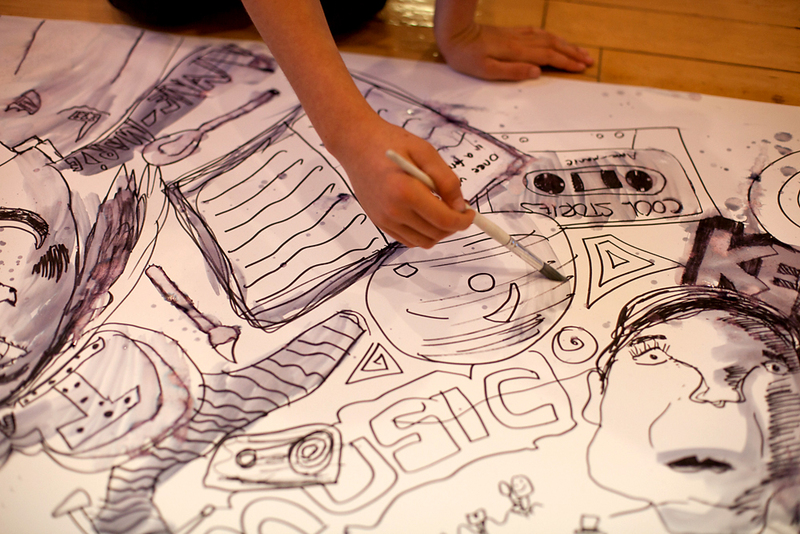 What will it look like, sound like and feel like if all learners from BA work/play hard? 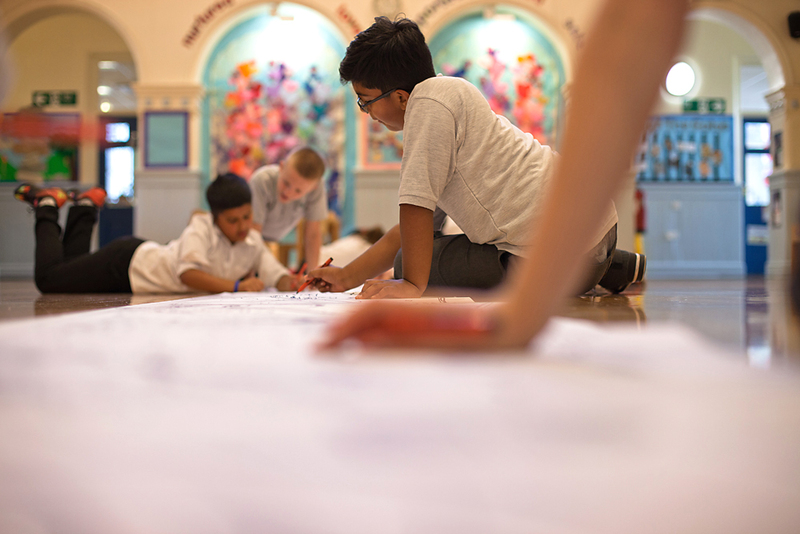 We will, to the best of our ability, give 100% effort with pride and enthusiasm. 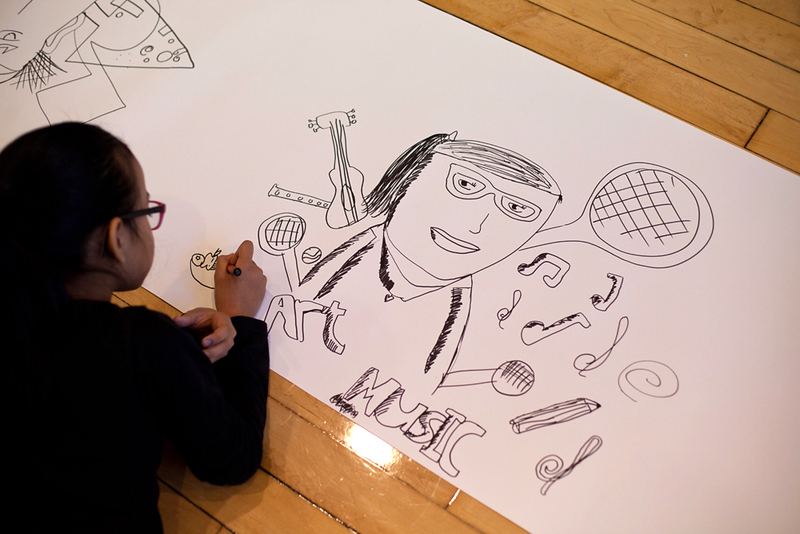 This will help us to find our personal balance between working, playing and relaxing in order to reach our full potential. 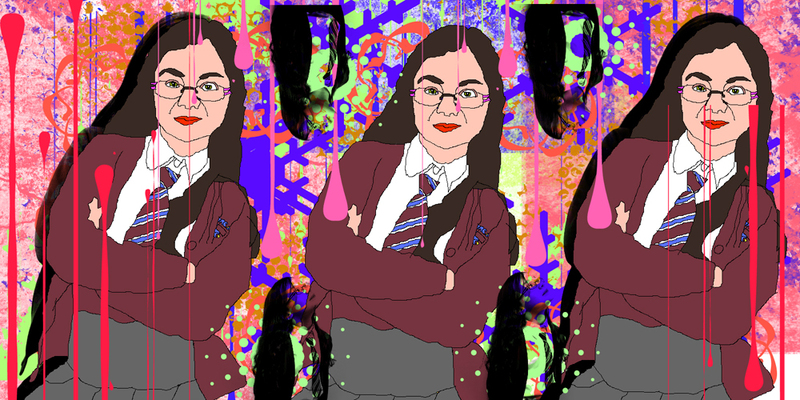 Here is an article written by Hazel Saxelby, a teacher whom I have work closely with over the past few years at Batley Girls’ High School and Visual Arts College. 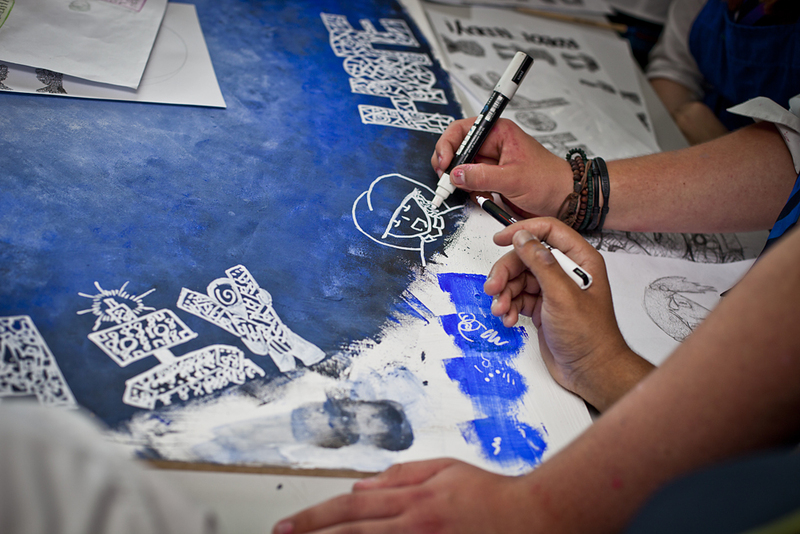 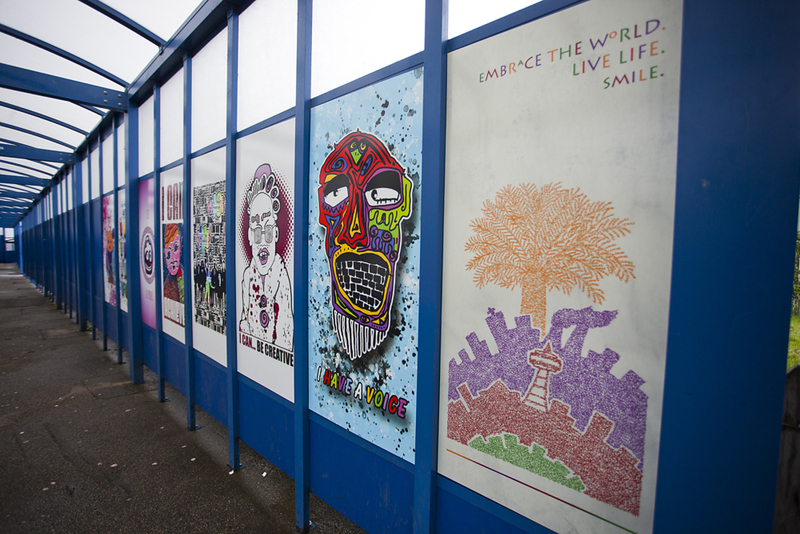 ‘Graphic Artist Mike Barrett (www.emelbi.com) returned again in 2013 to support our students with their coursework and exam projects. 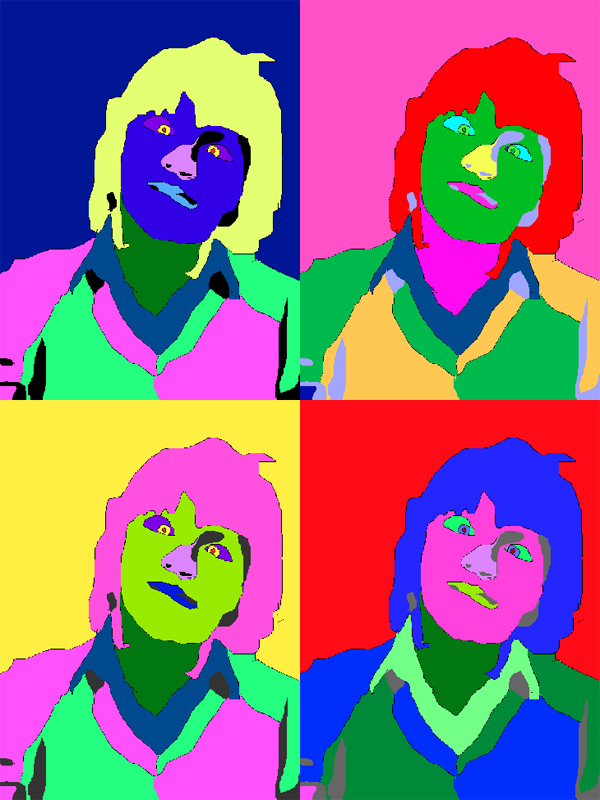 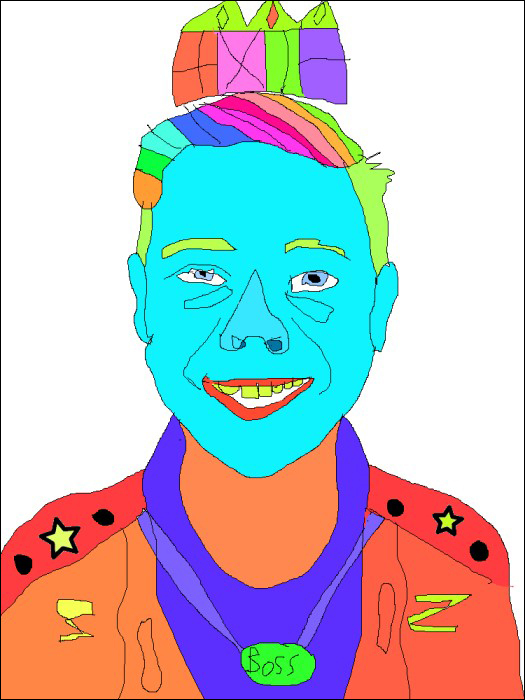 Mike is one of our ‘family of artists’ who has worked closely with staff and students to extend their design skills and develop their use of CAD, specifically using Adobe Photoshop. 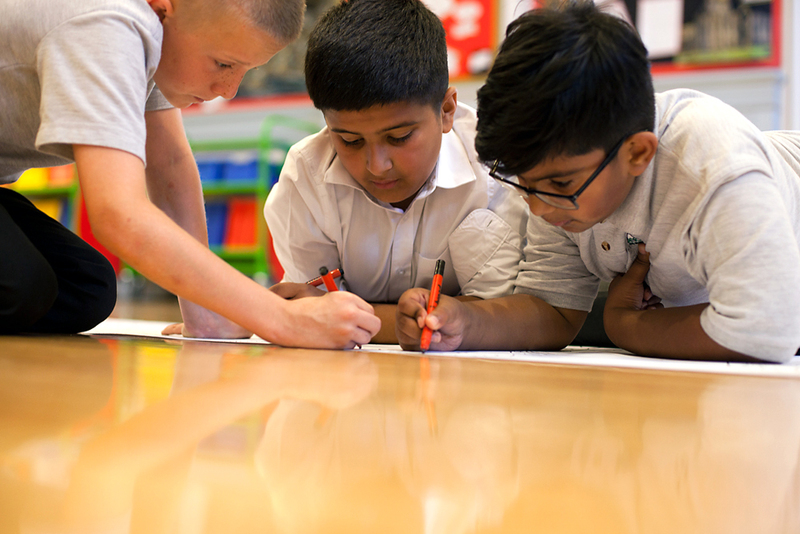 As a result of him returning year on year to the school, Mike’s extensive expertise is being embedded, in his absence, into our day to day teaching and we are finding that these skills can be passed on to students even more effectively. 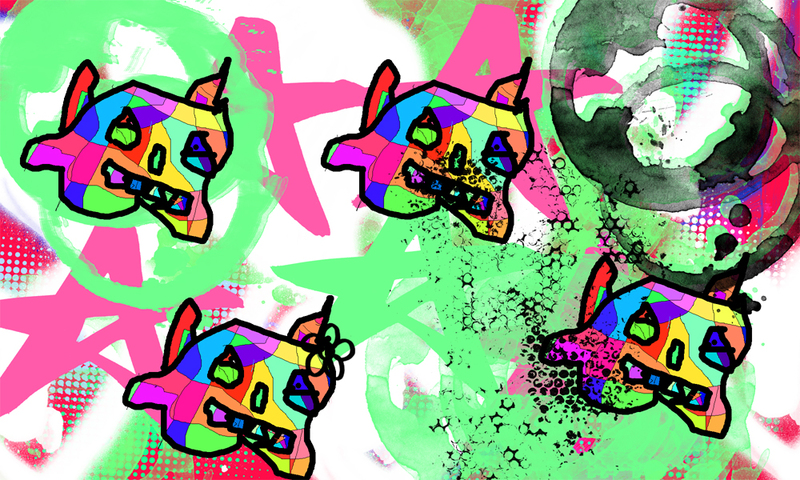 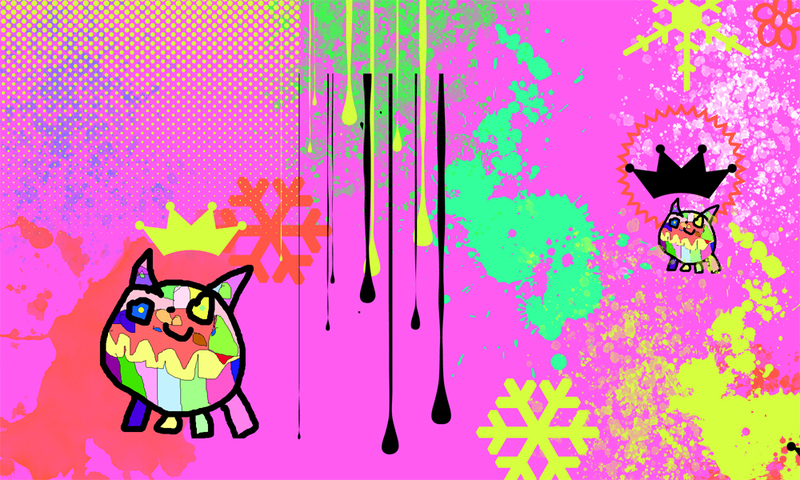 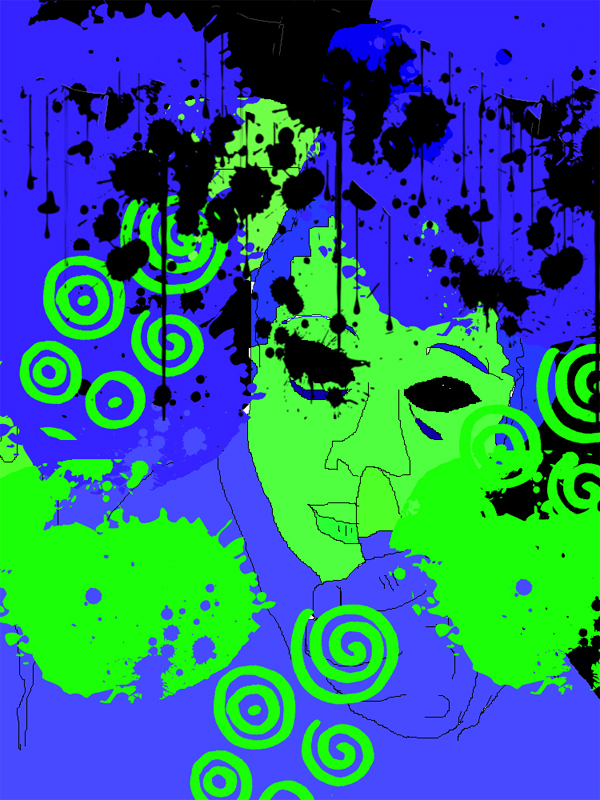 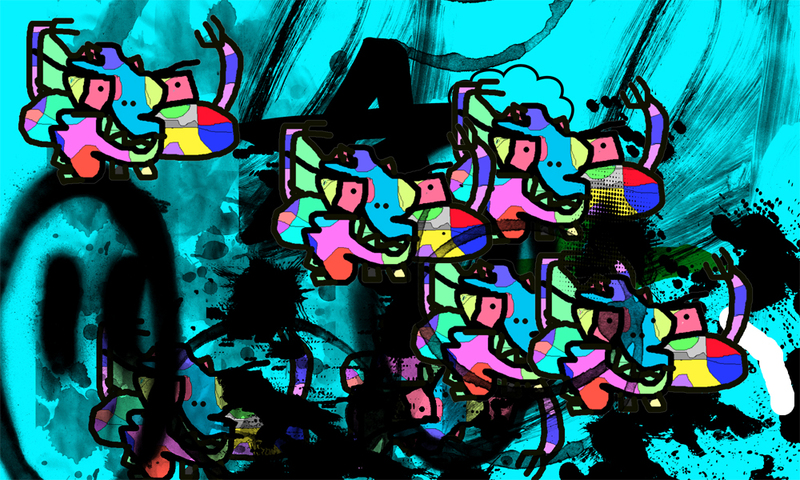 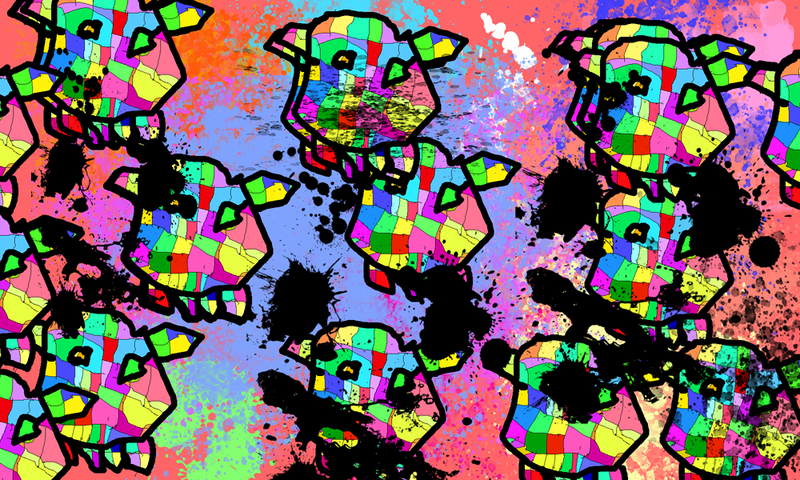 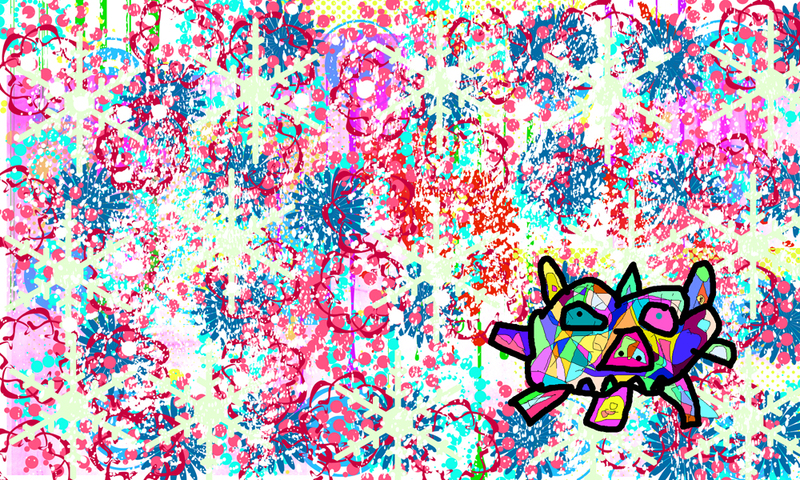 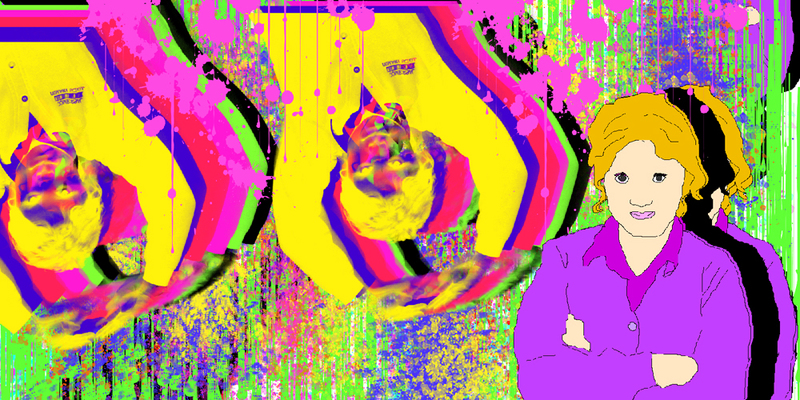 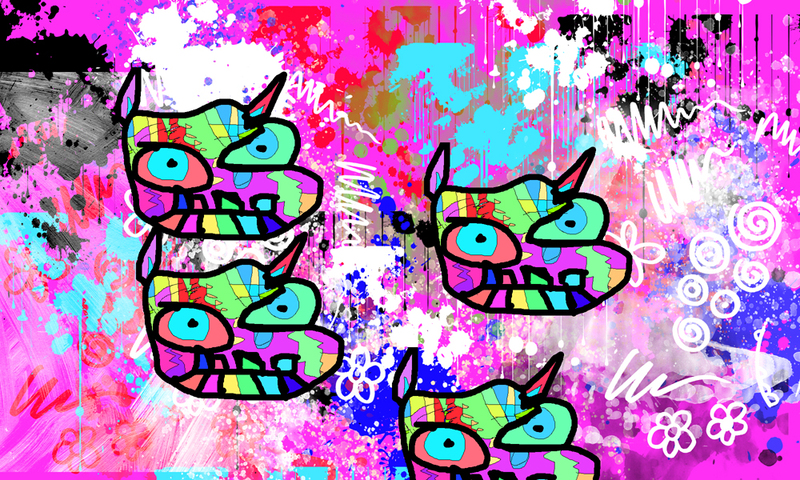 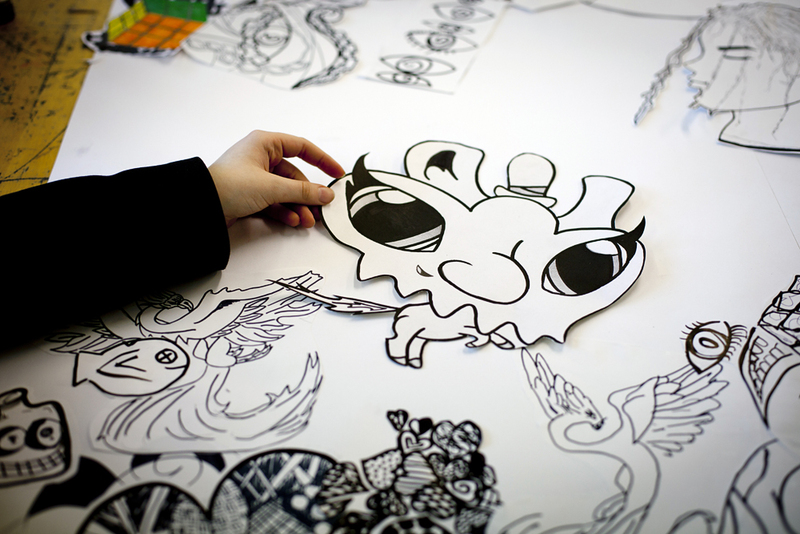 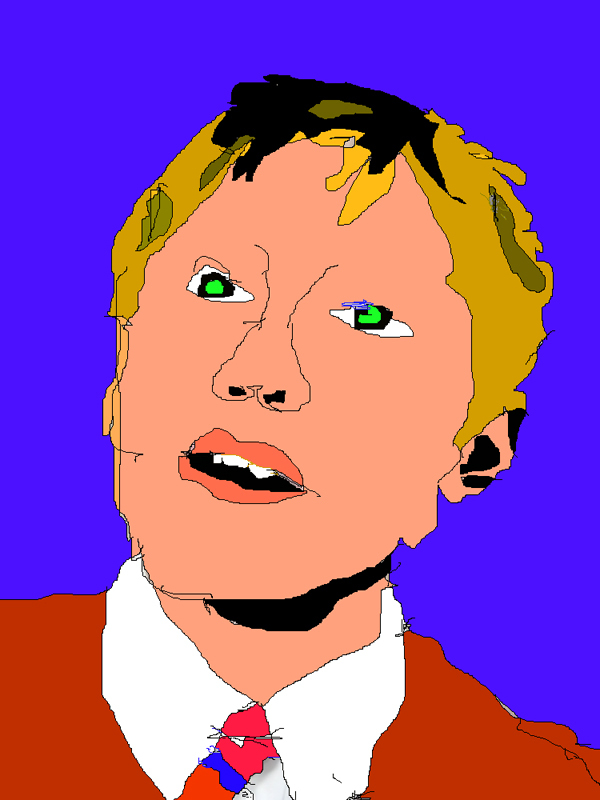 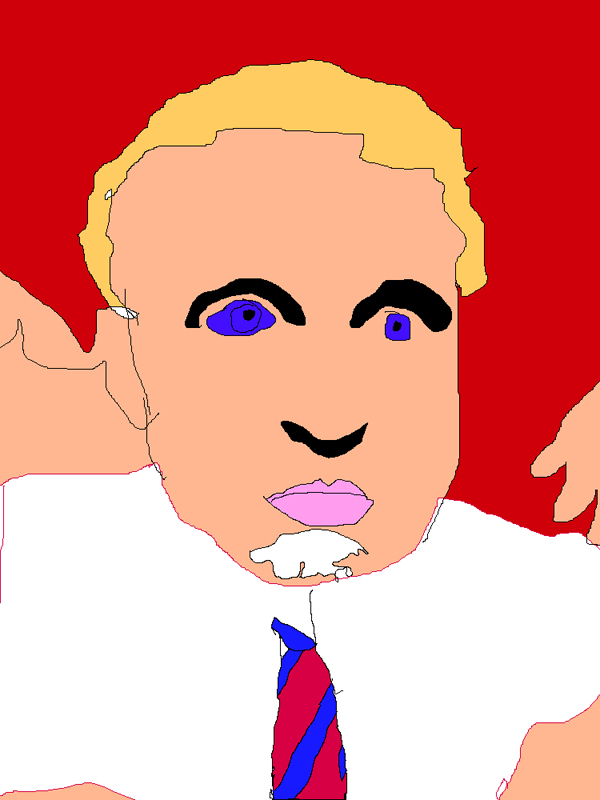 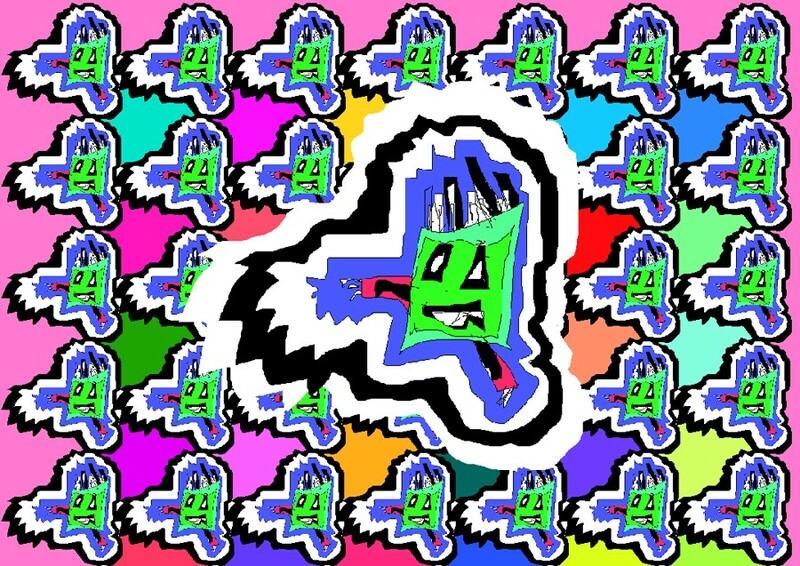 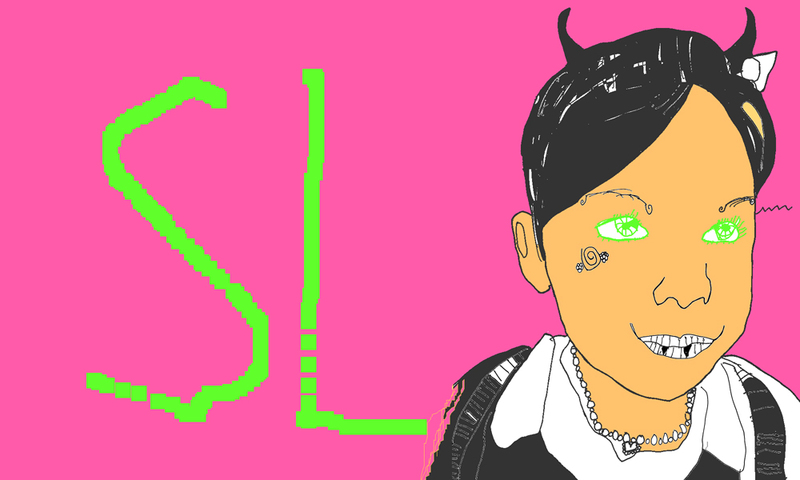 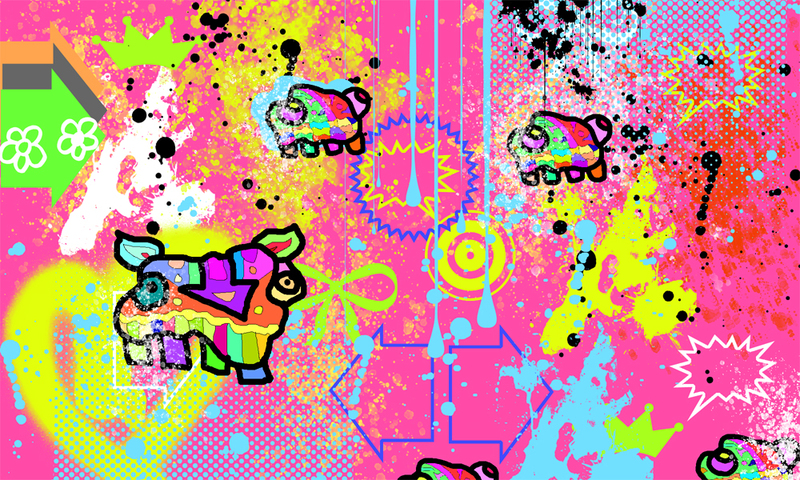 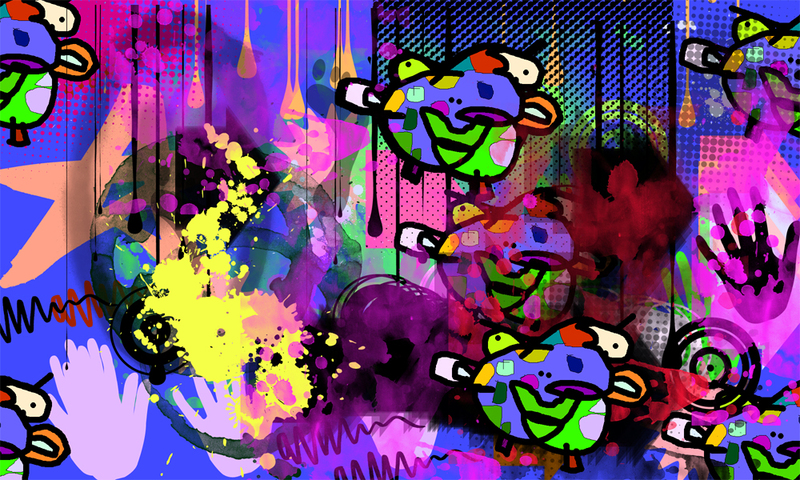 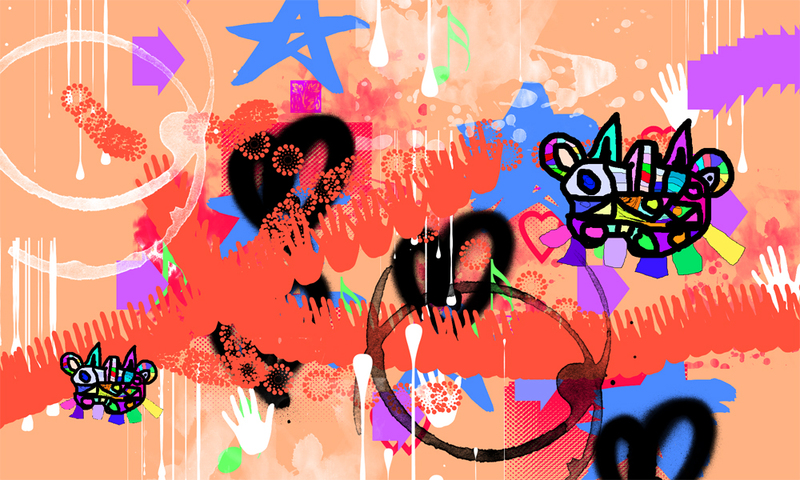 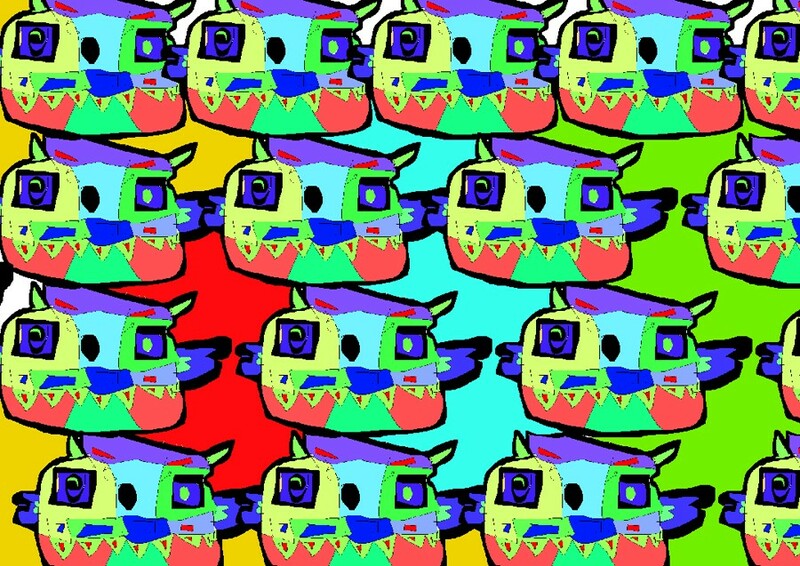 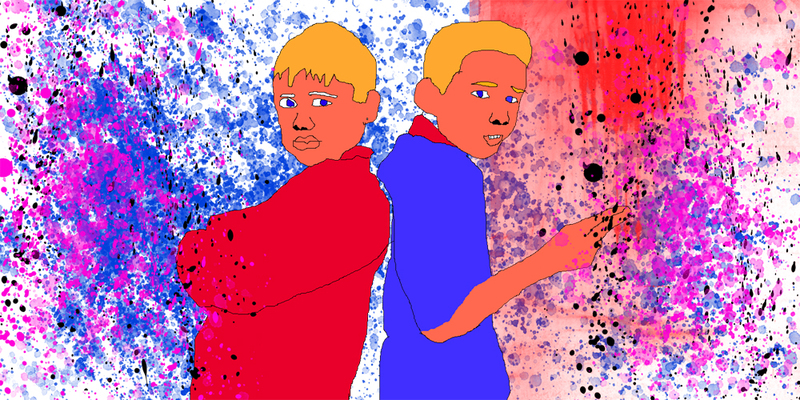 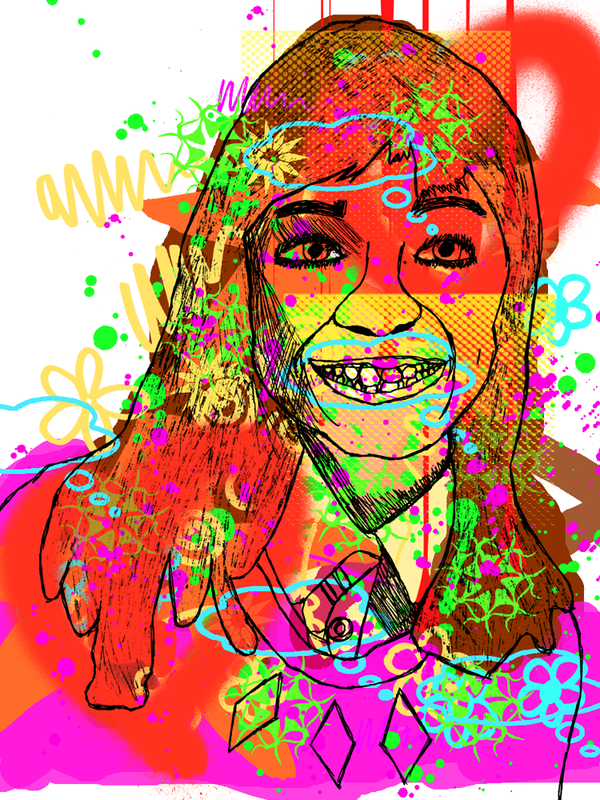 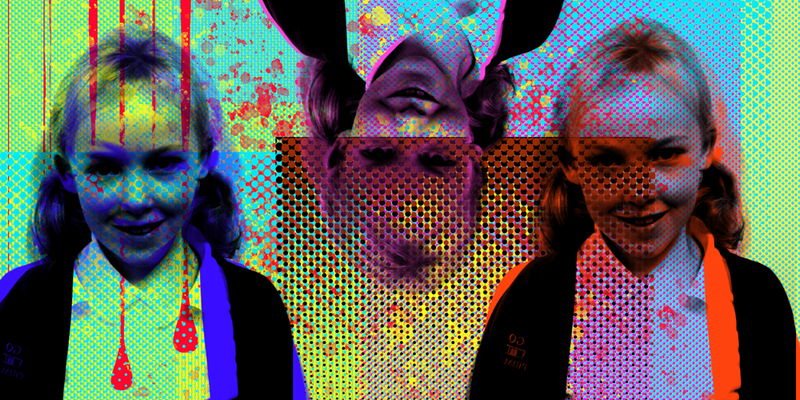 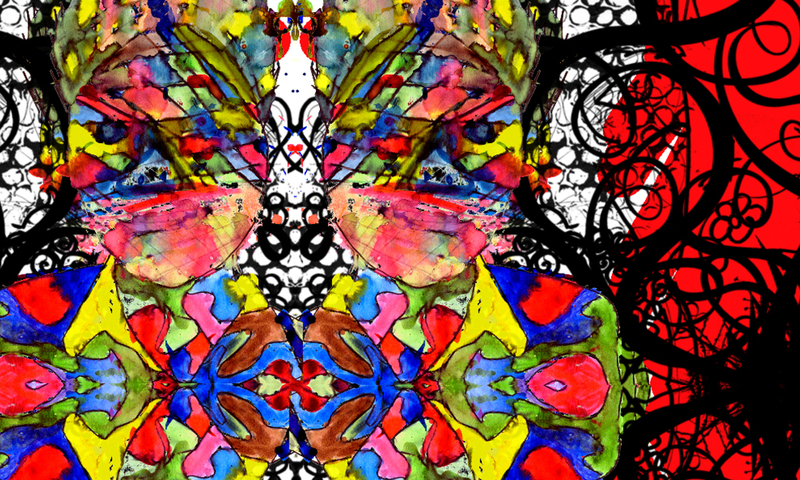 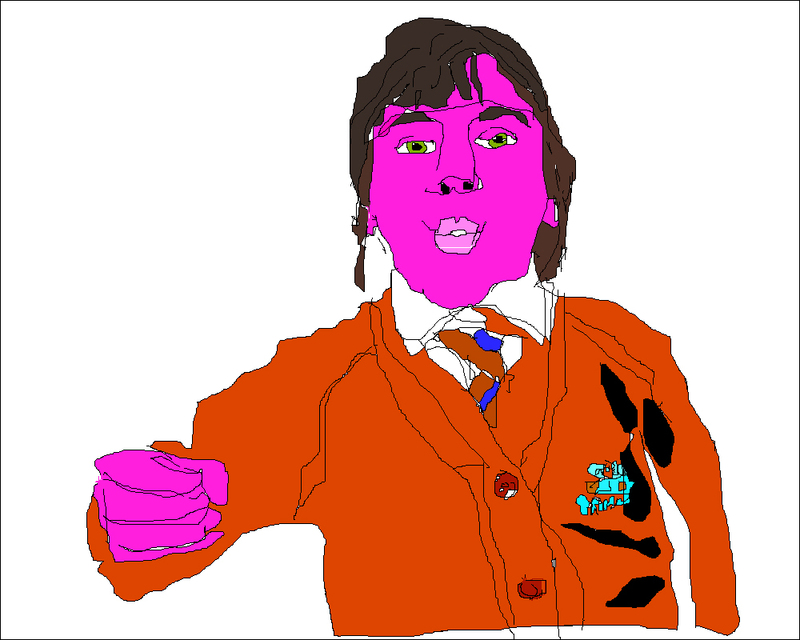 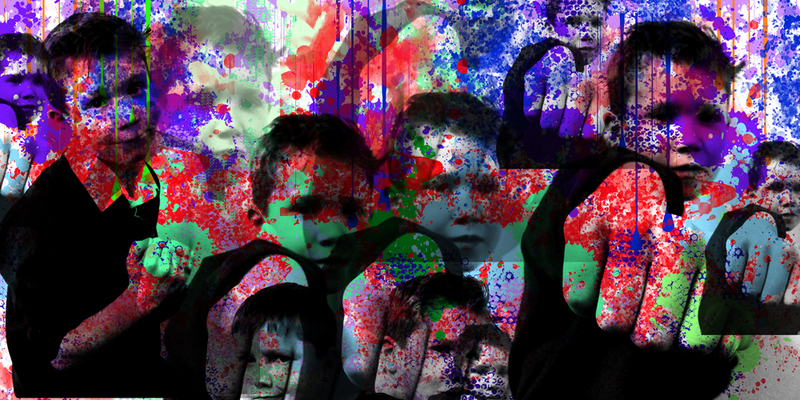 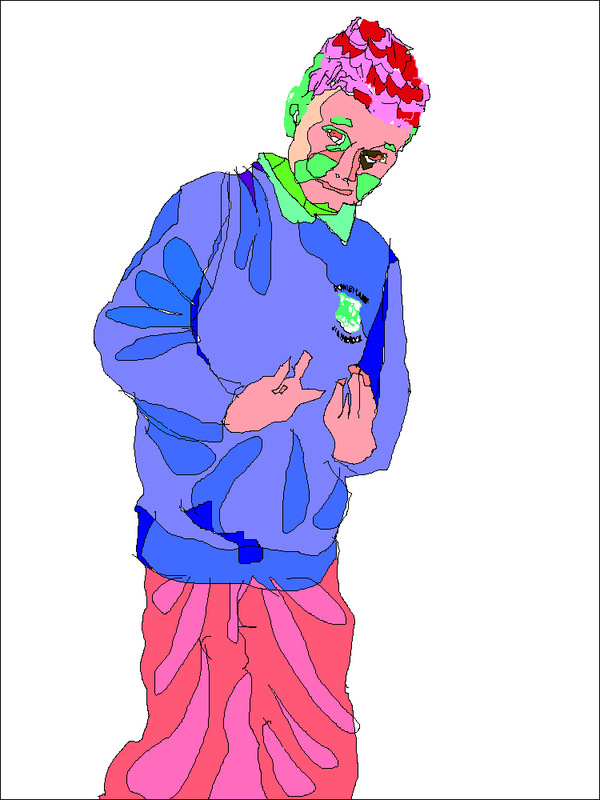 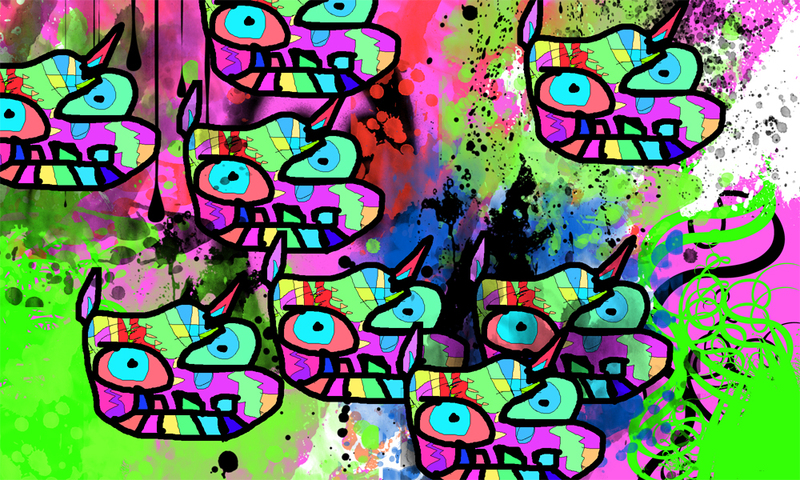 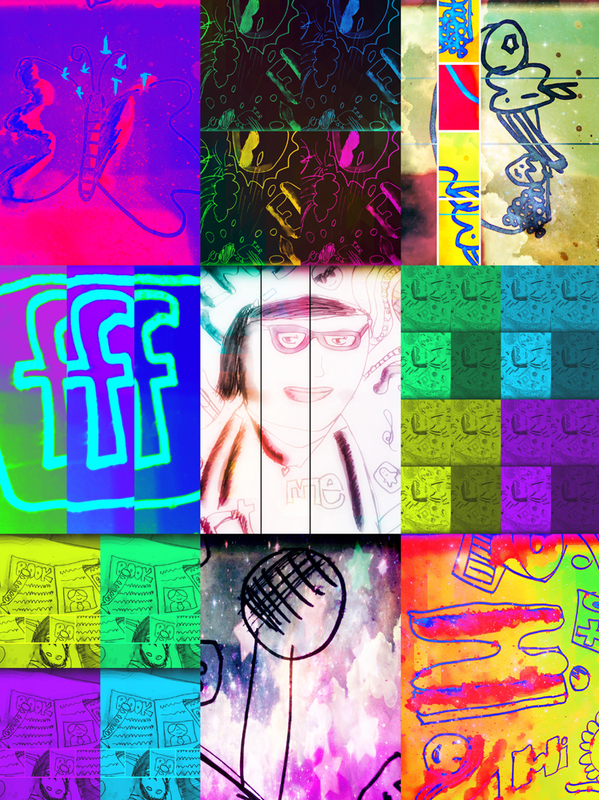 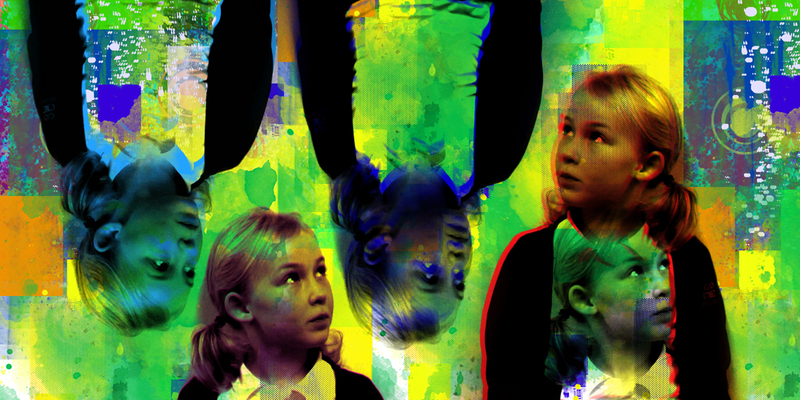 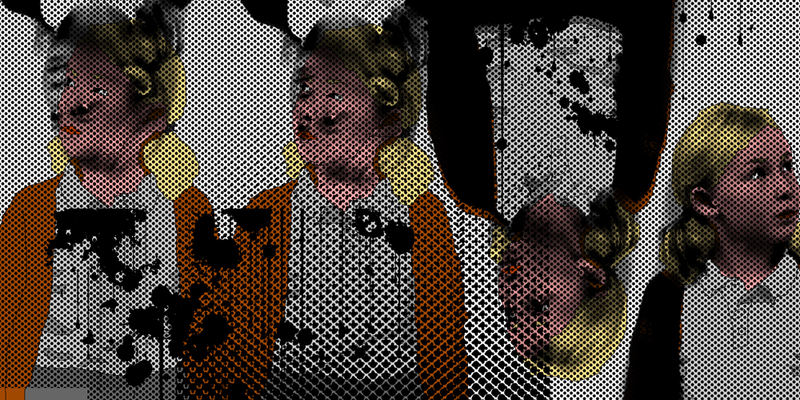 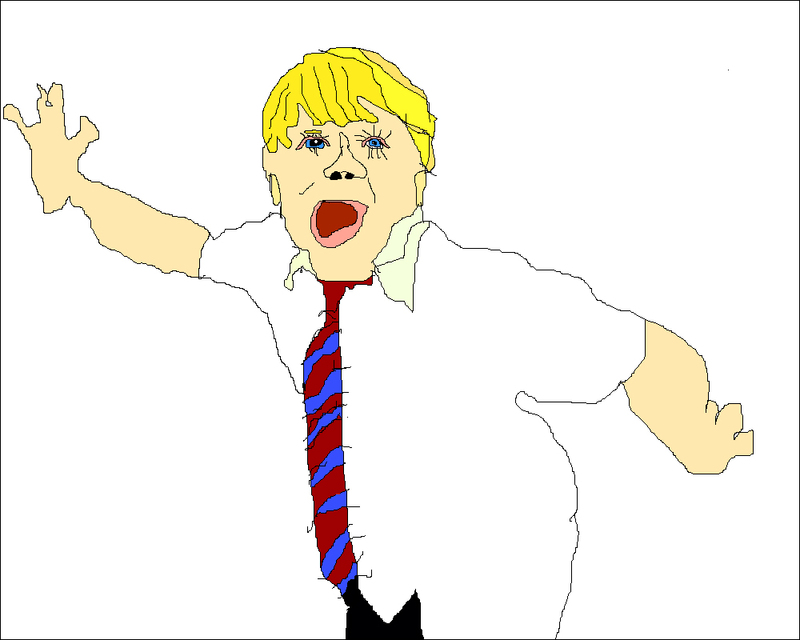 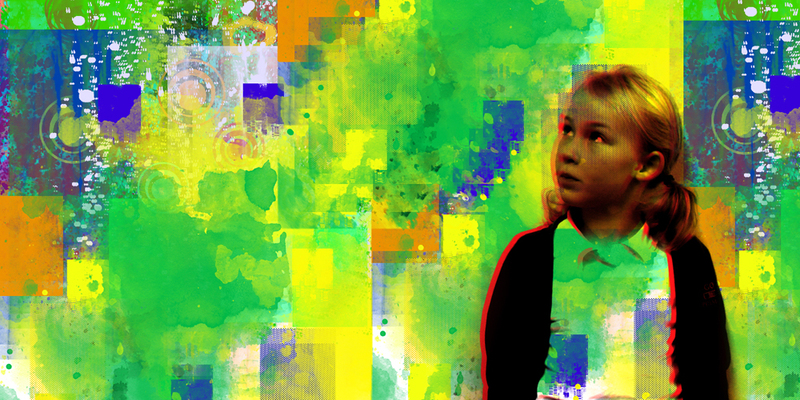 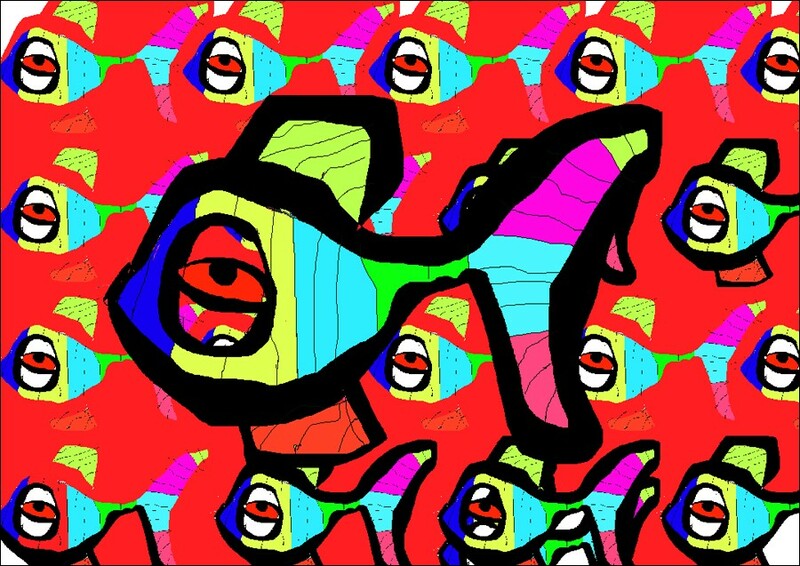 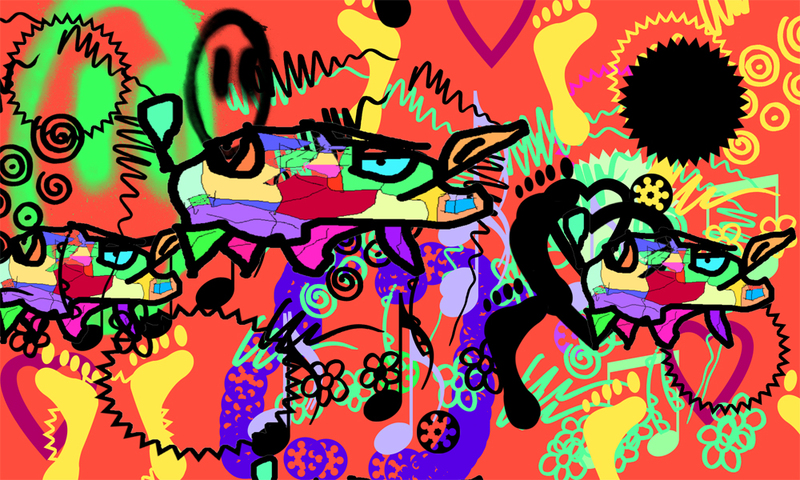 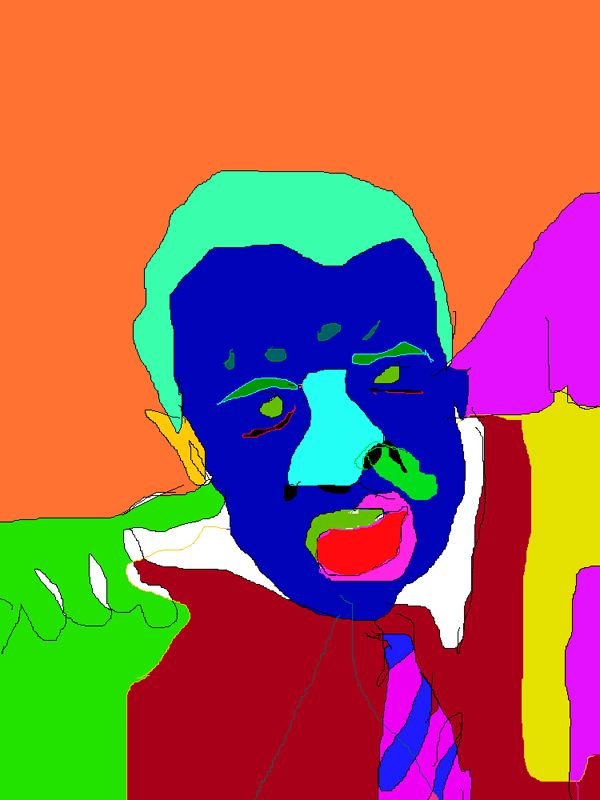 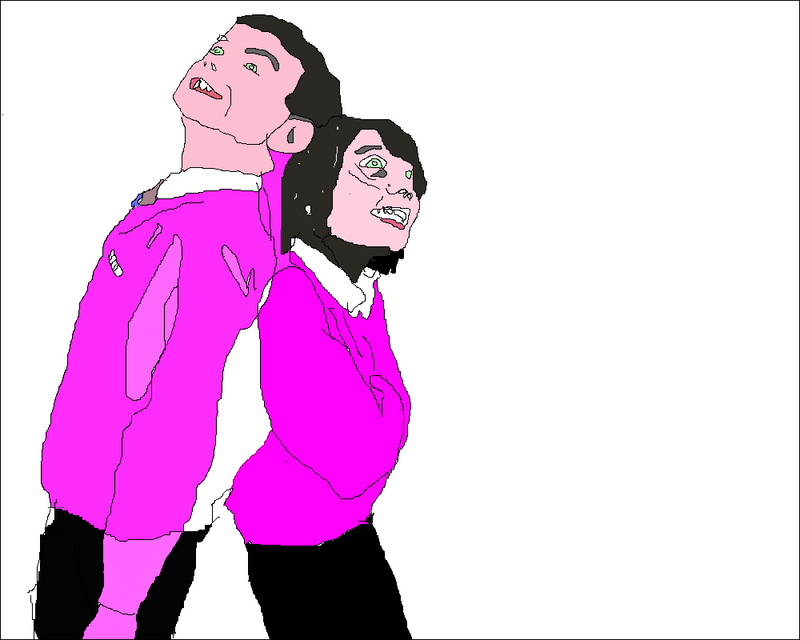 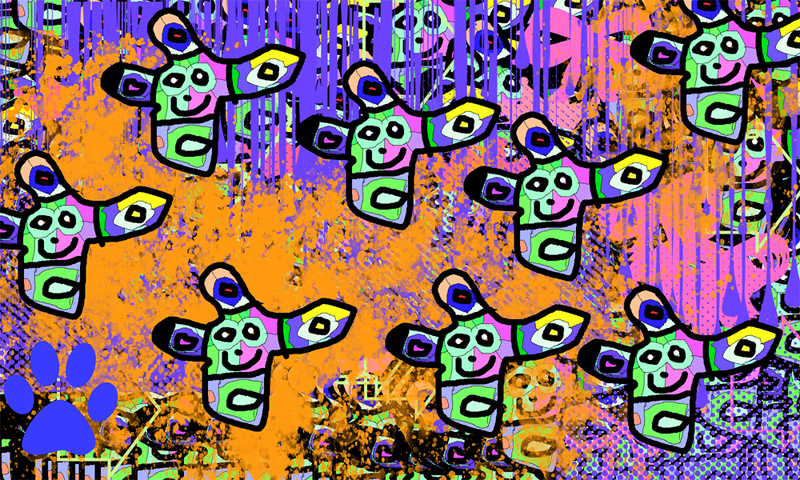 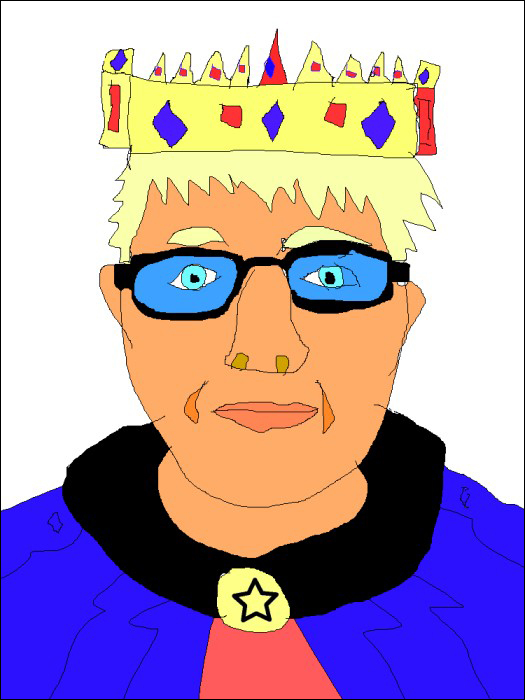 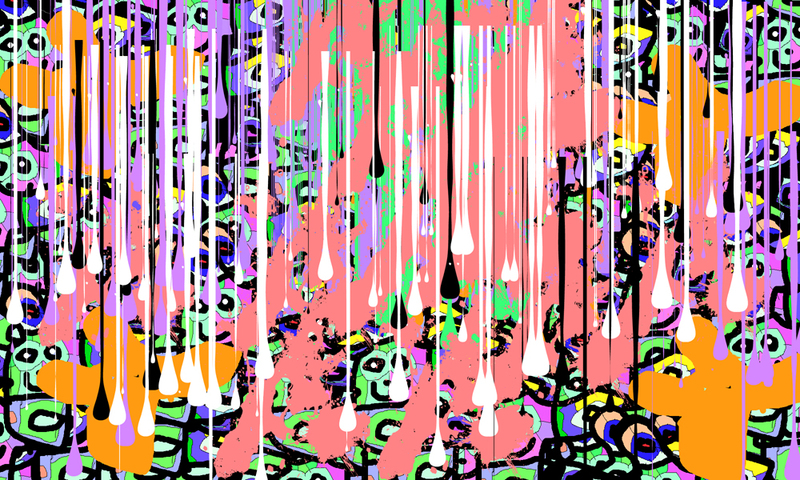 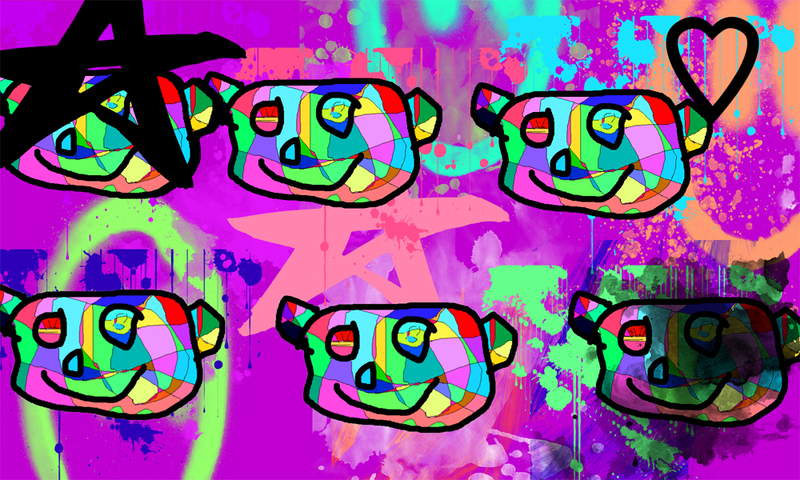 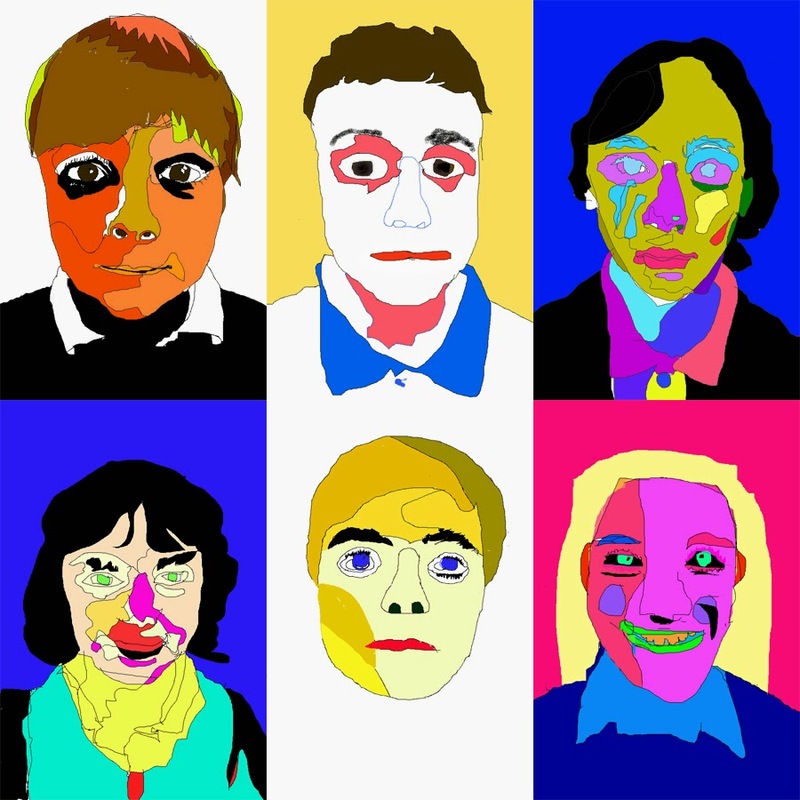 I have recently been working with the Pupil Referral Unit at Bradley, Huddersfield, delivering a series of digital illustration workshops using photographic manipulation and computer aided illustrative techniques. 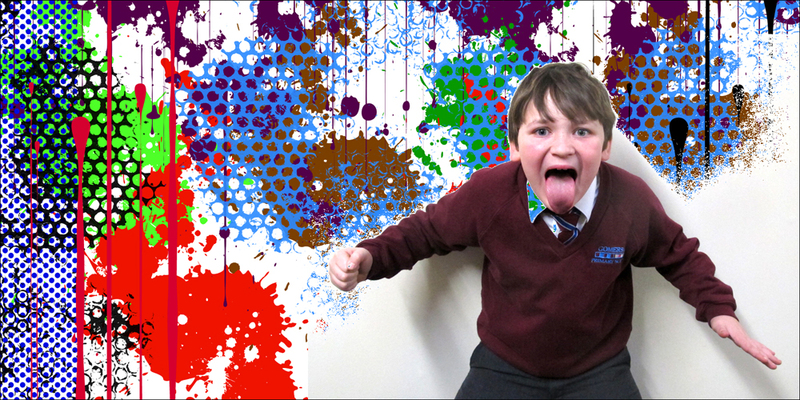 The children created some brilliant images. 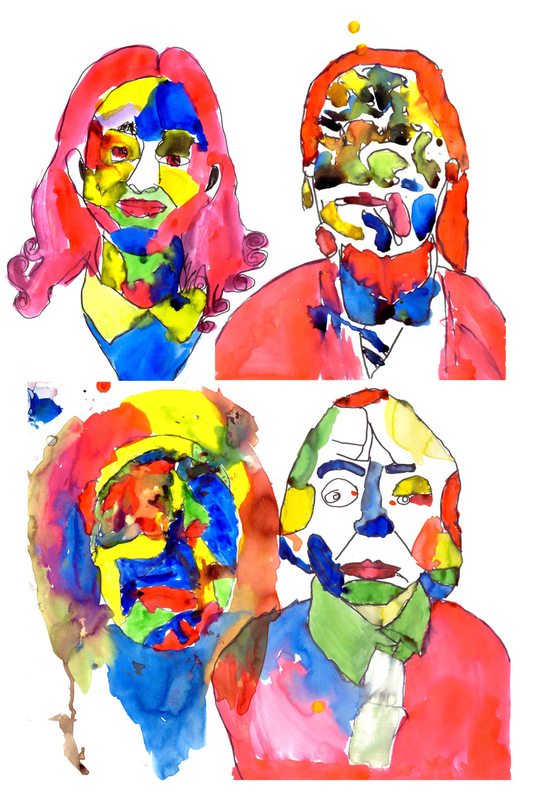 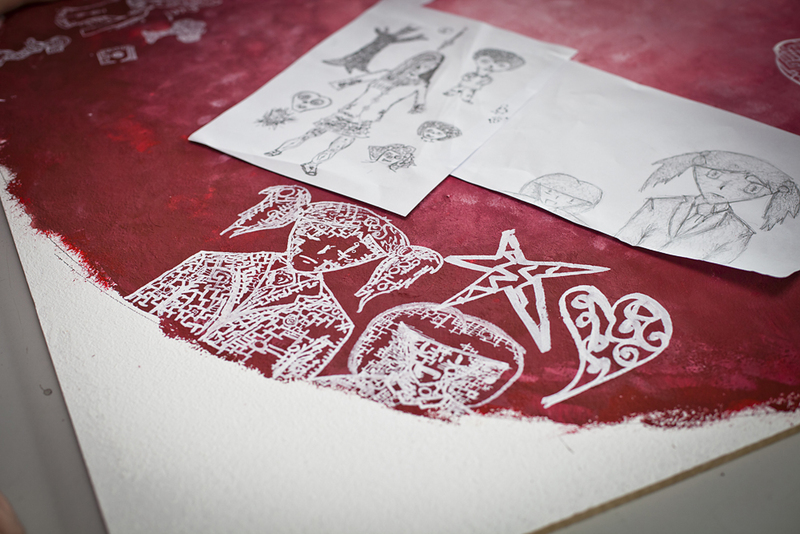 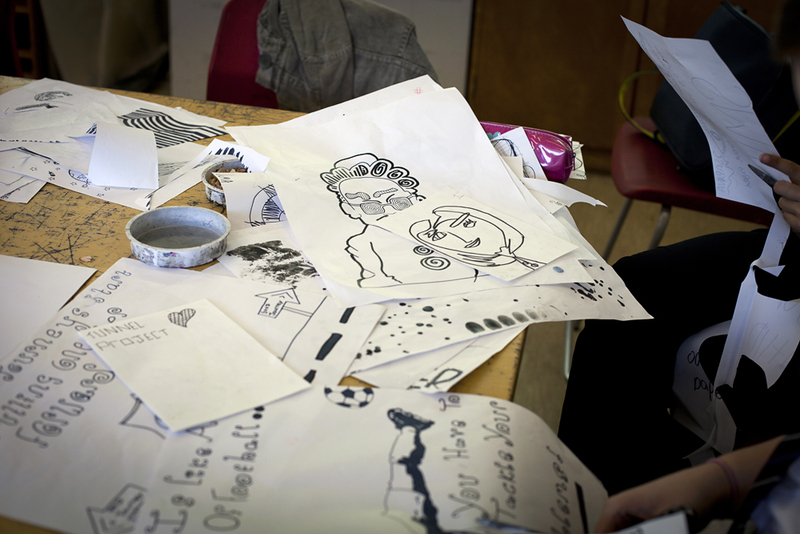 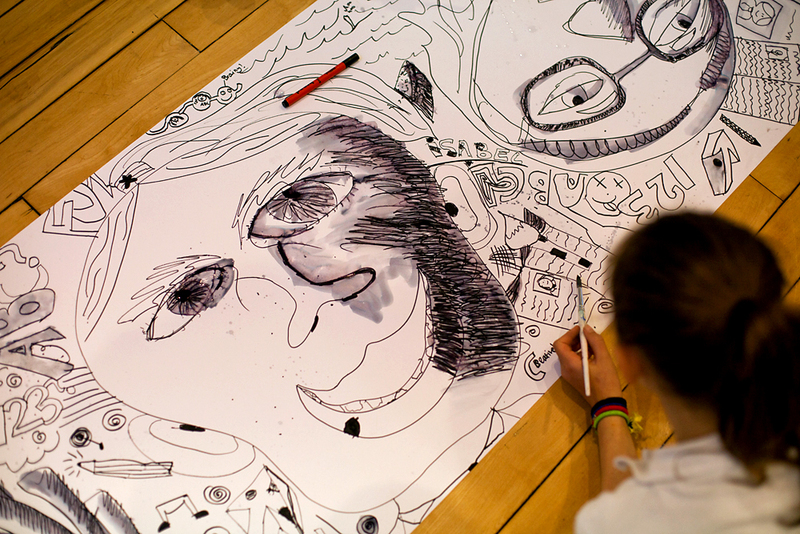 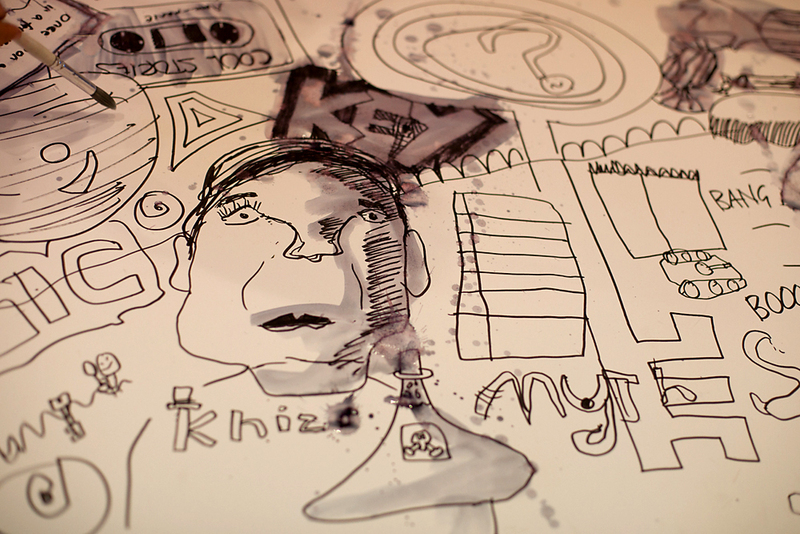 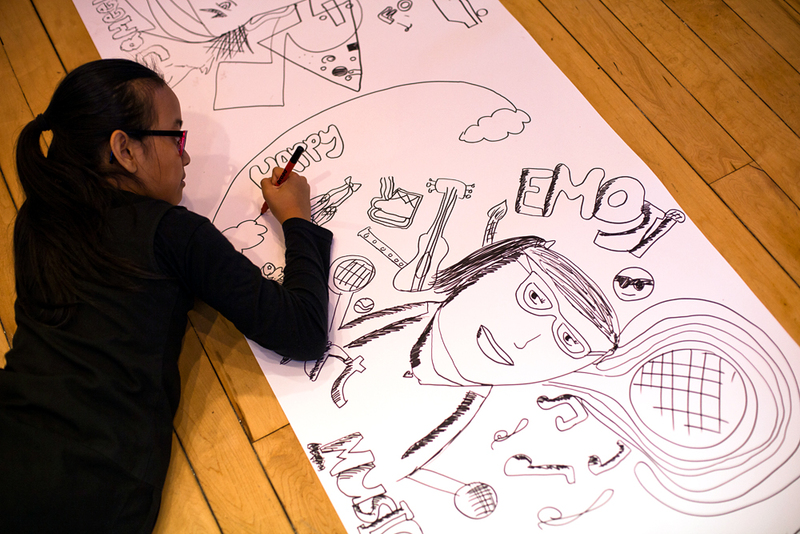 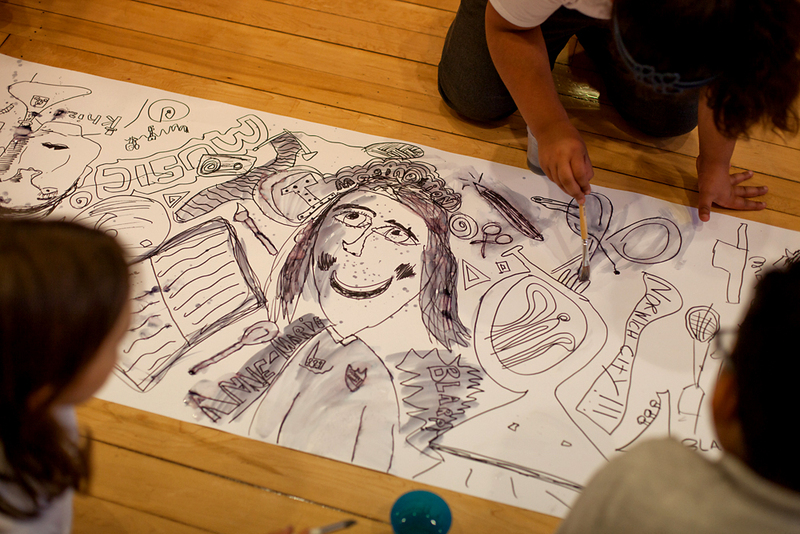 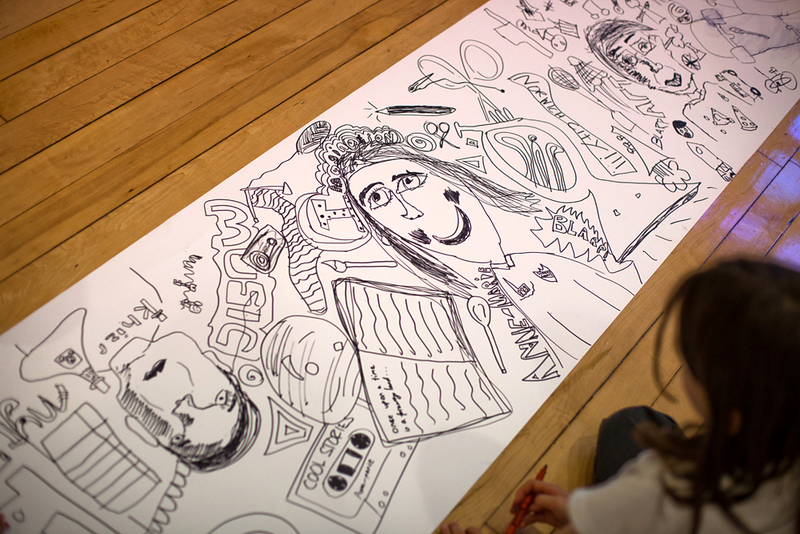 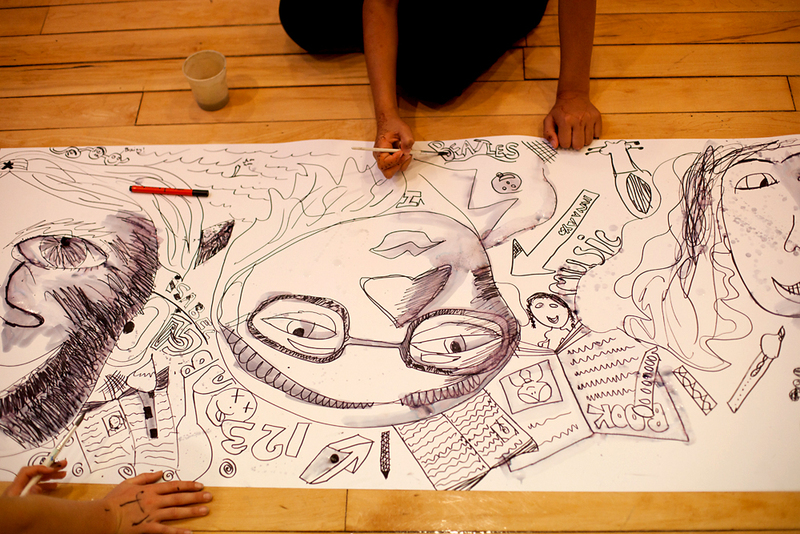 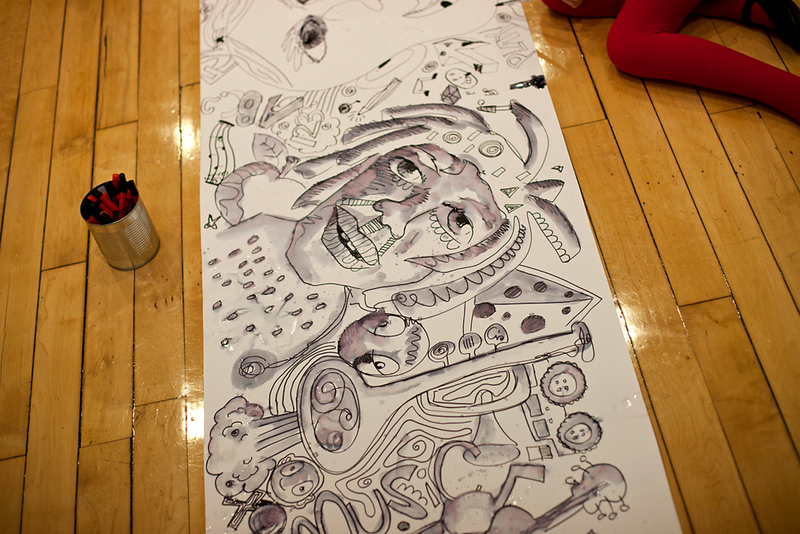 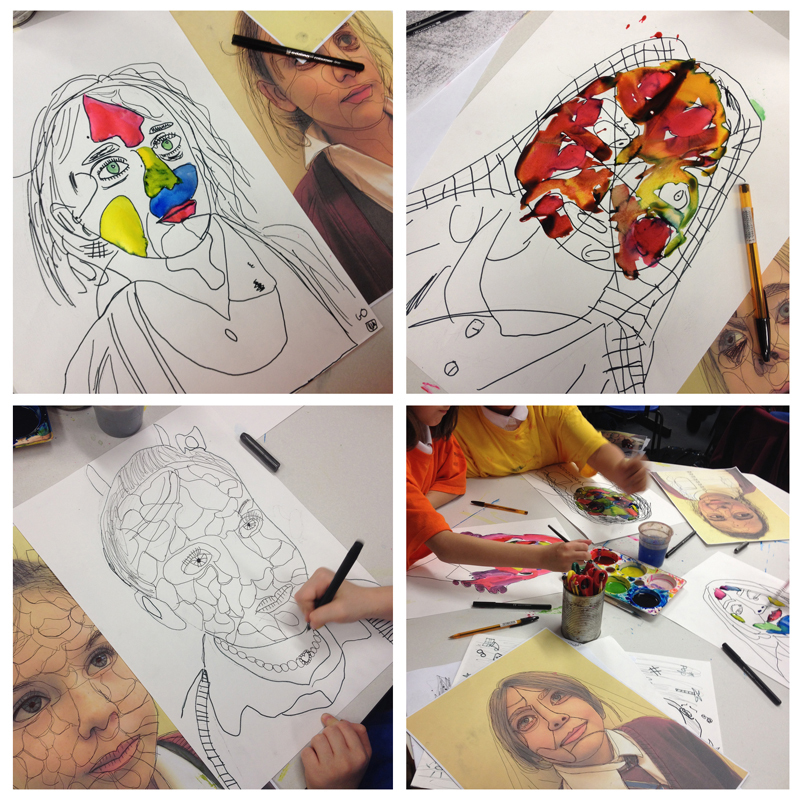 Here are some of the portrait illustrations from the workshops. 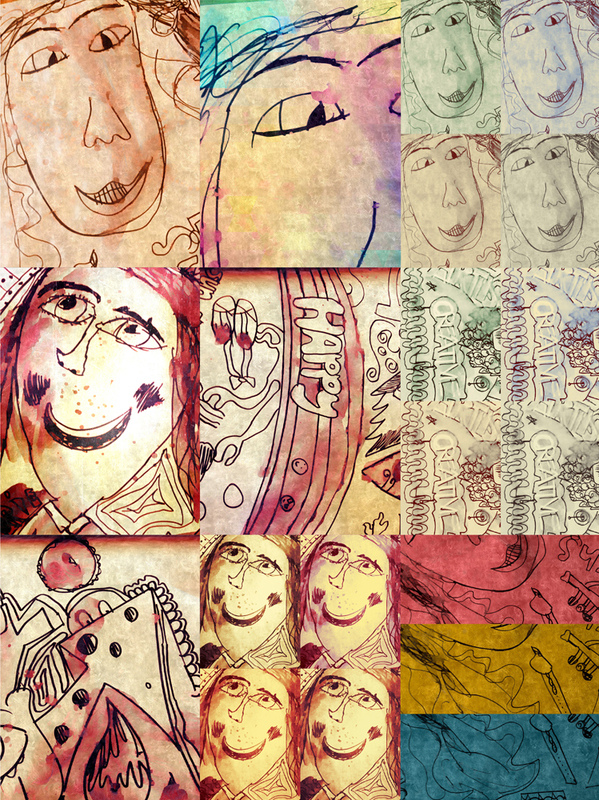 Some lovely work and some great expressions! 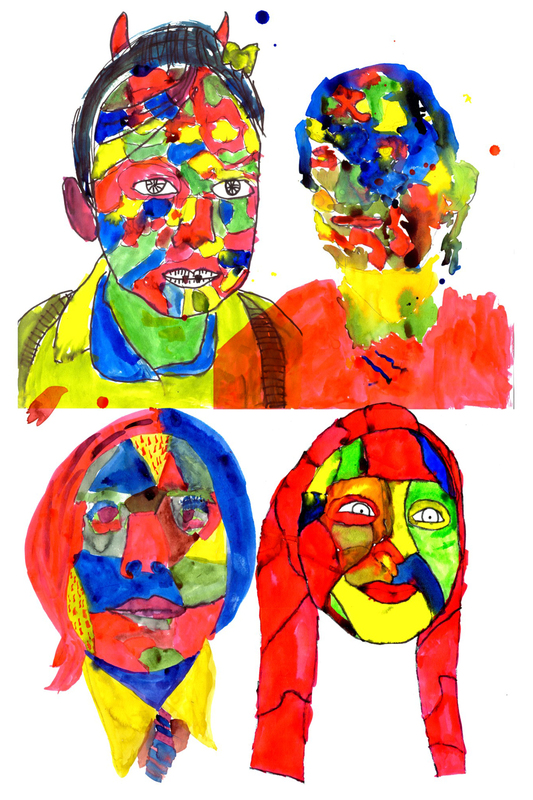 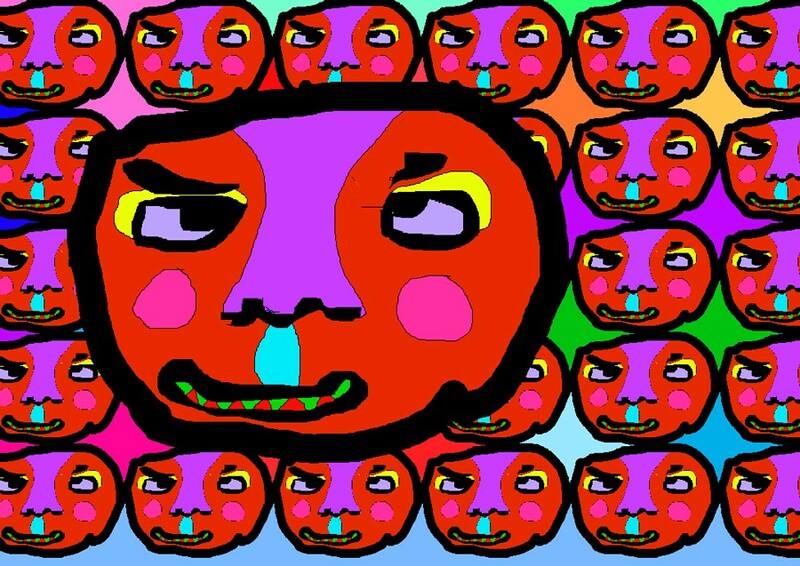 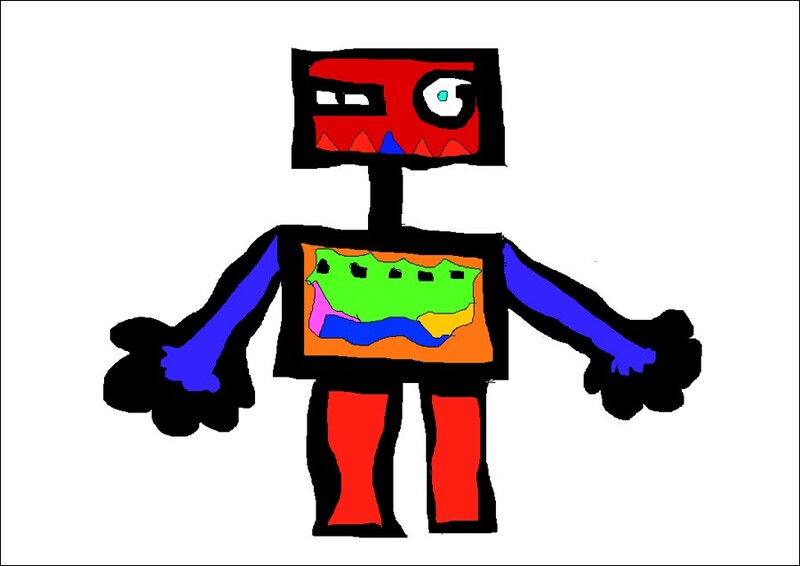 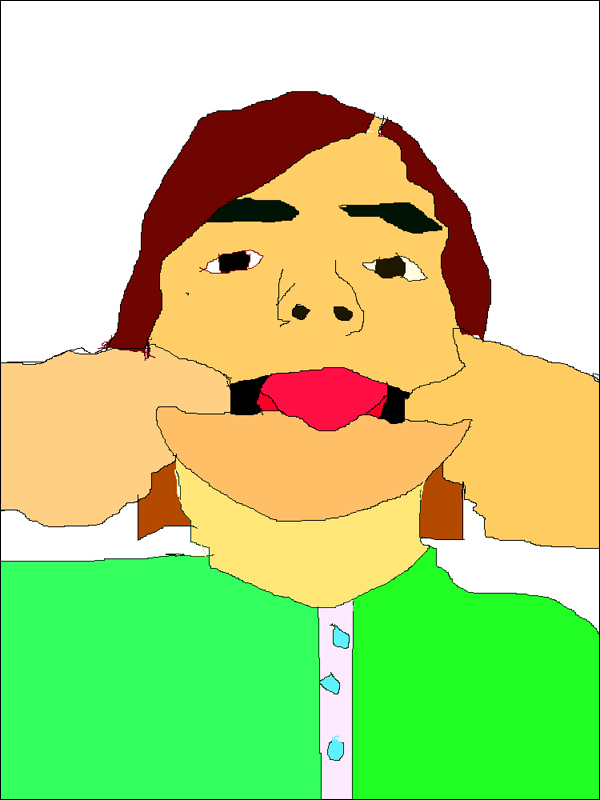 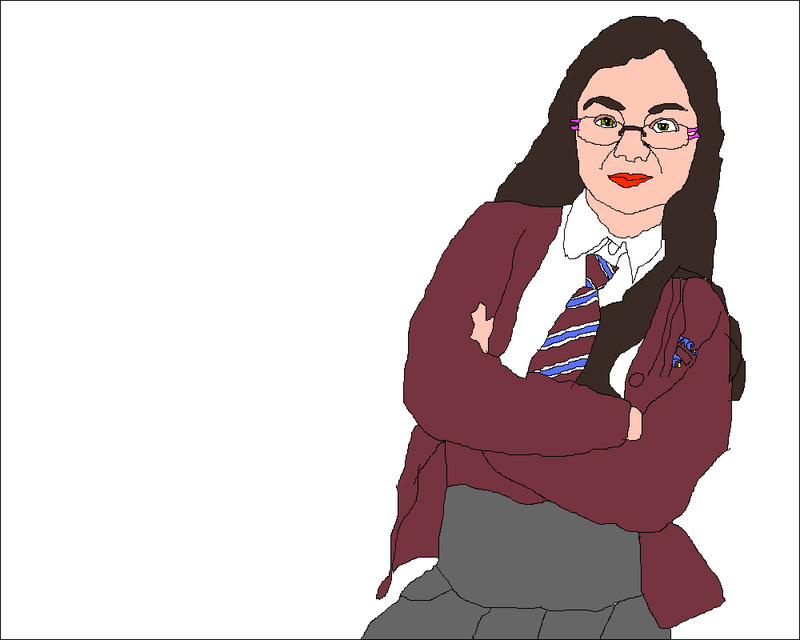 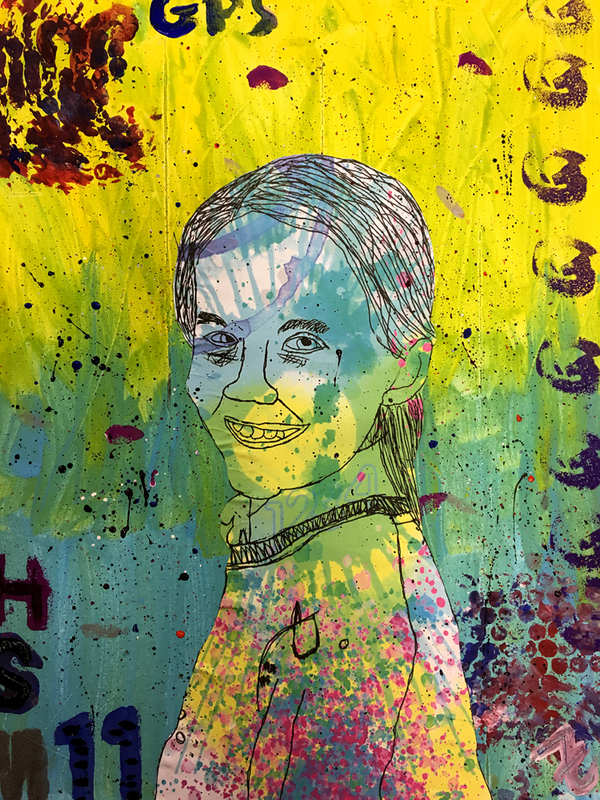 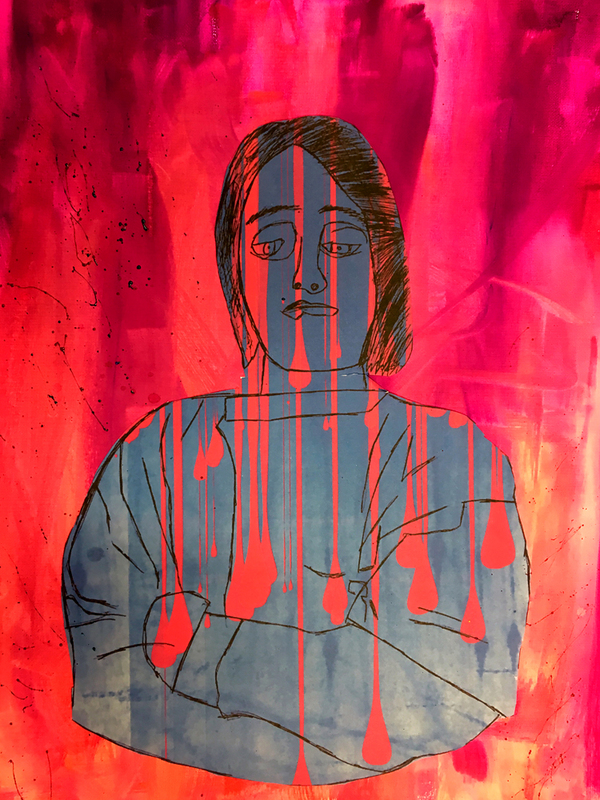 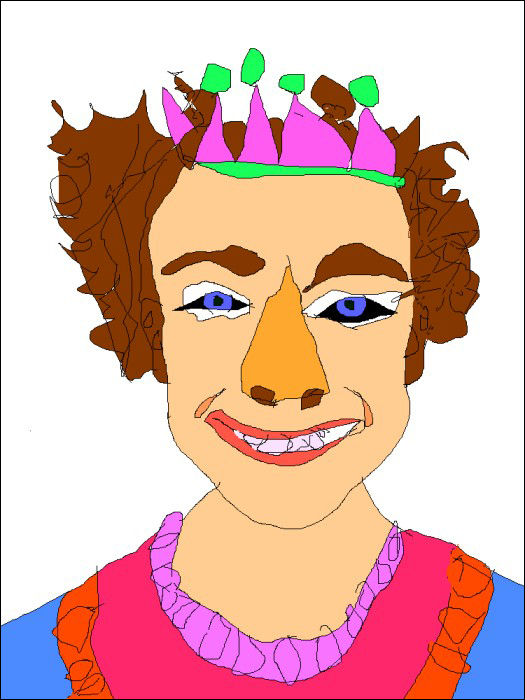 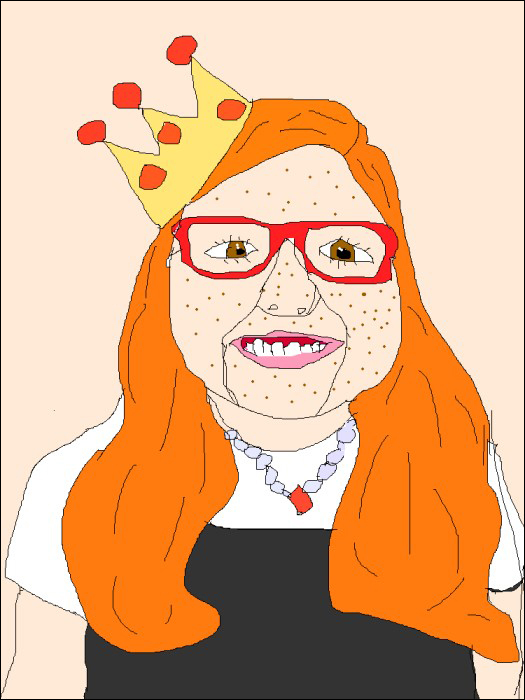 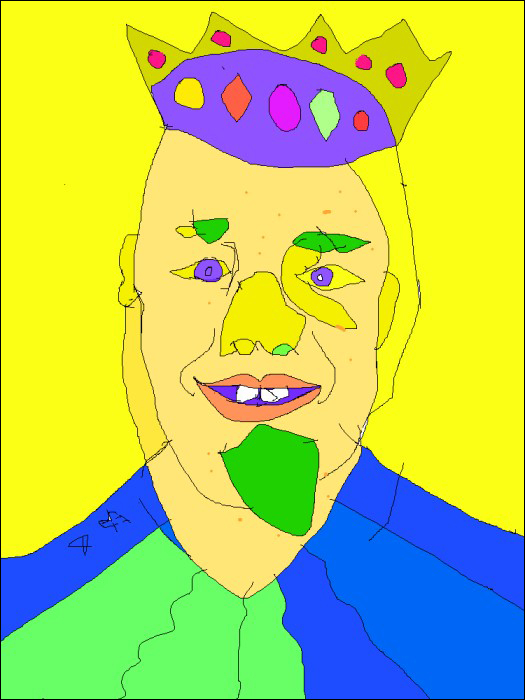 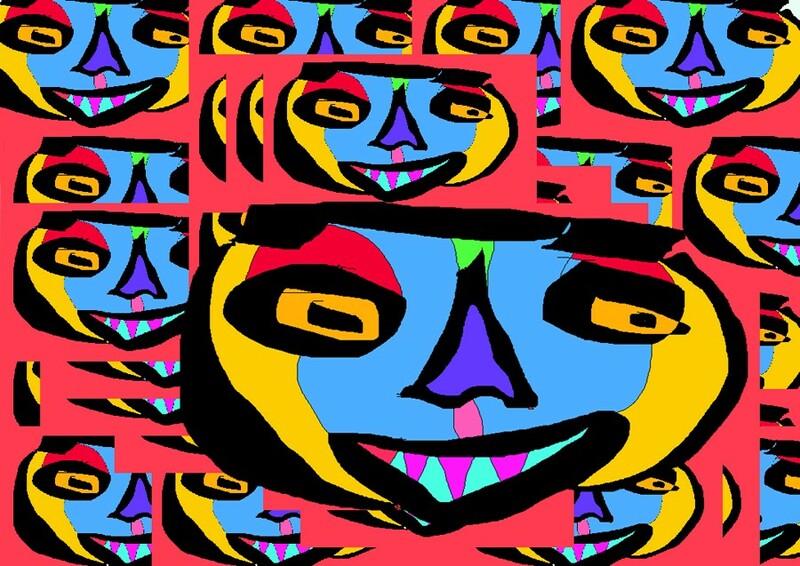 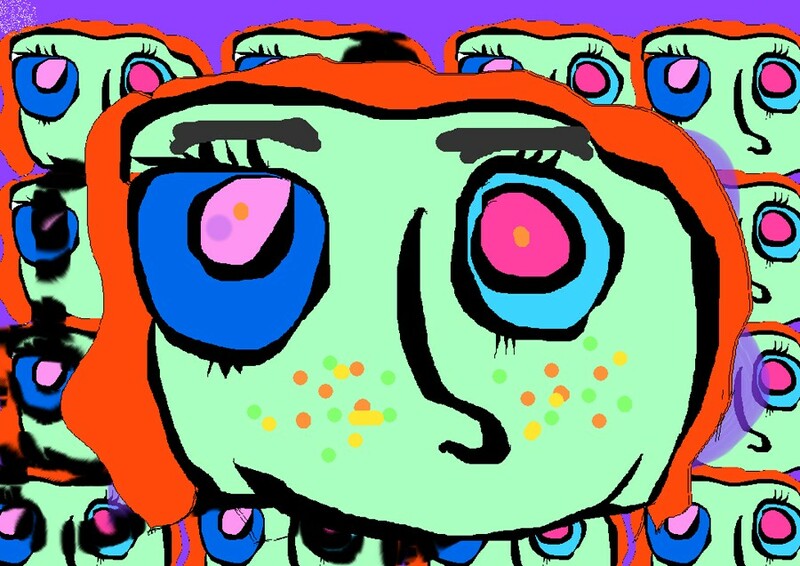 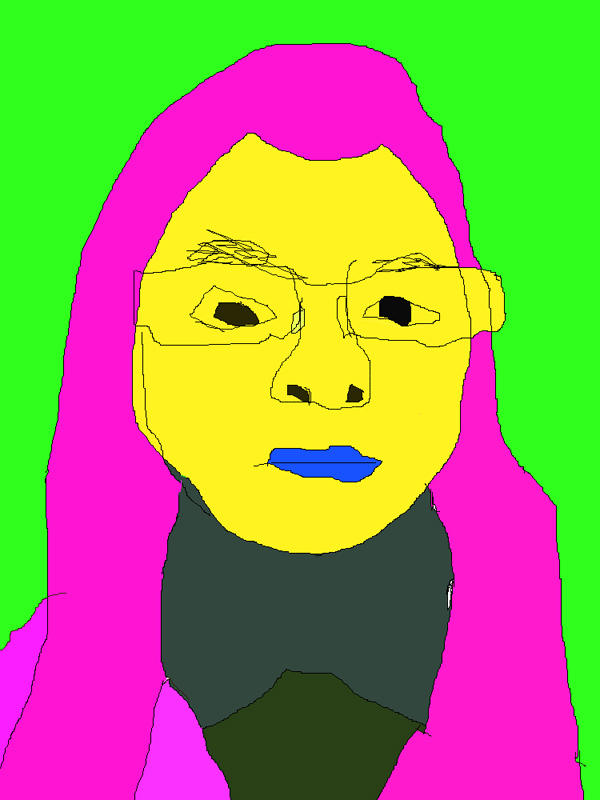 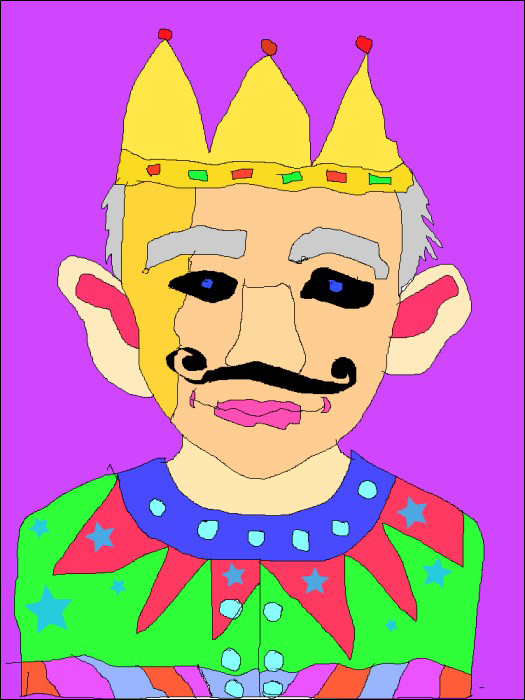 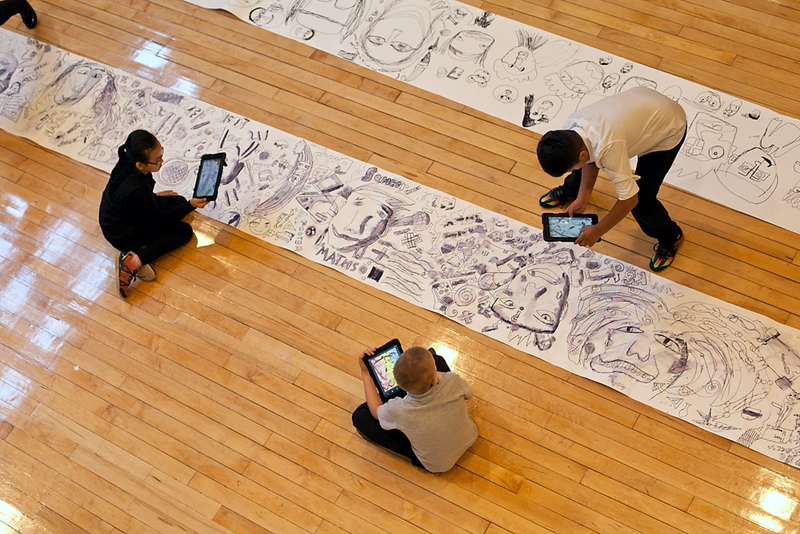 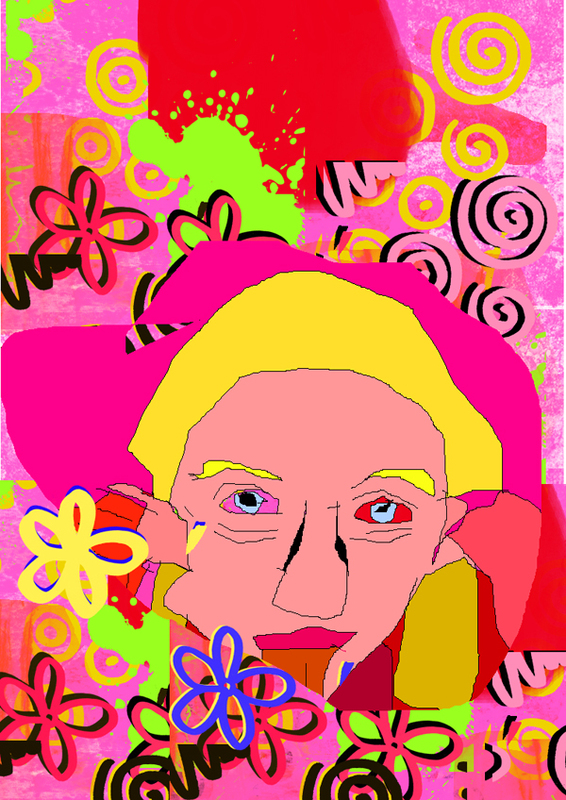 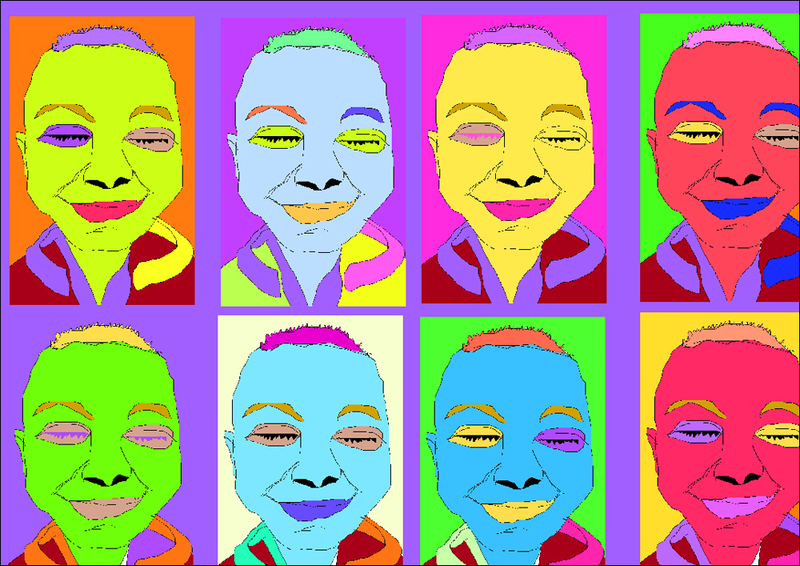 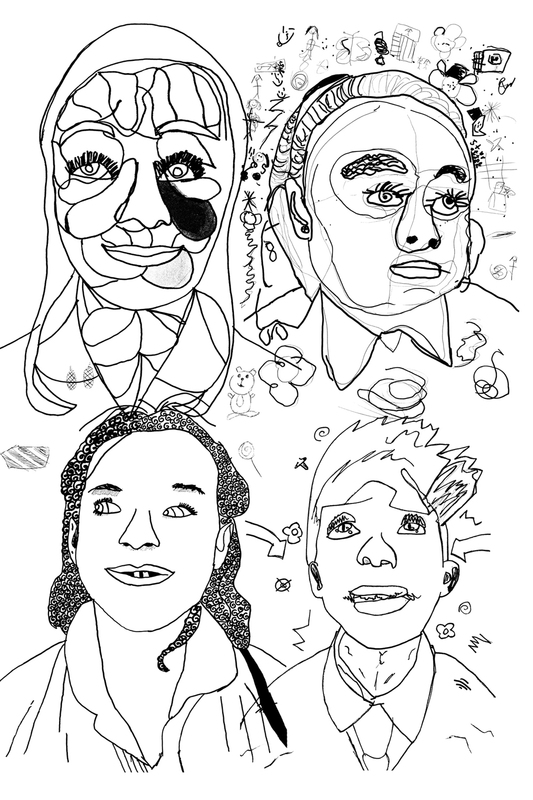 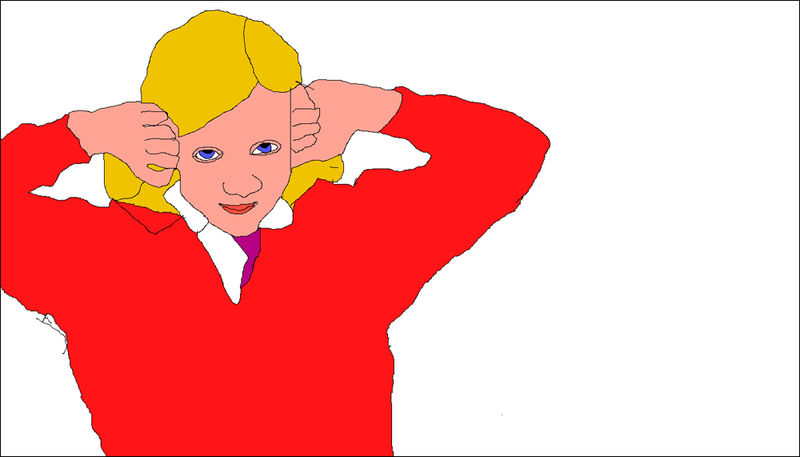 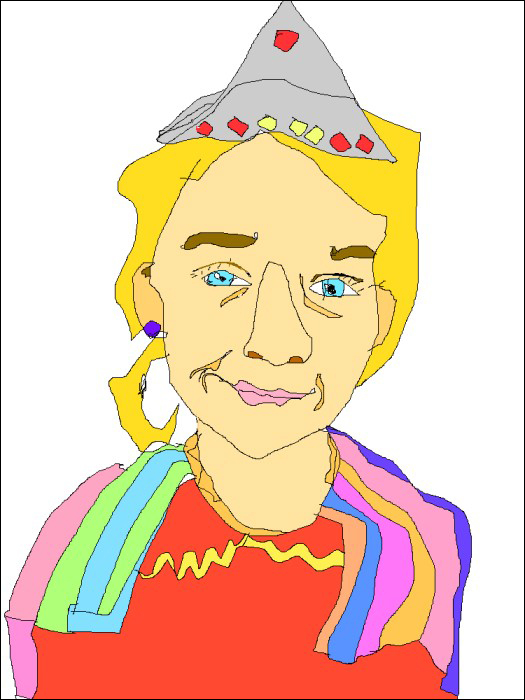 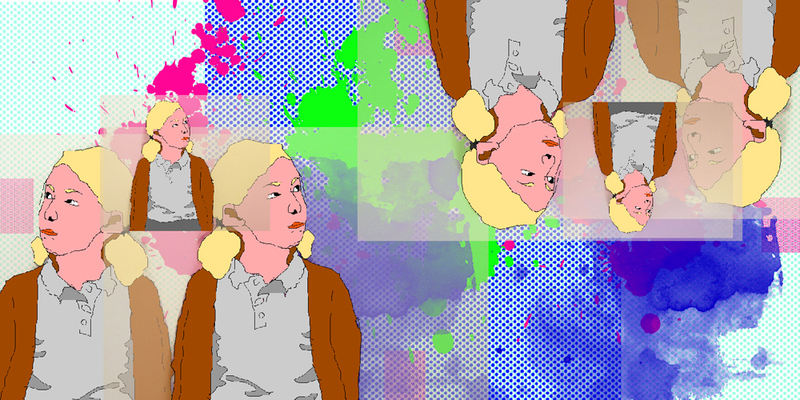 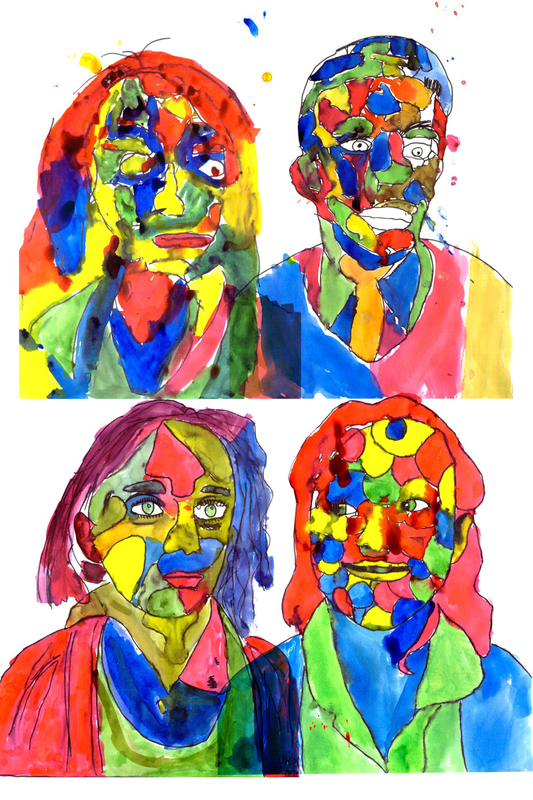 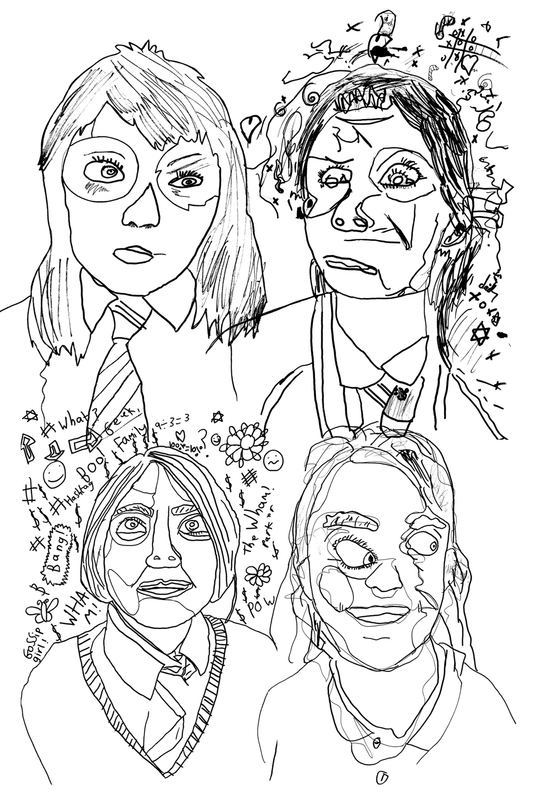 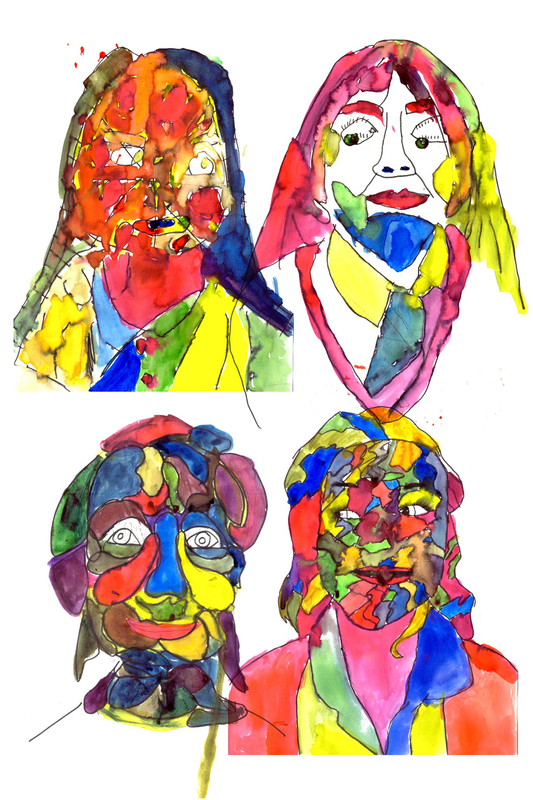 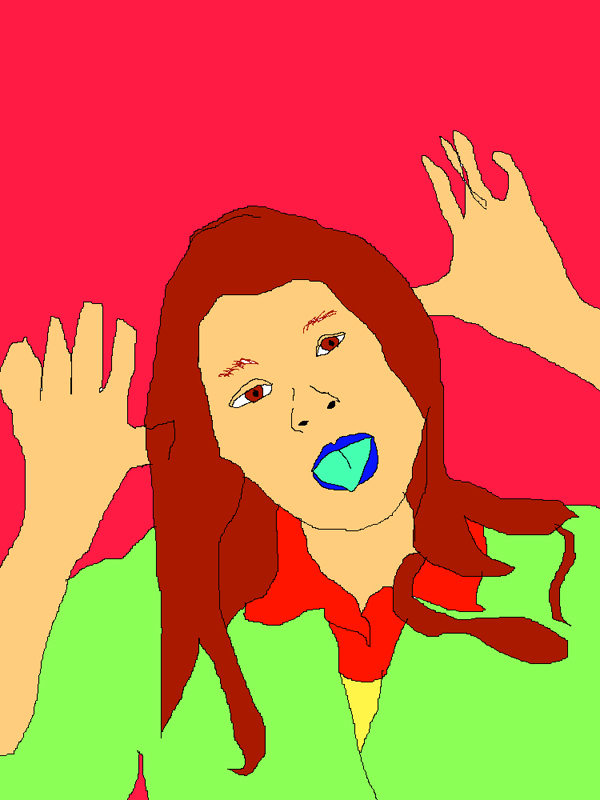 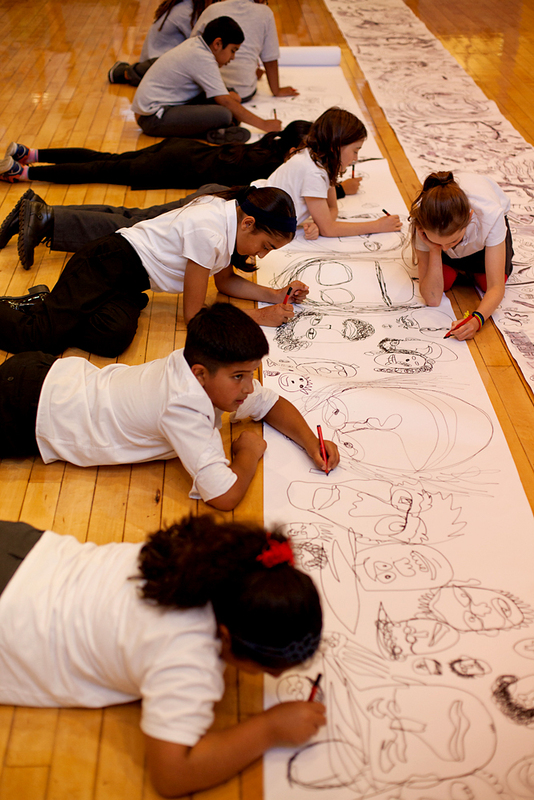 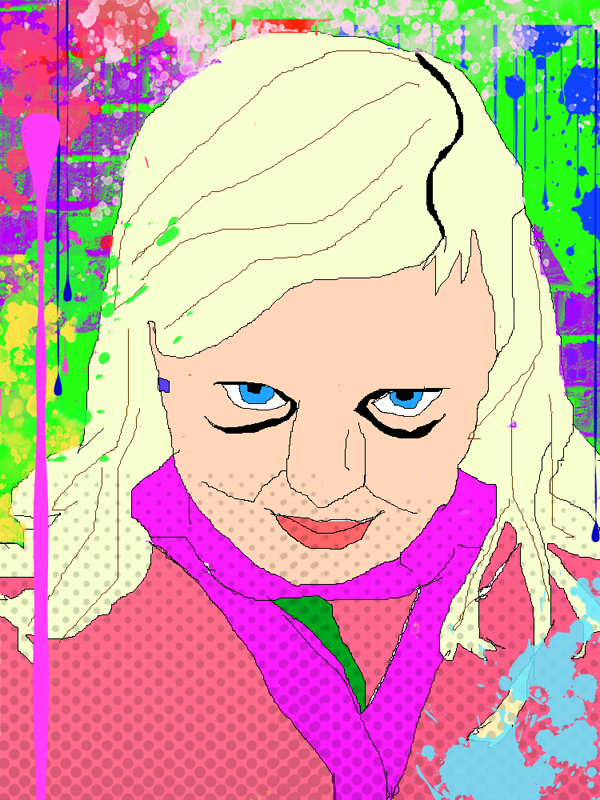 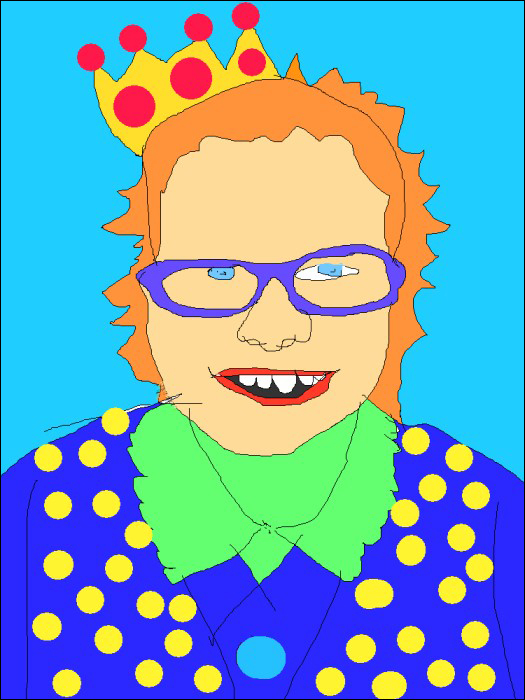 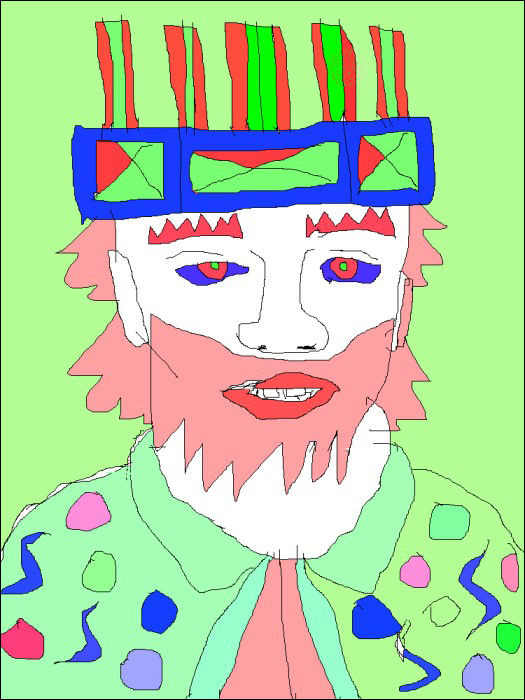 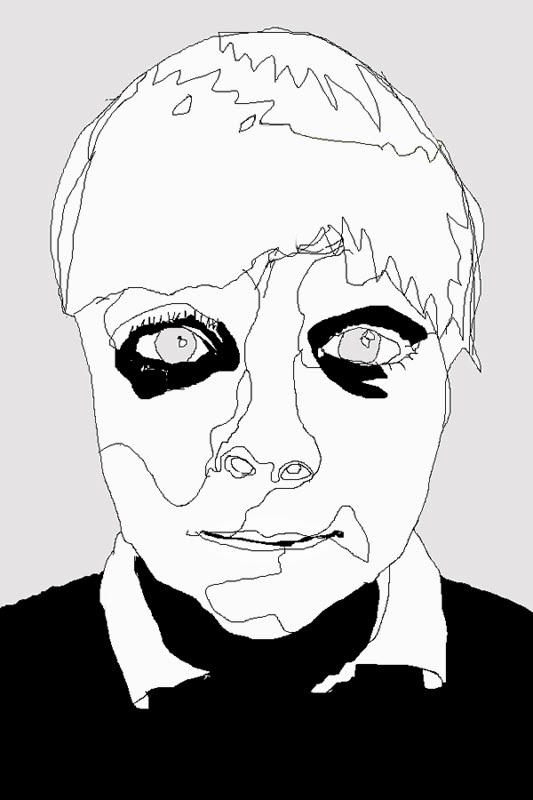 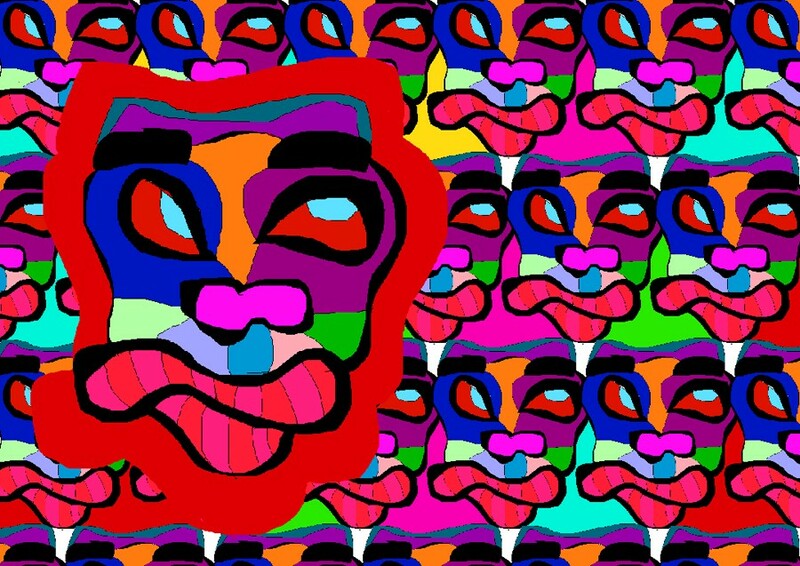 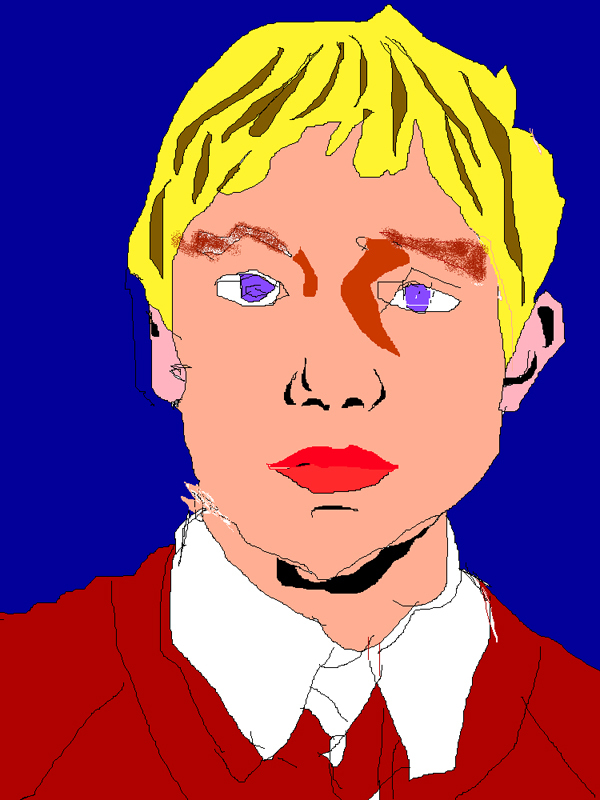 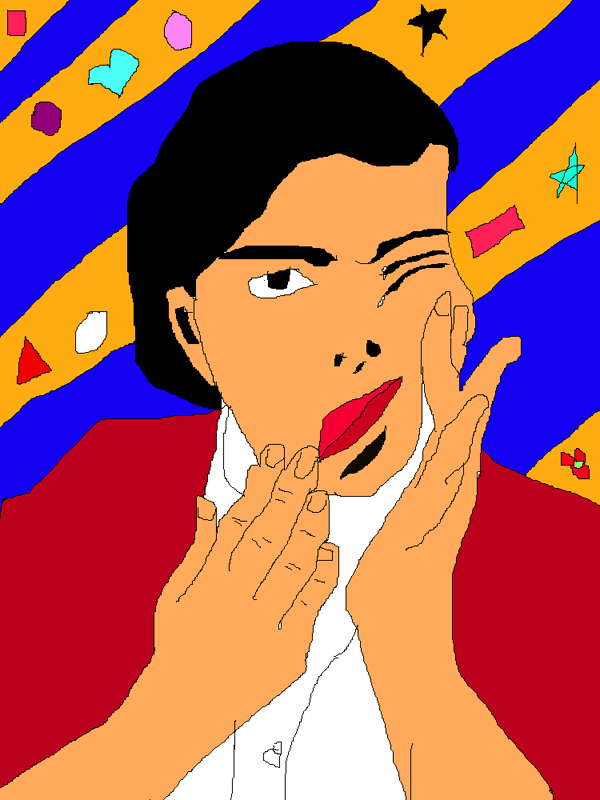 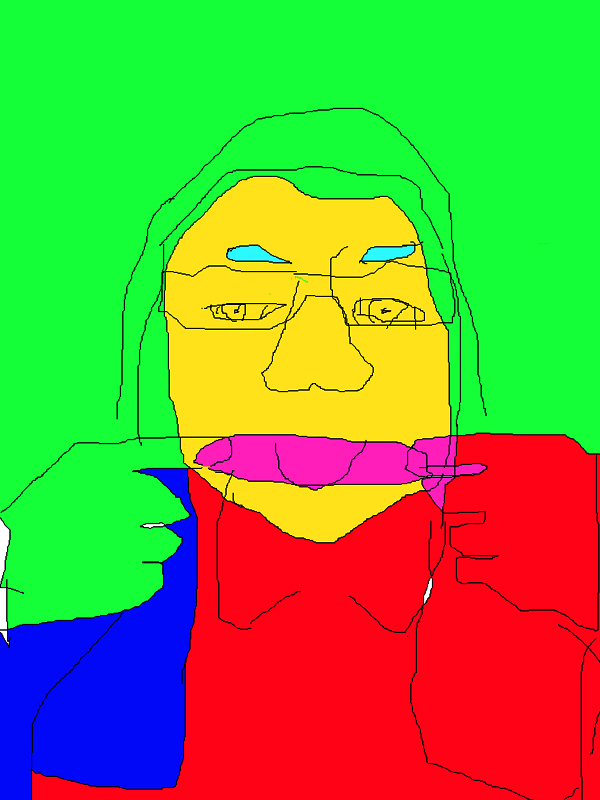 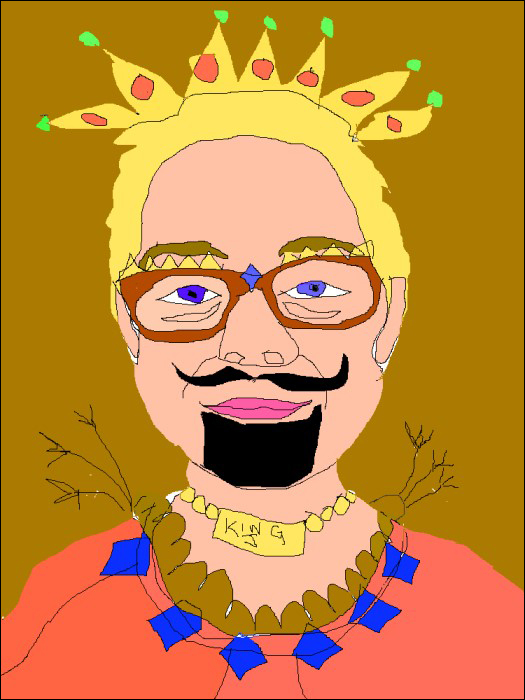 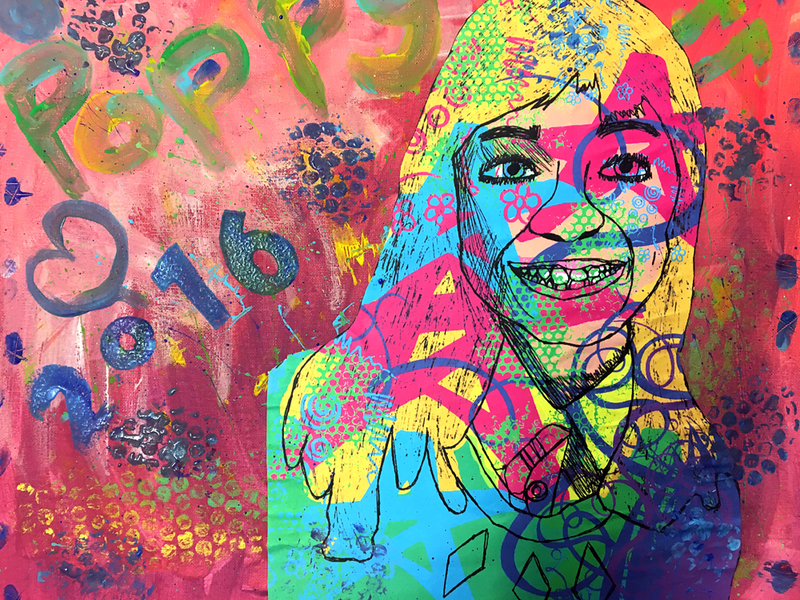 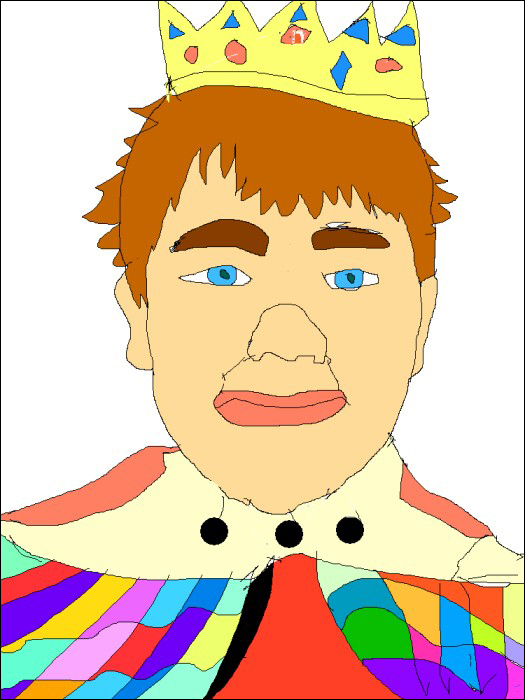 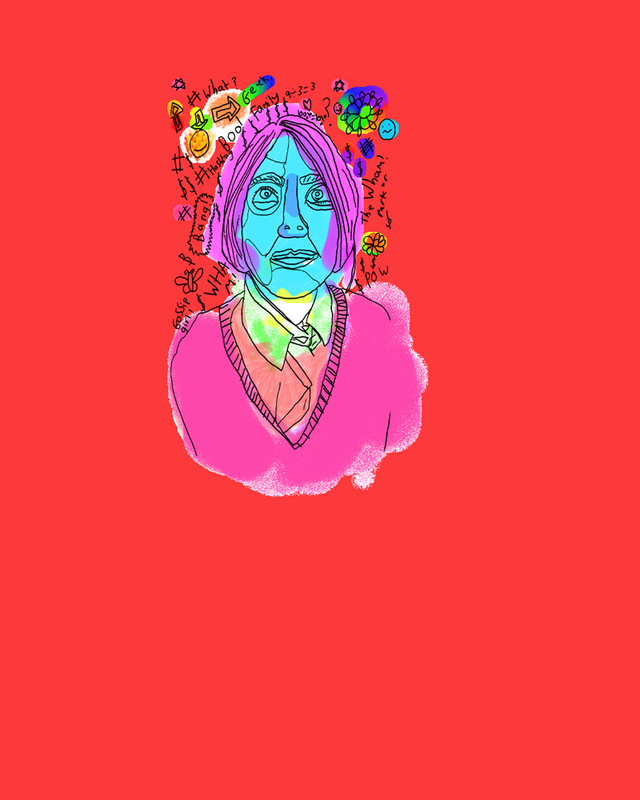 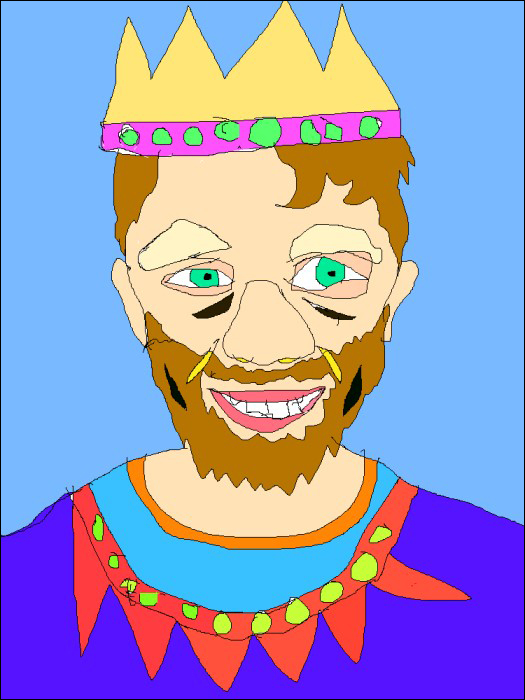 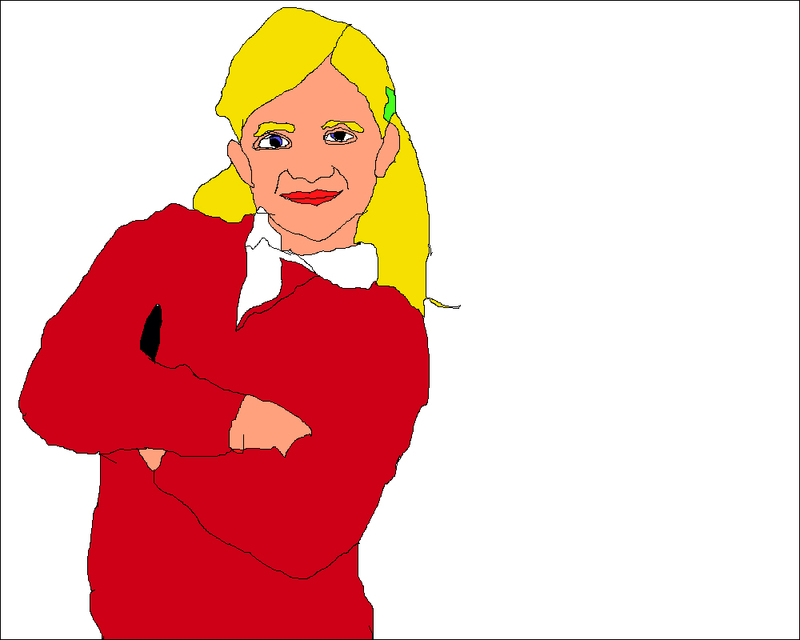 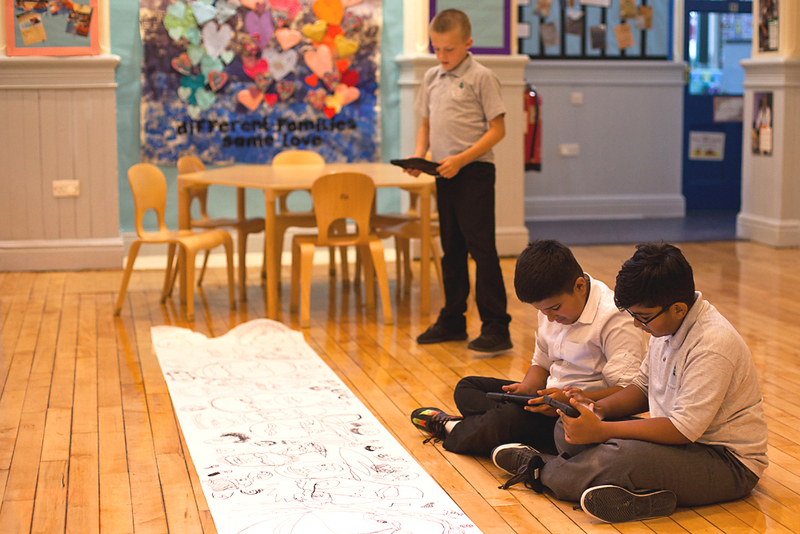 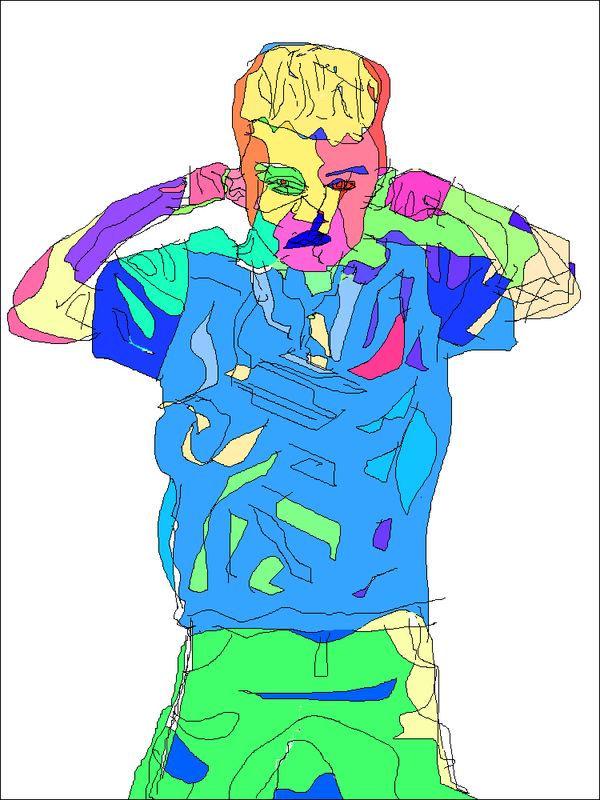 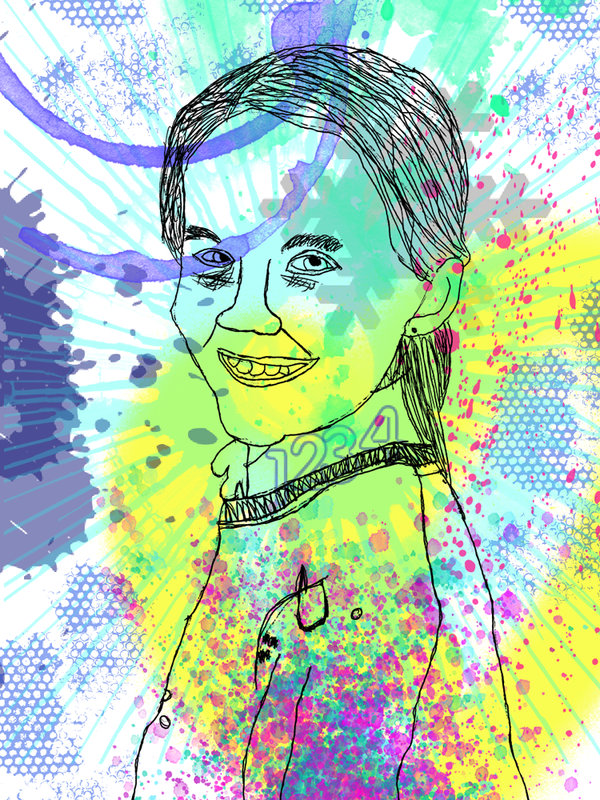 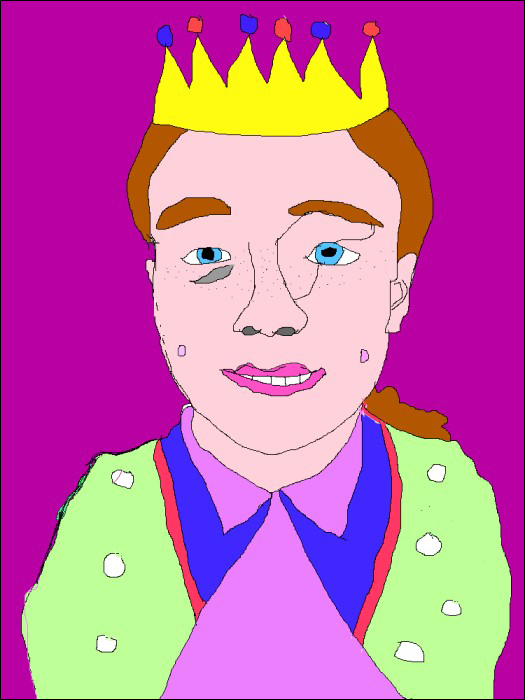 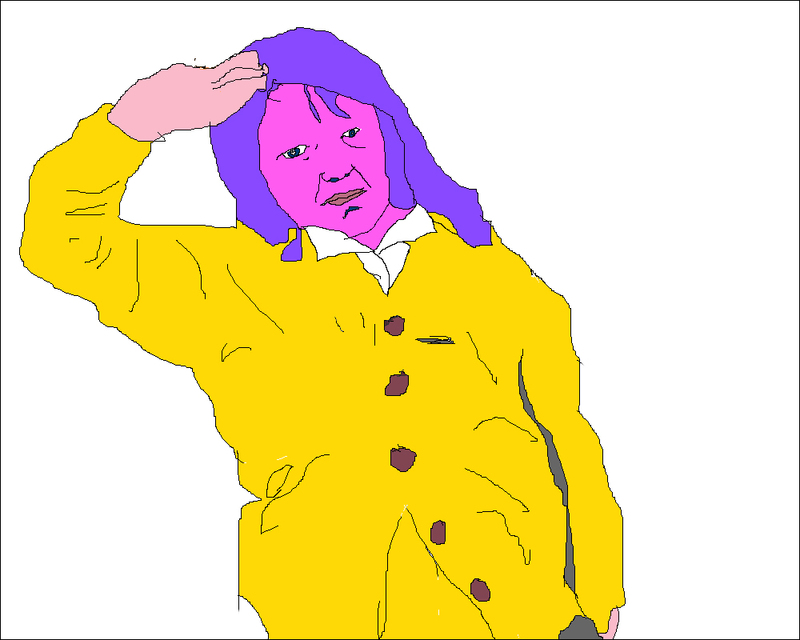 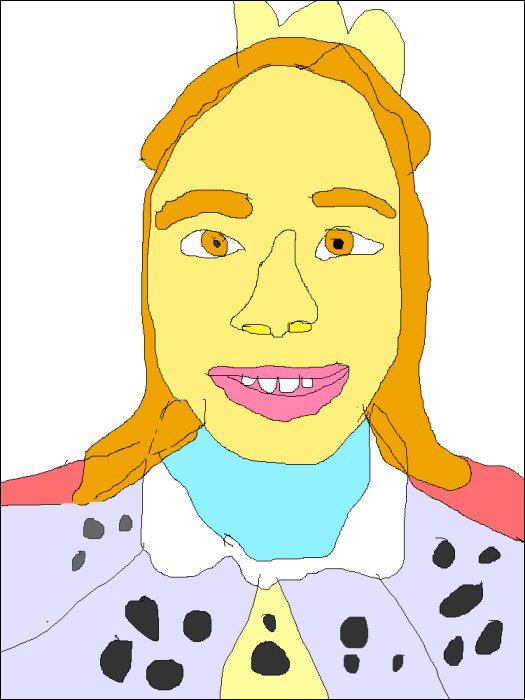 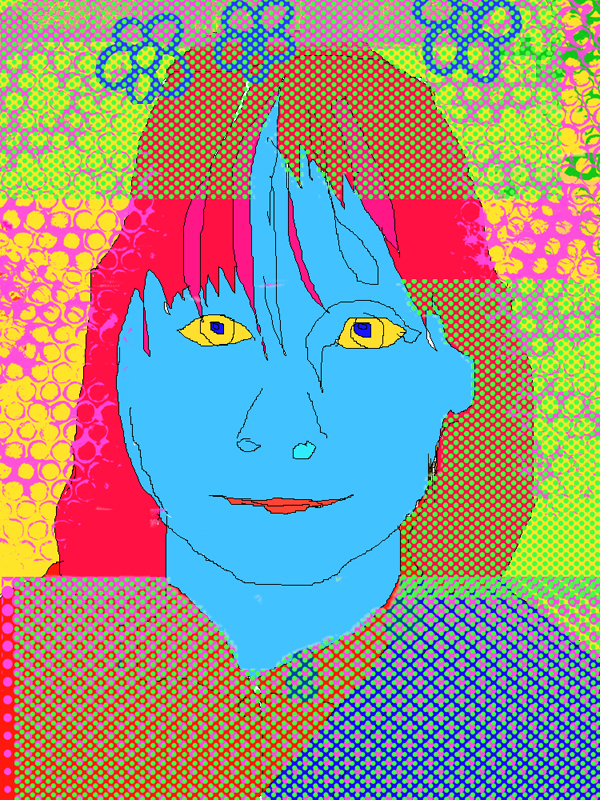 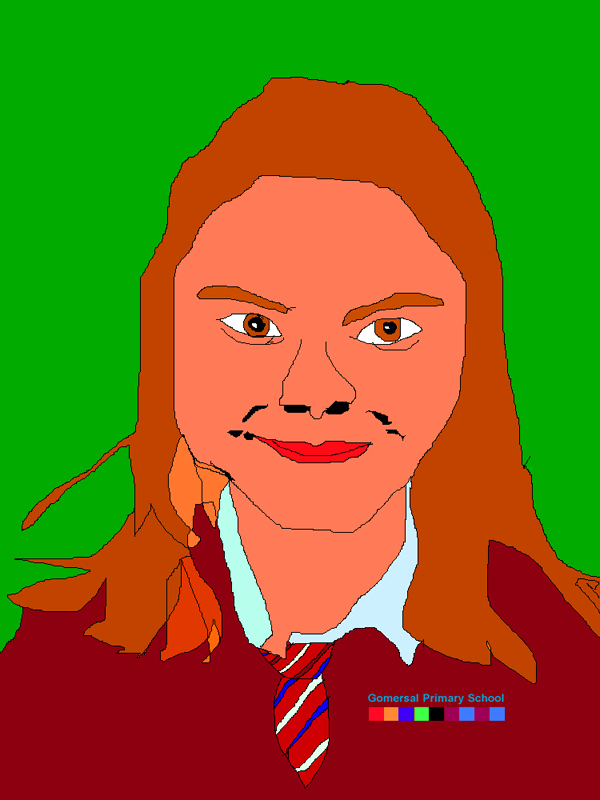 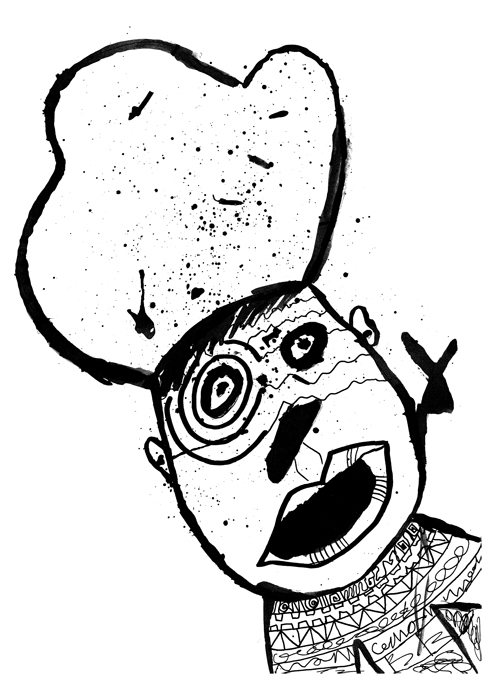 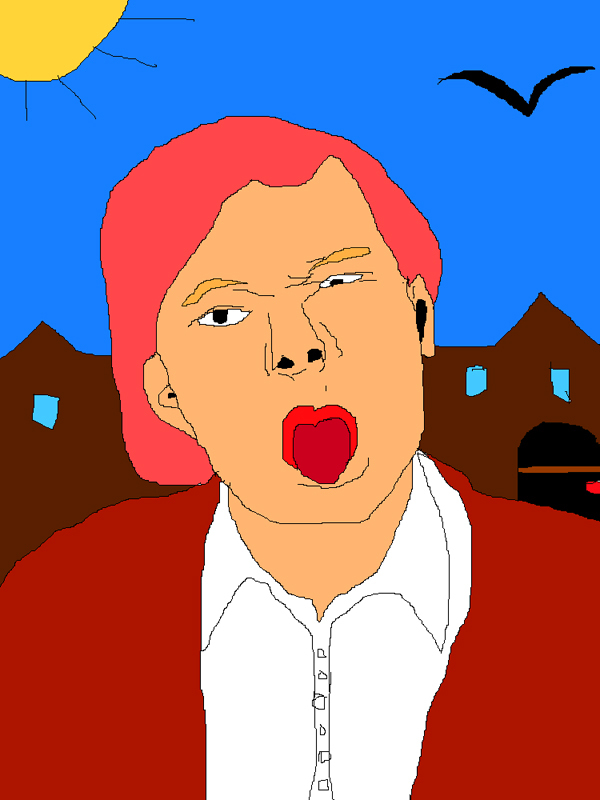 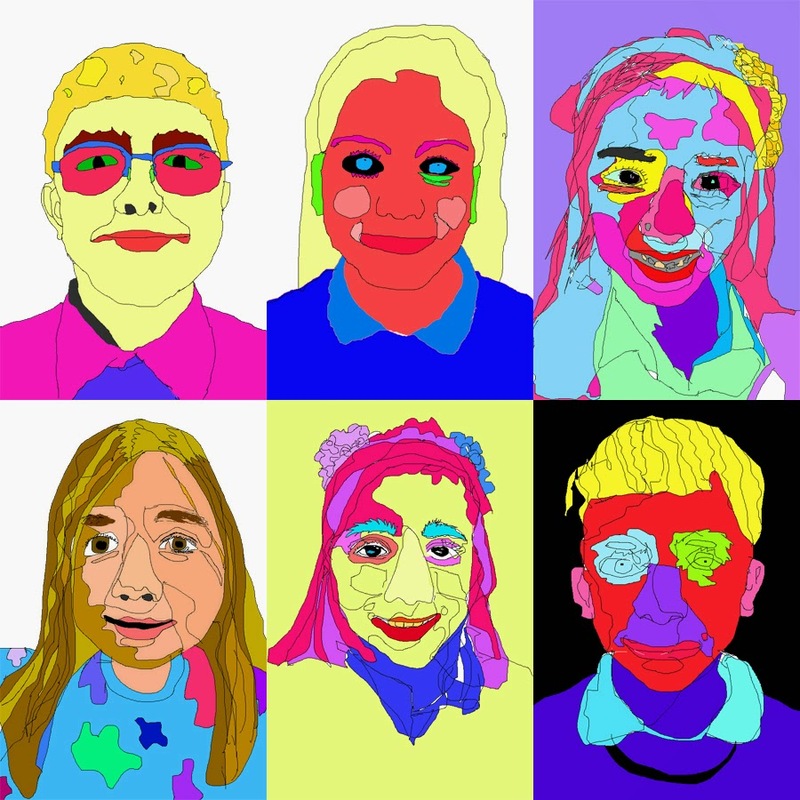 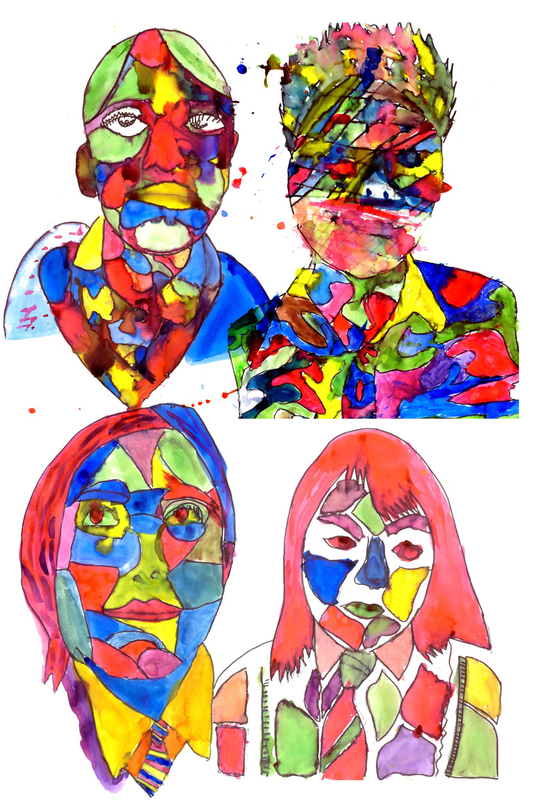 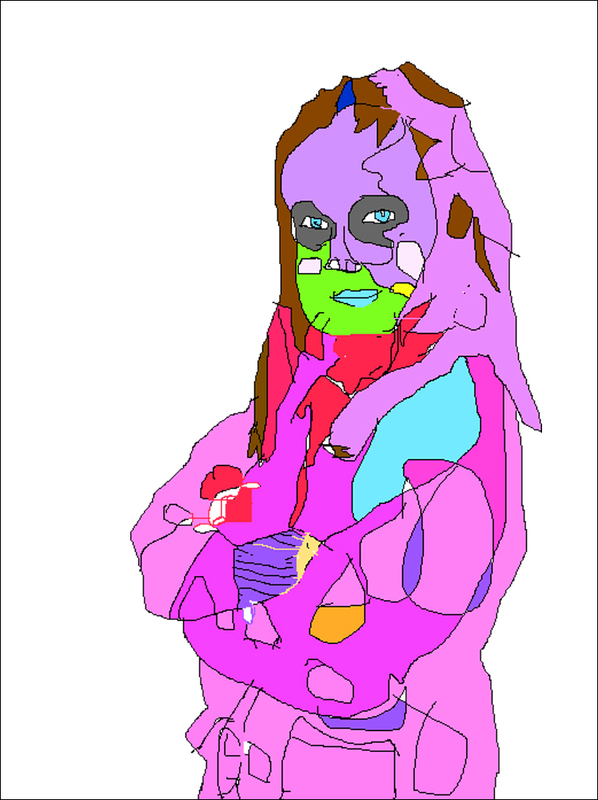 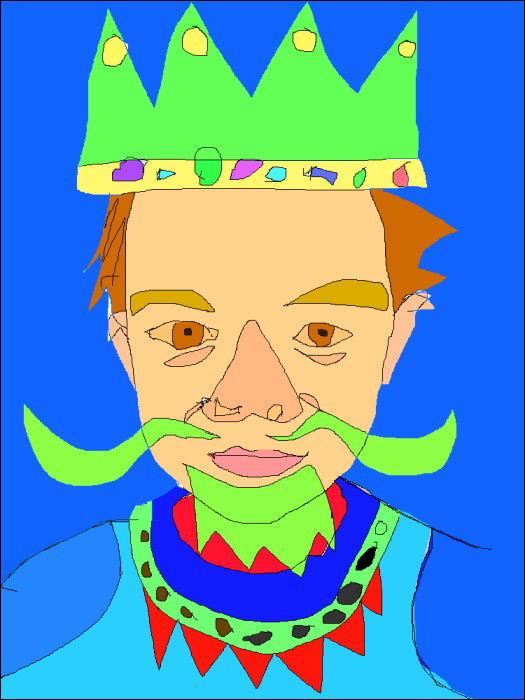 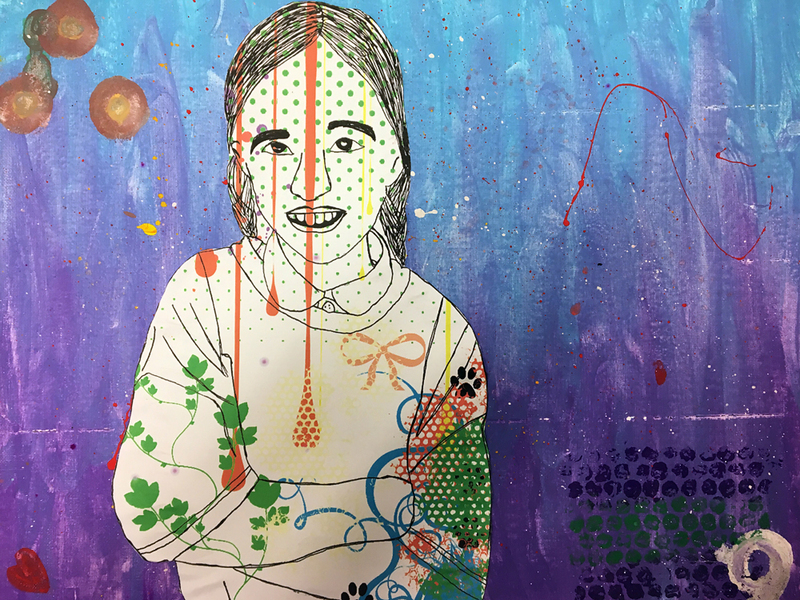 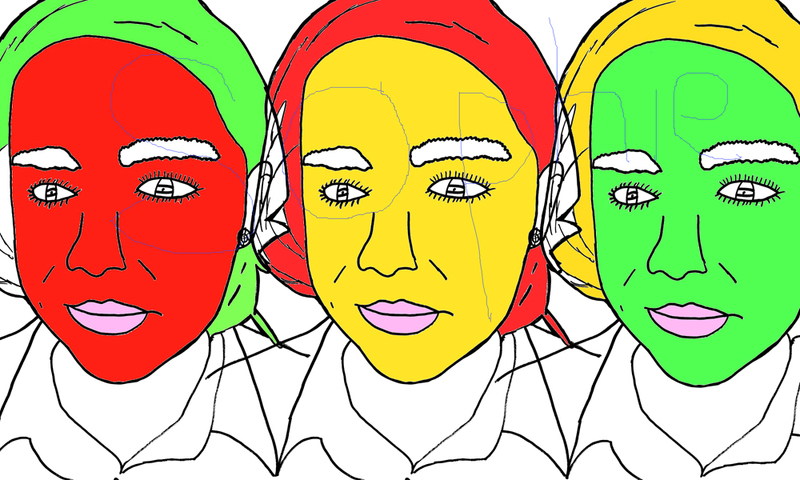 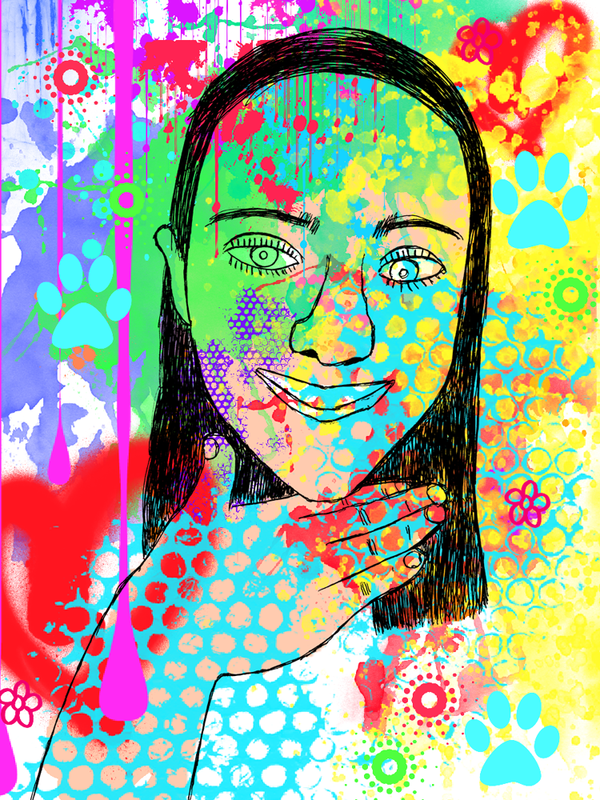 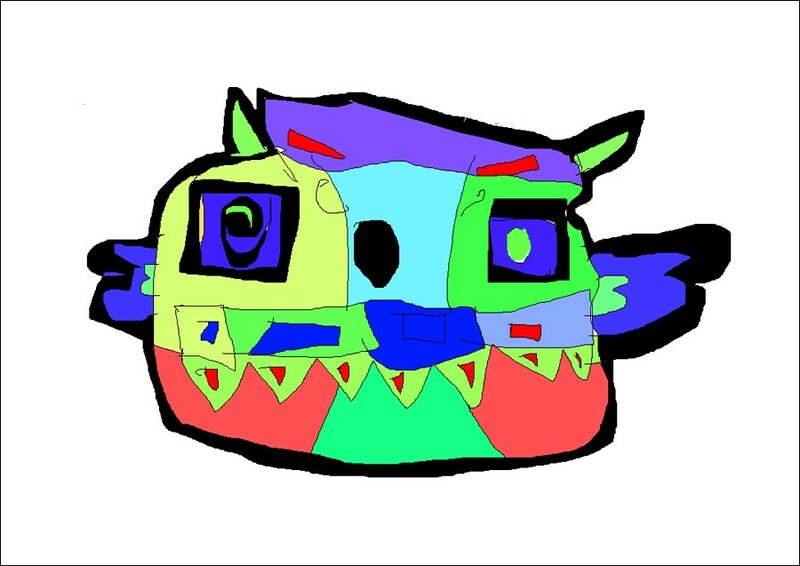 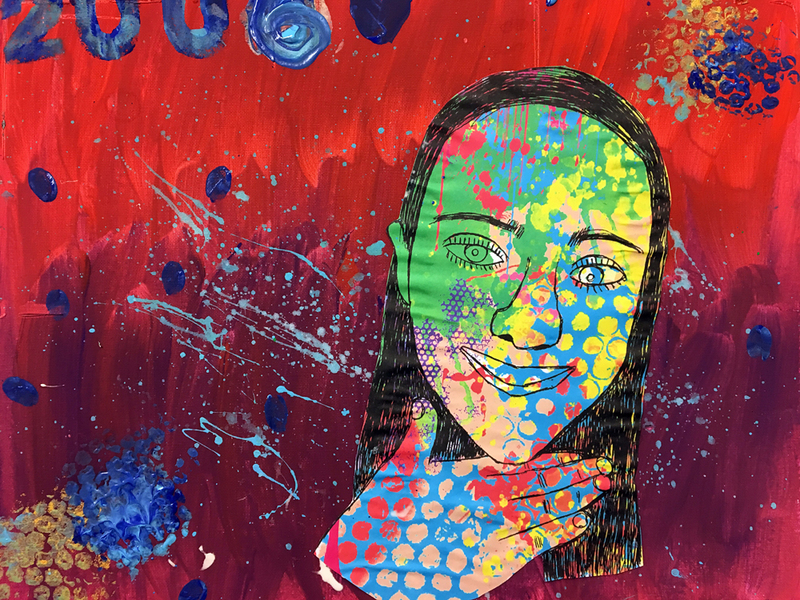 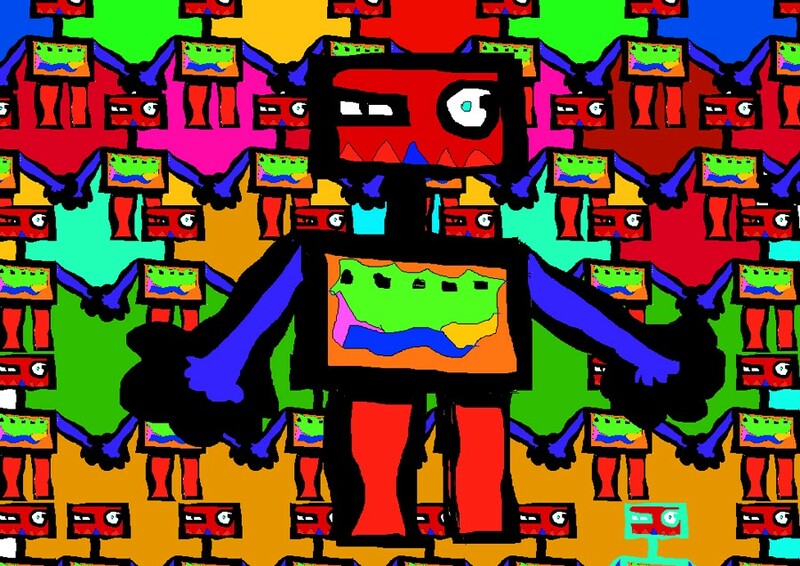 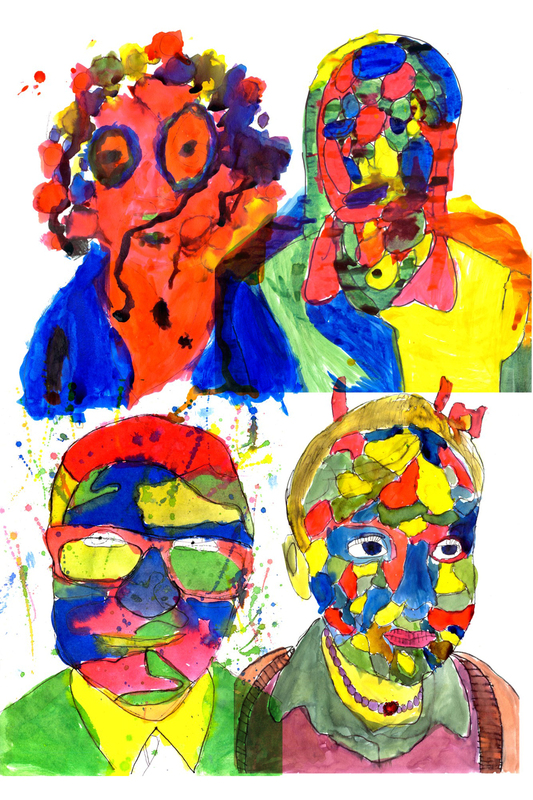 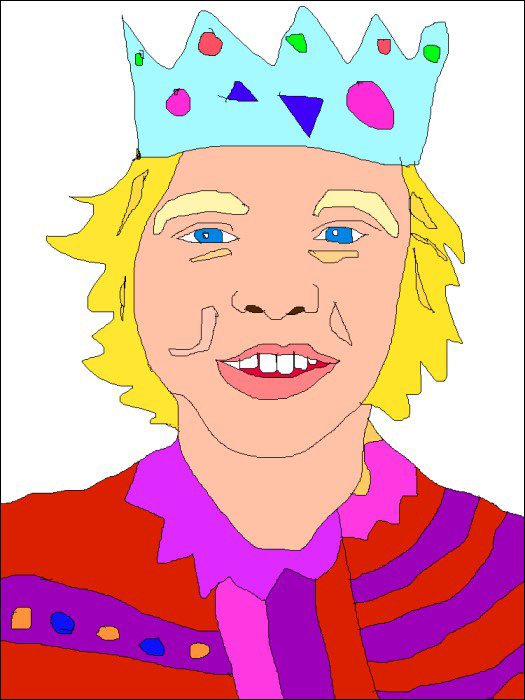 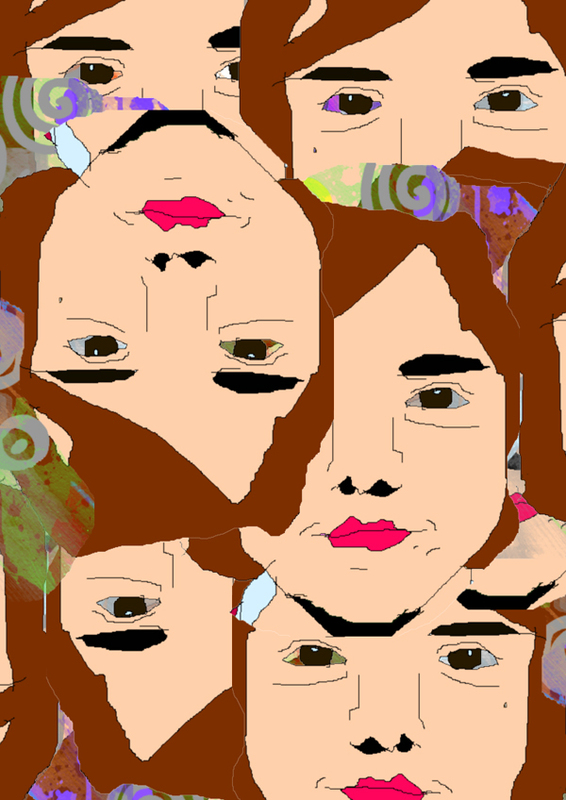 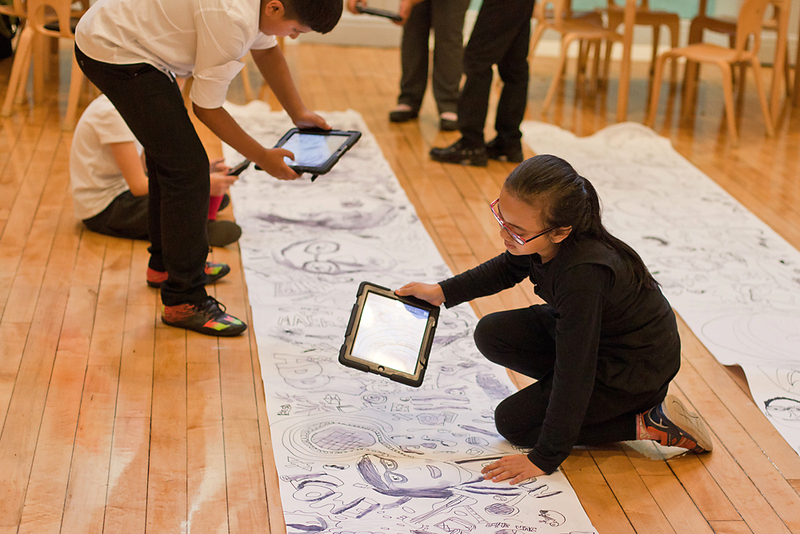 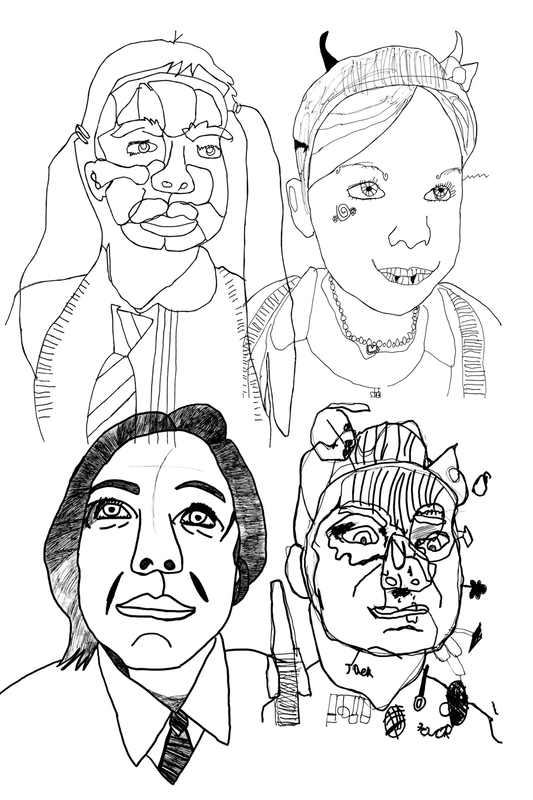 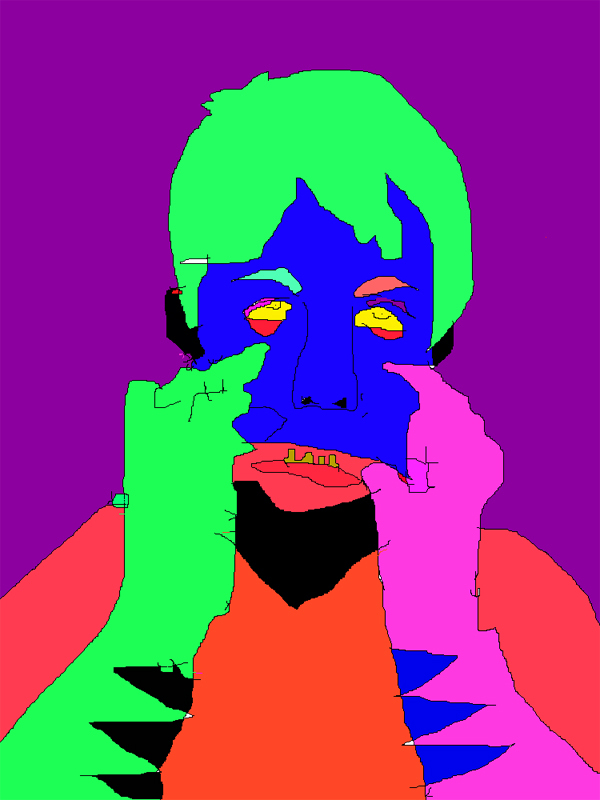 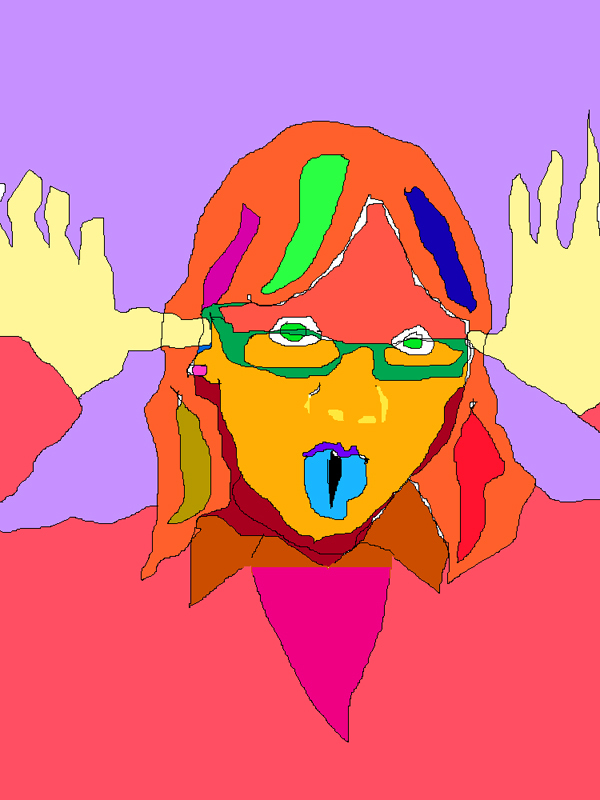 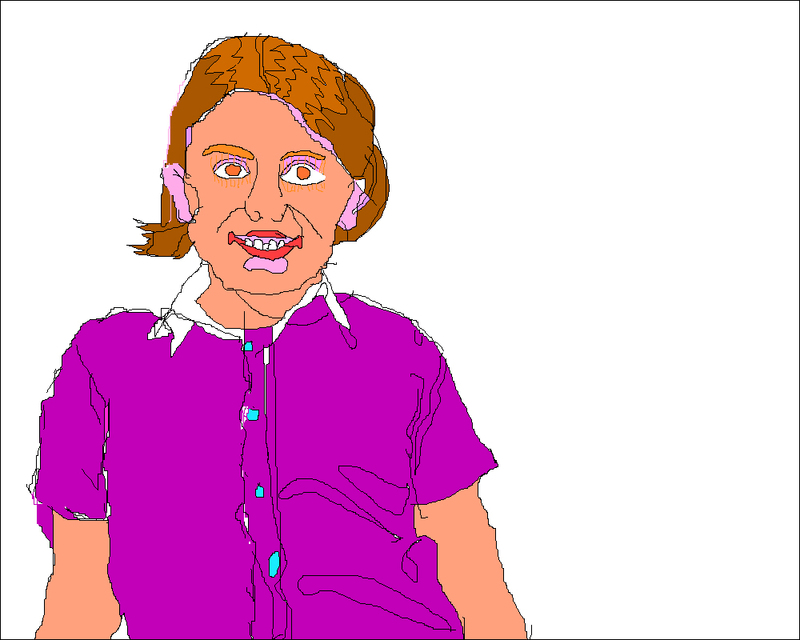 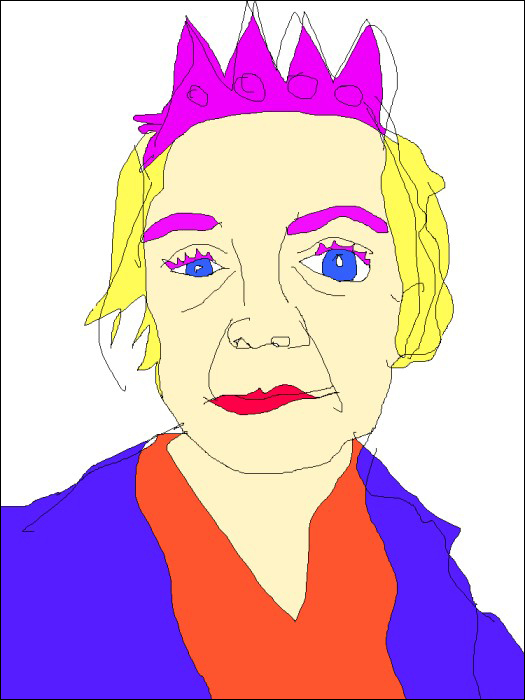 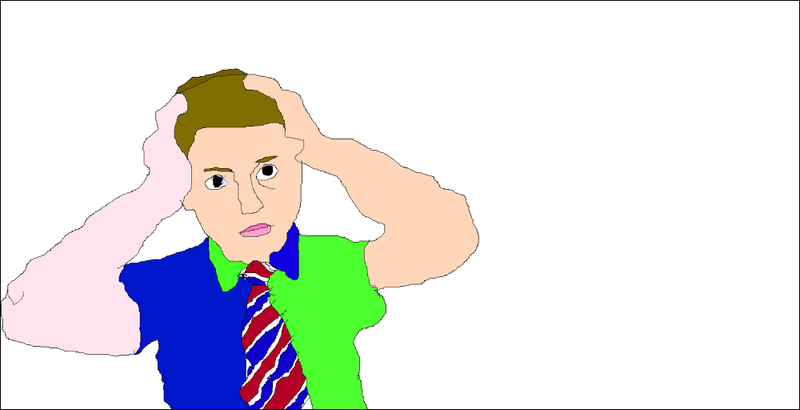 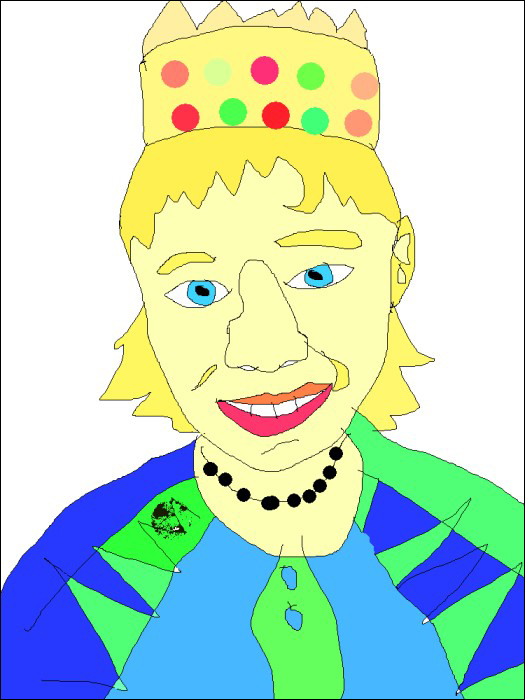 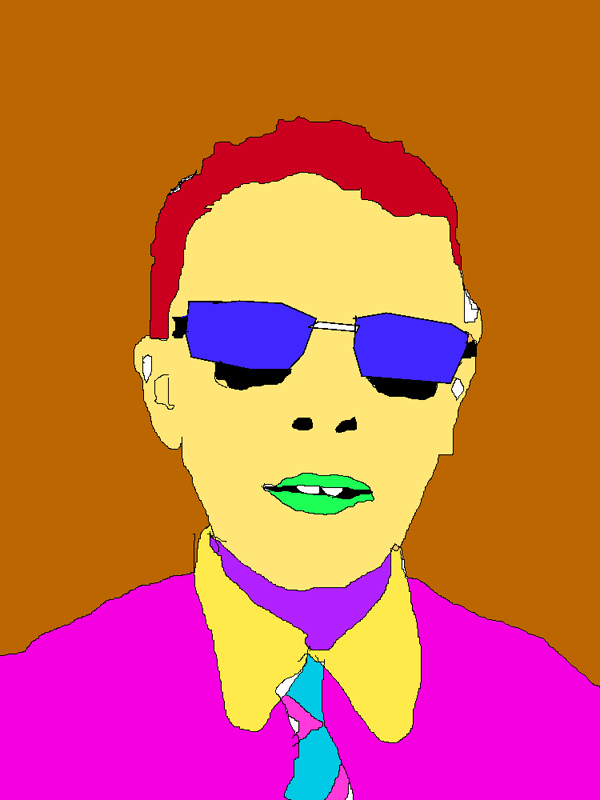 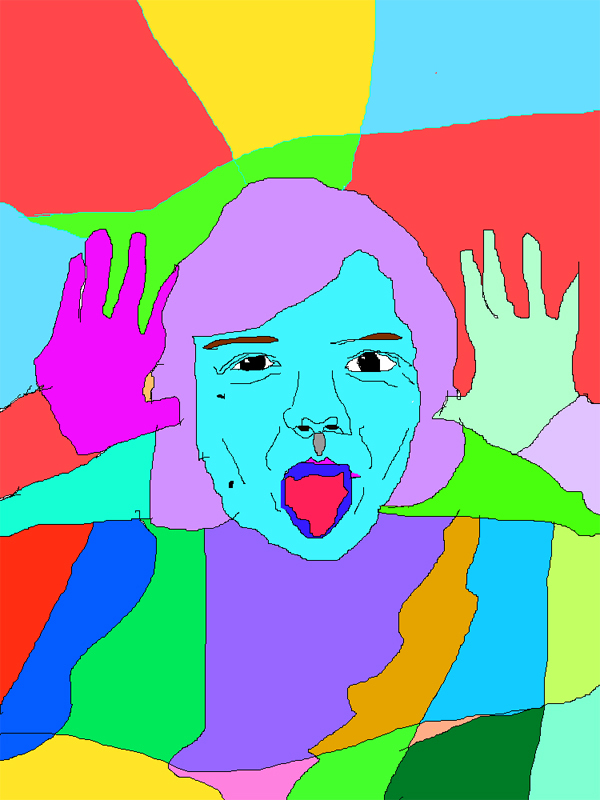 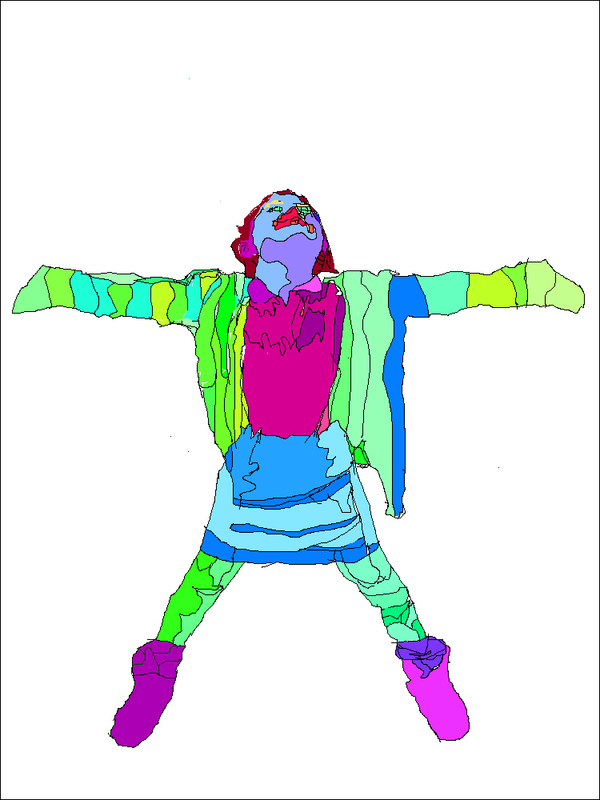 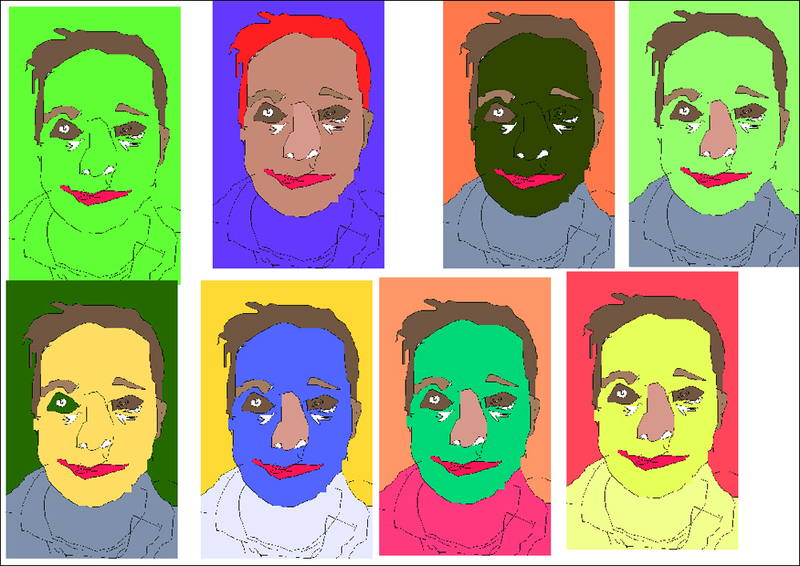 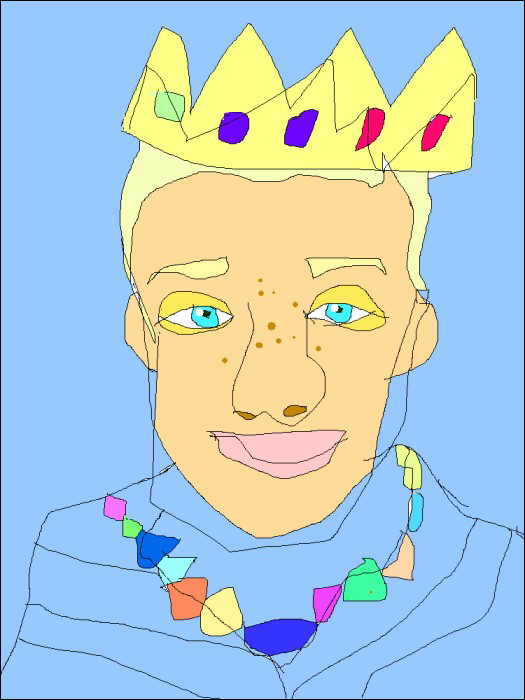 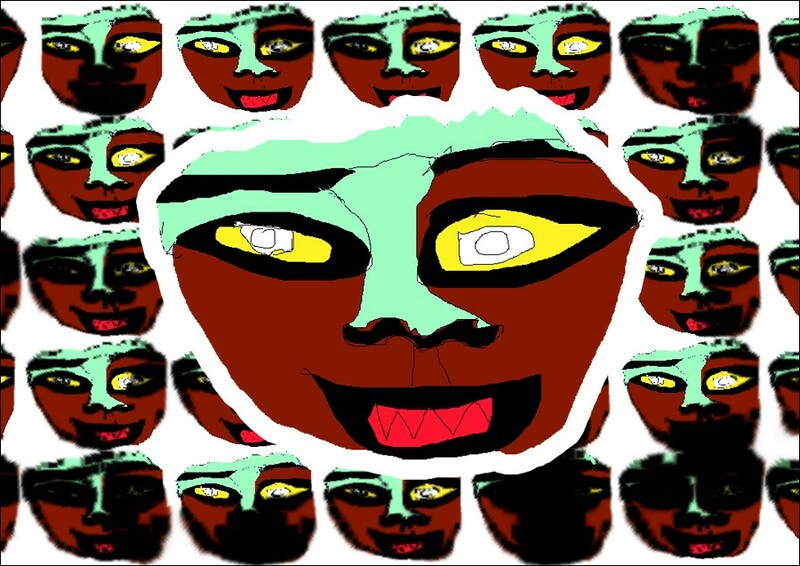 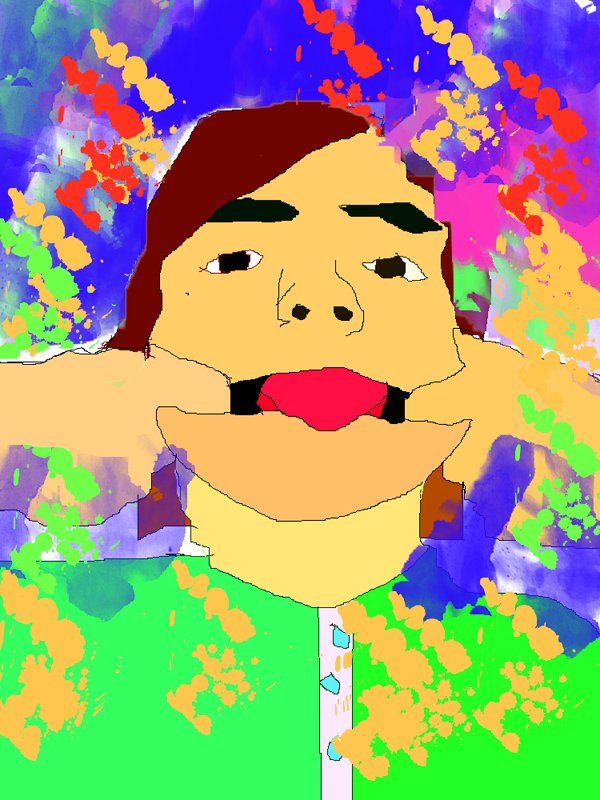 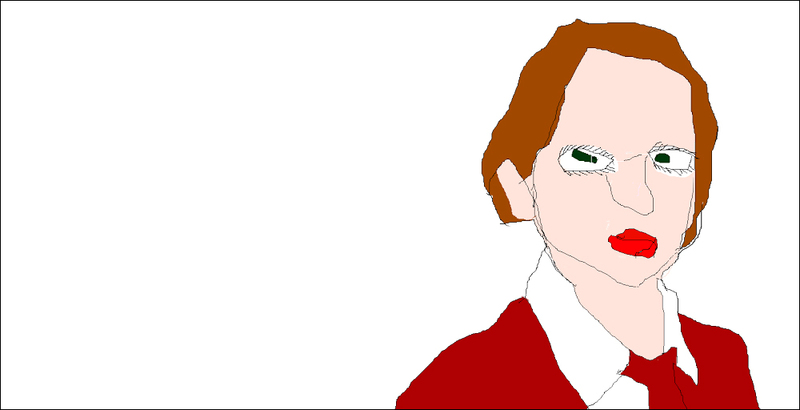 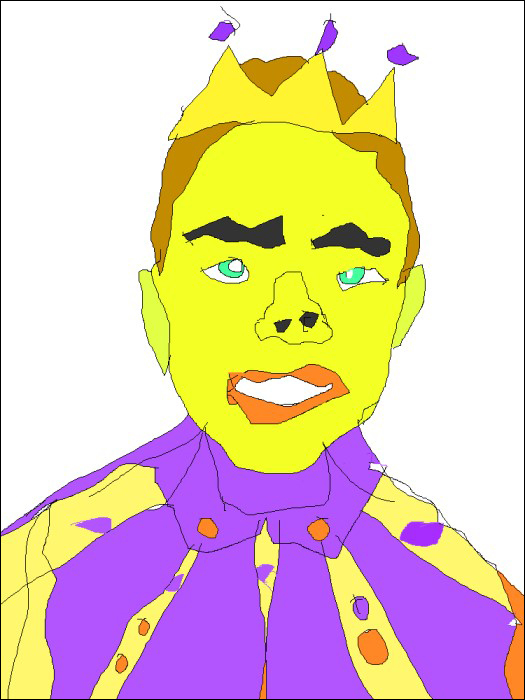 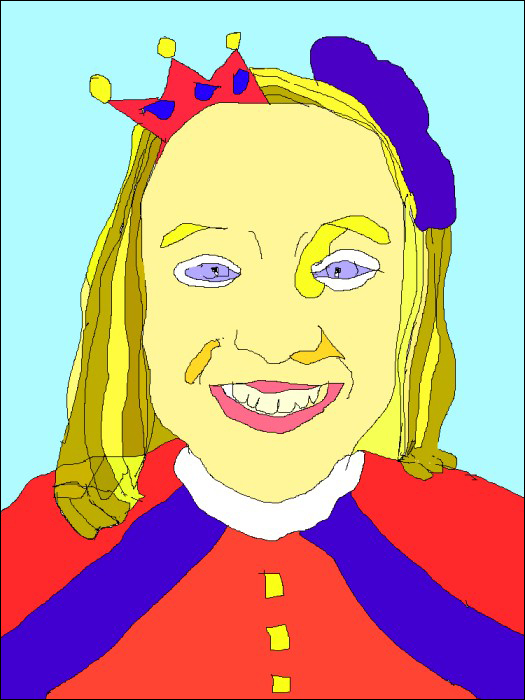 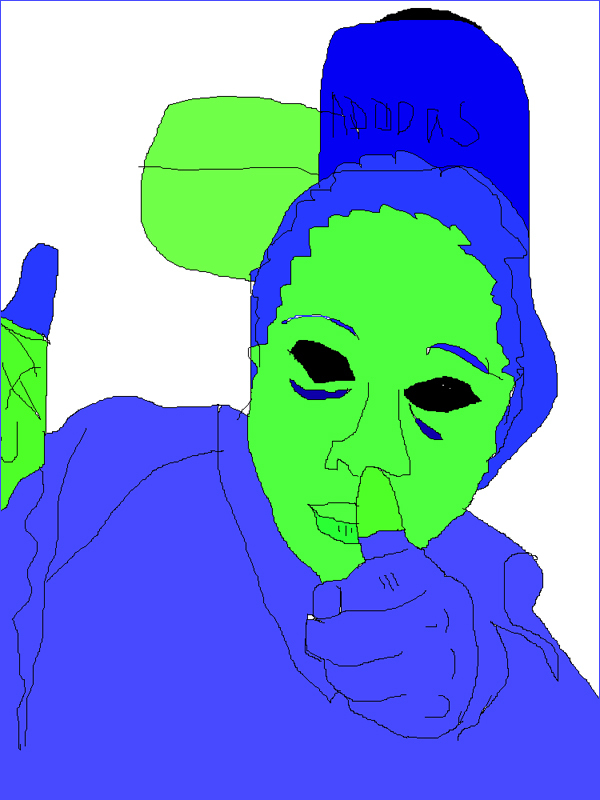 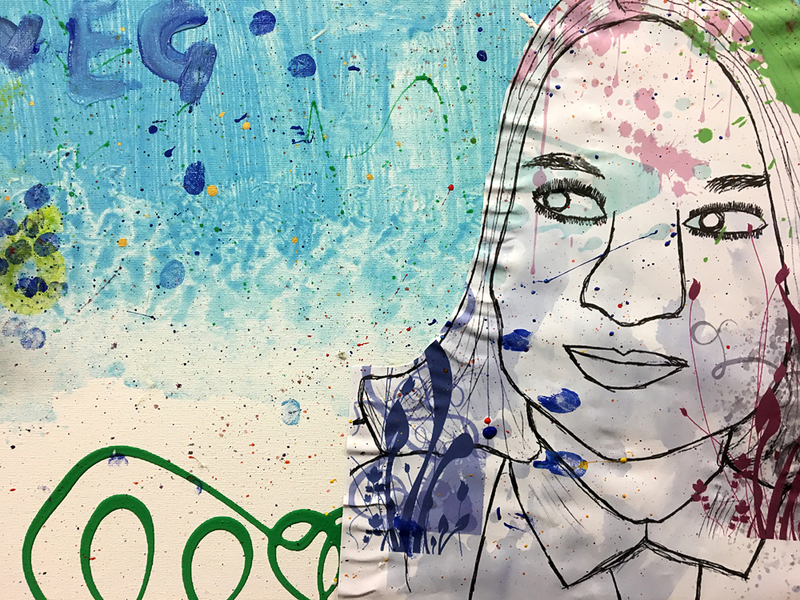 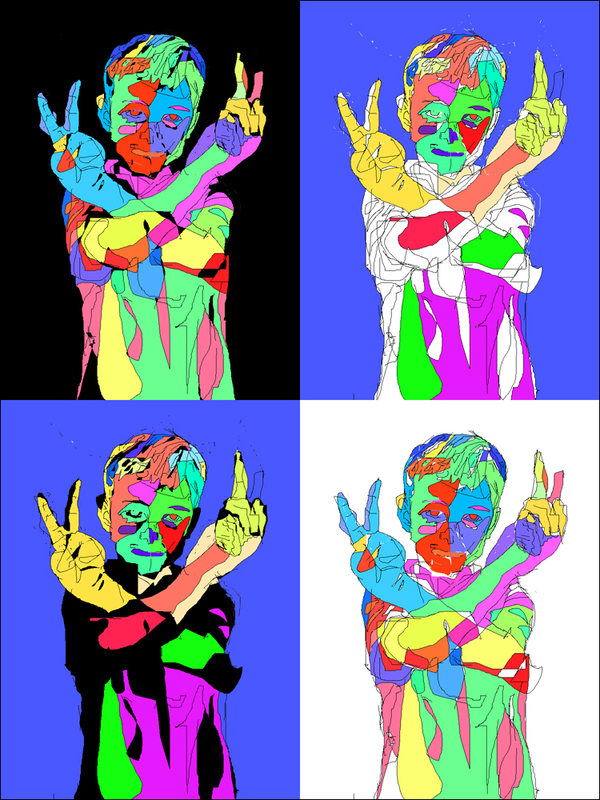 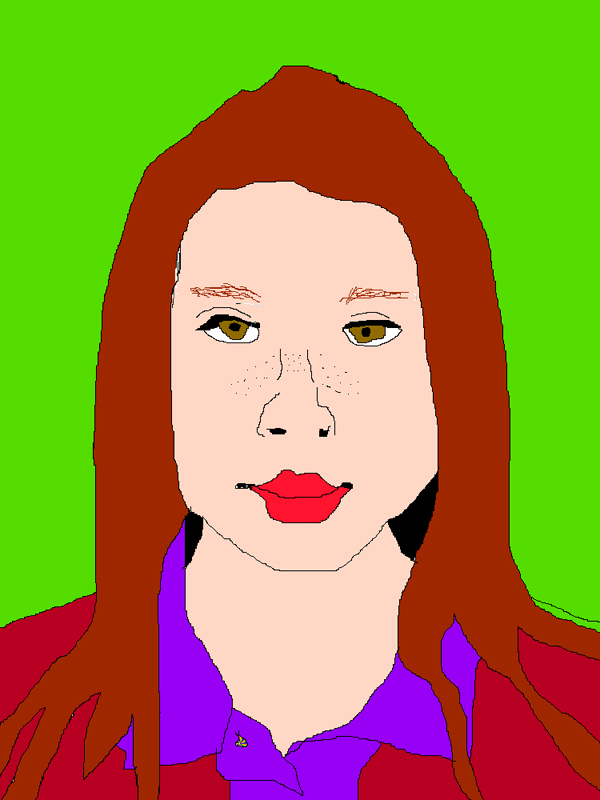 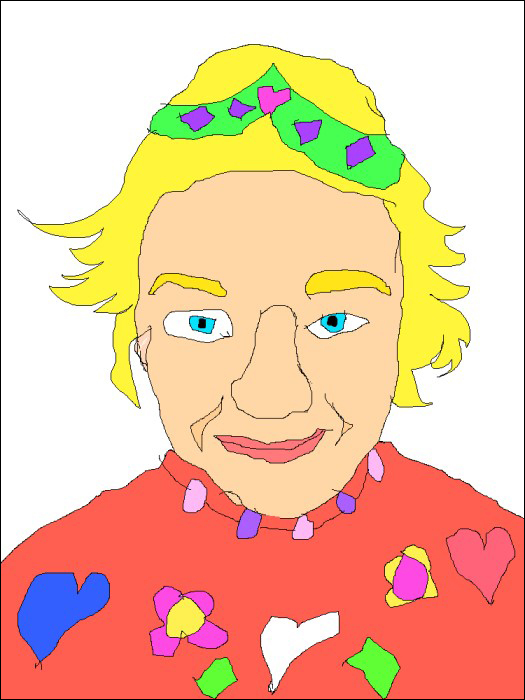 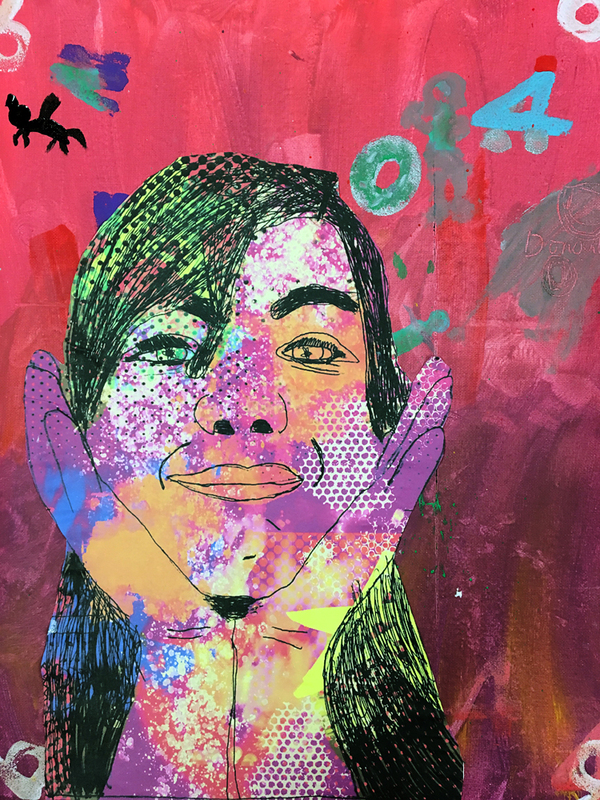 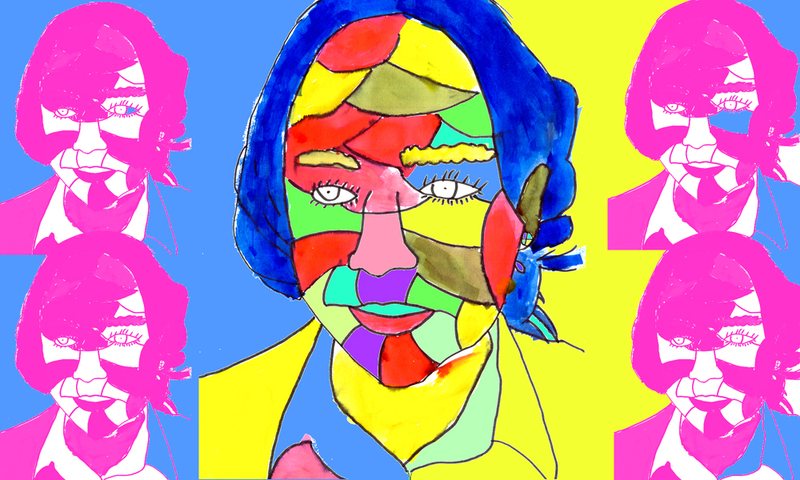 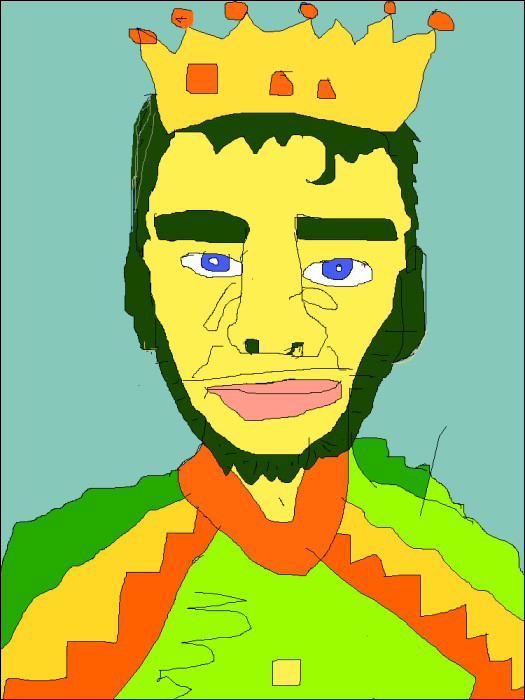 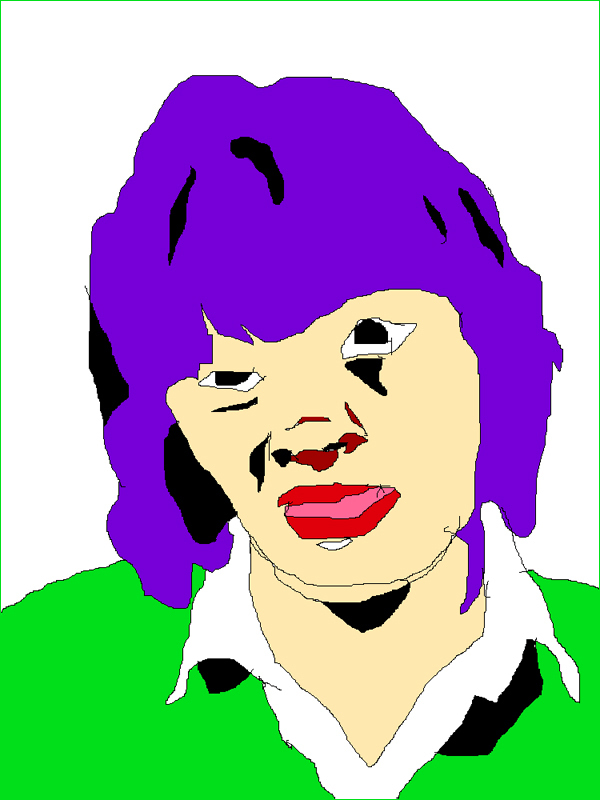 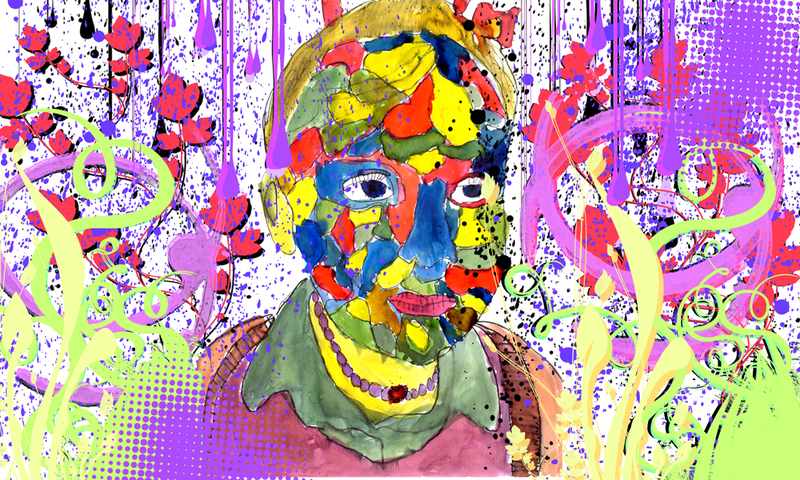 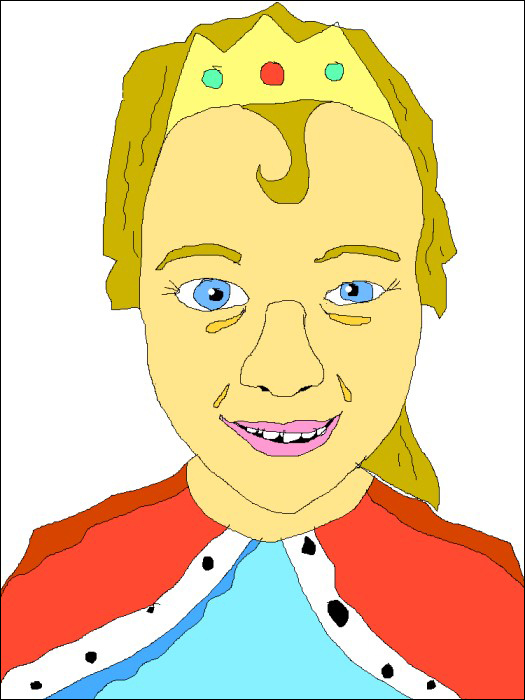 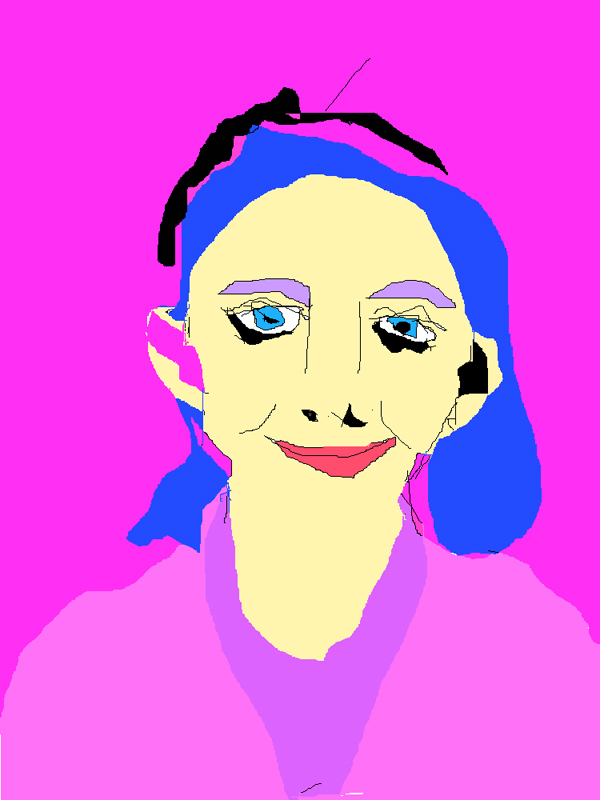 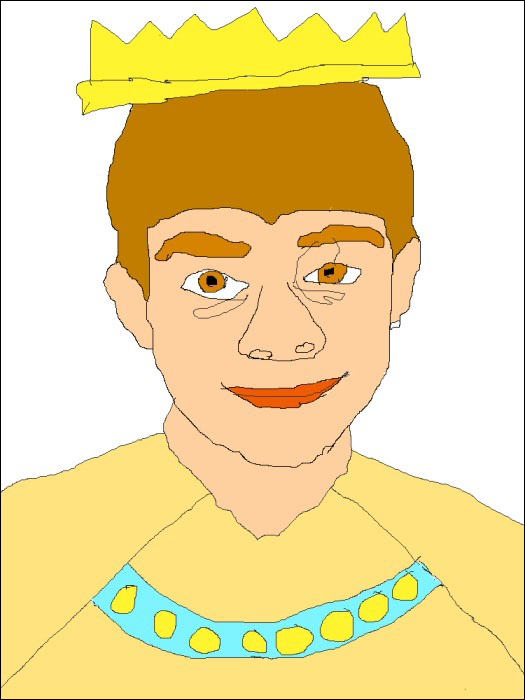 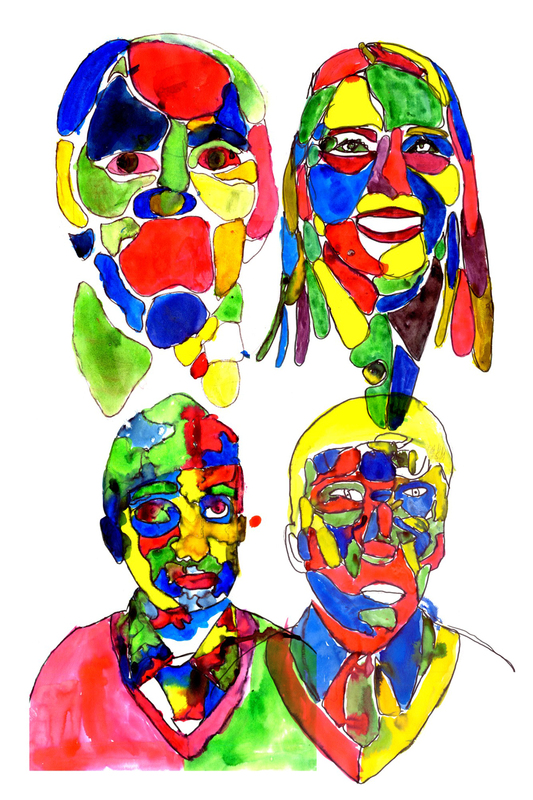 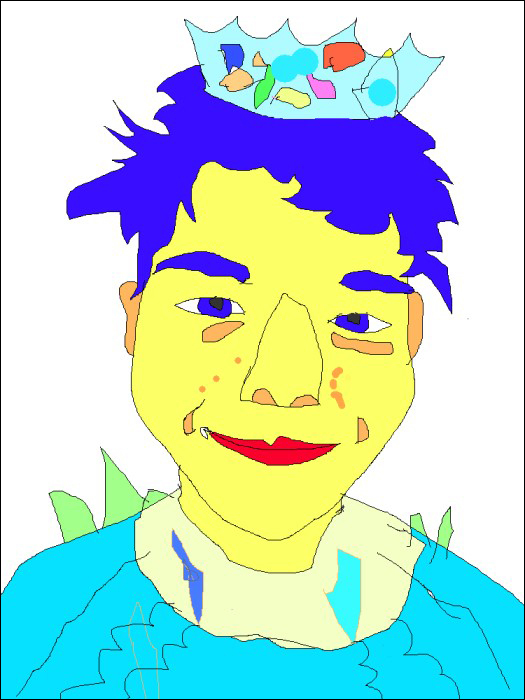 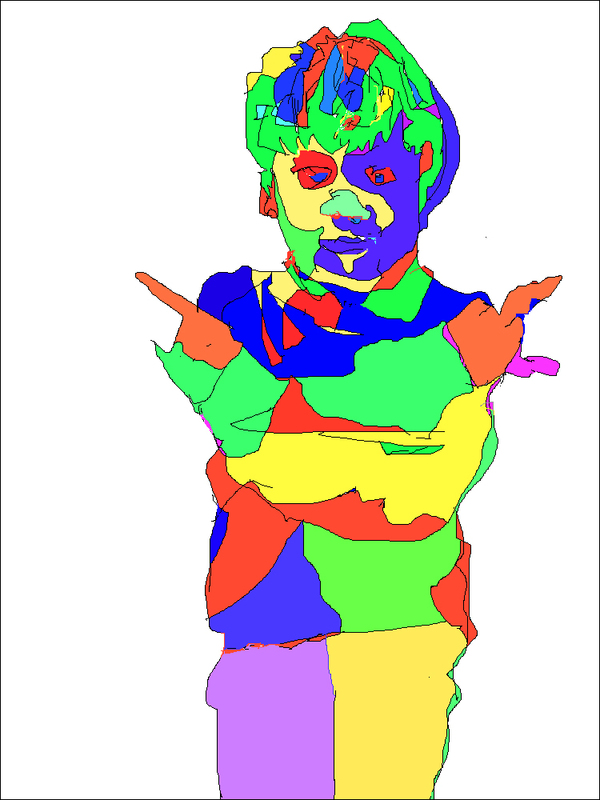 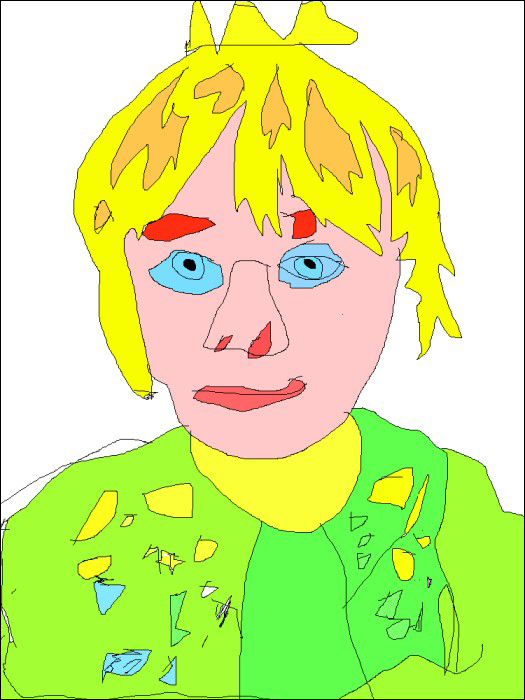 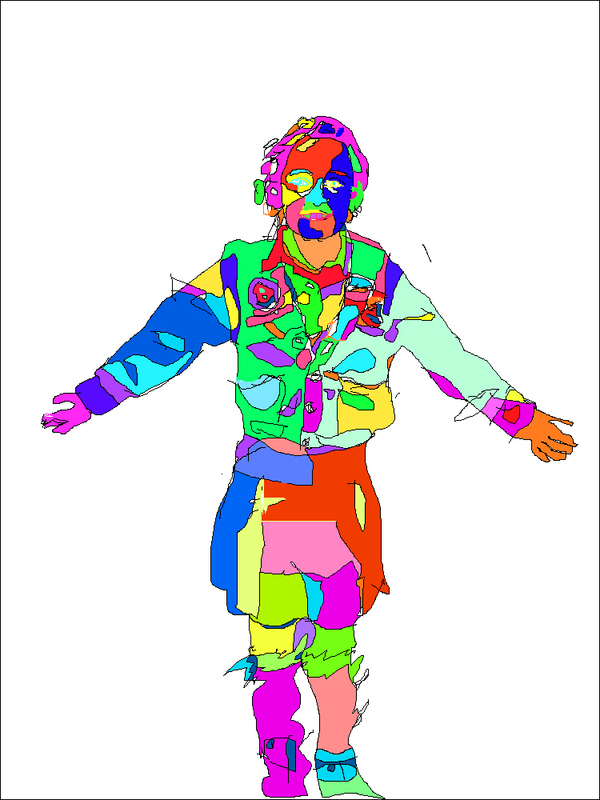 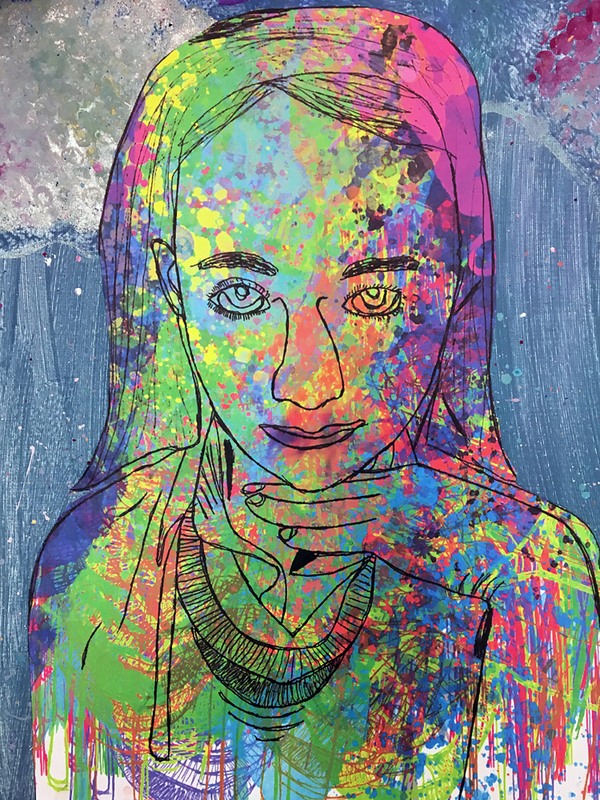 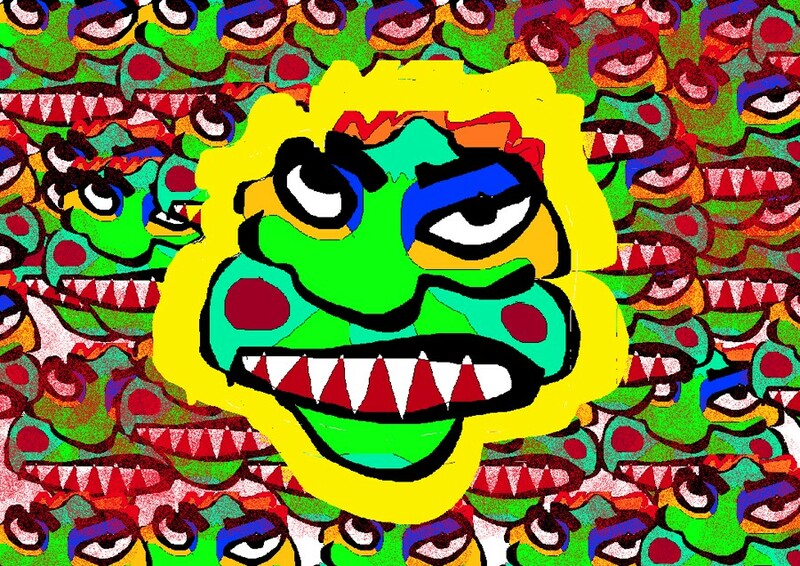 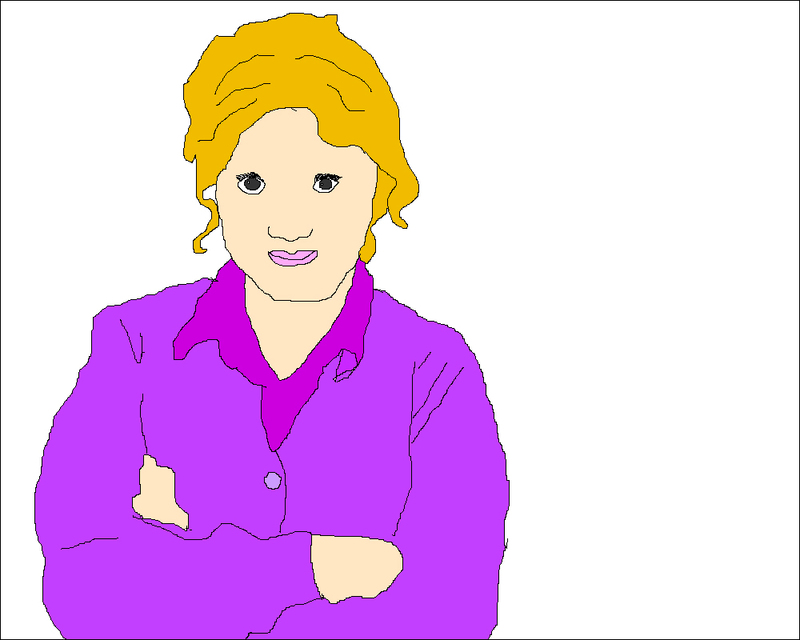 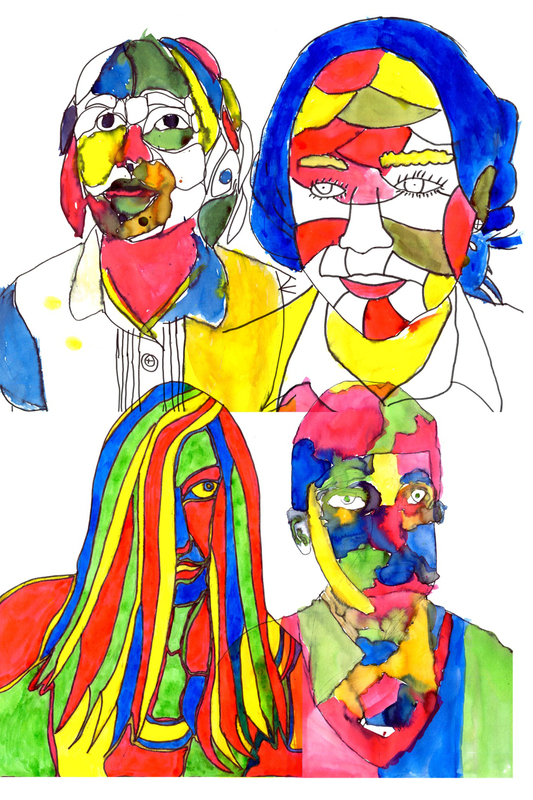 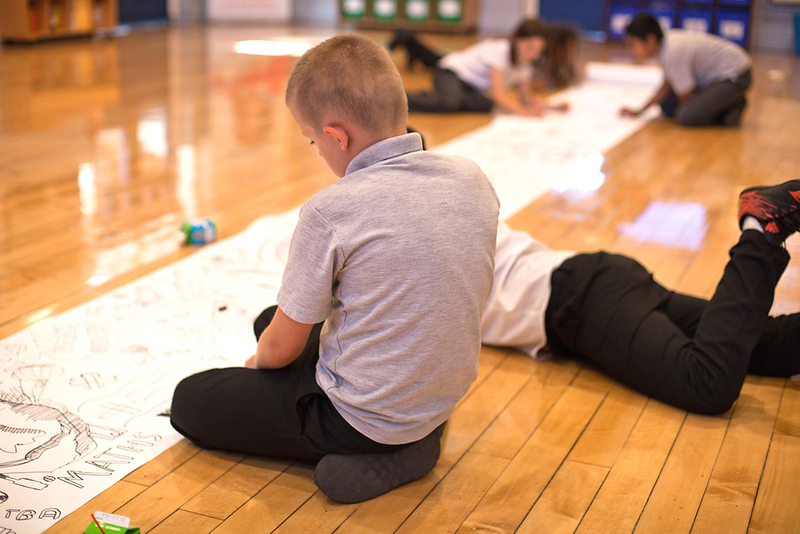 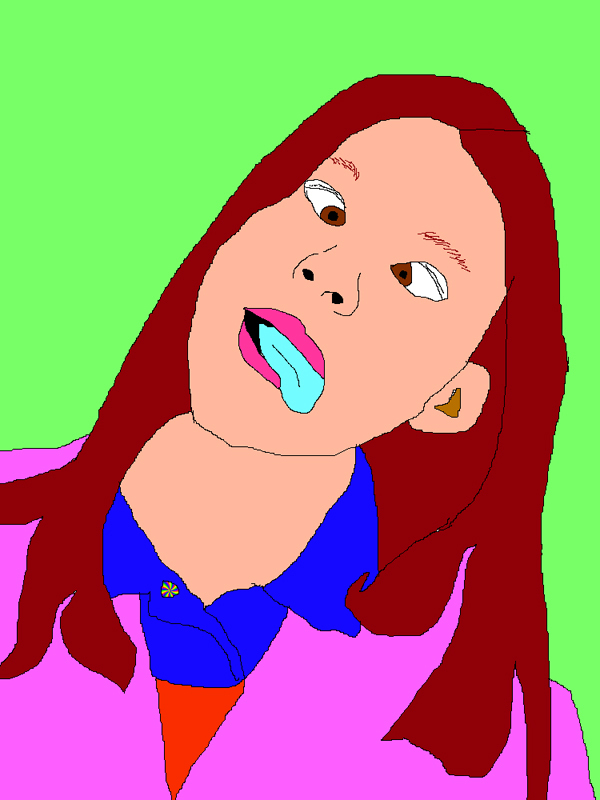 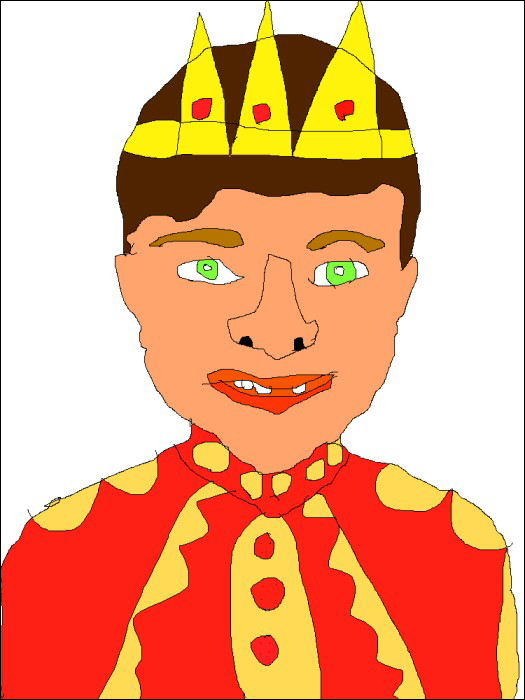 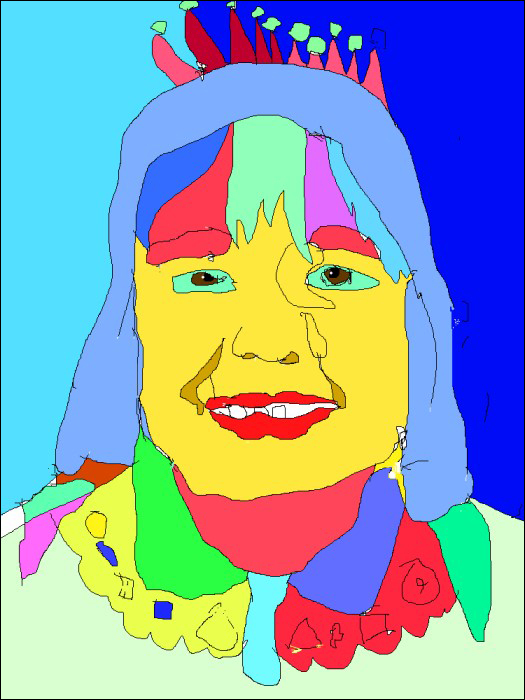 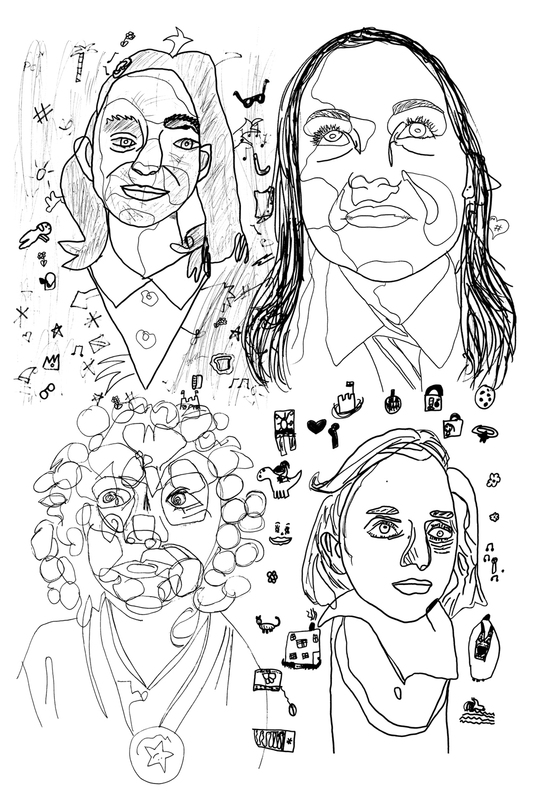 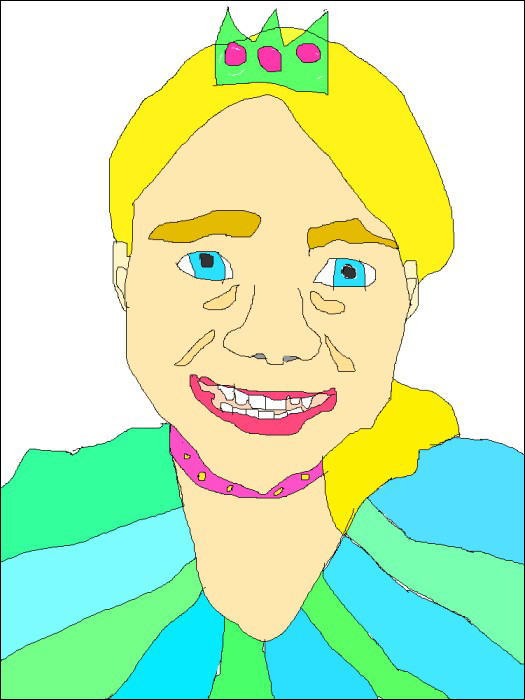 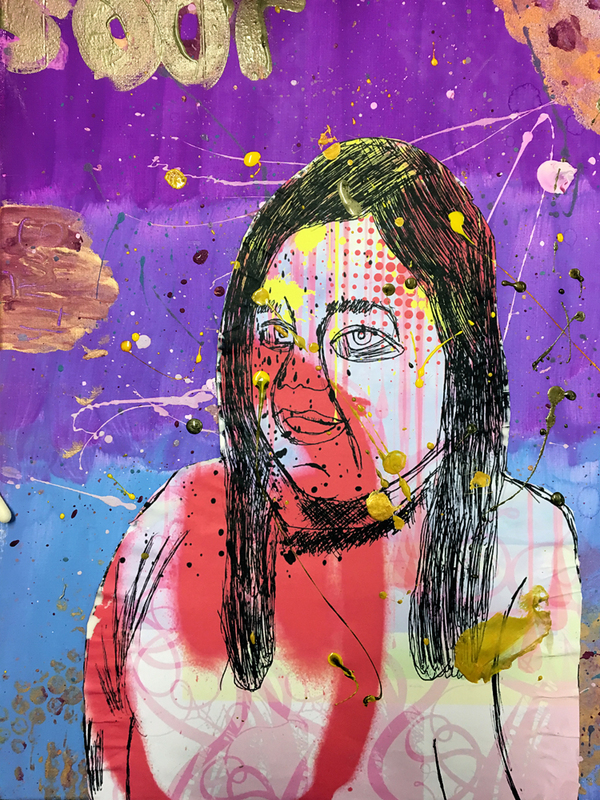 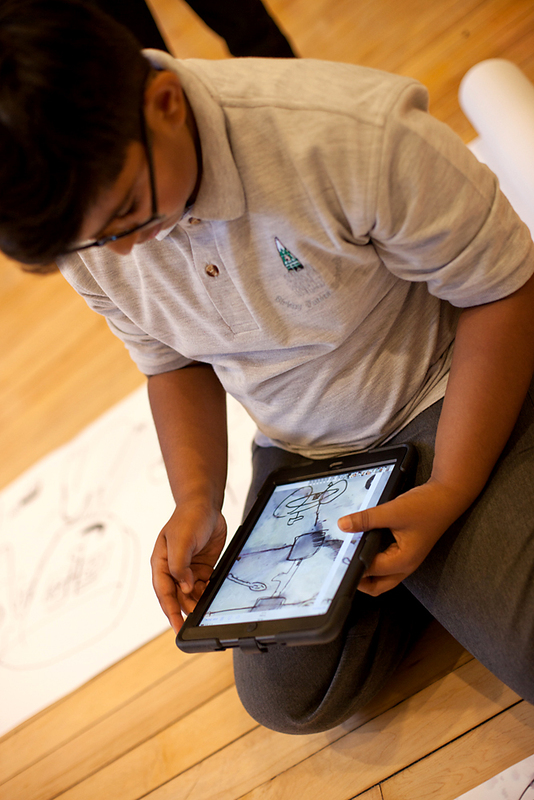 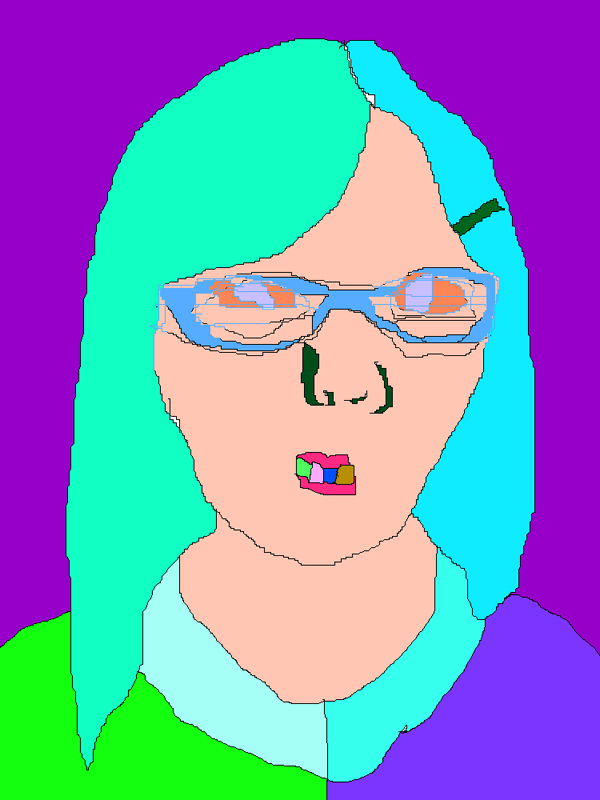 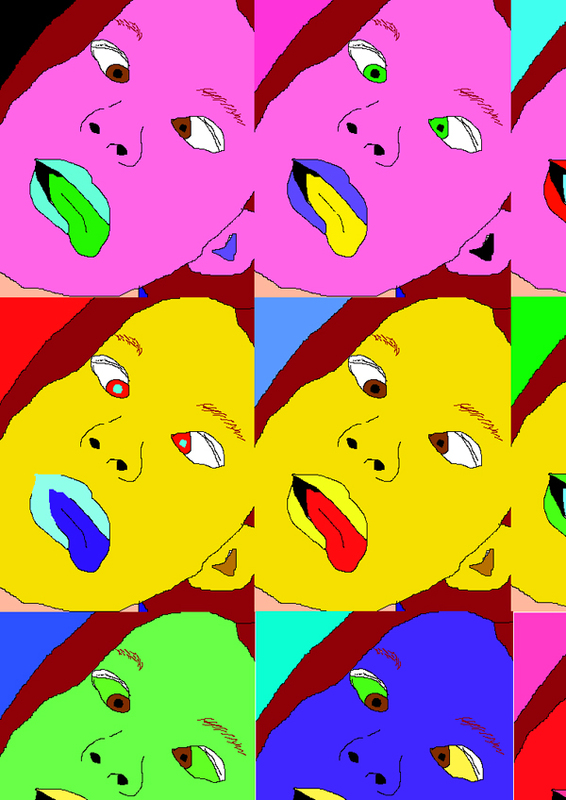 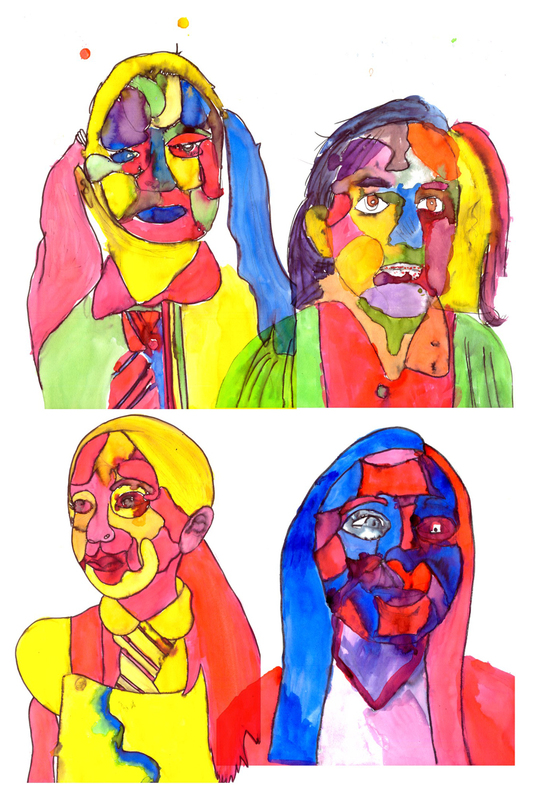 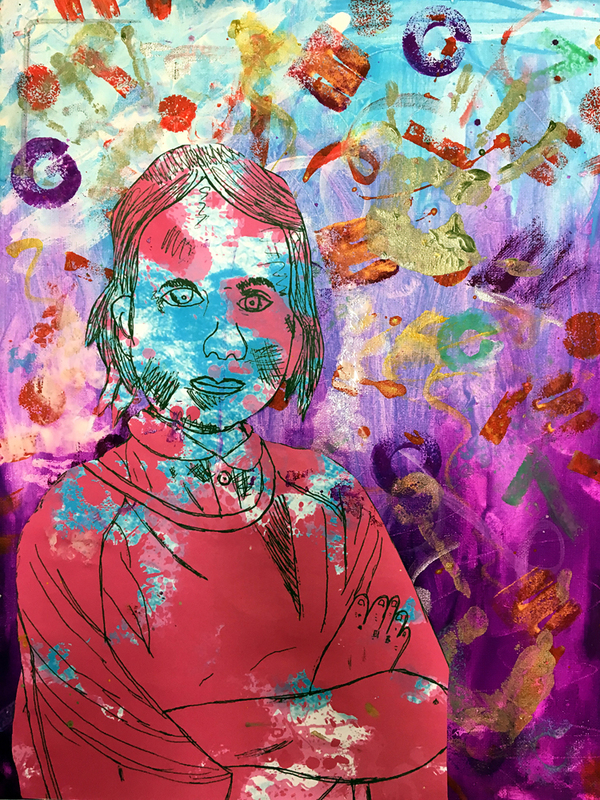 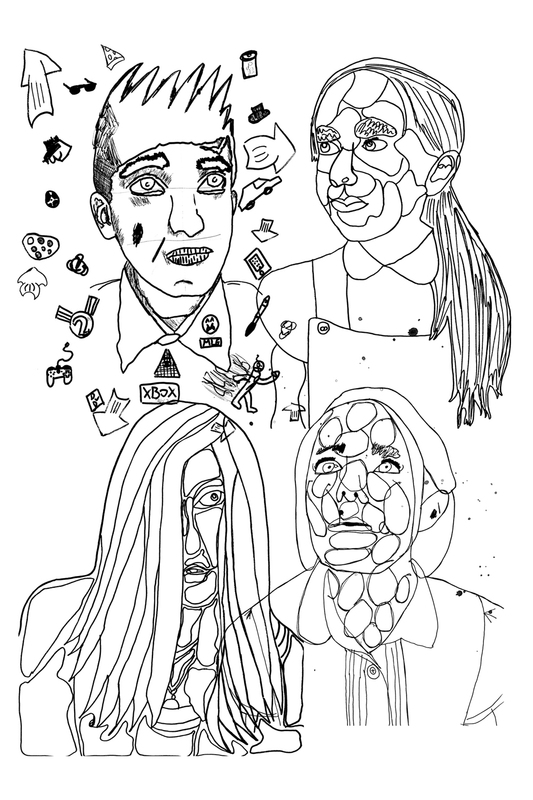 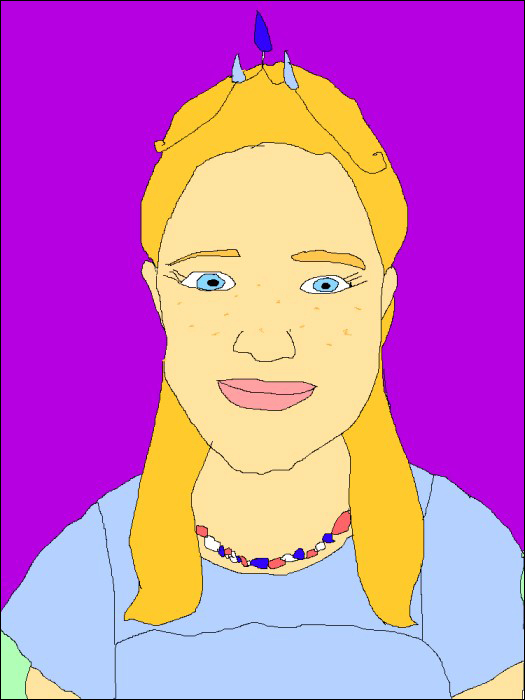 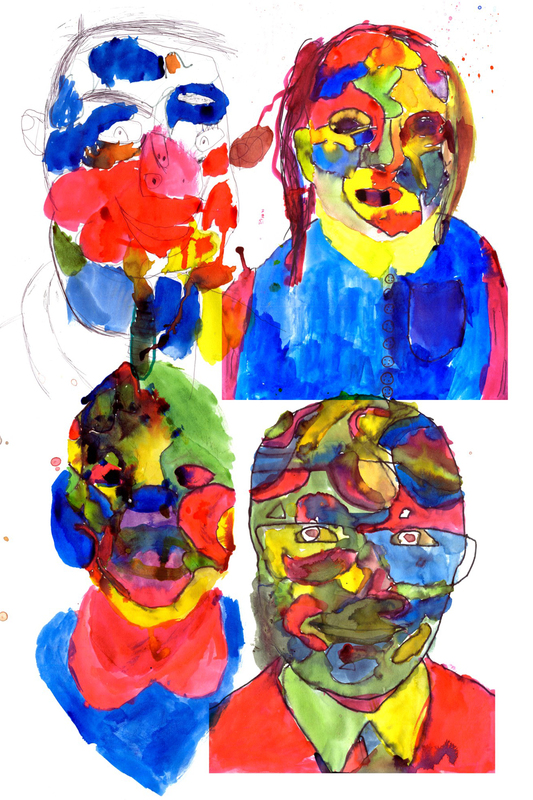 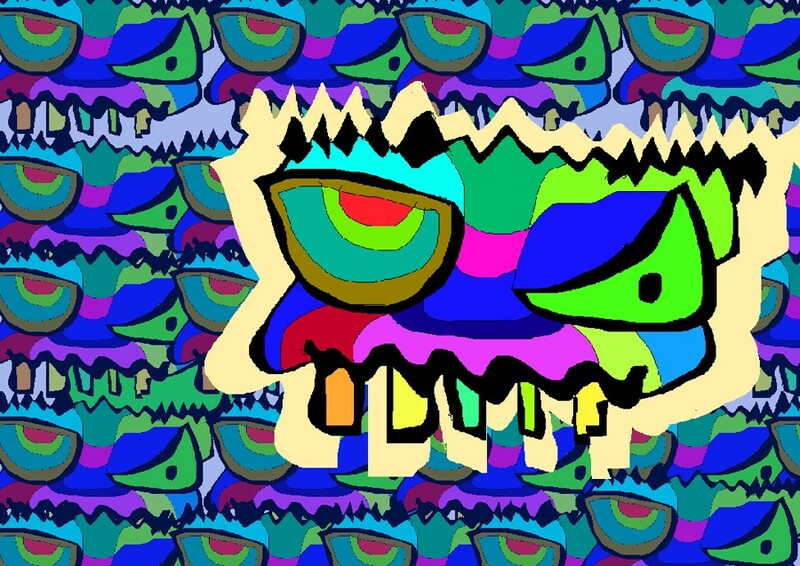 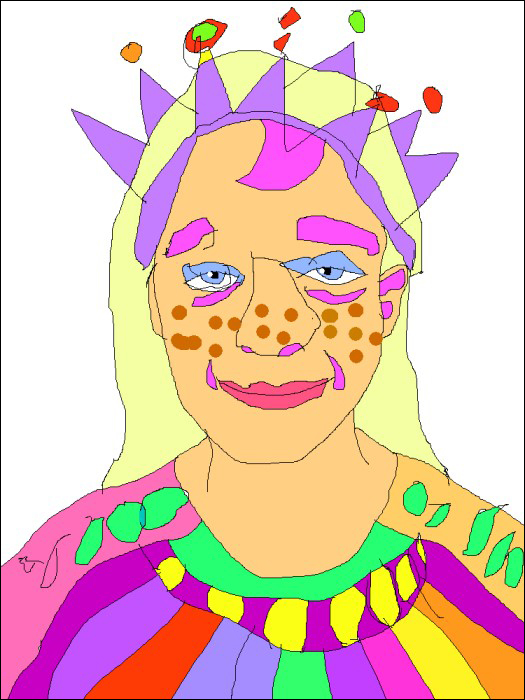 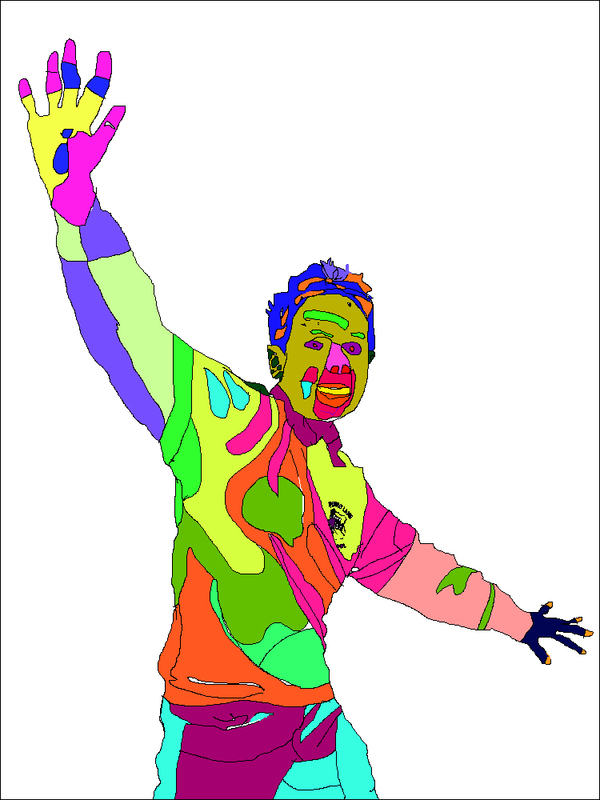 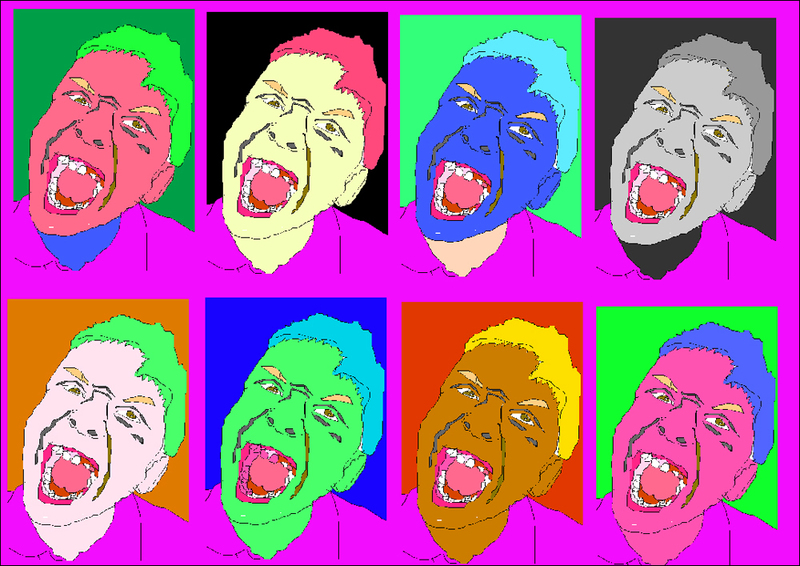 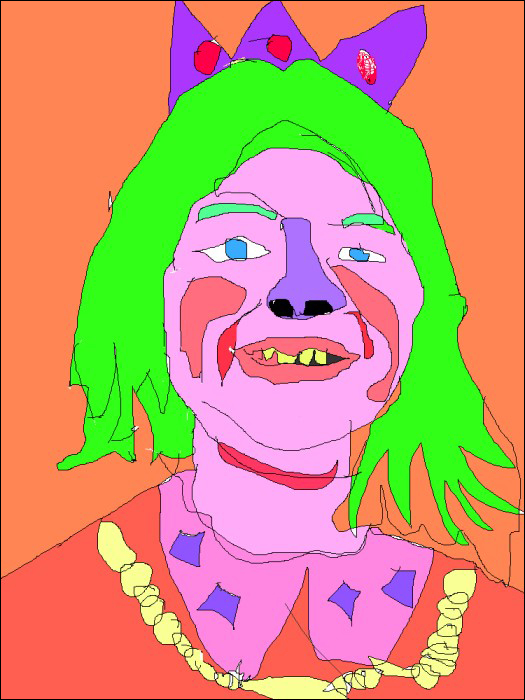 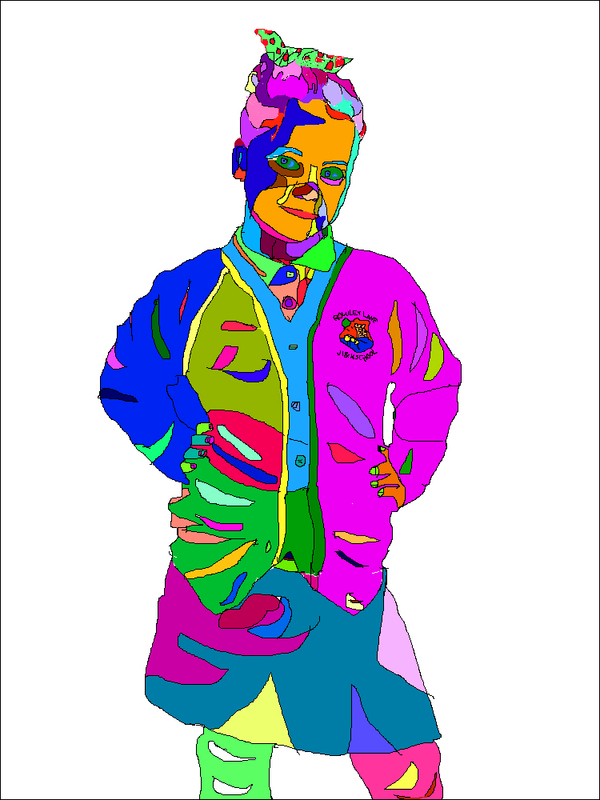 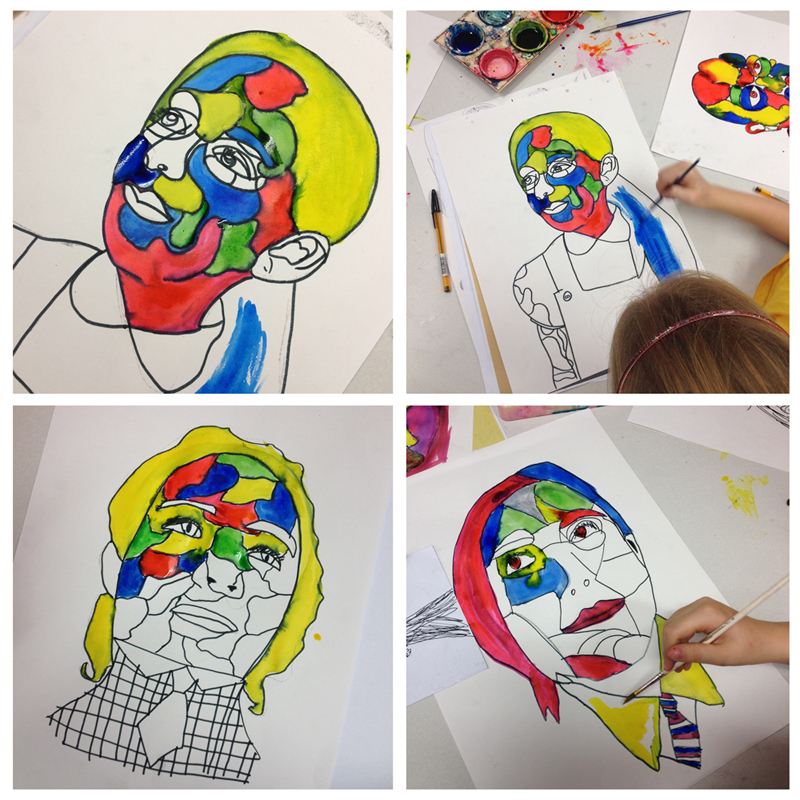 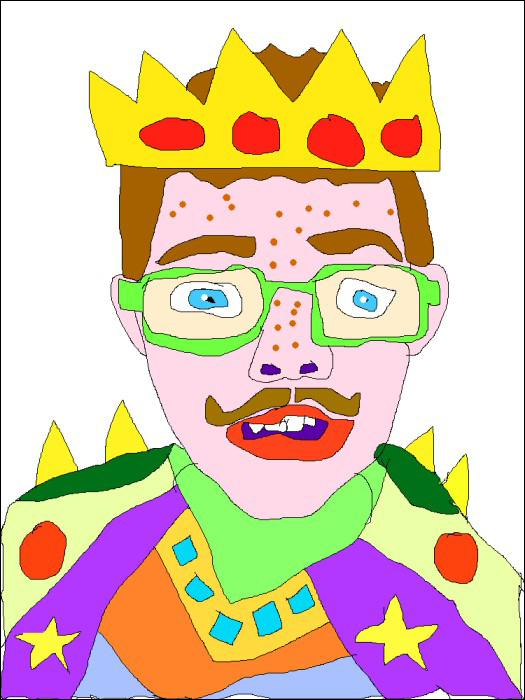 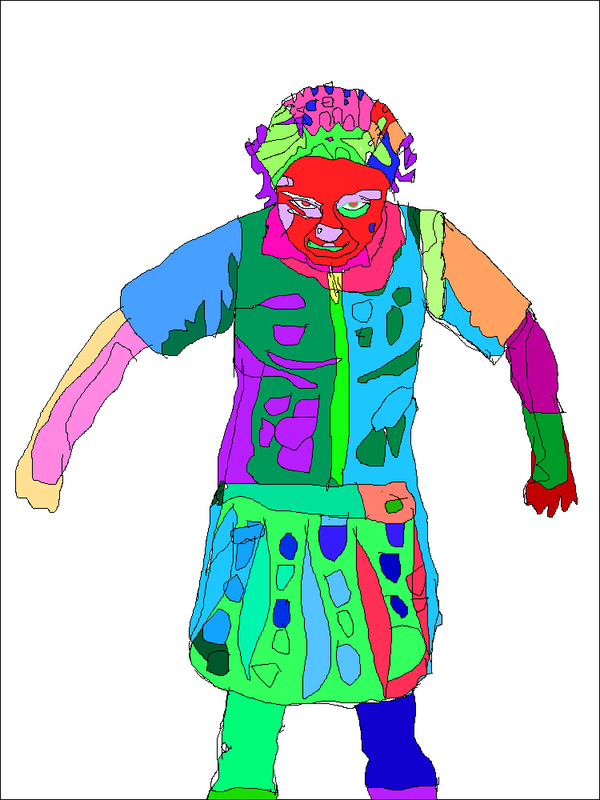 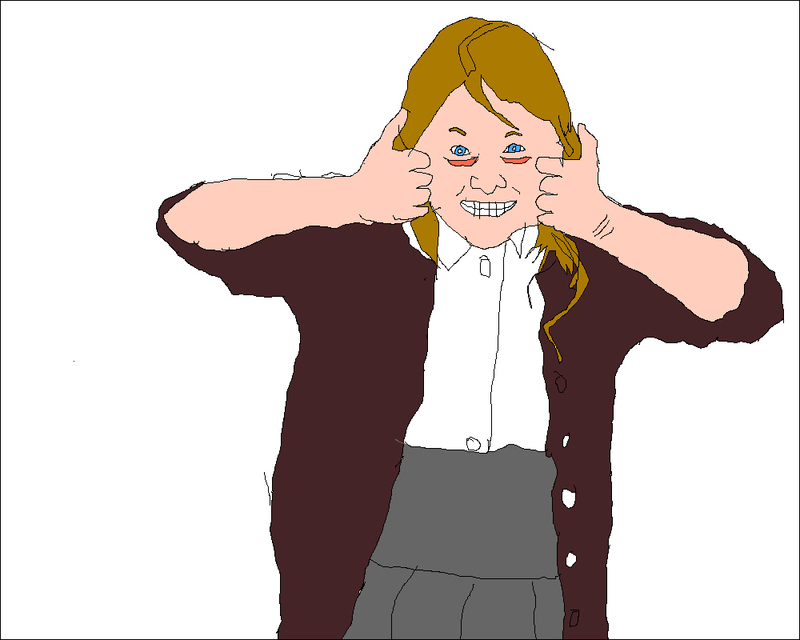 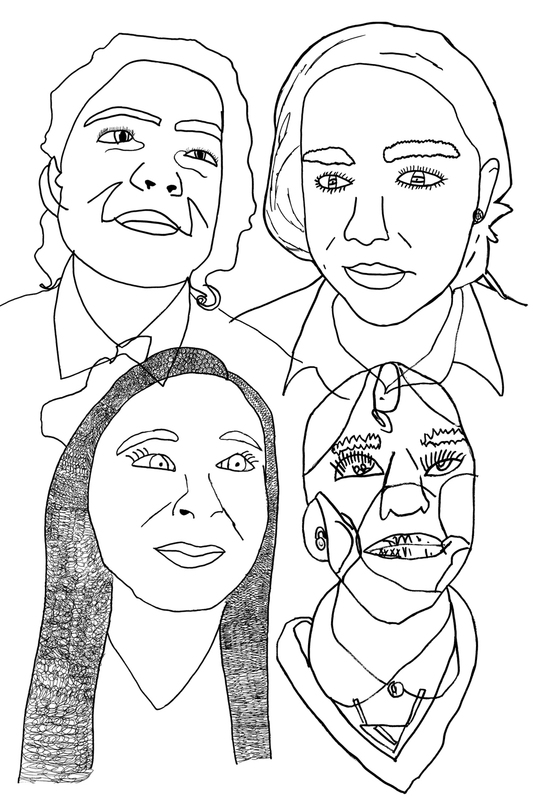 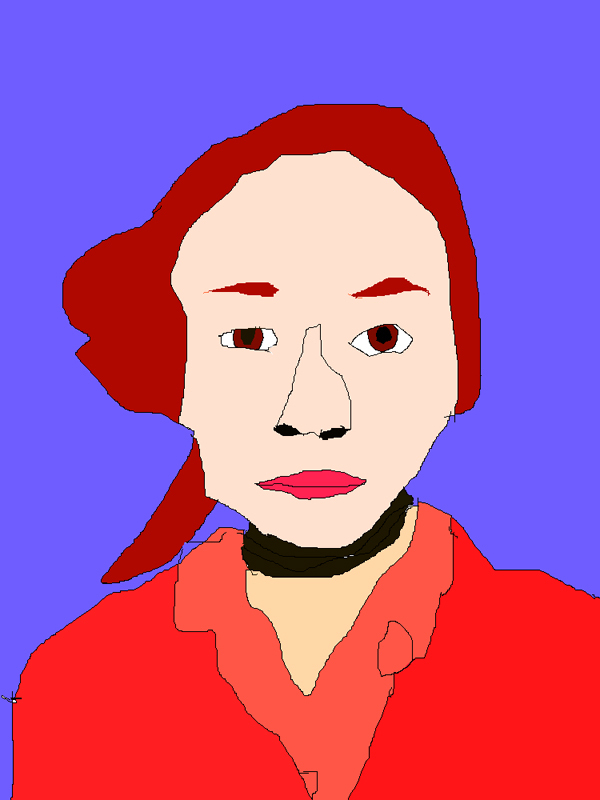 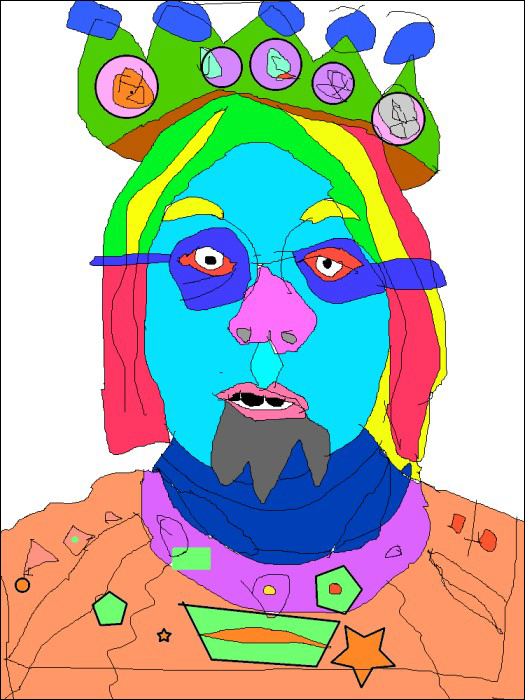 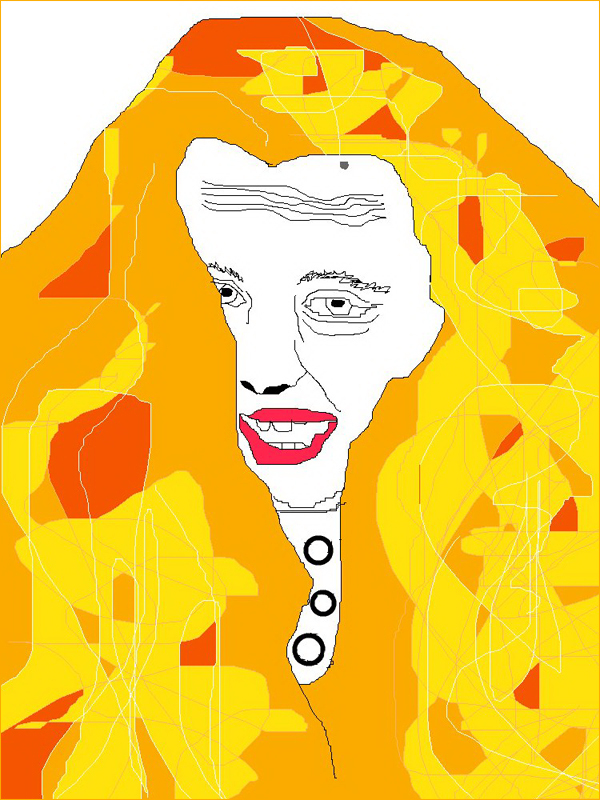 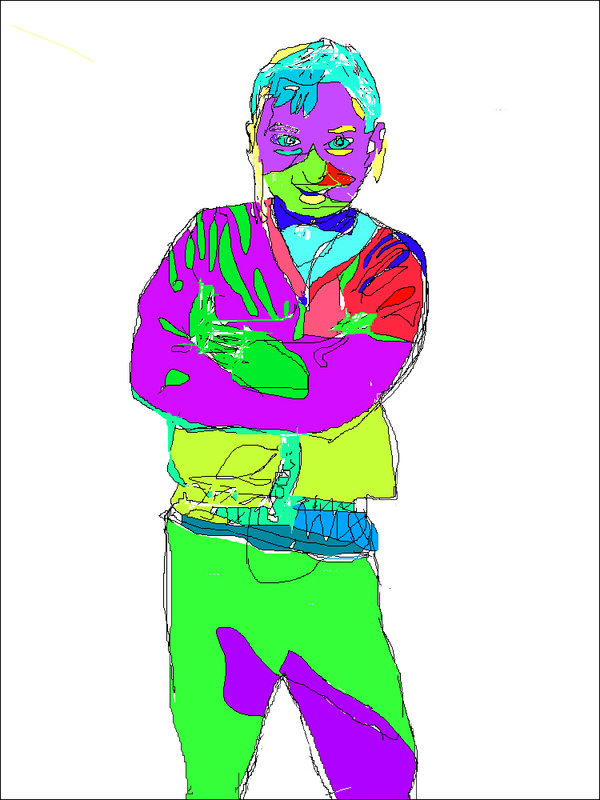 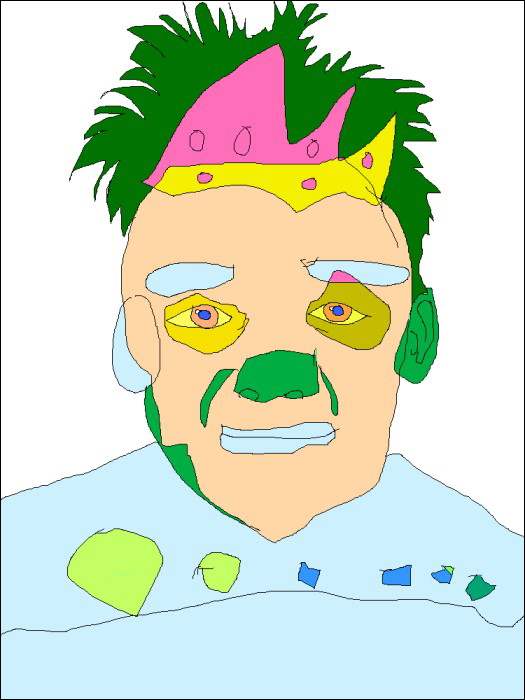 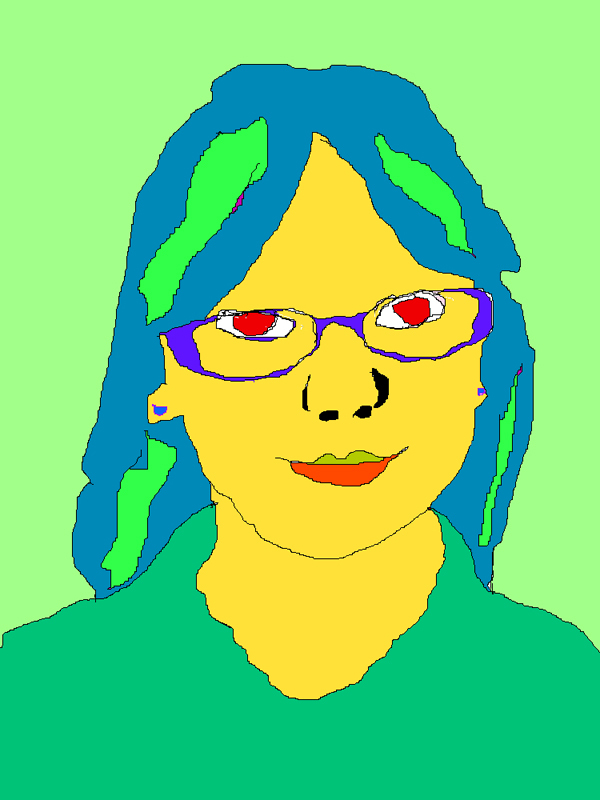 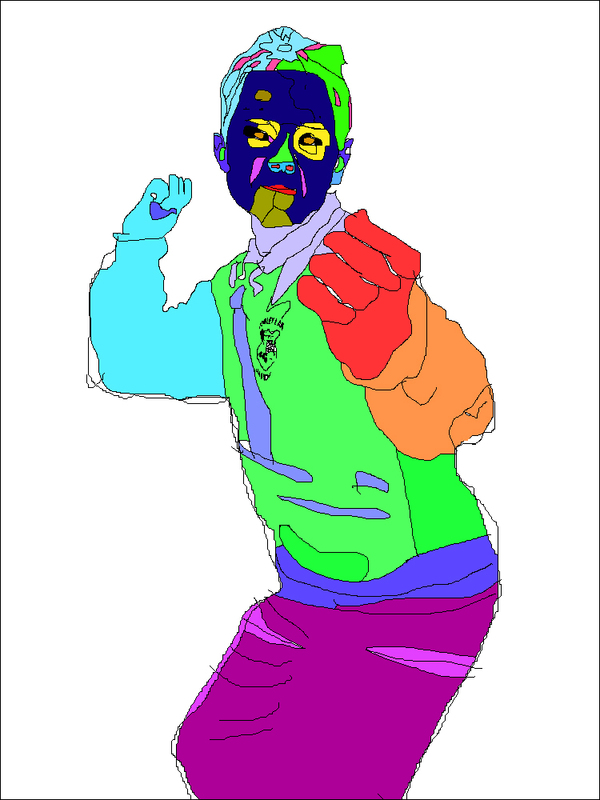 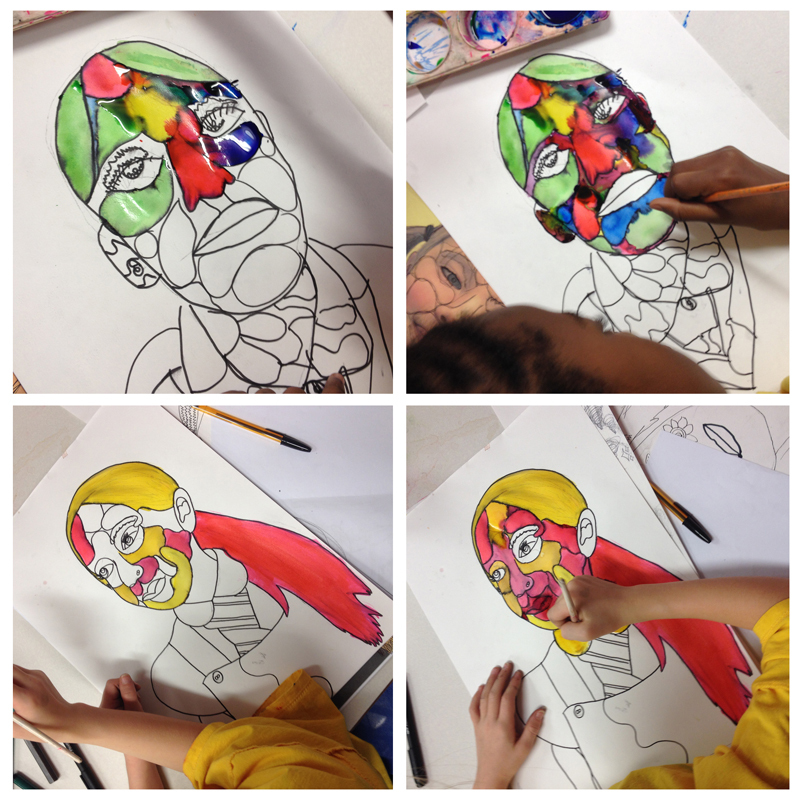 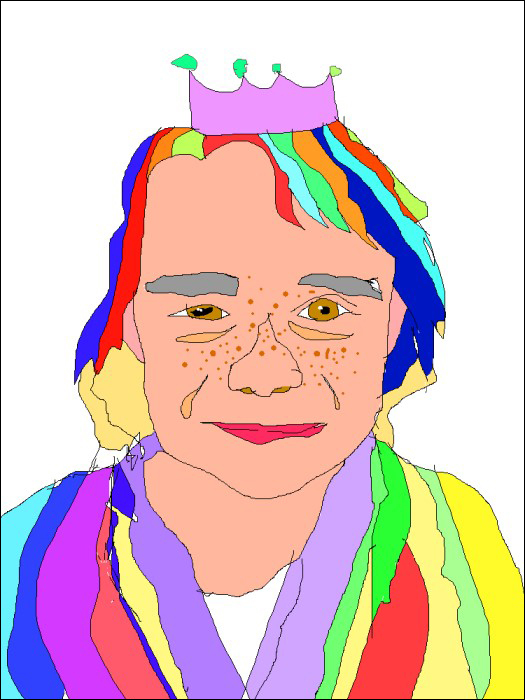 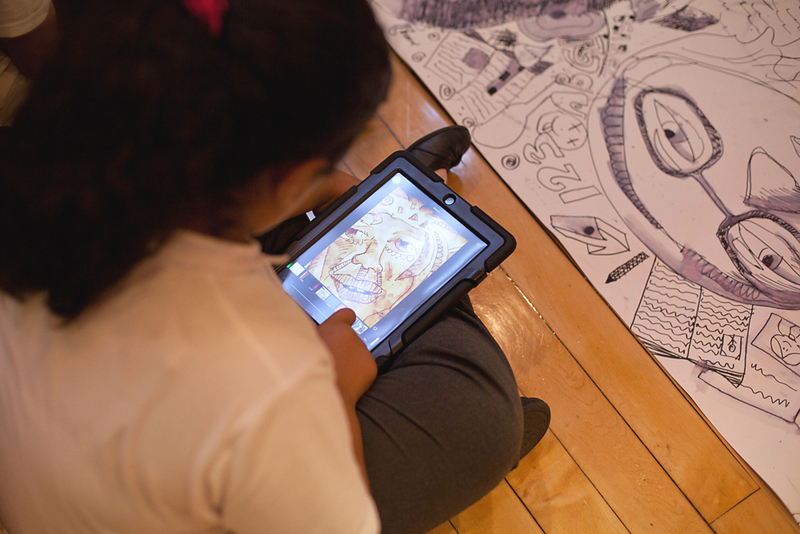 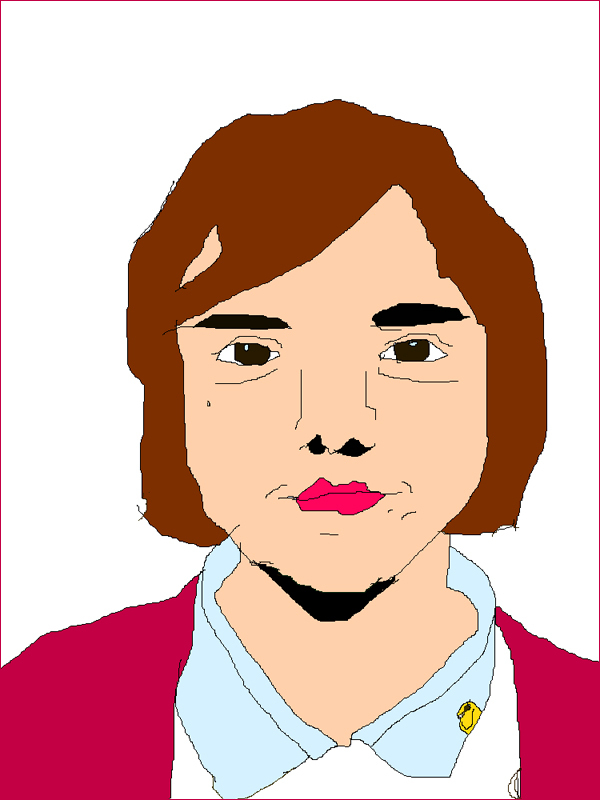 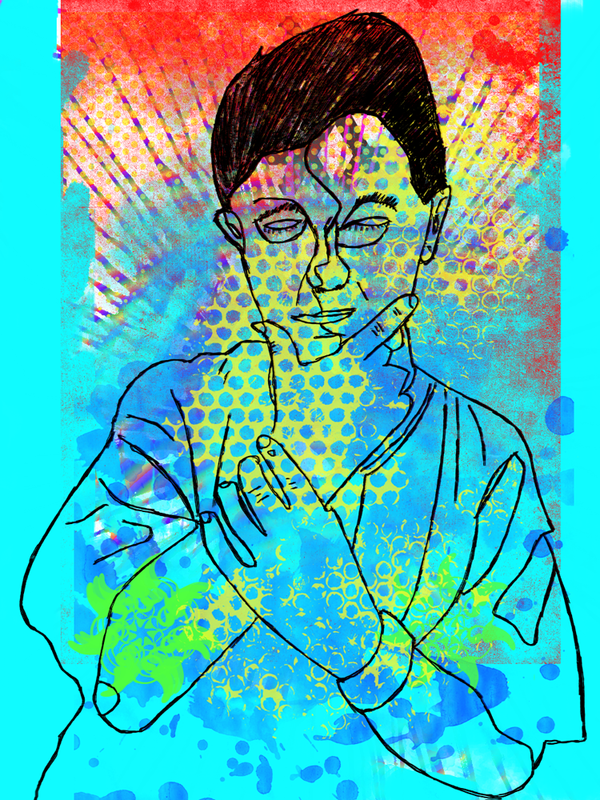 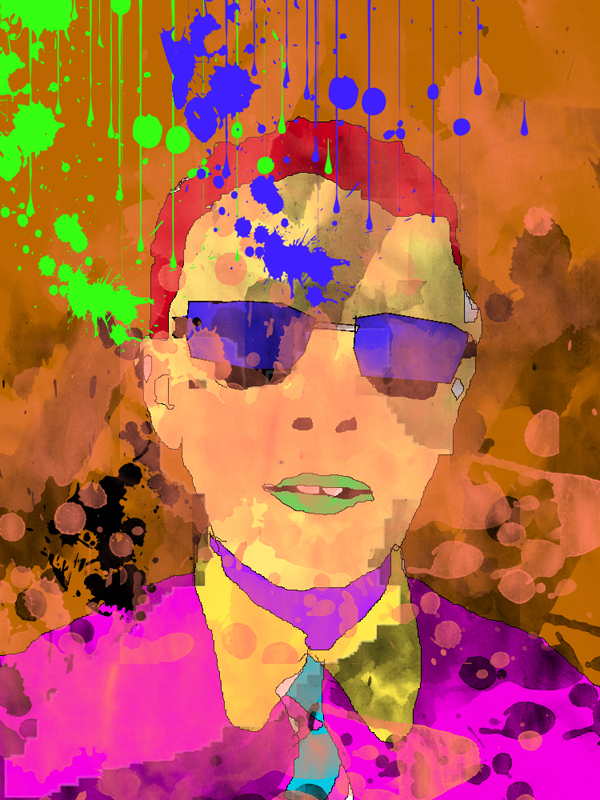 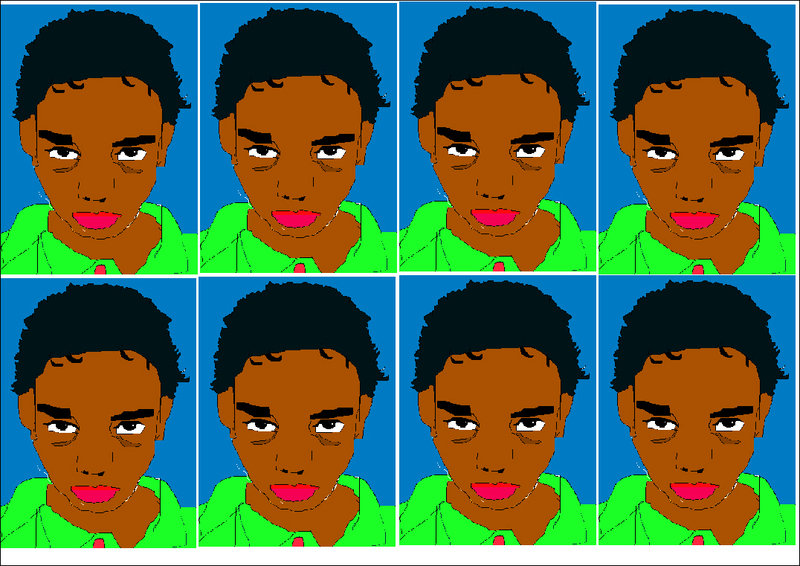 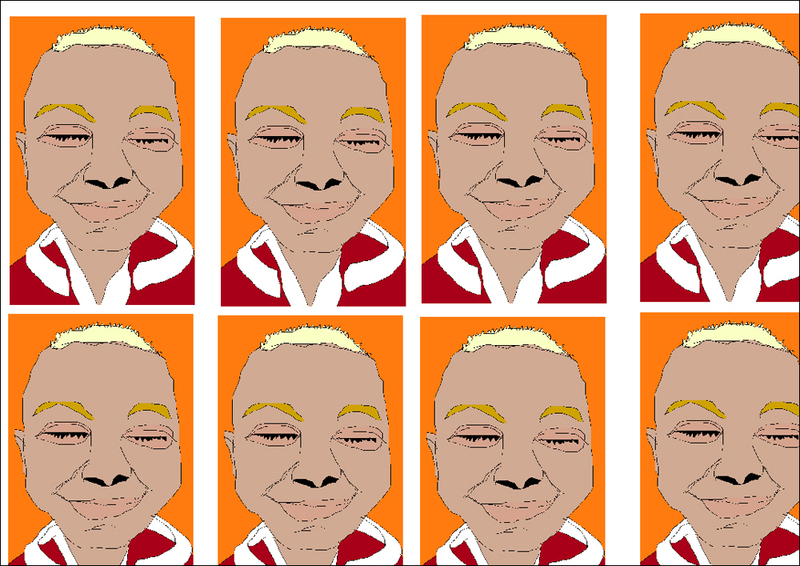 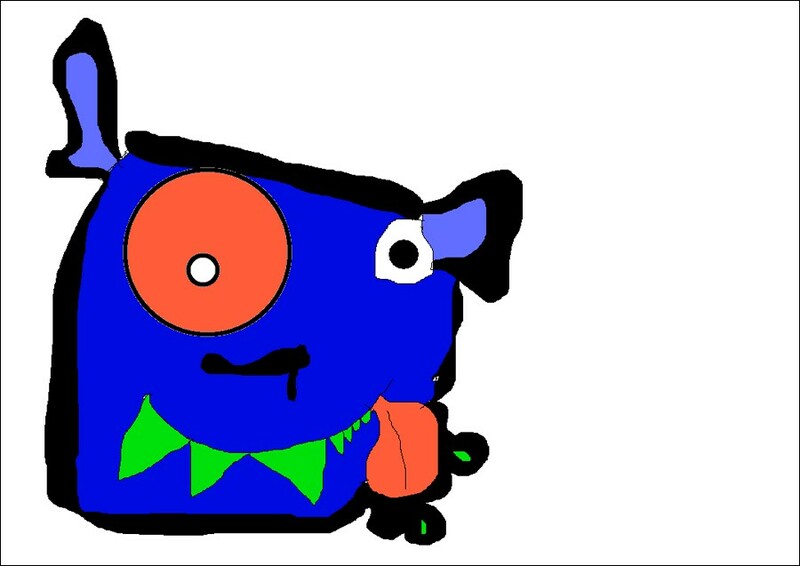 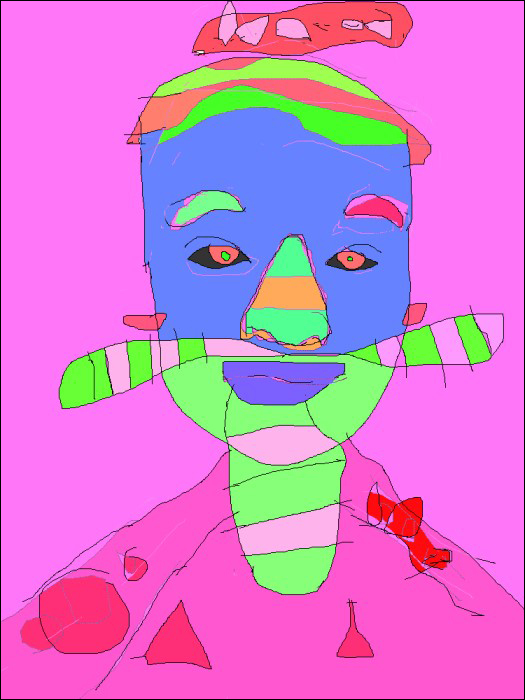 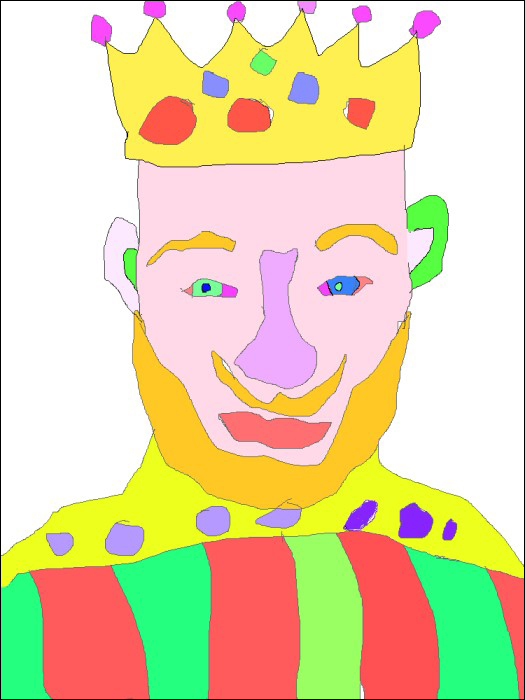 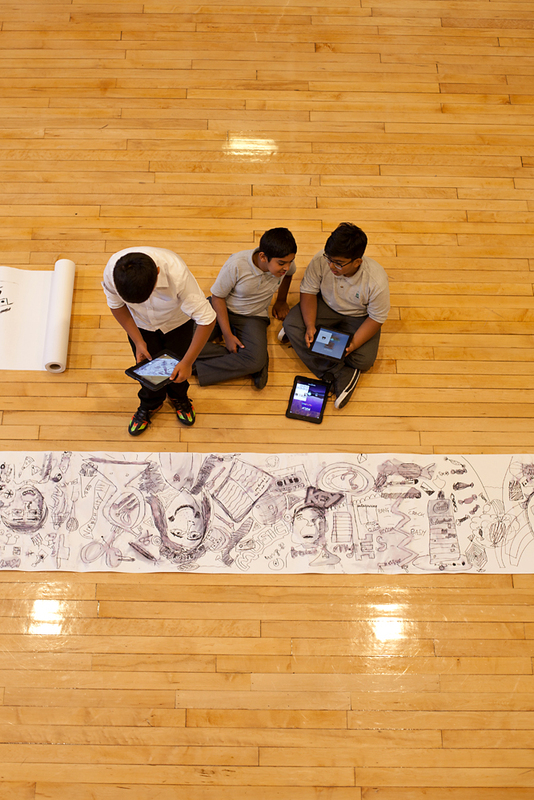 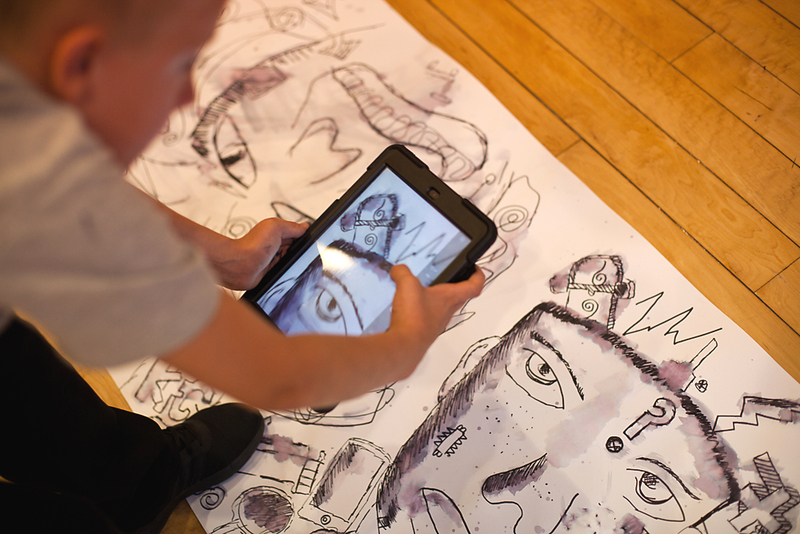 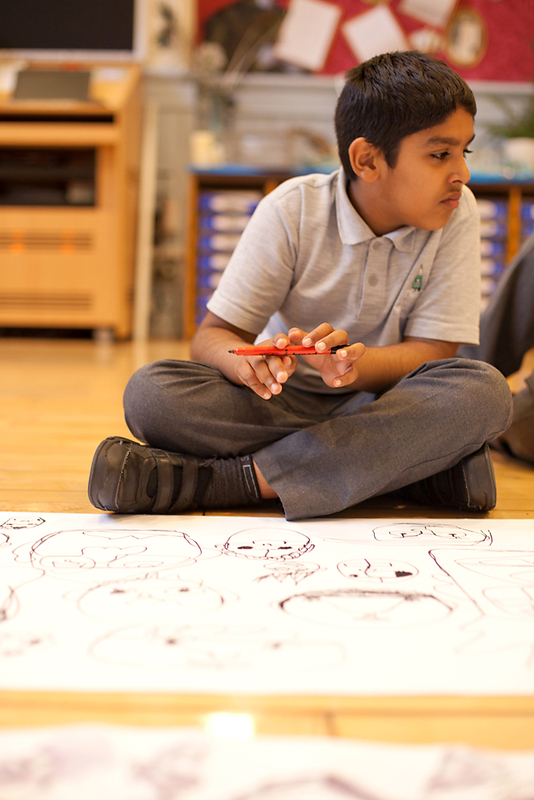 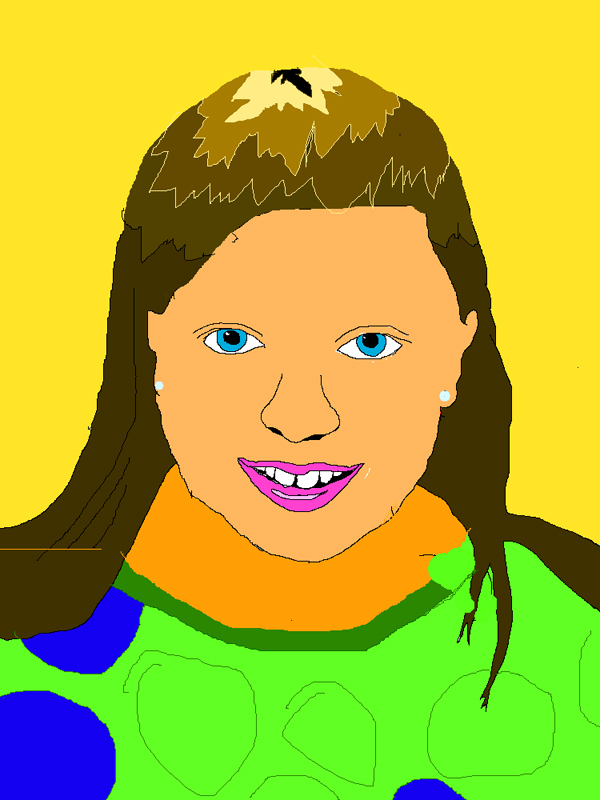 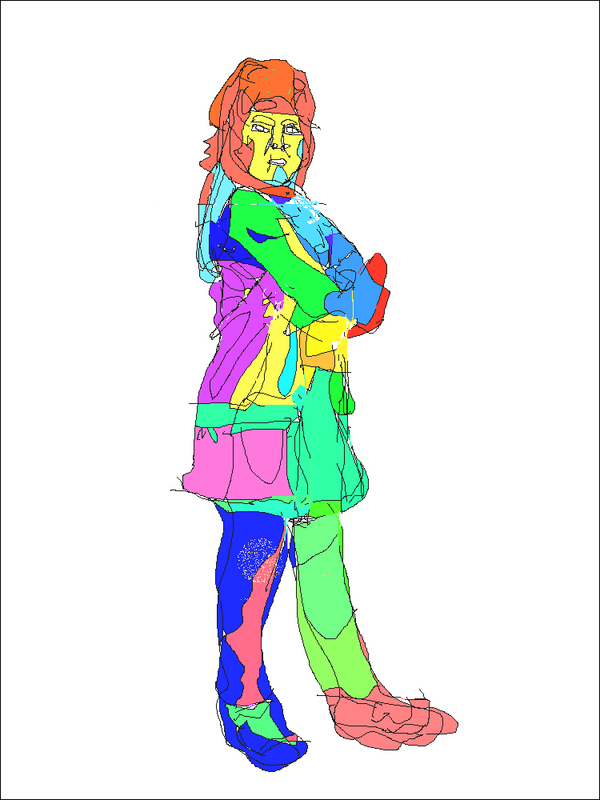 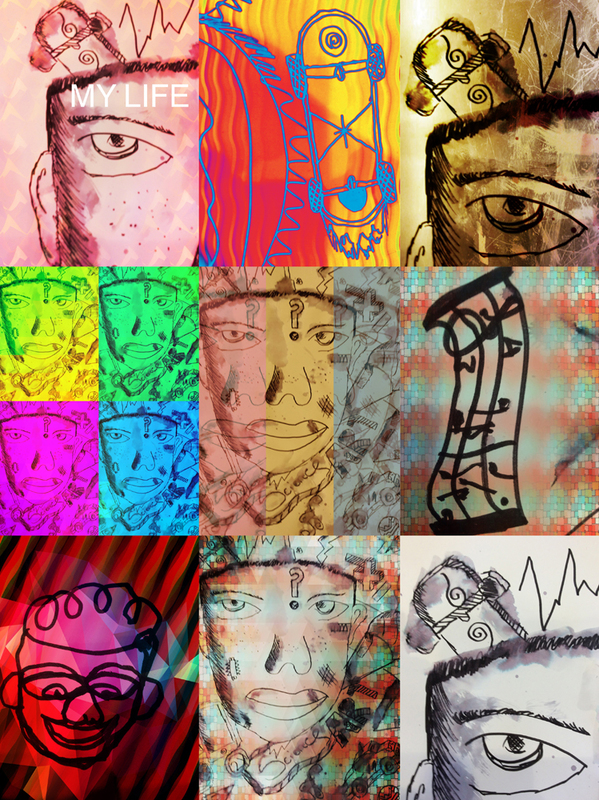 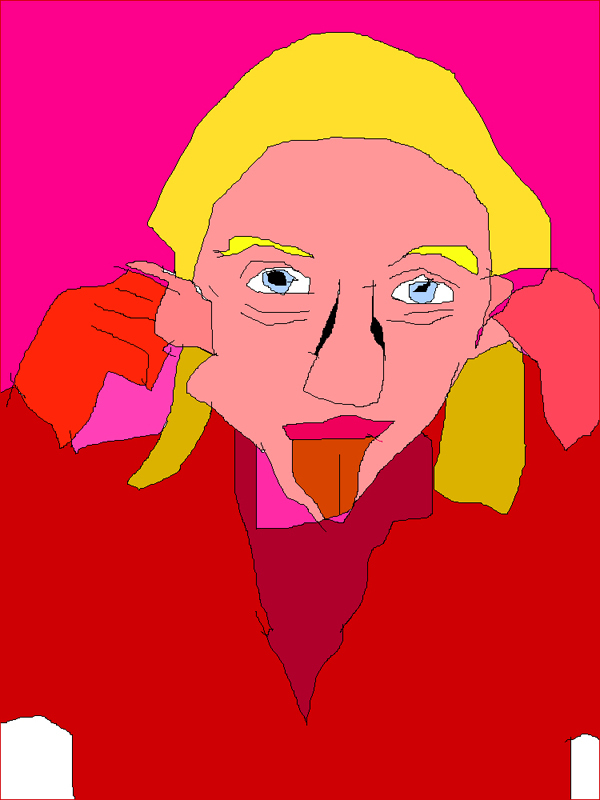 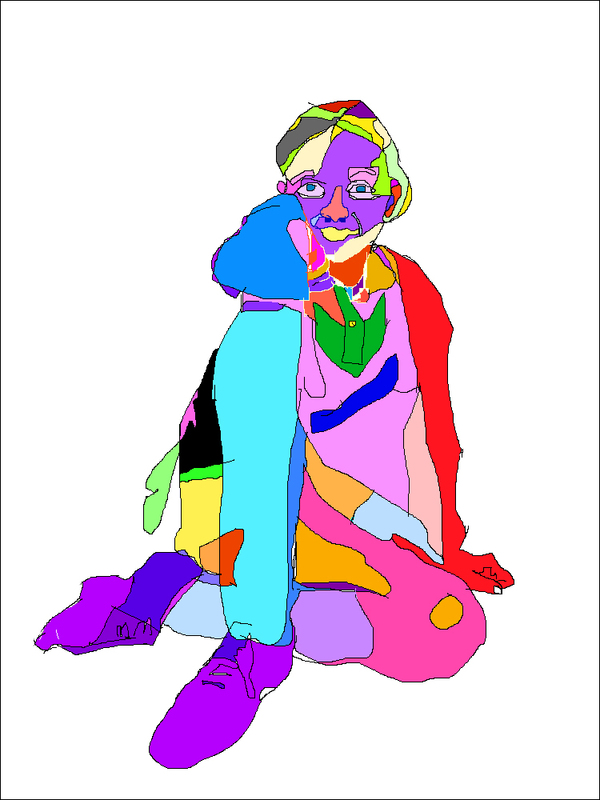 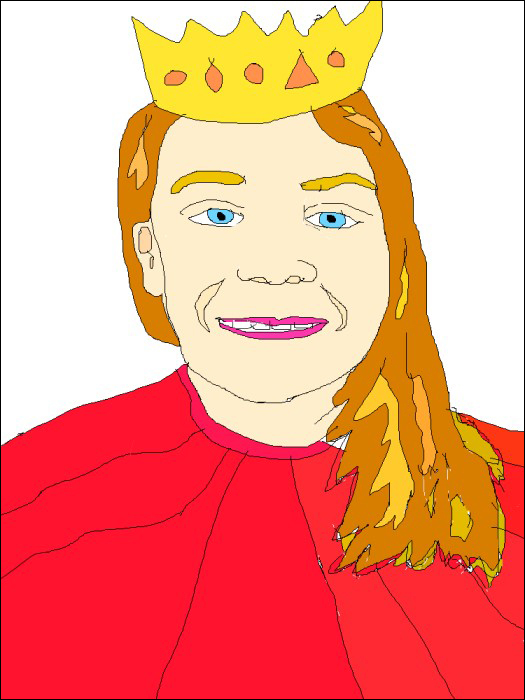 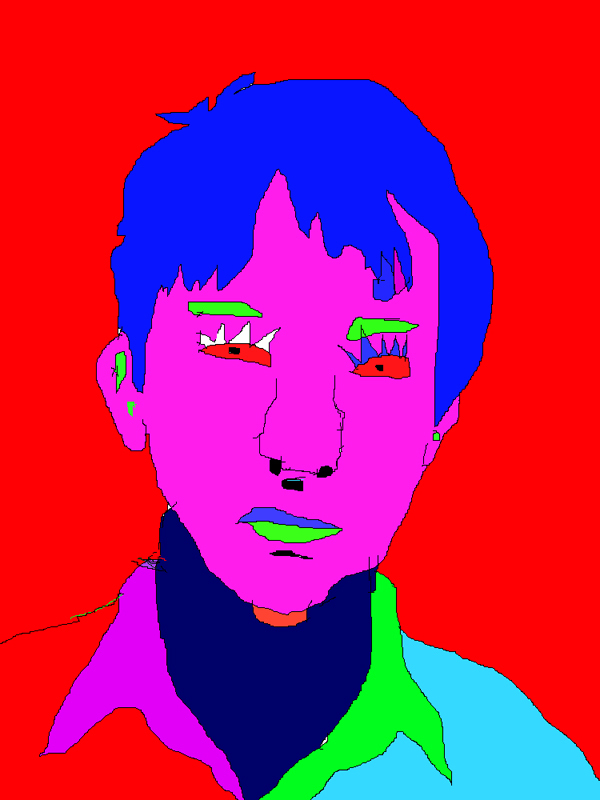 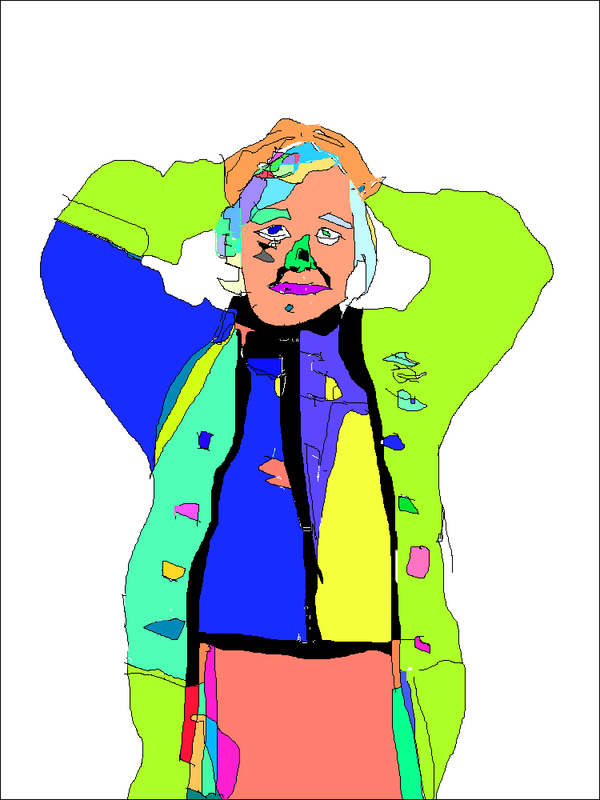 A group of Gomersal Primary School pupils from years 3, 4 and 5 have just completed a workshop creating digital self portrait illustrations with some very striking results. 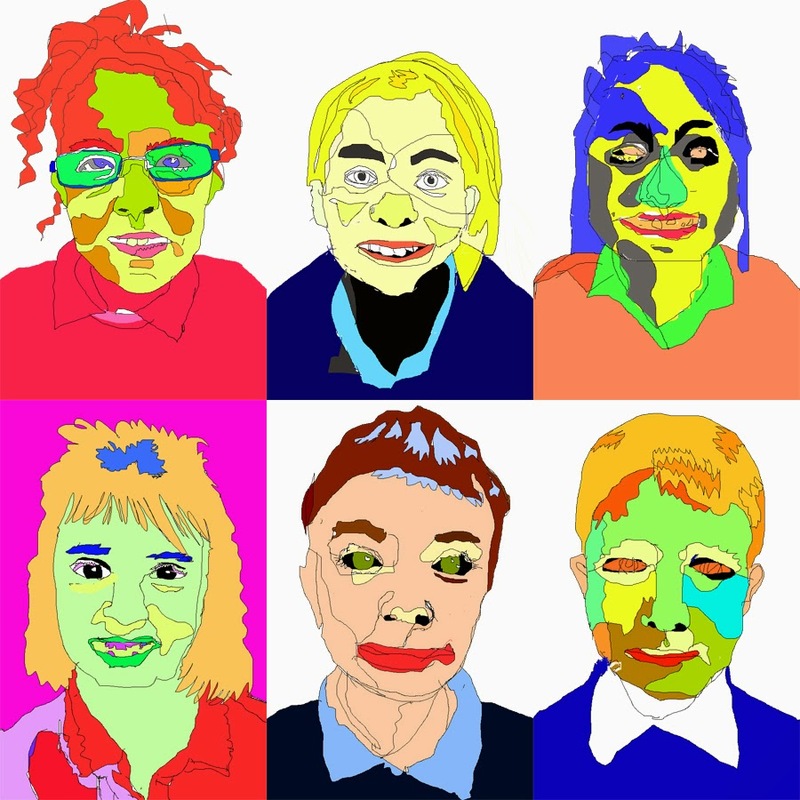 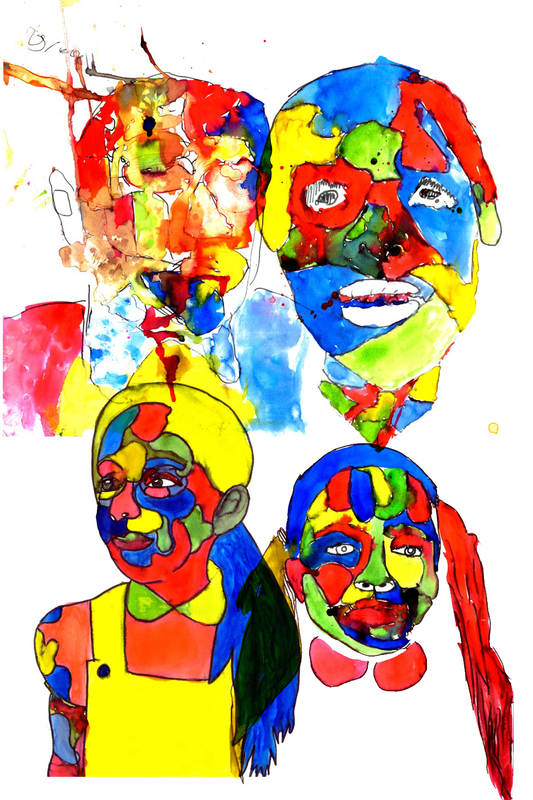 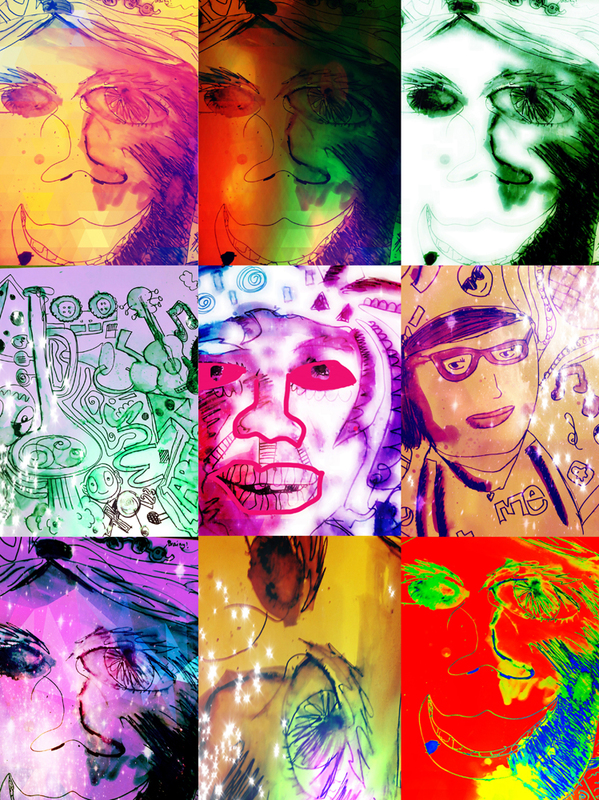 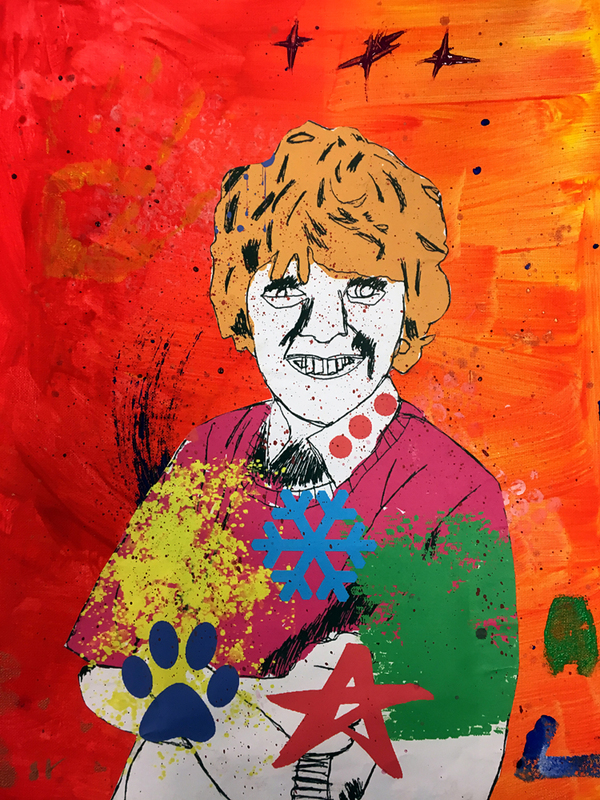 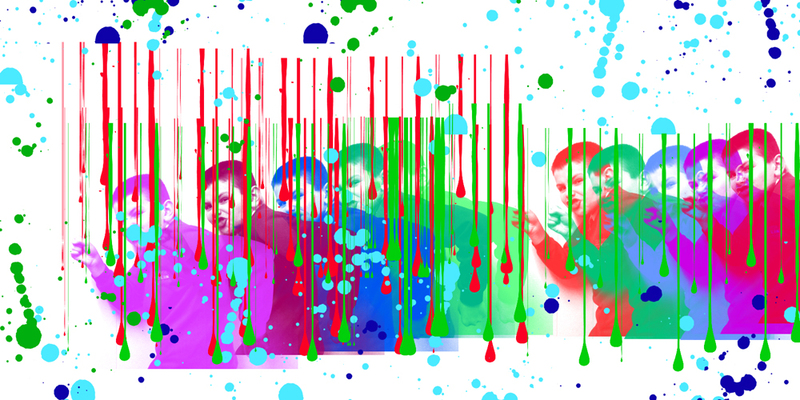 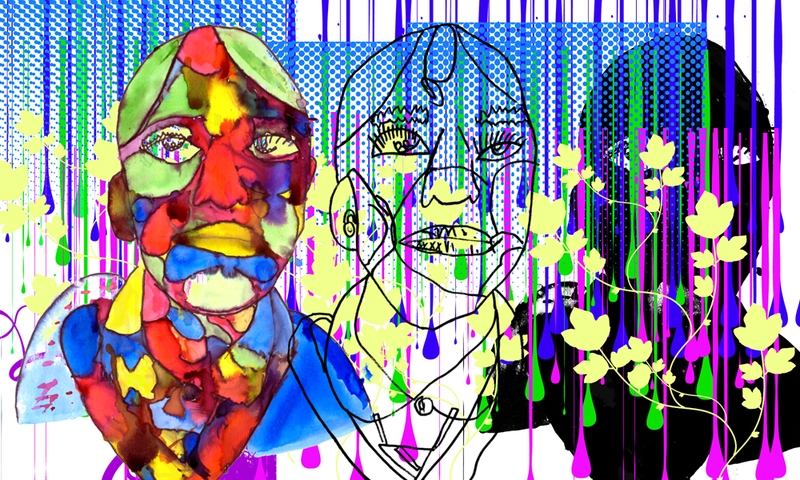 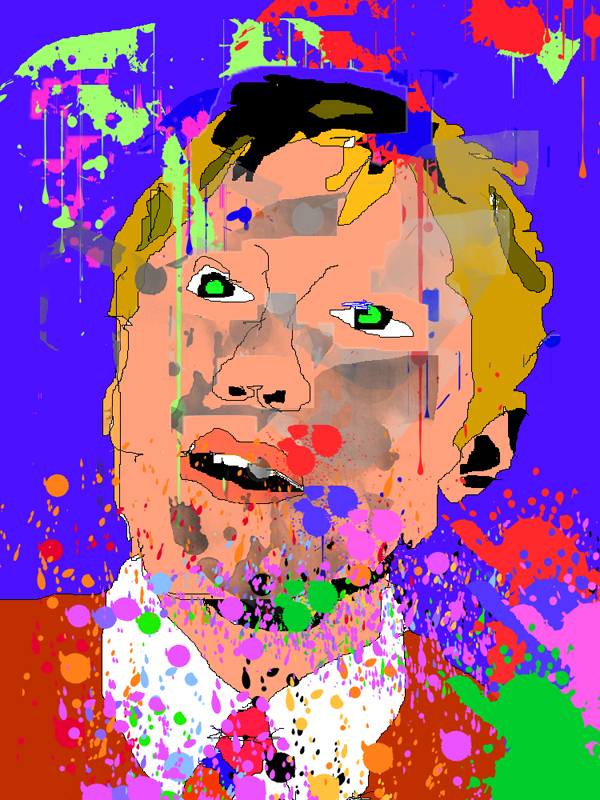 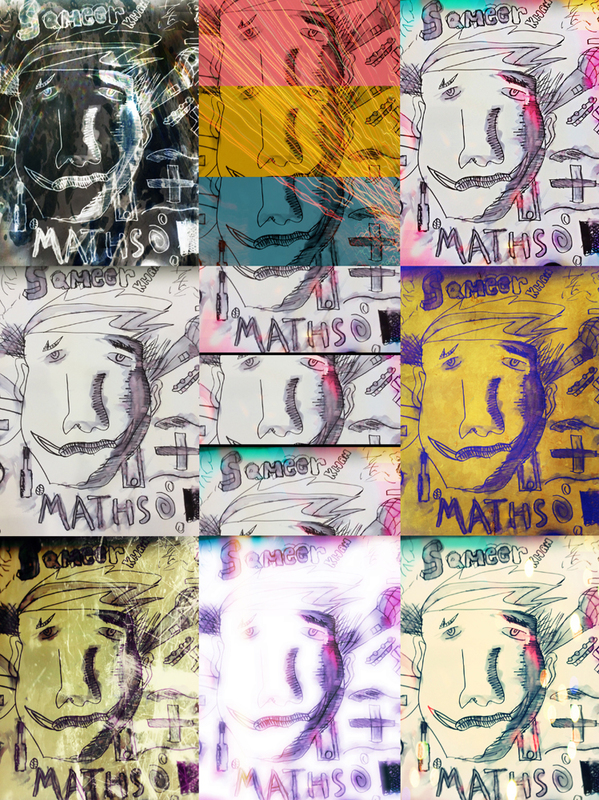 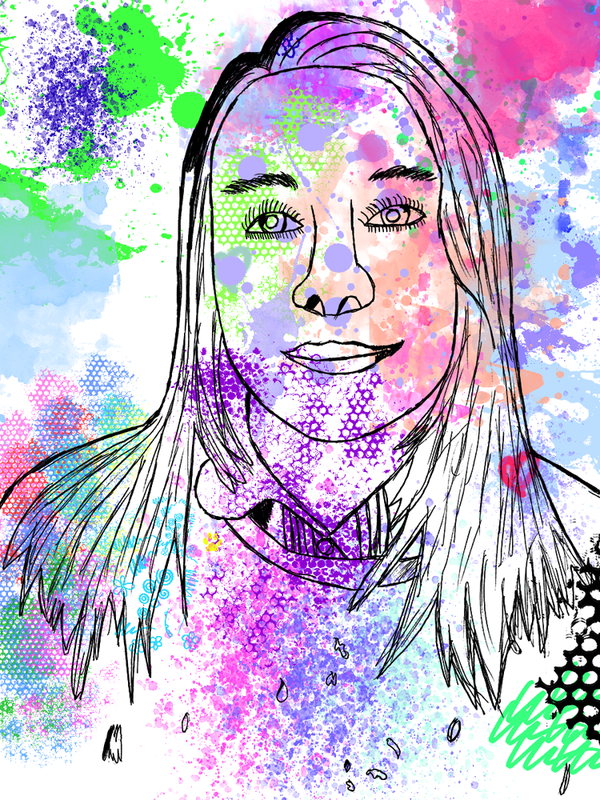 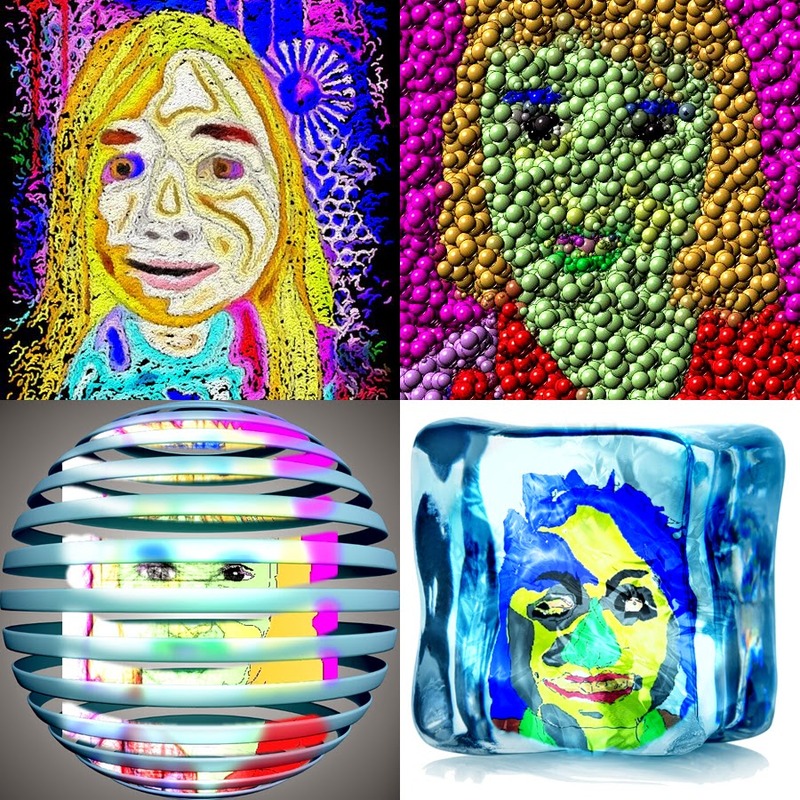 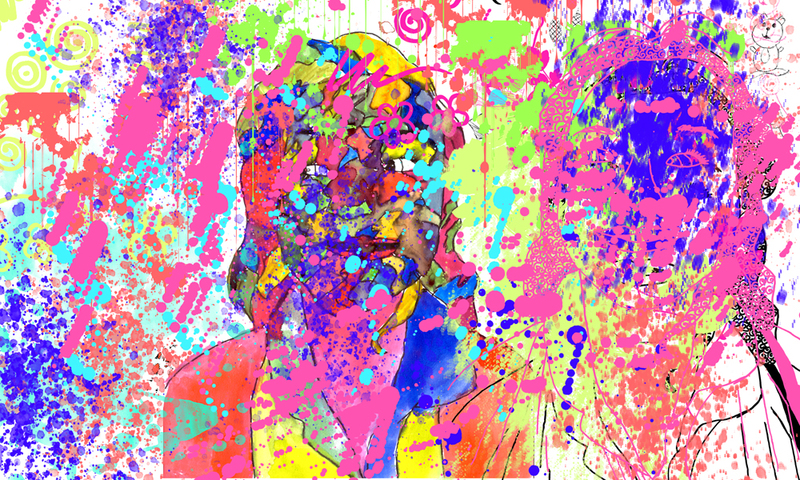 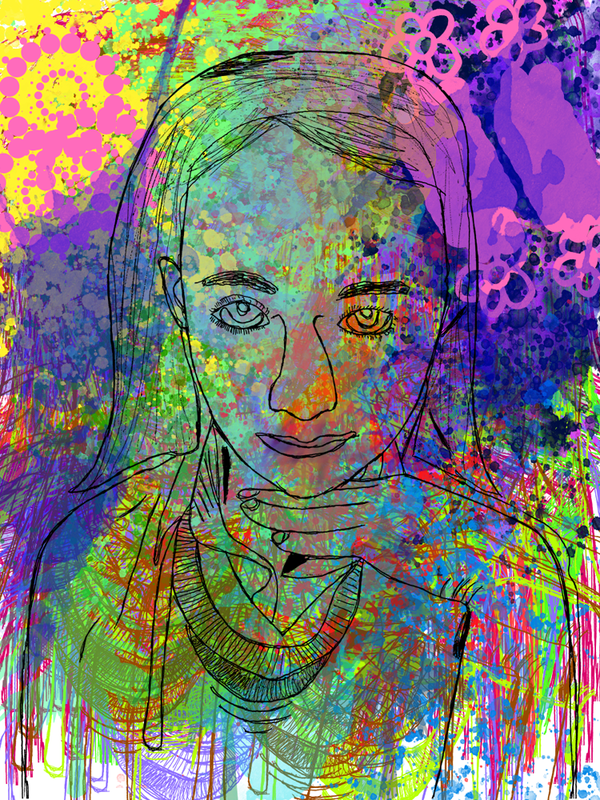 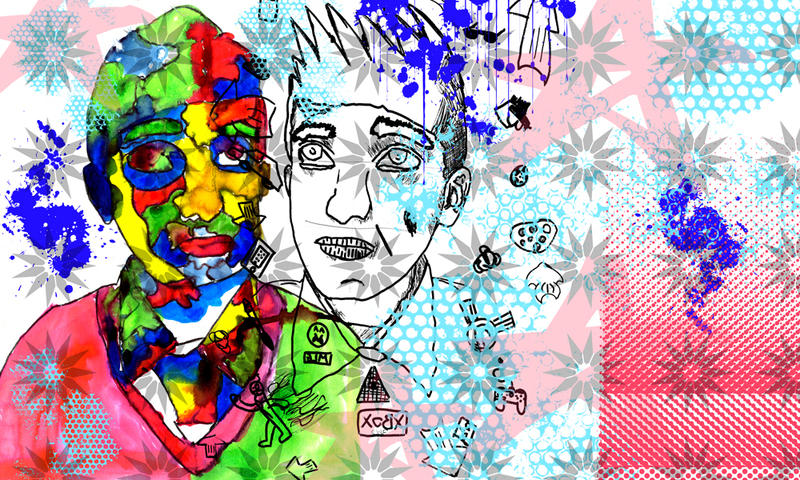 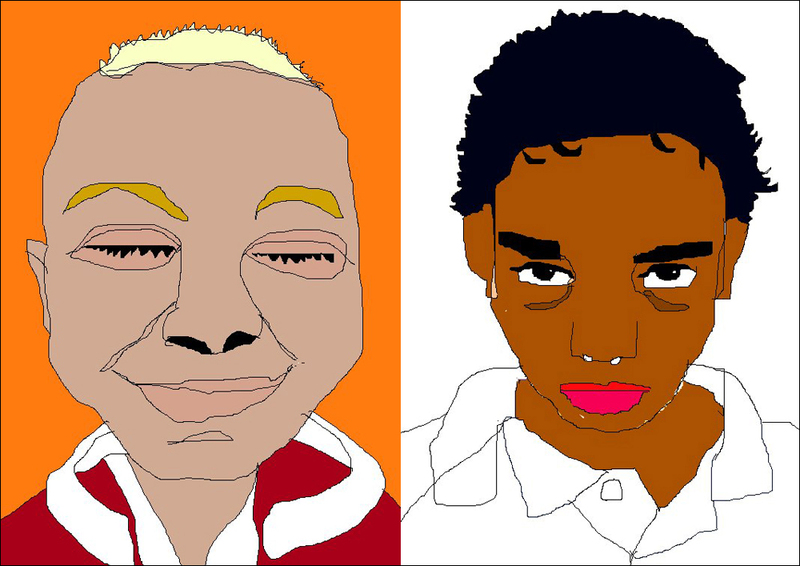 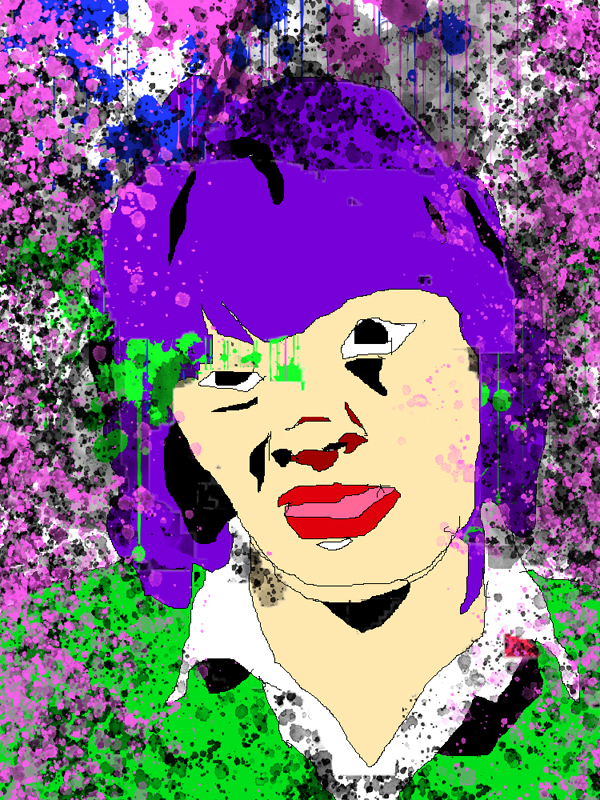 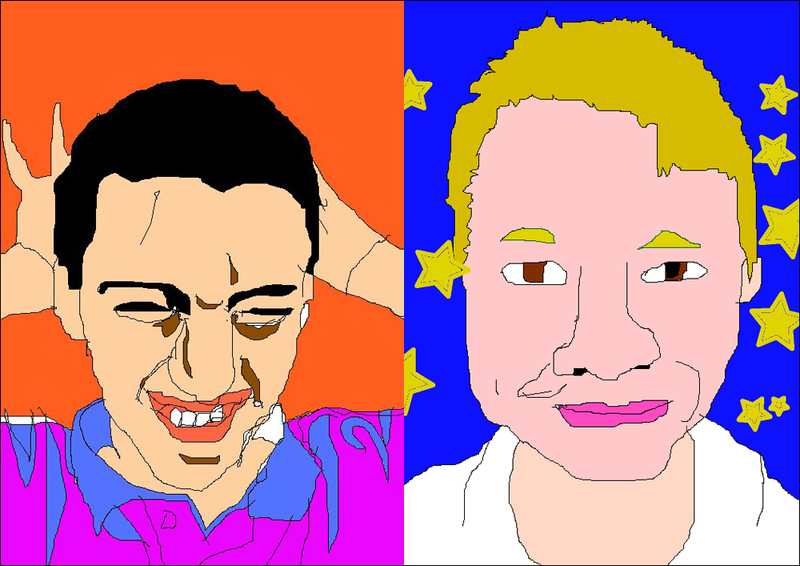 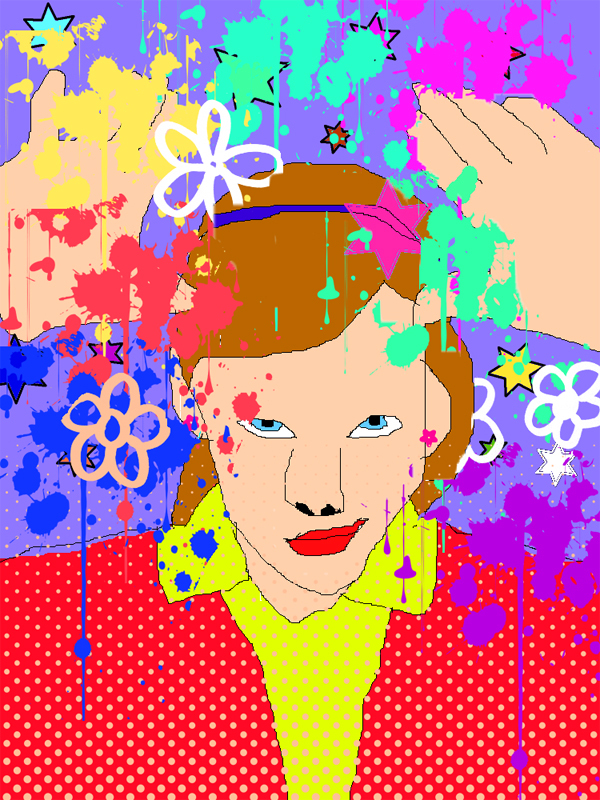 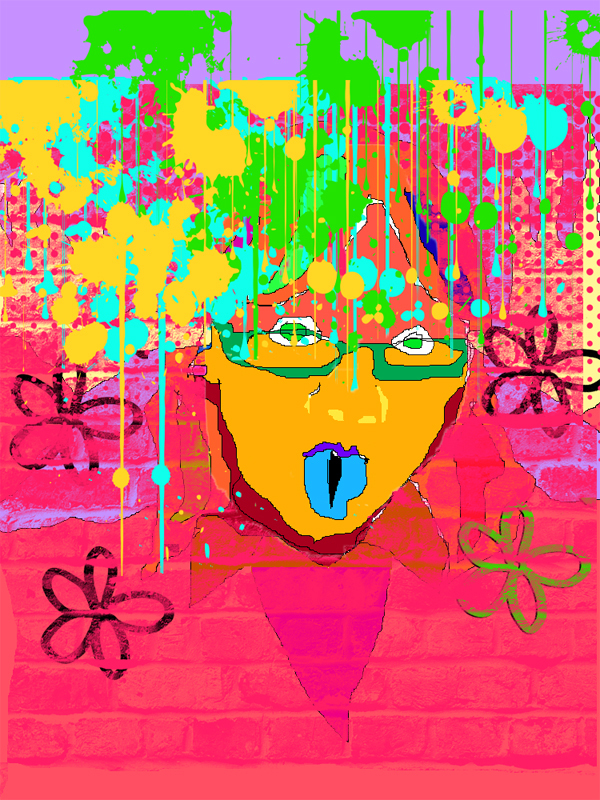 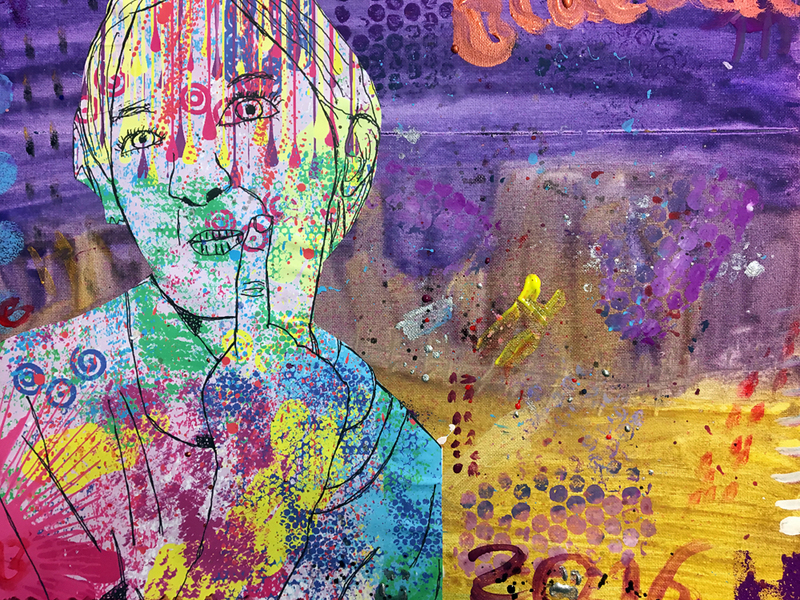 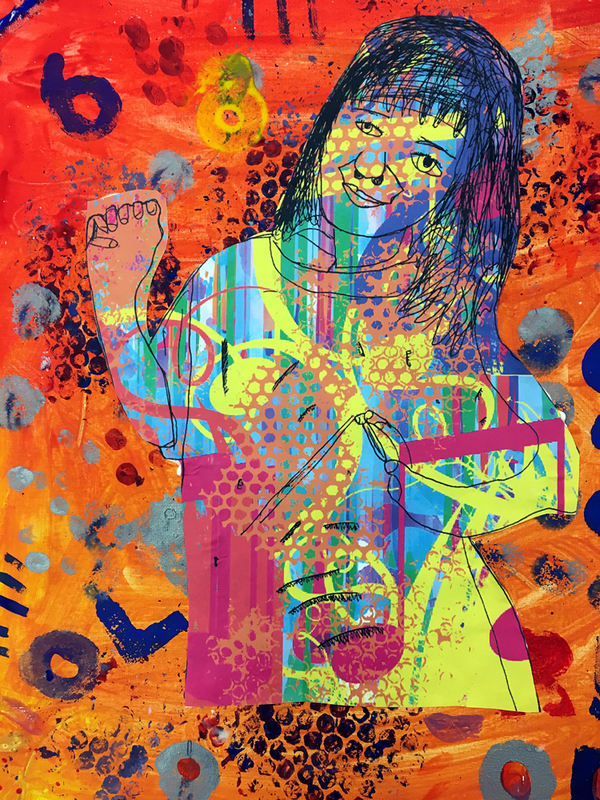 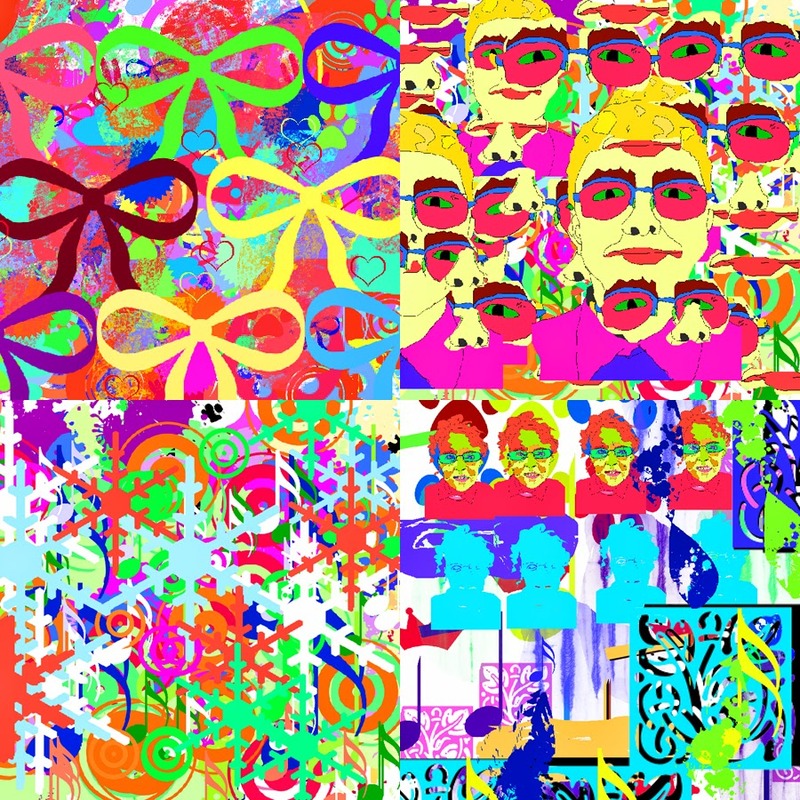 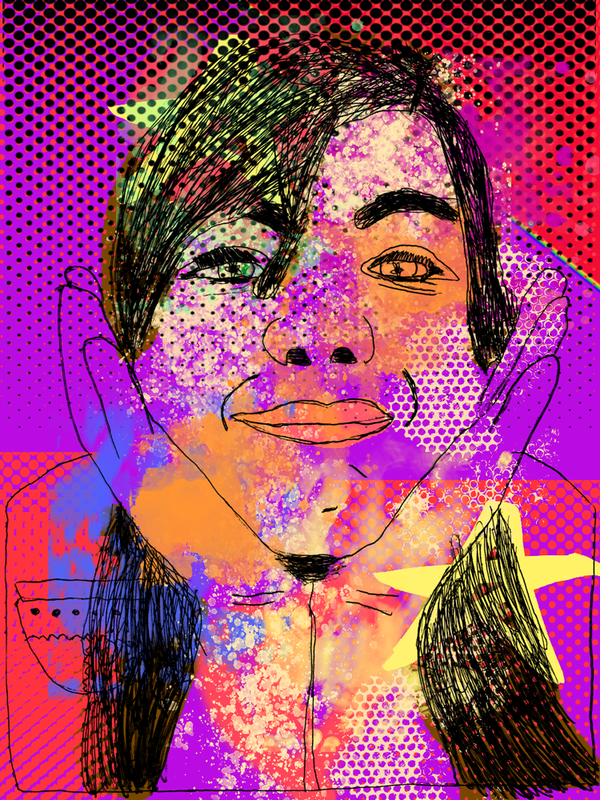 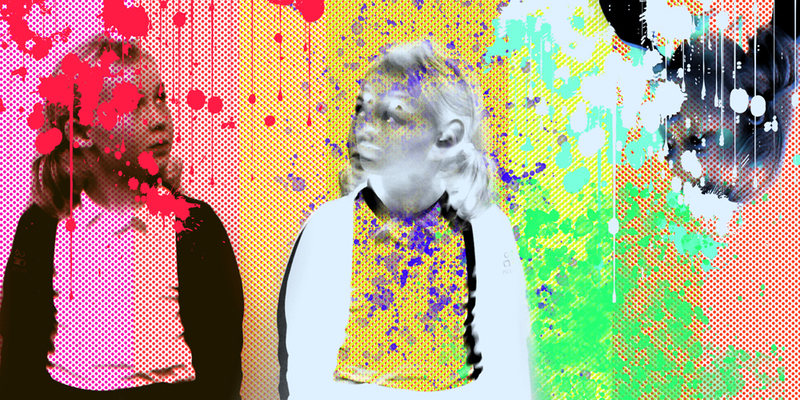 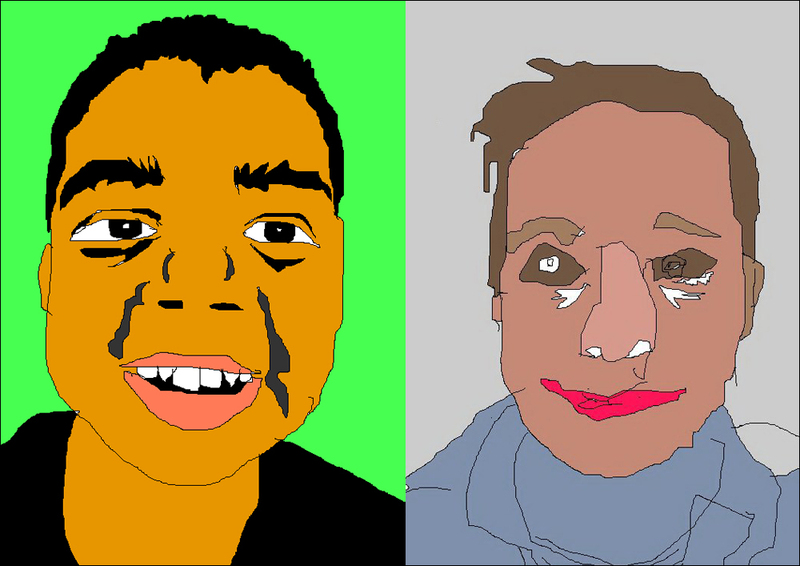 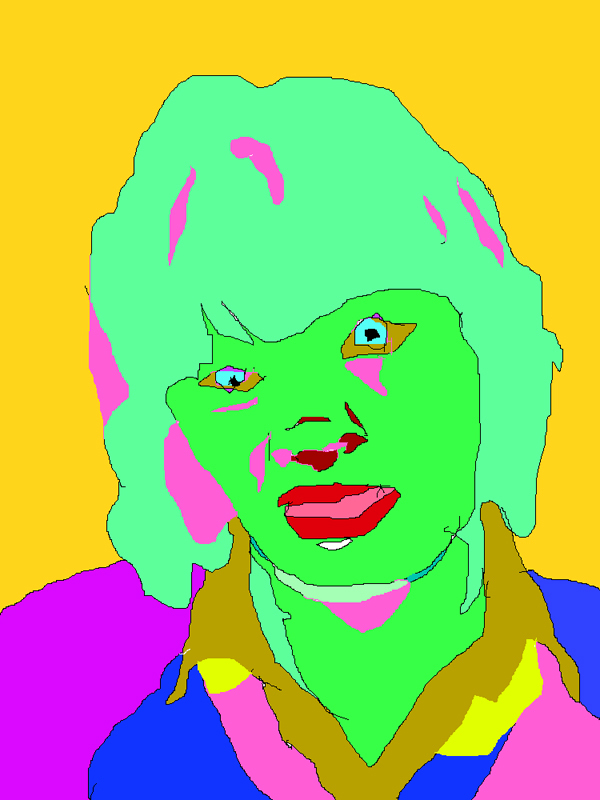 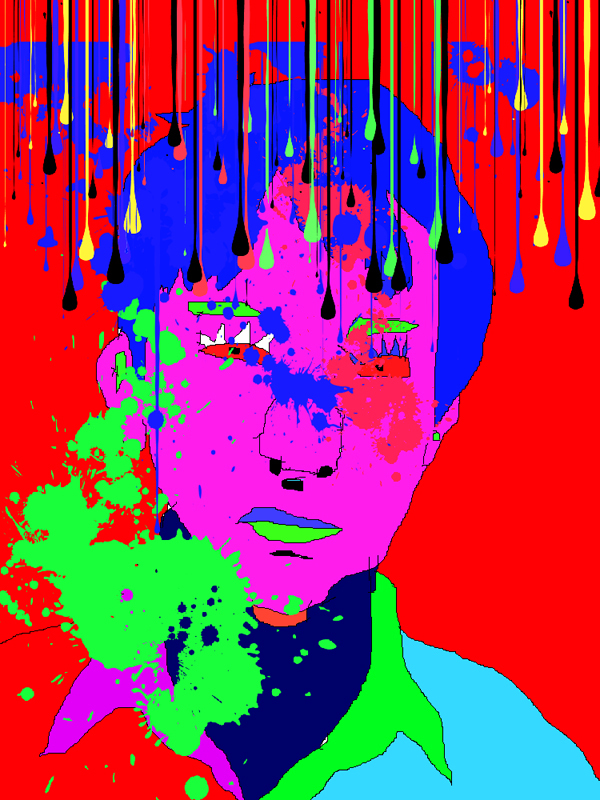 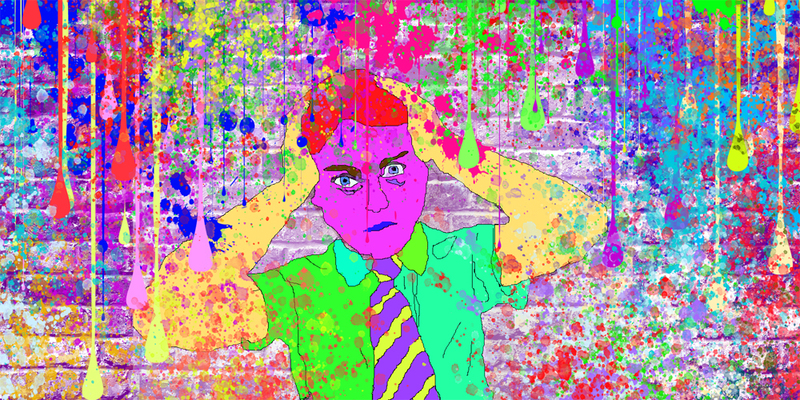 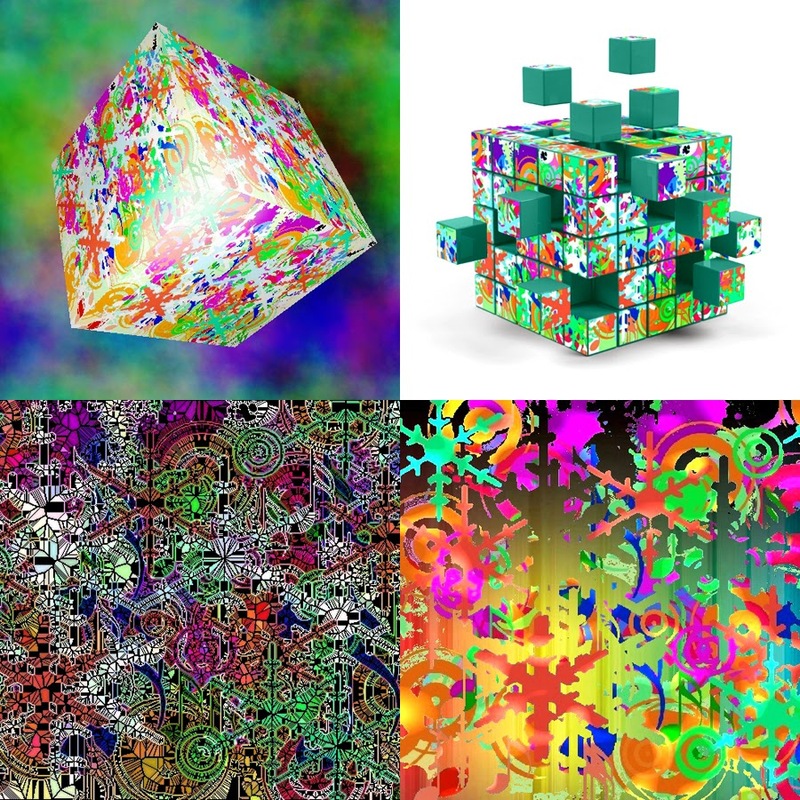 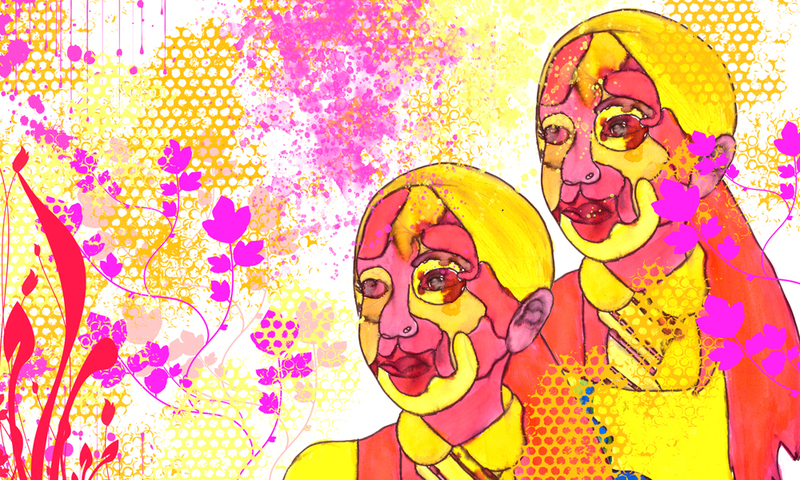 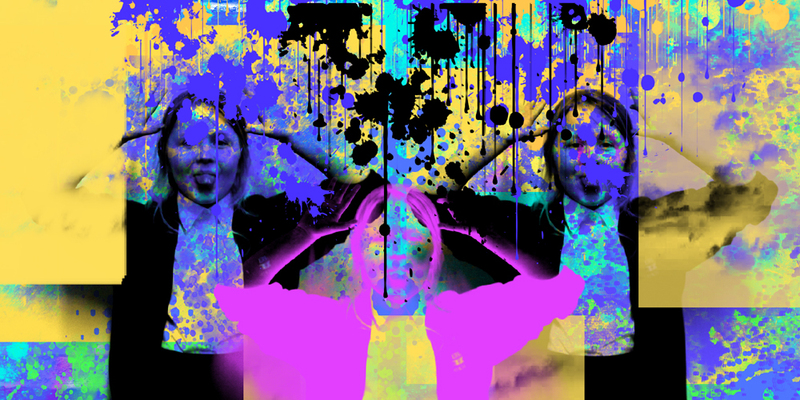 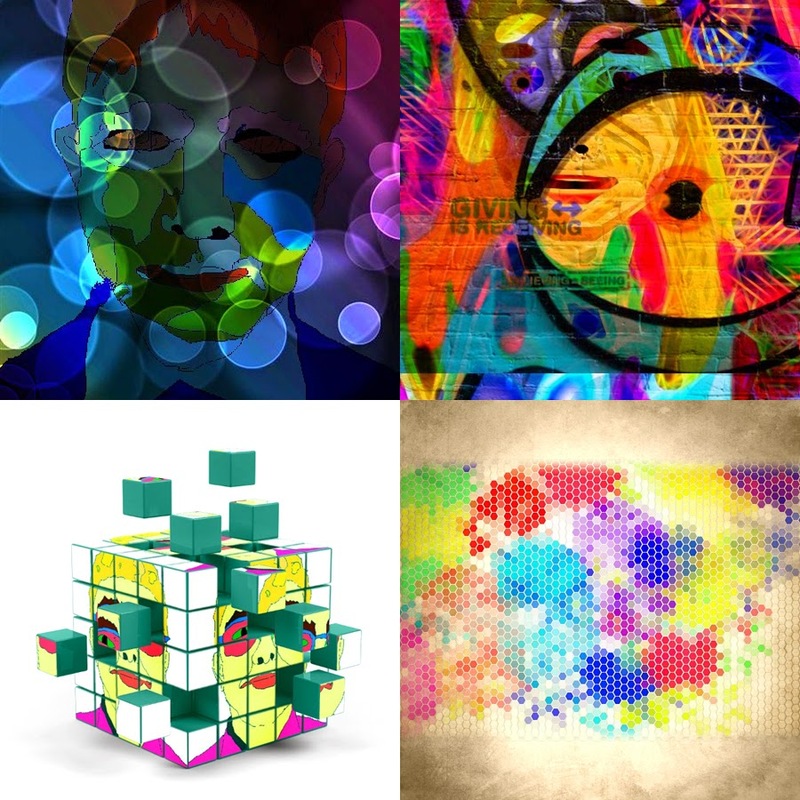 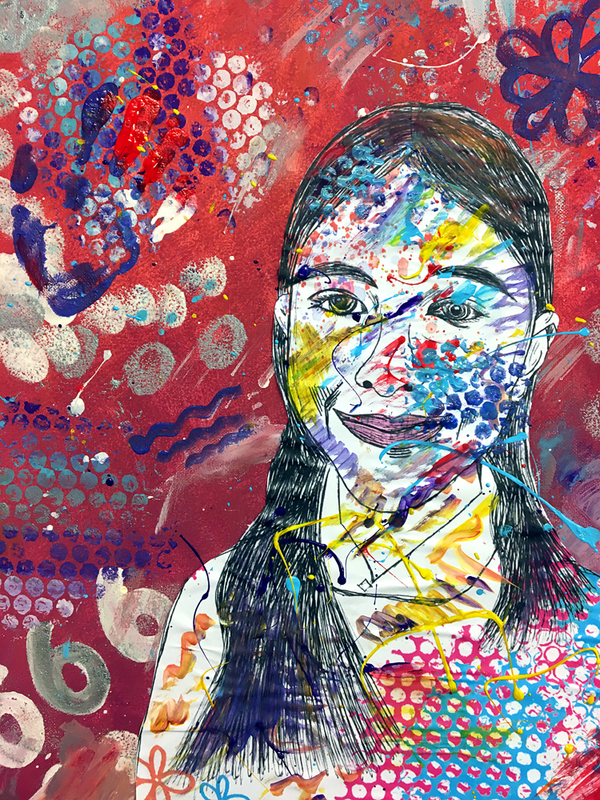 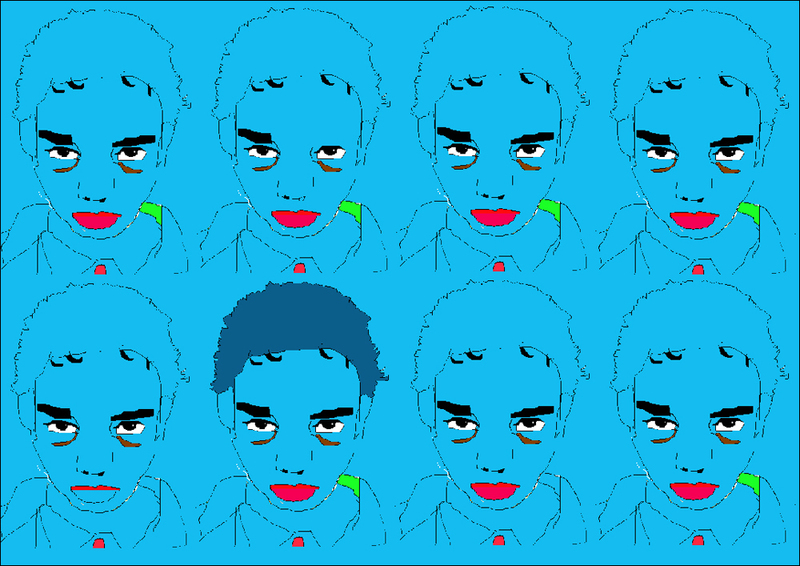 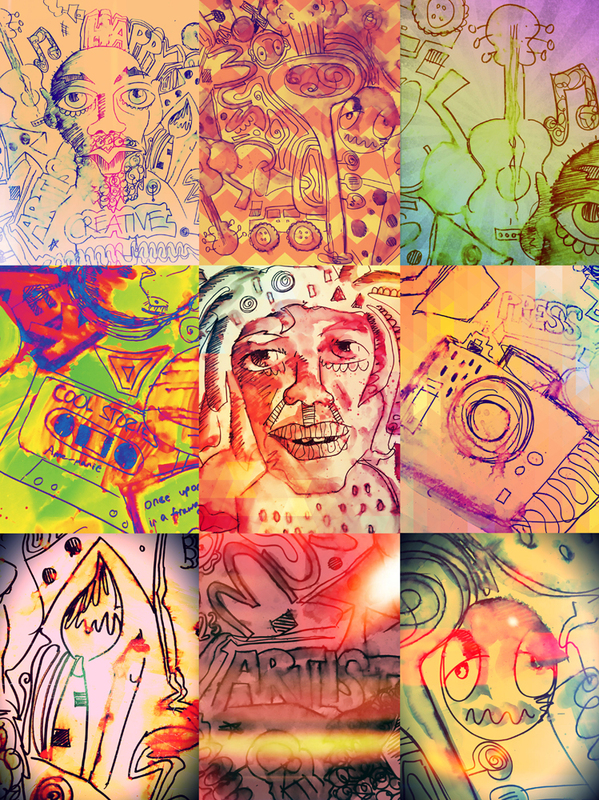 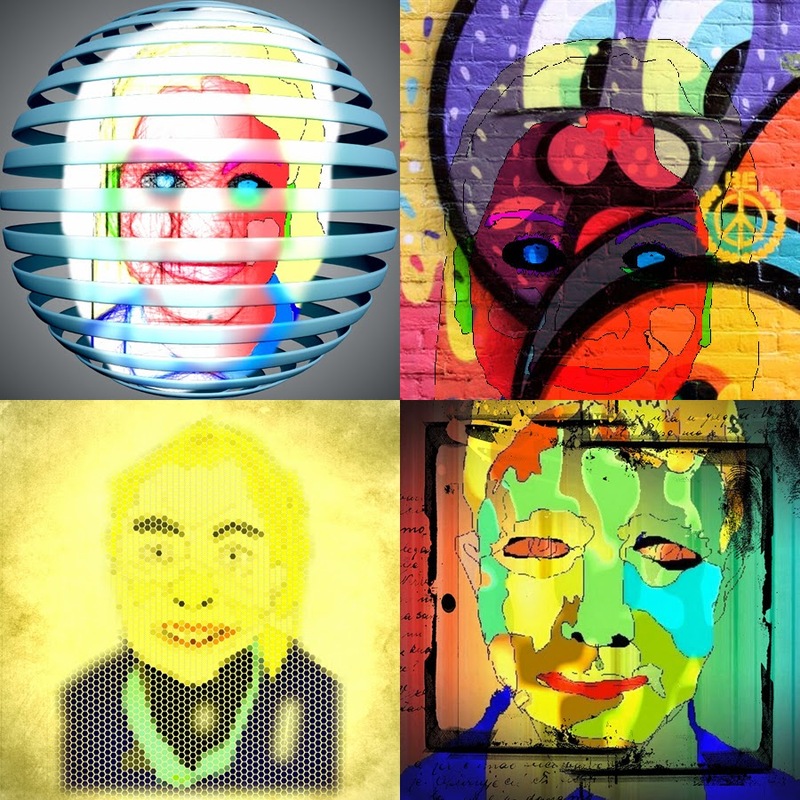 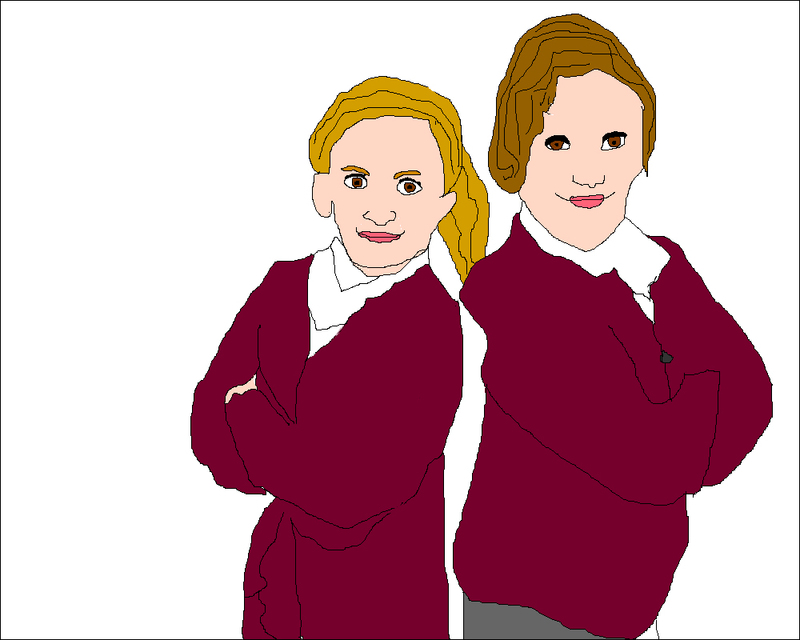 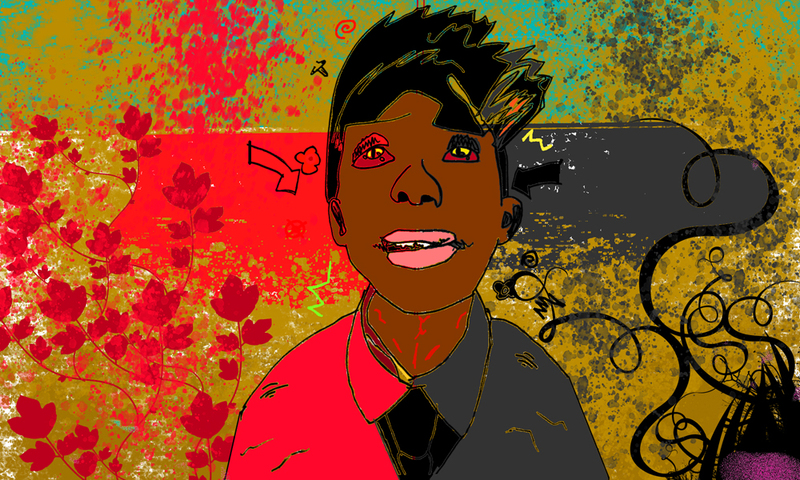 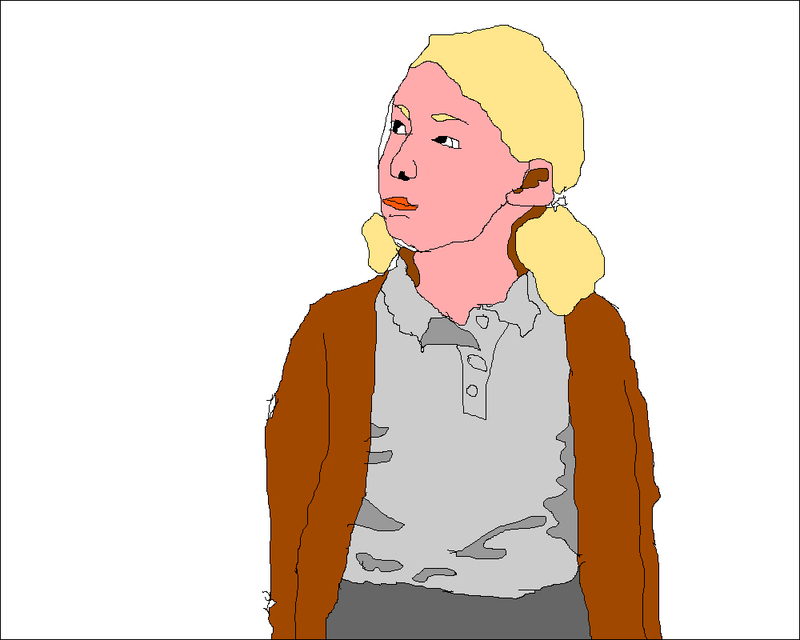 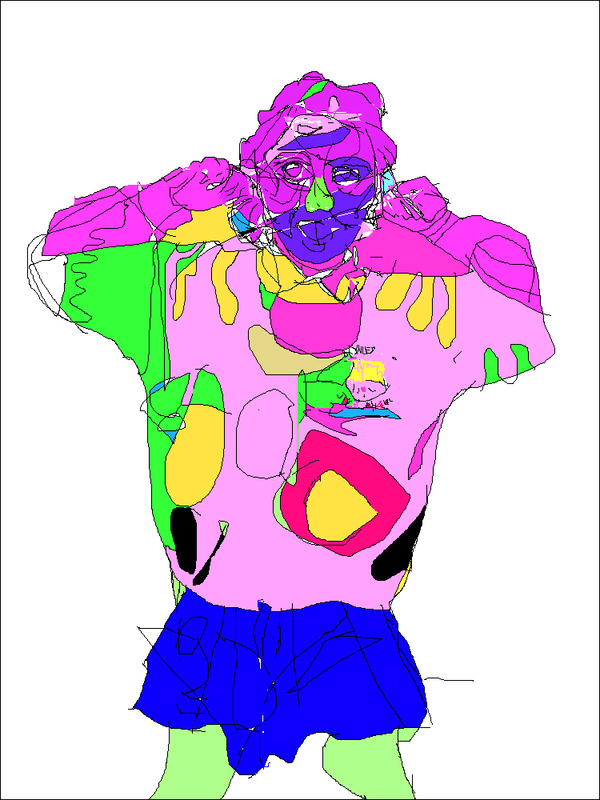 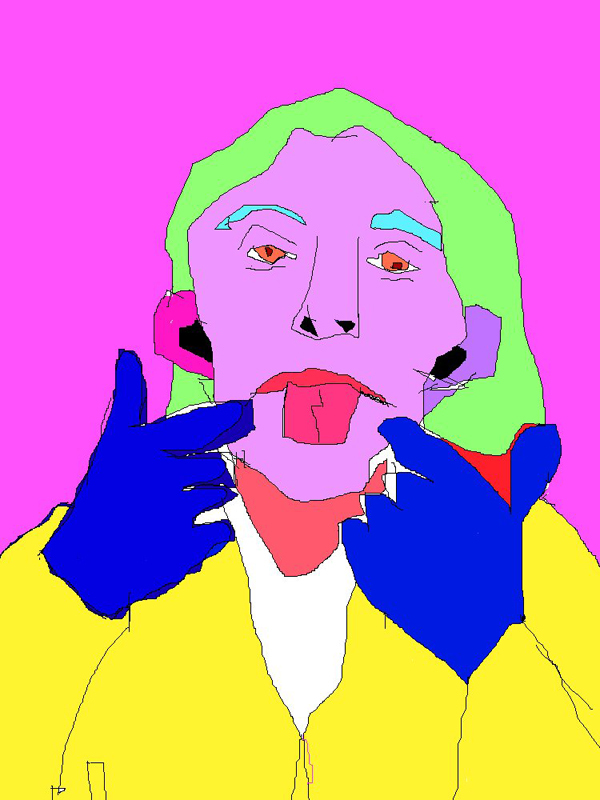 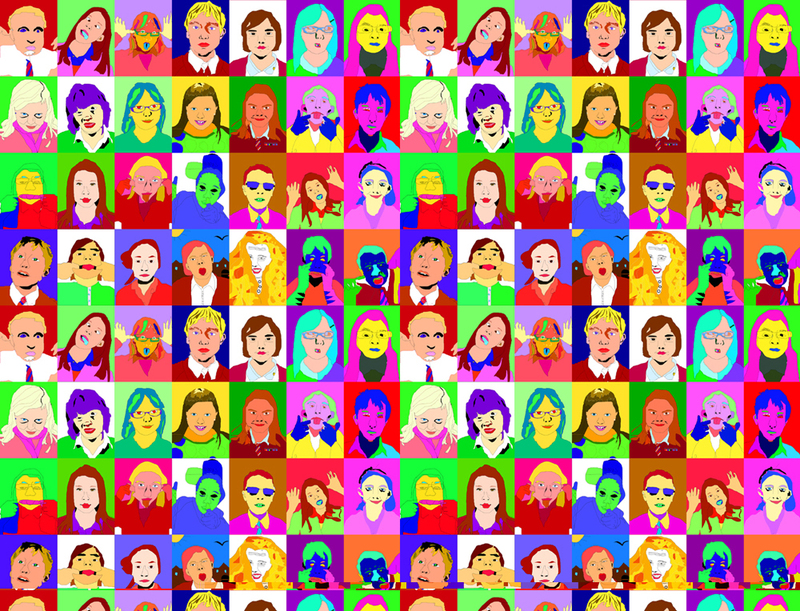 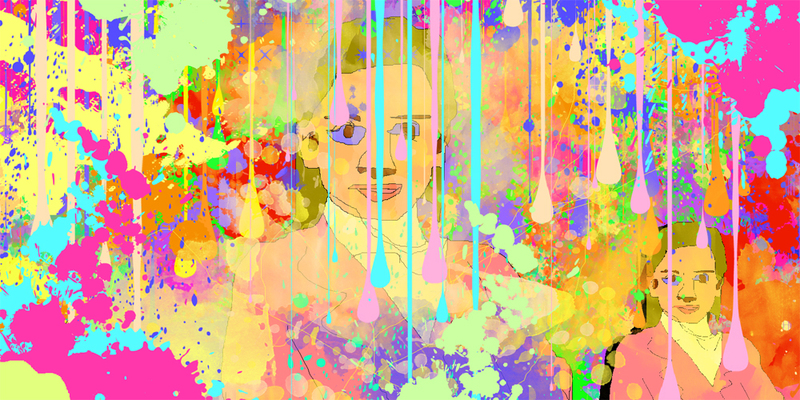 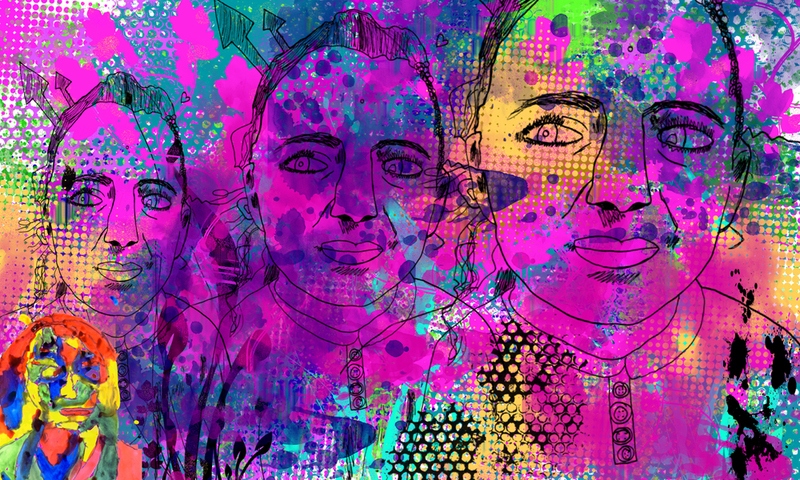 Based on photographic images of themselves, the pupils skilfully created these digital illustrations using a series of layers and other digital tools. 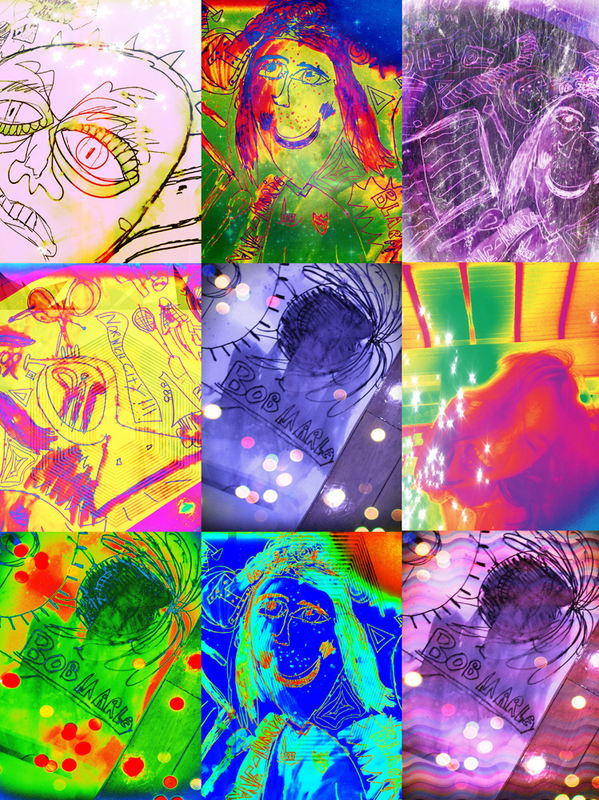 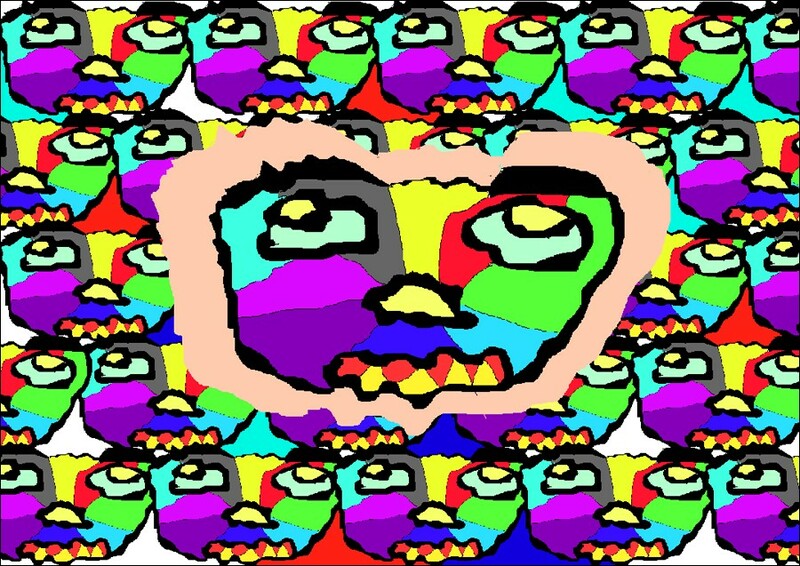 An alternative colour pallet was also explored for some of the digital colouring, which made for some very interesting imagery indeed. 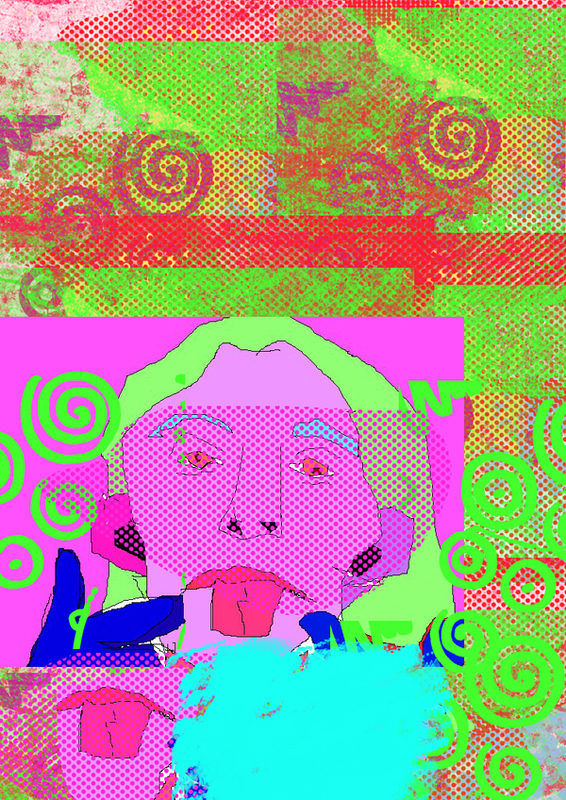 Further layering techniques were also looked at with the introduction of textures and various other incidents and elements adding further depth to their images. 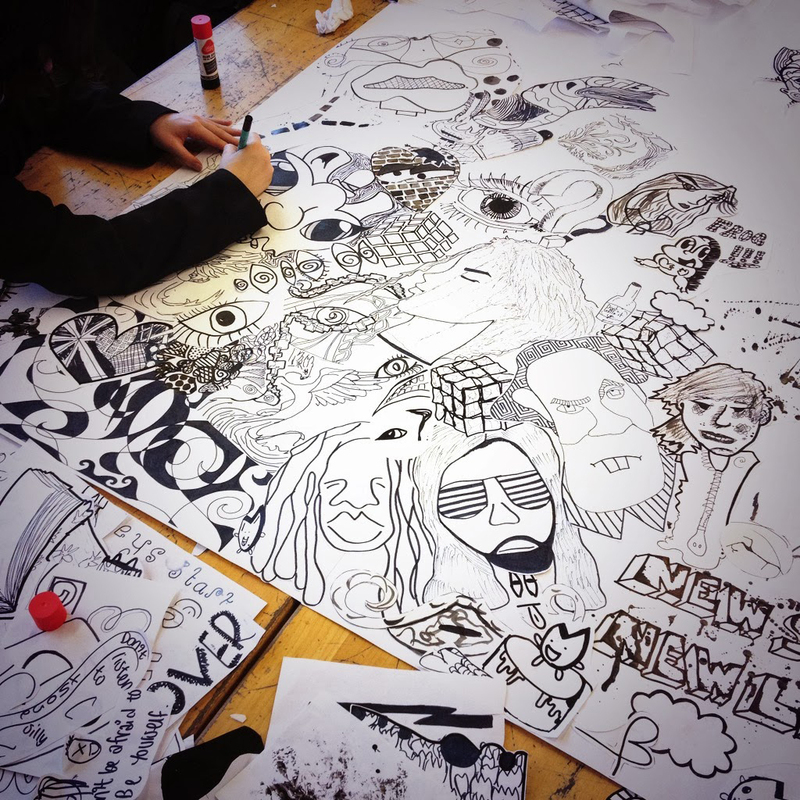 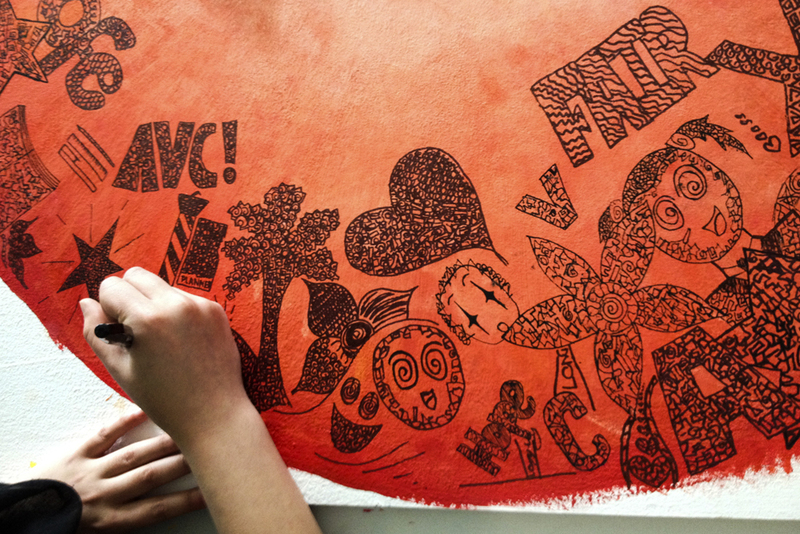 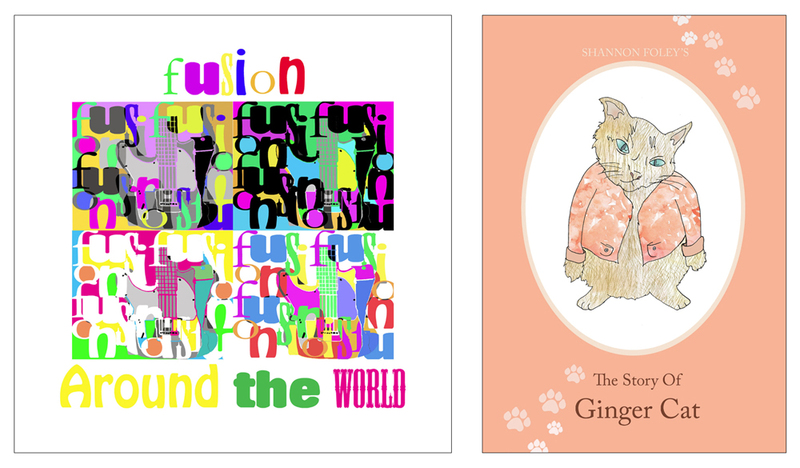 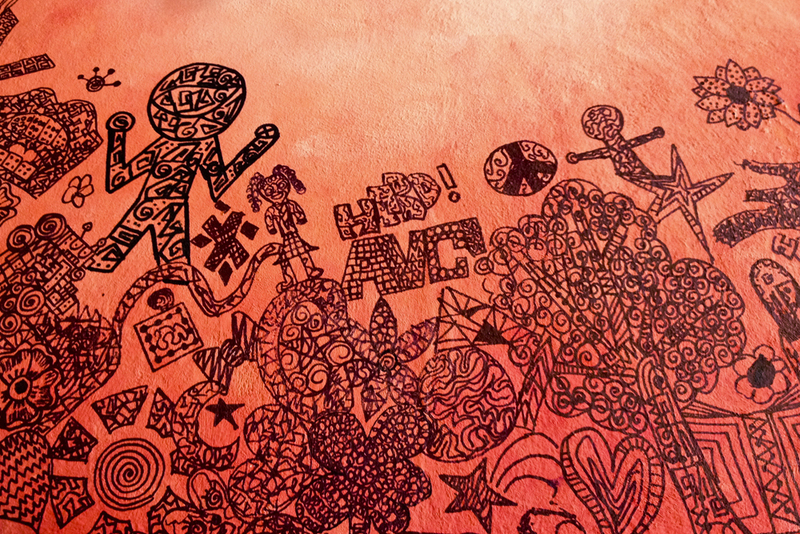 Here are the brilliant illustrations that they created.